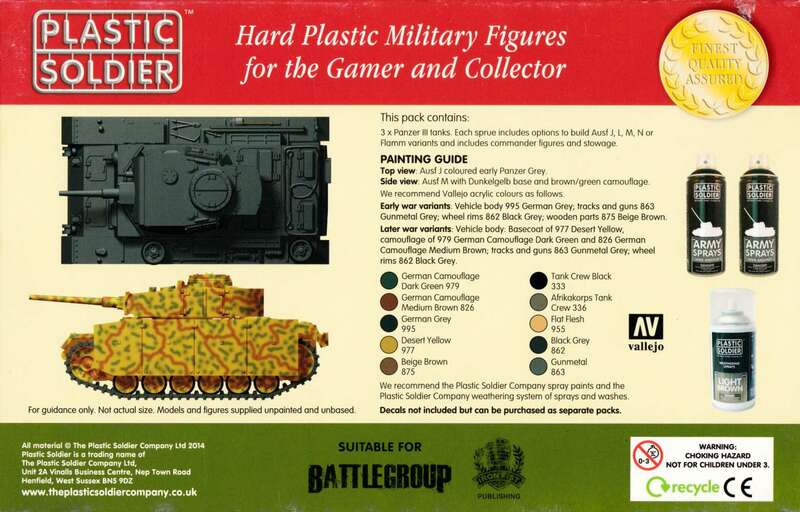 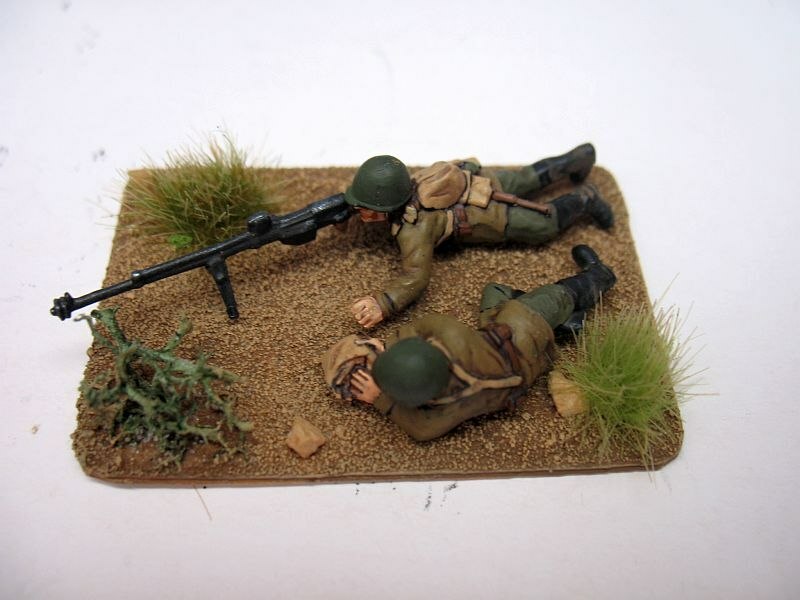 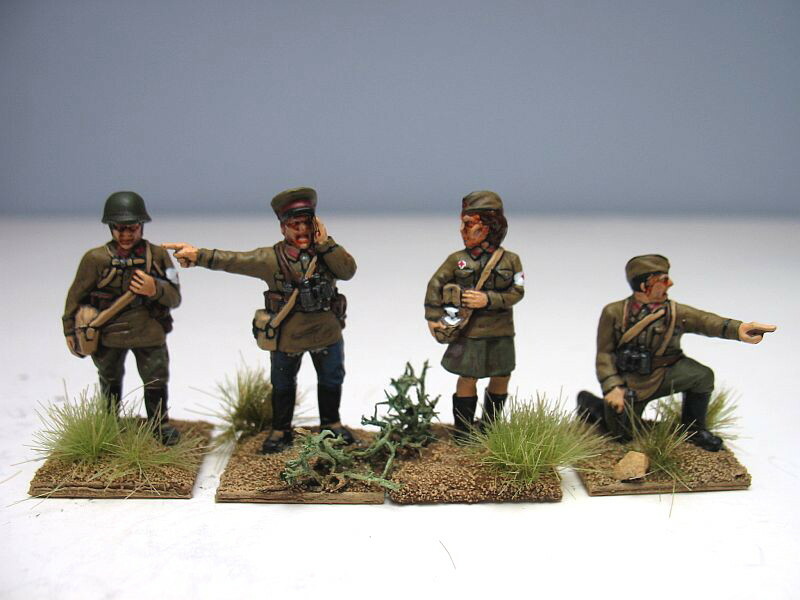 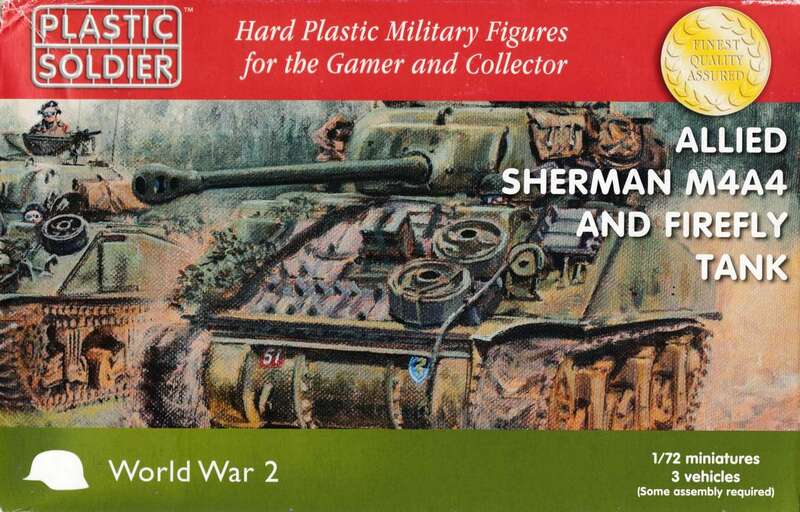 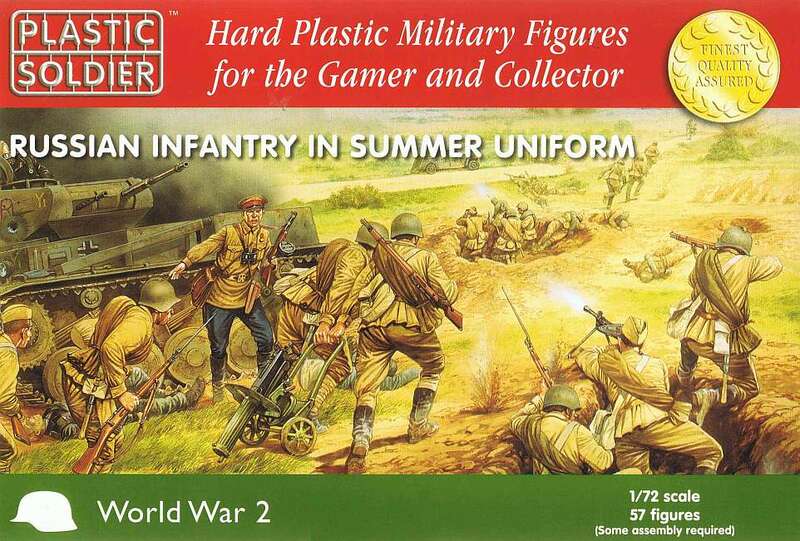 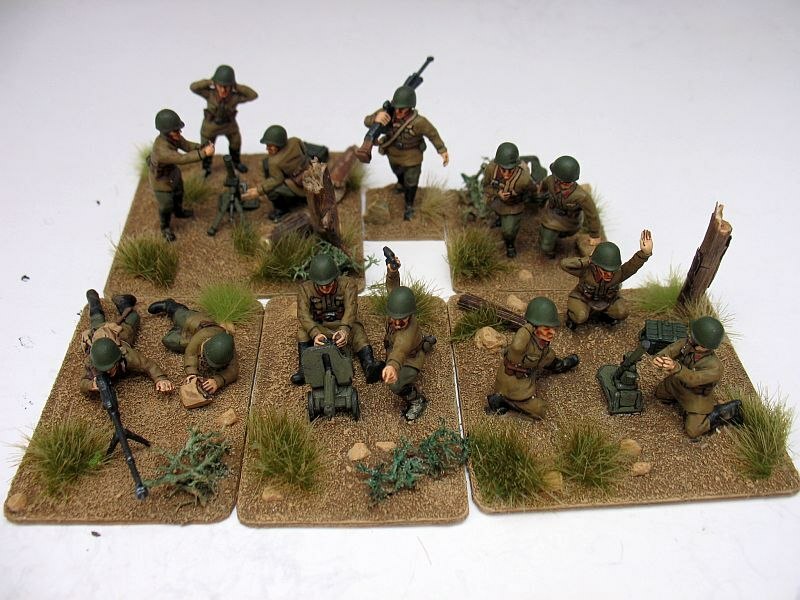 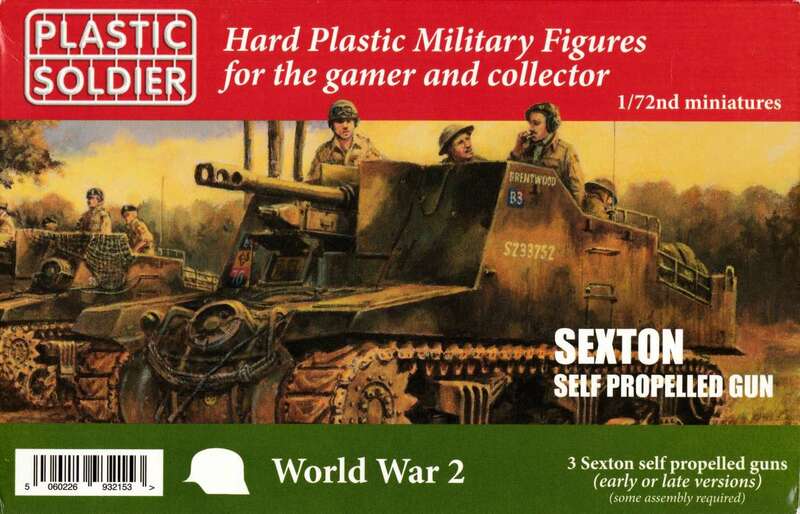 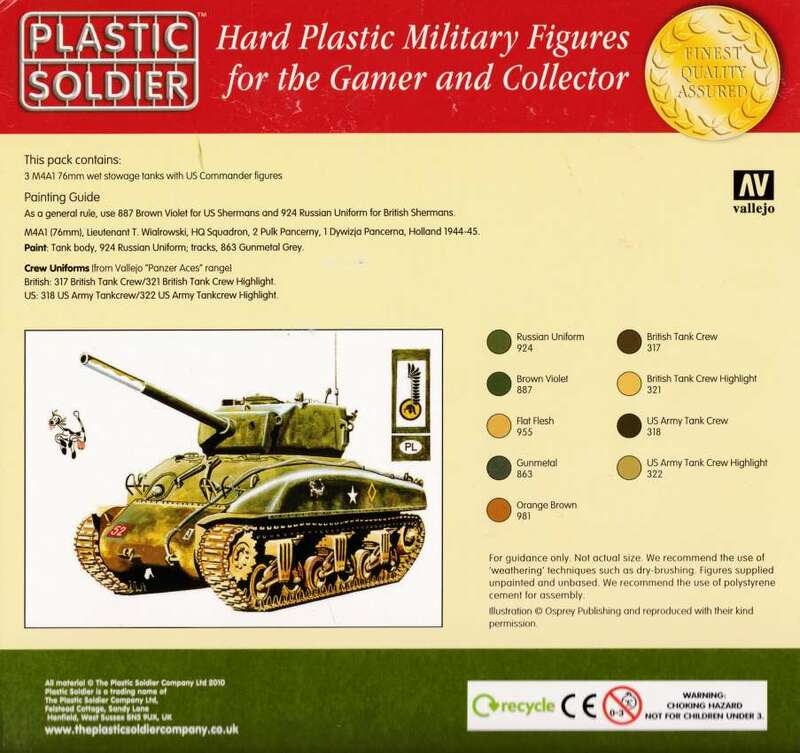 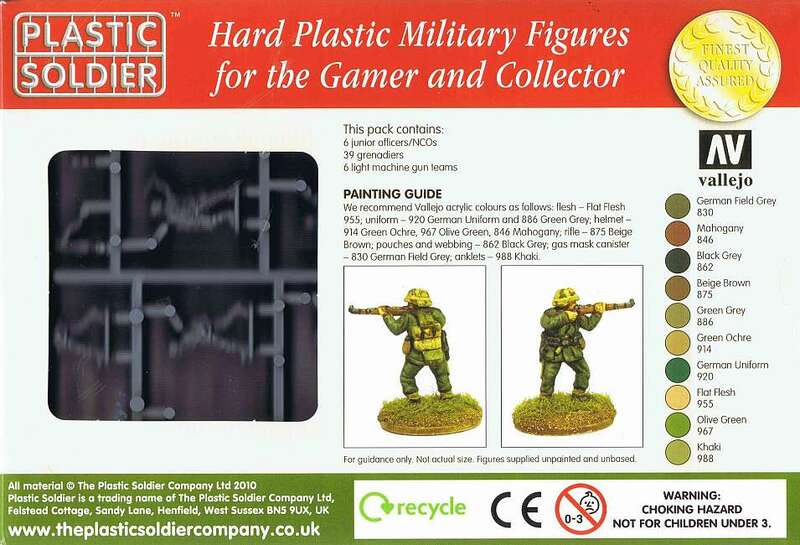 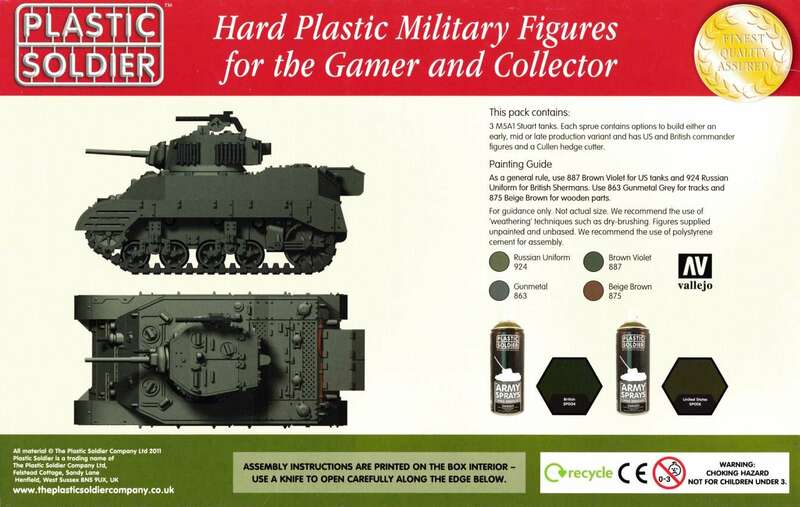 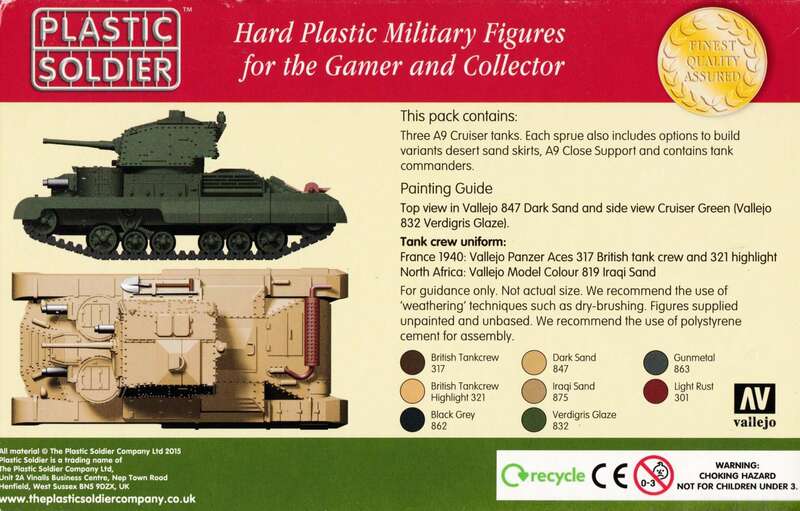 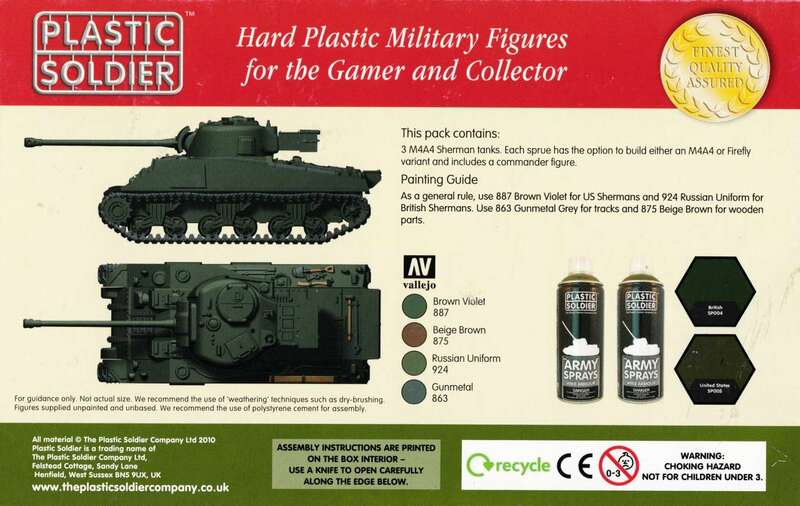 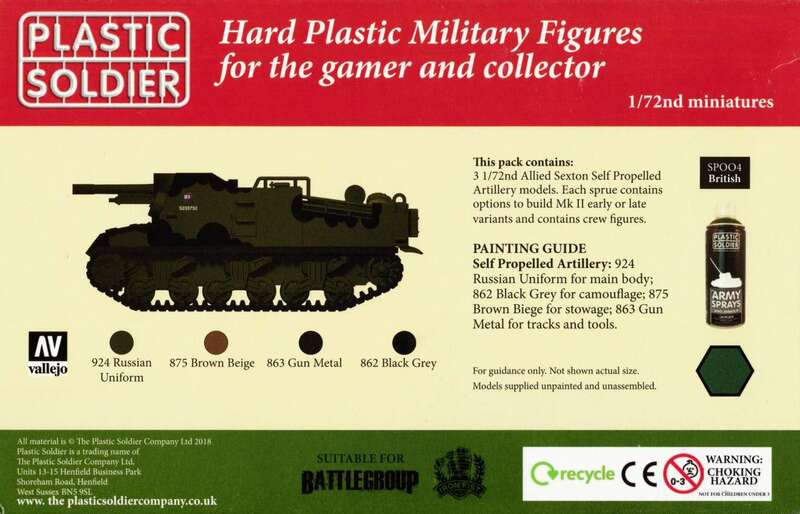 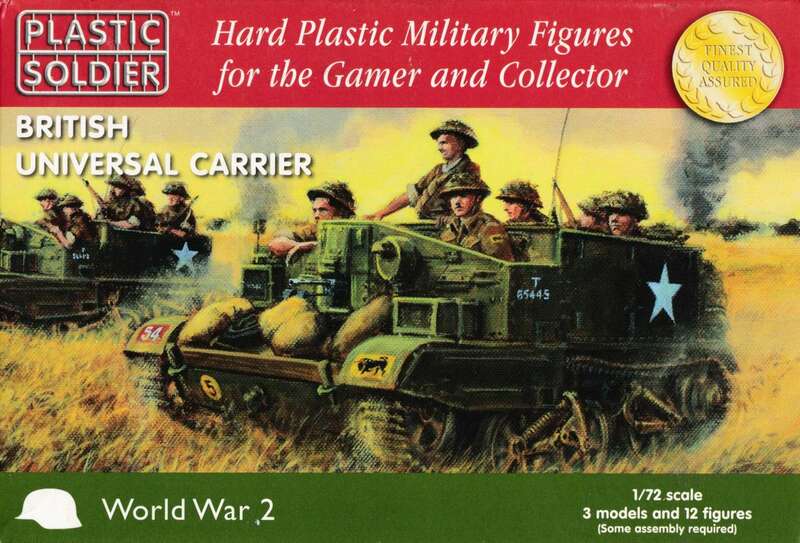 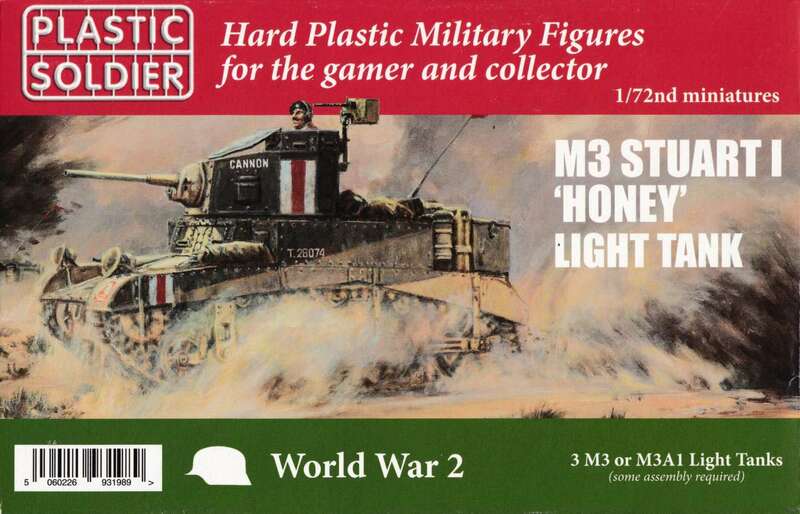 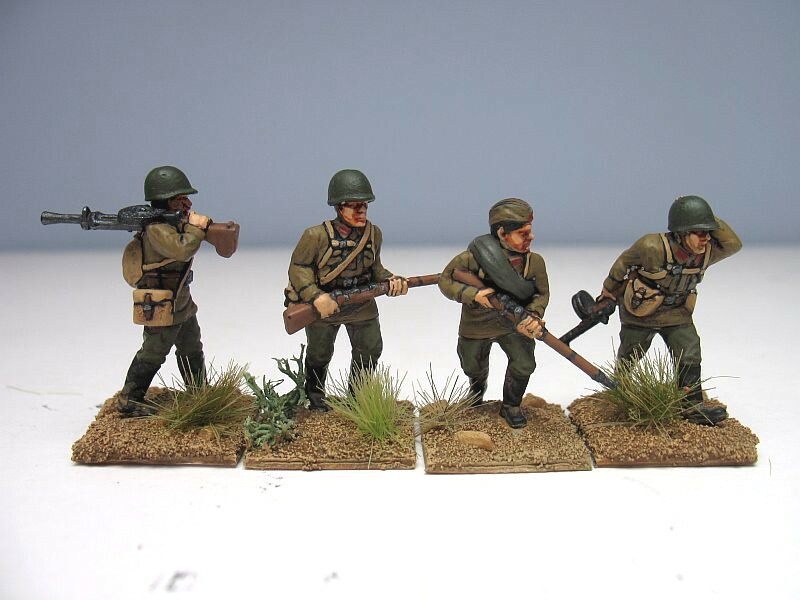 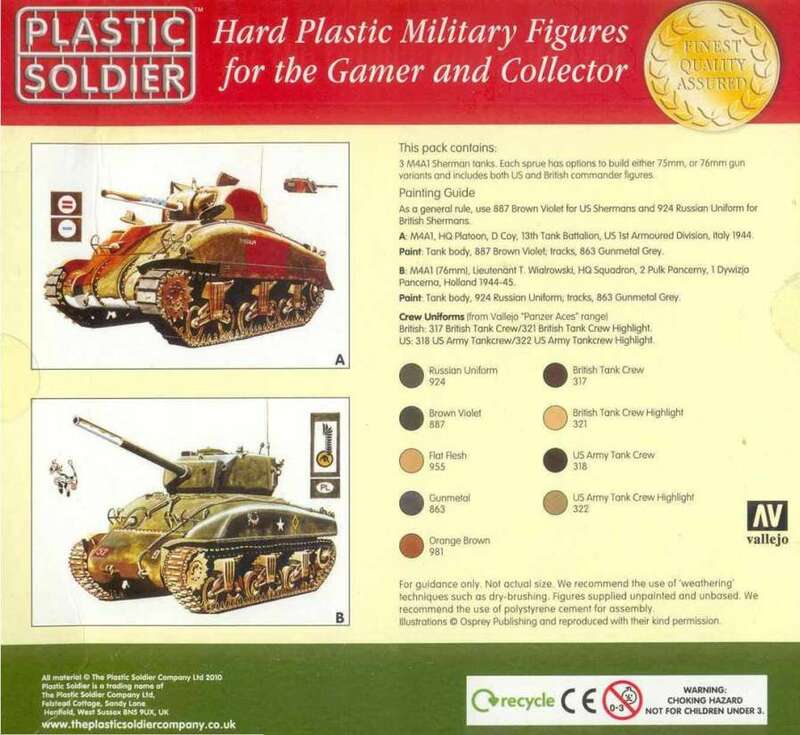 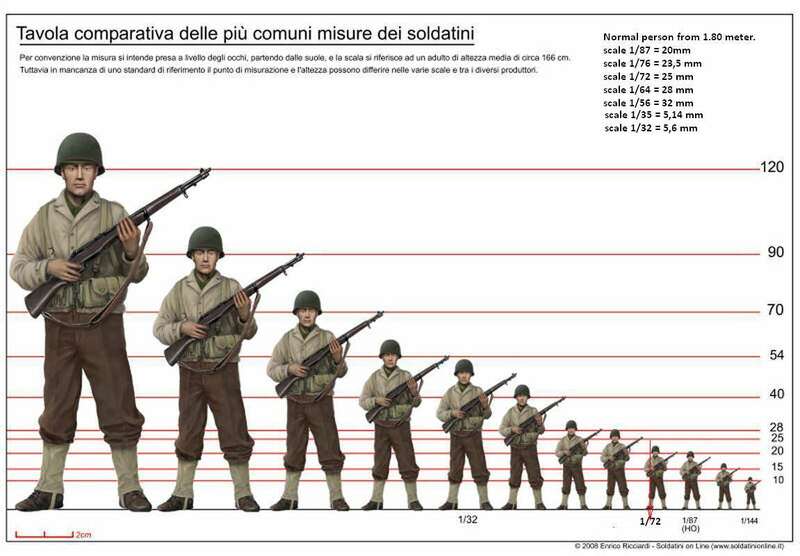 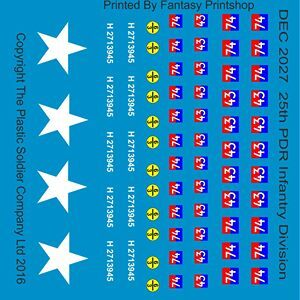 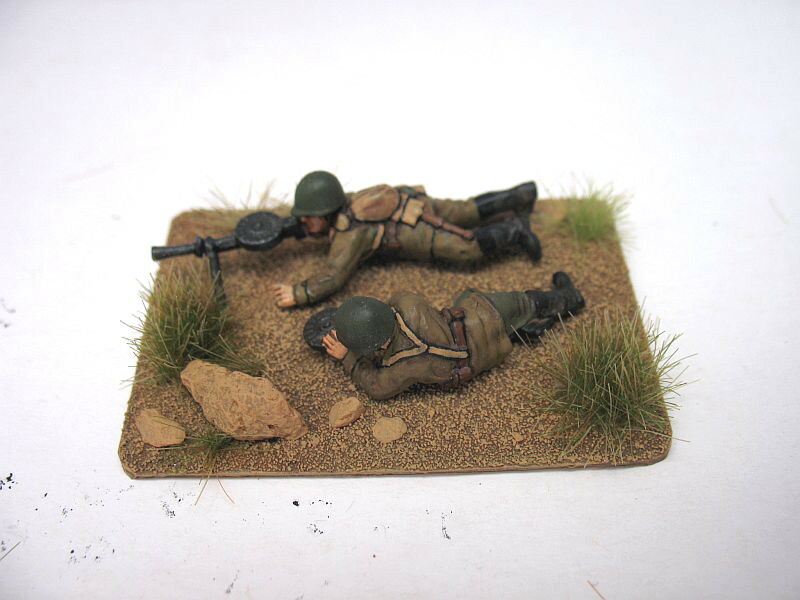 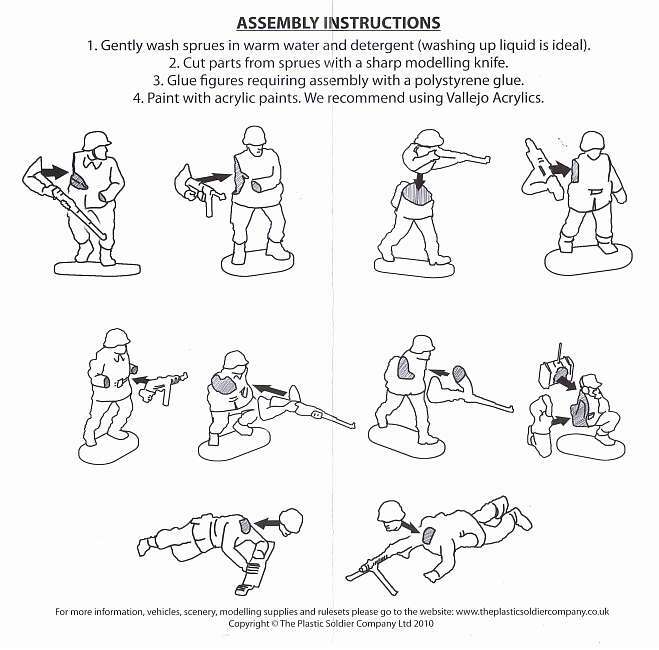 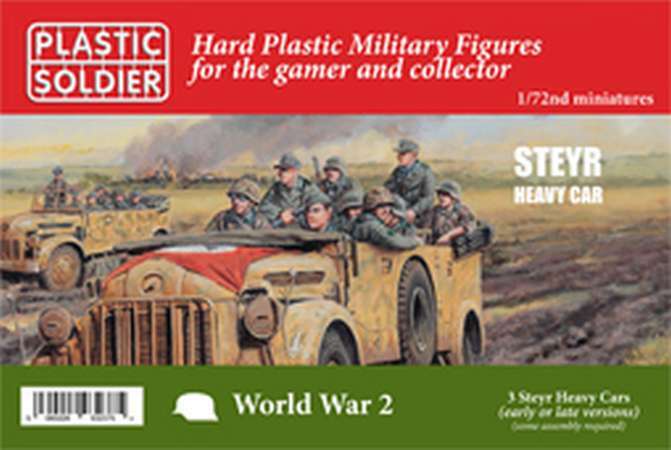 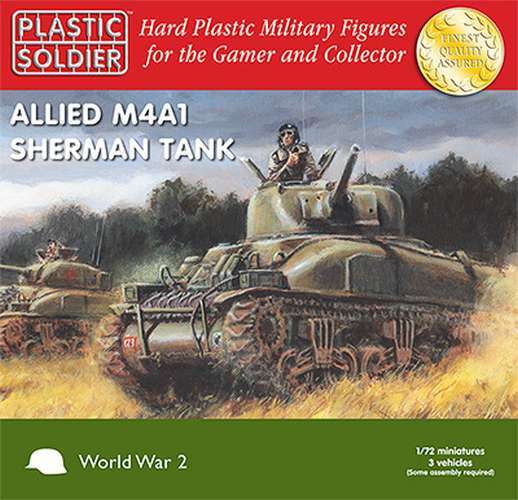 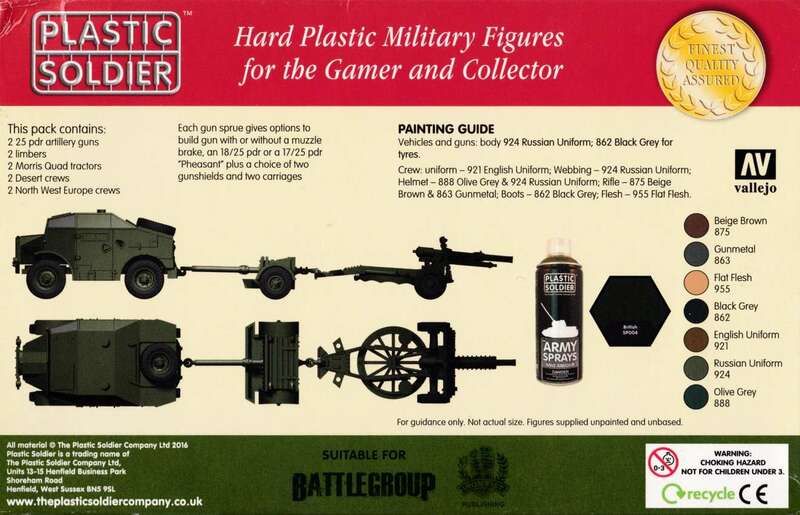 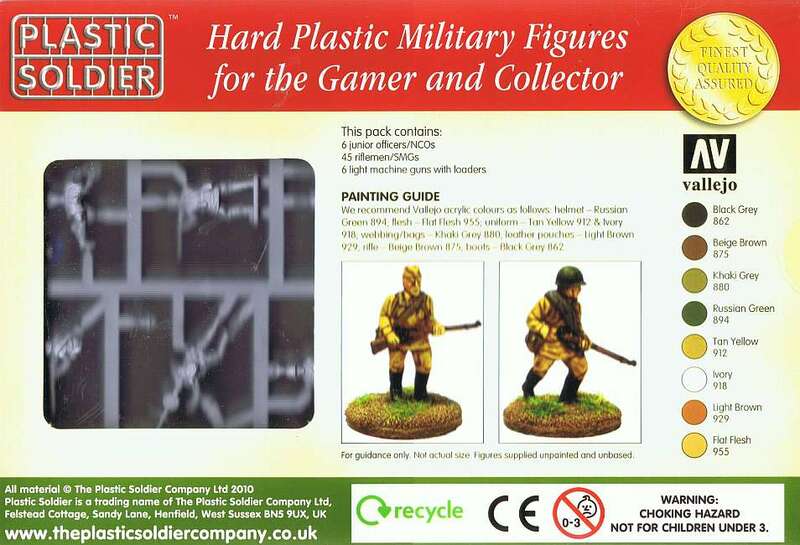 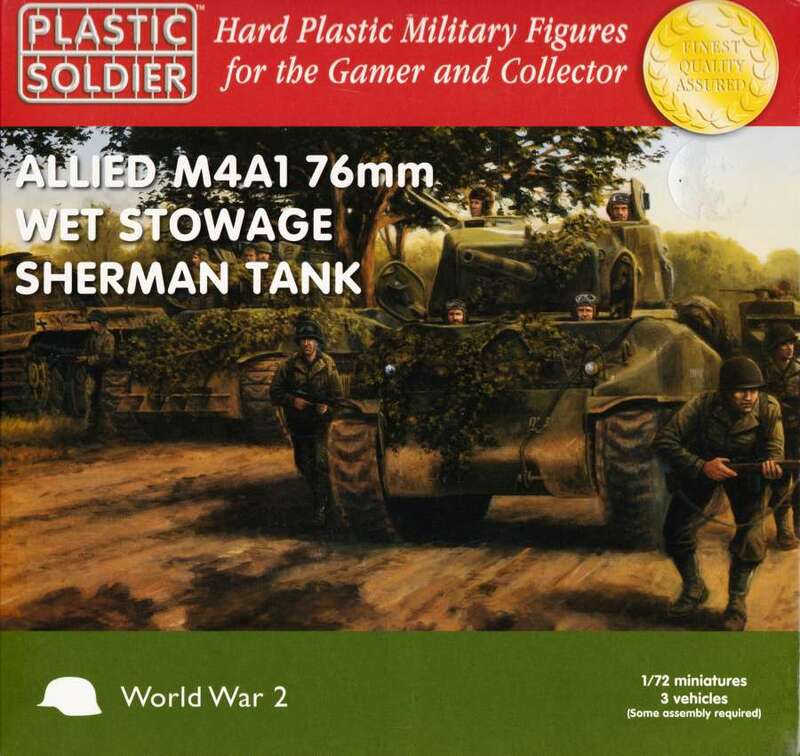 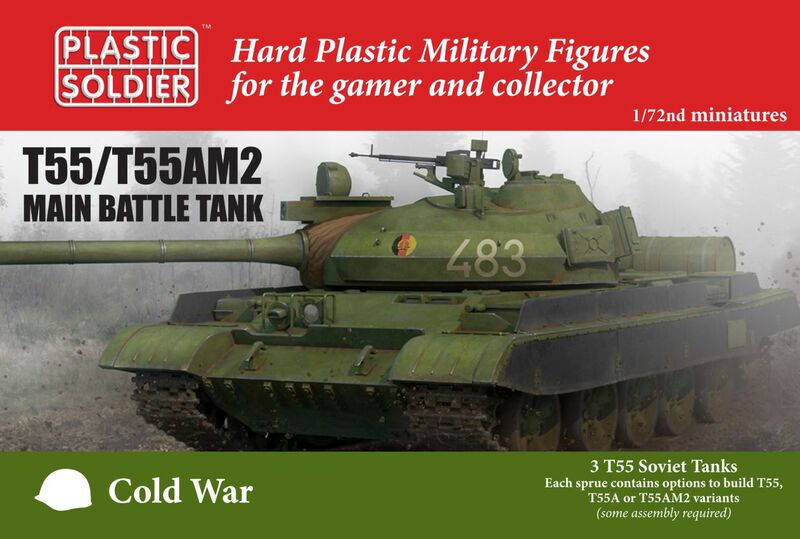 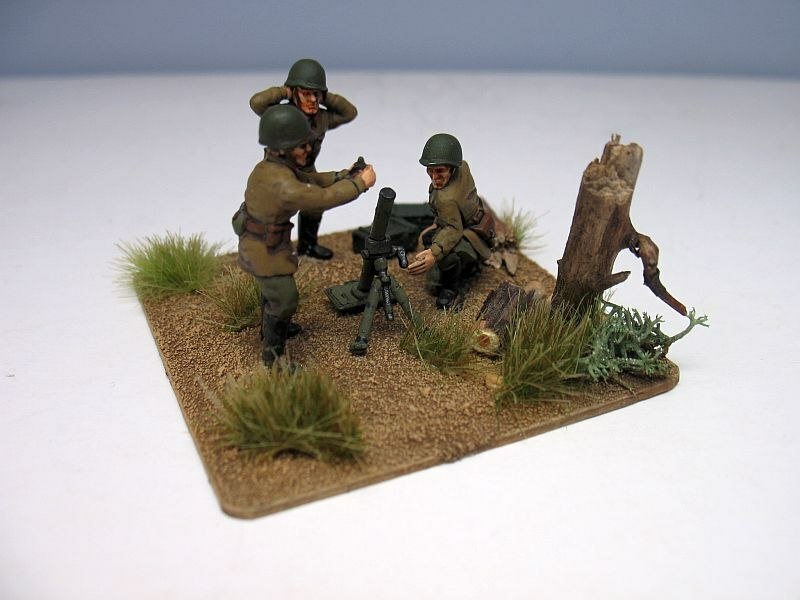 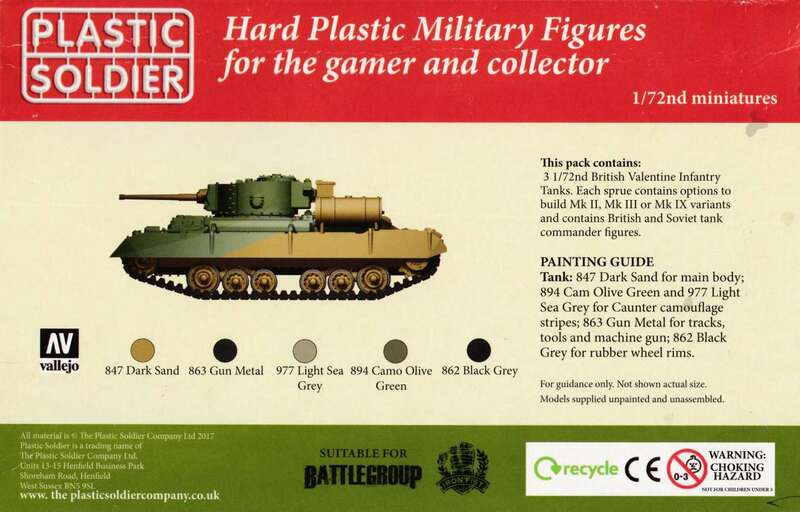 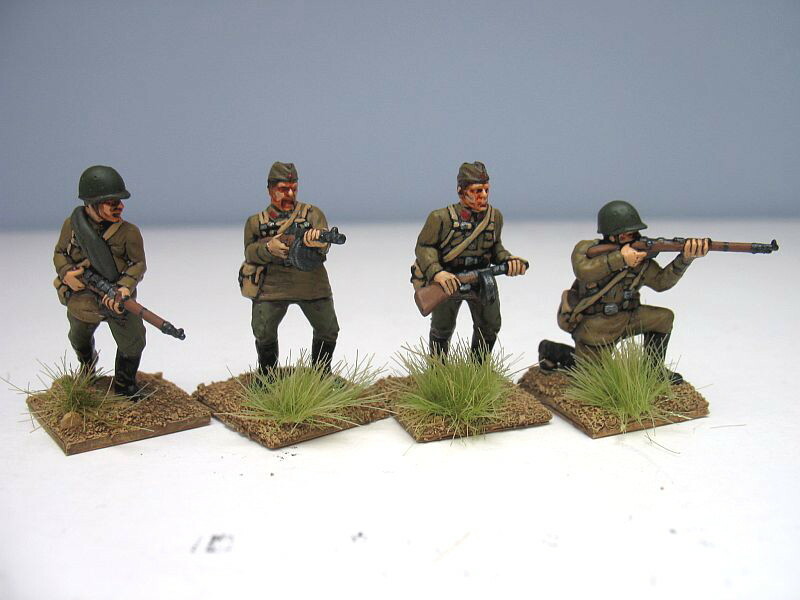 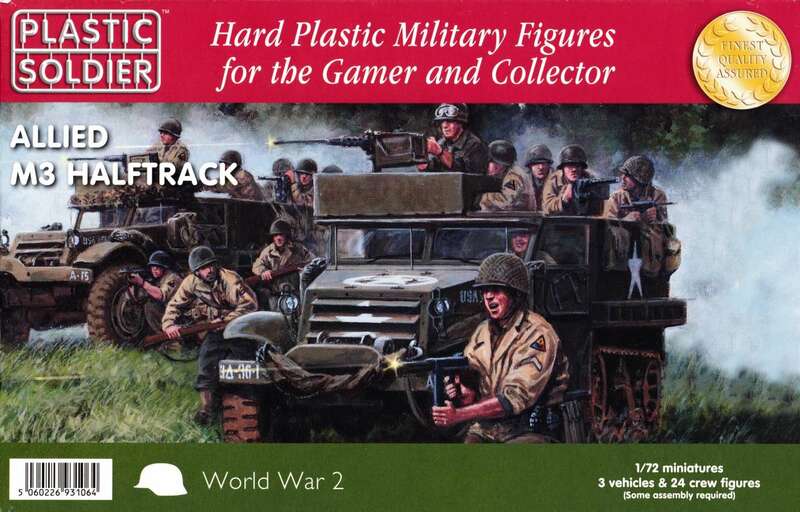 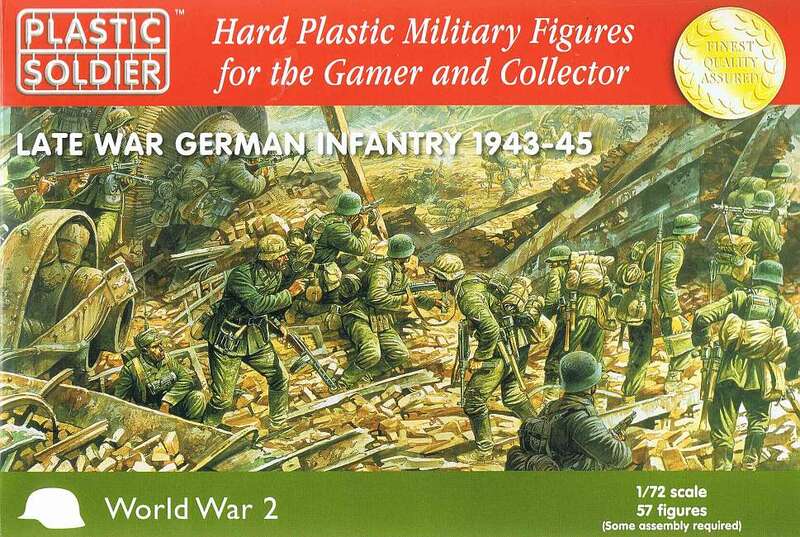 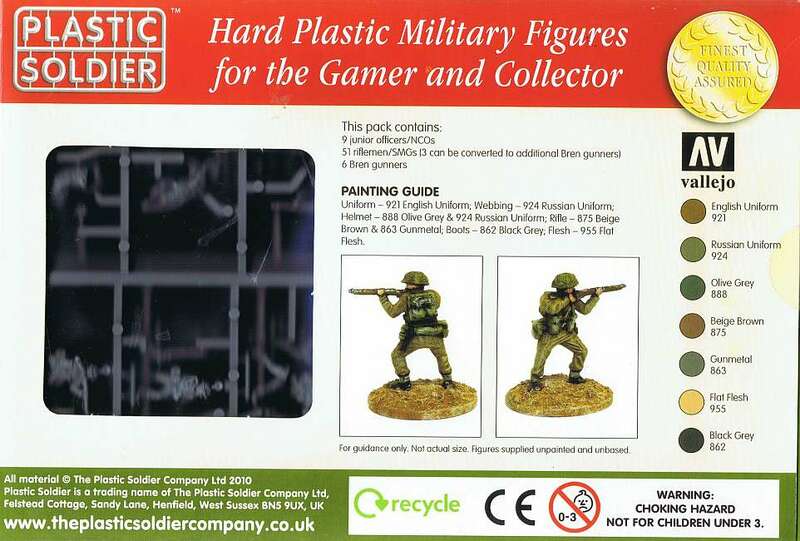 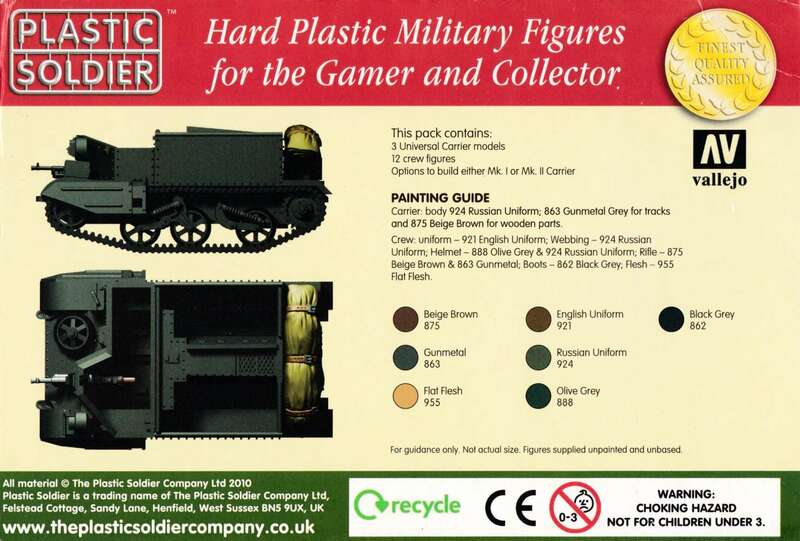 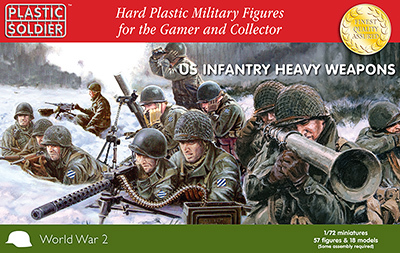 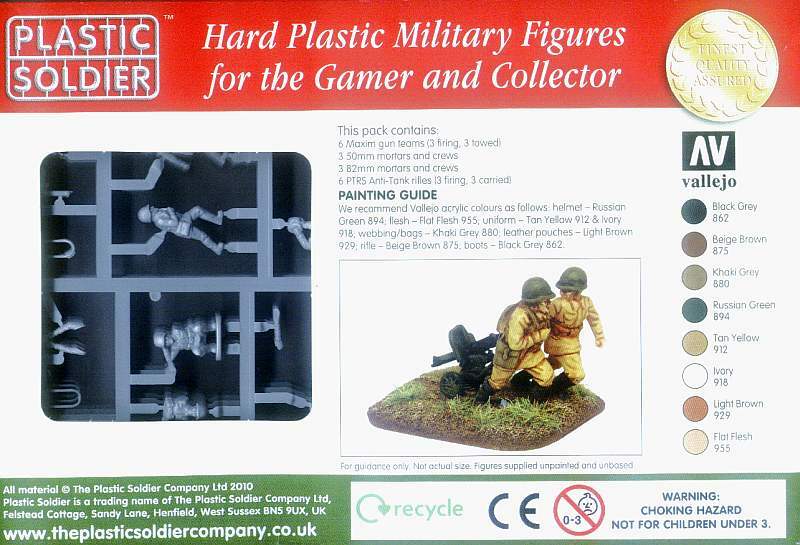 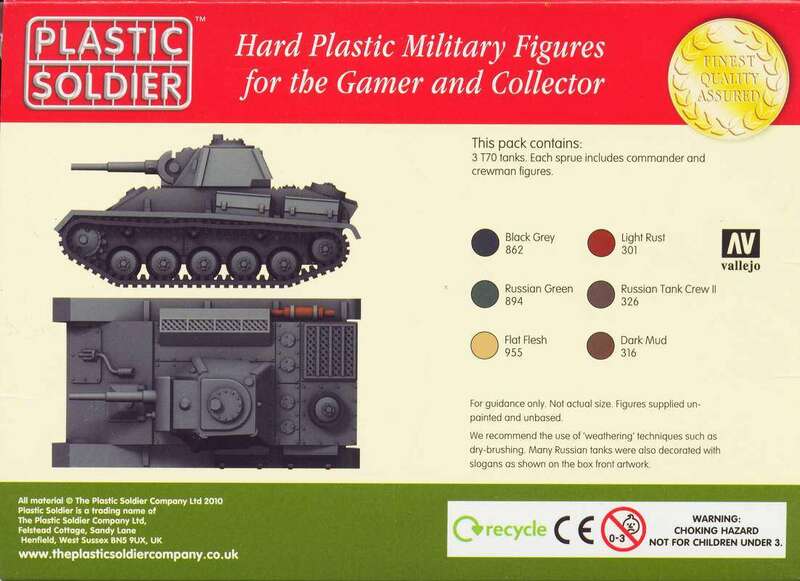 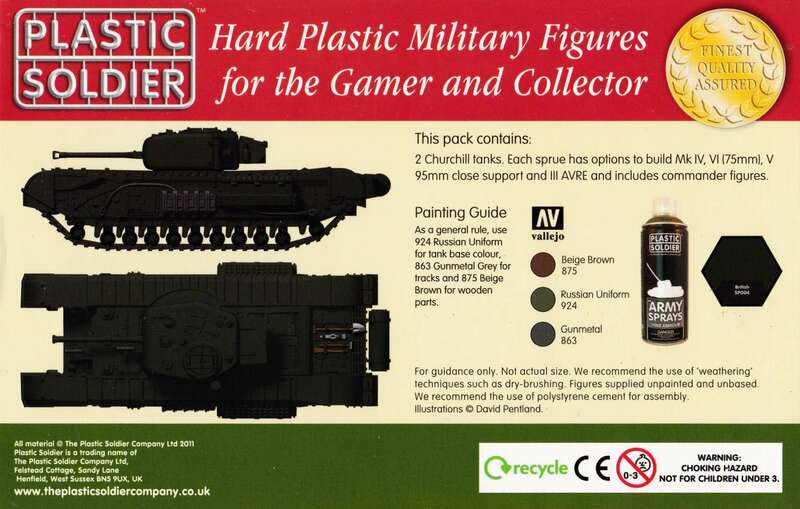 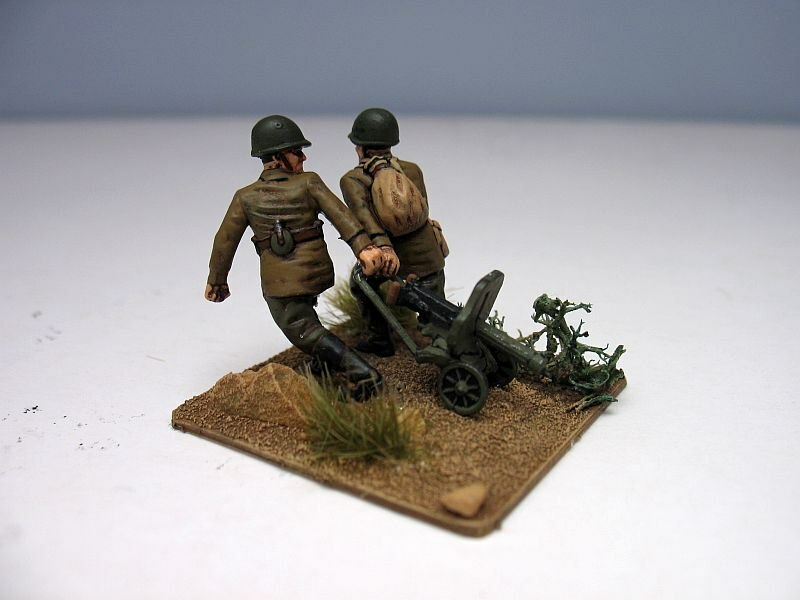 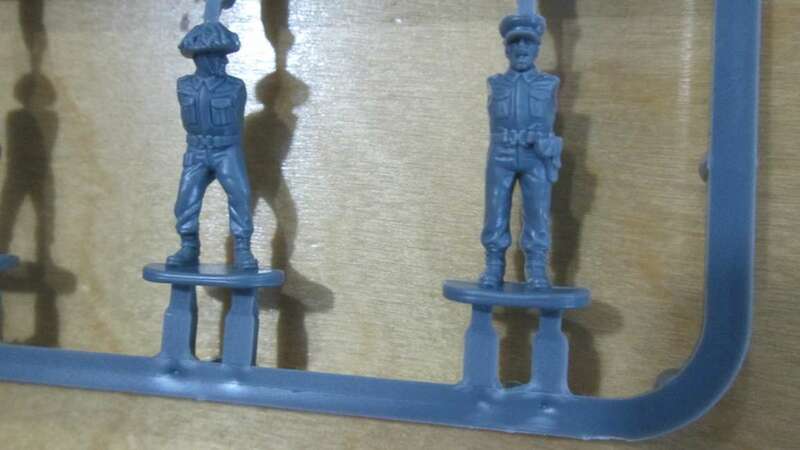 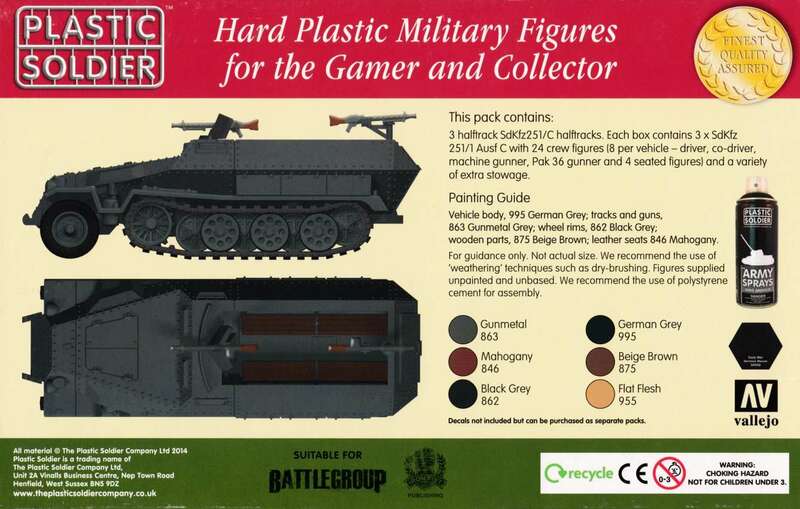 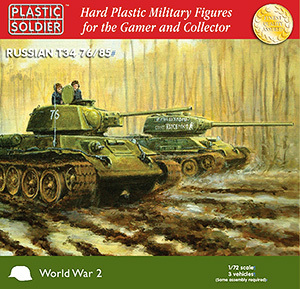 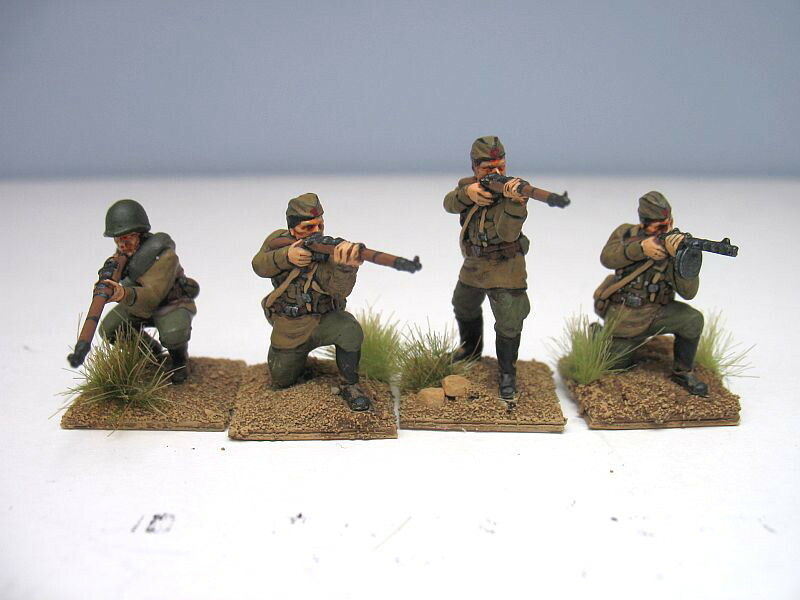 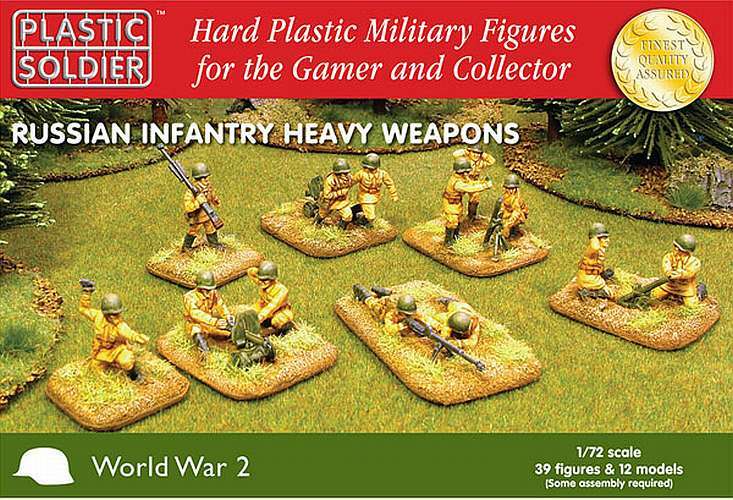 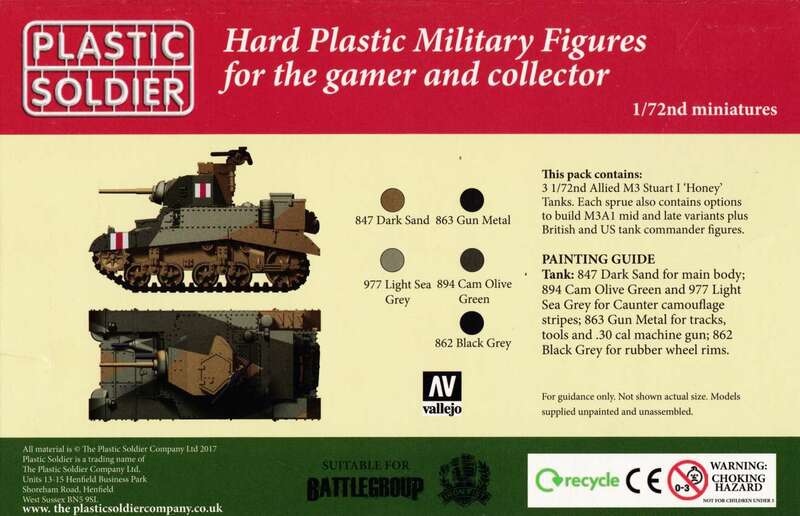 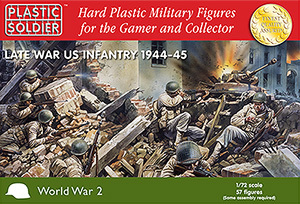 The Plastic Soldier Company Ltd manufactures hard plastic miniatures of the highest quality for wargaming and dioramas in 1/72 scale. 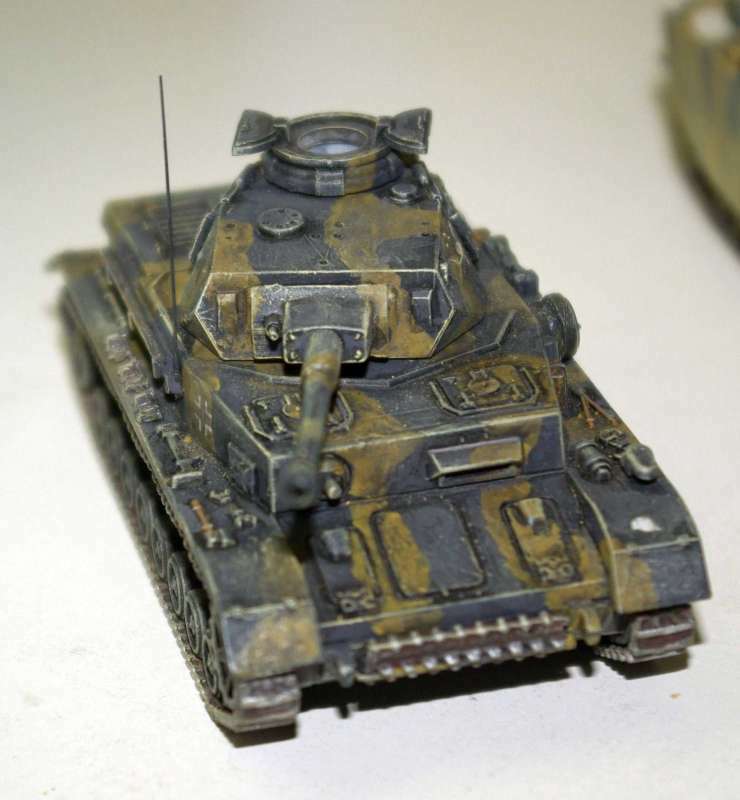 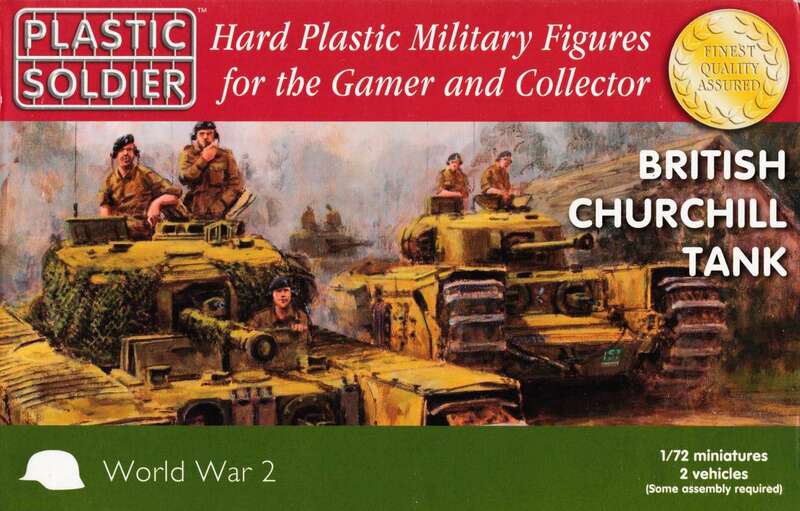 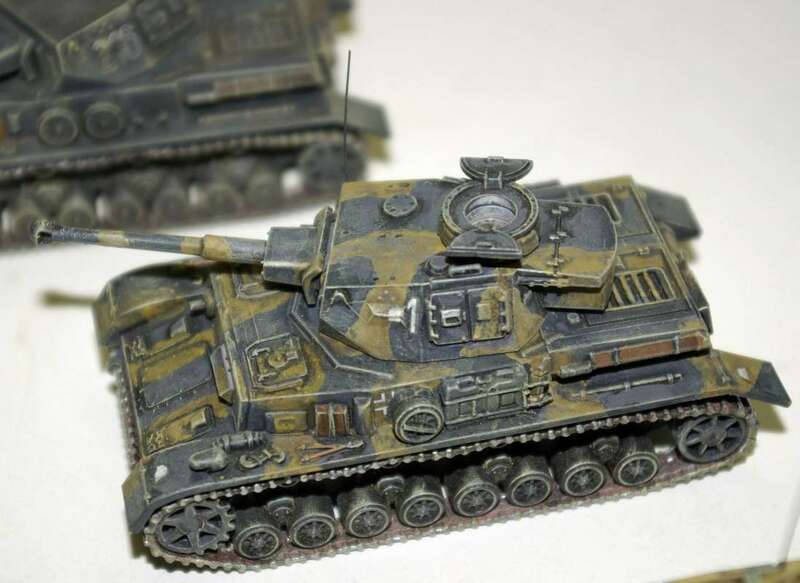 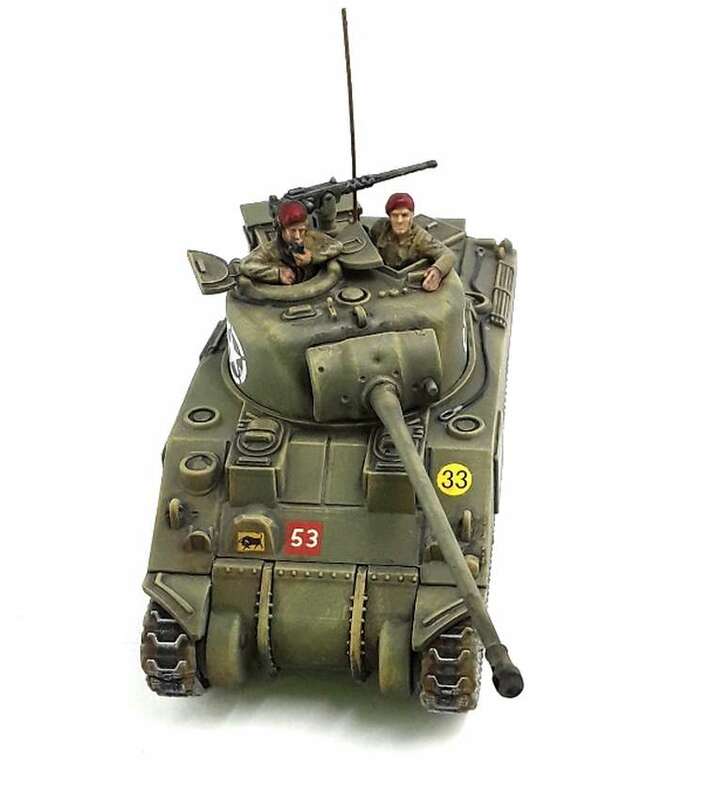 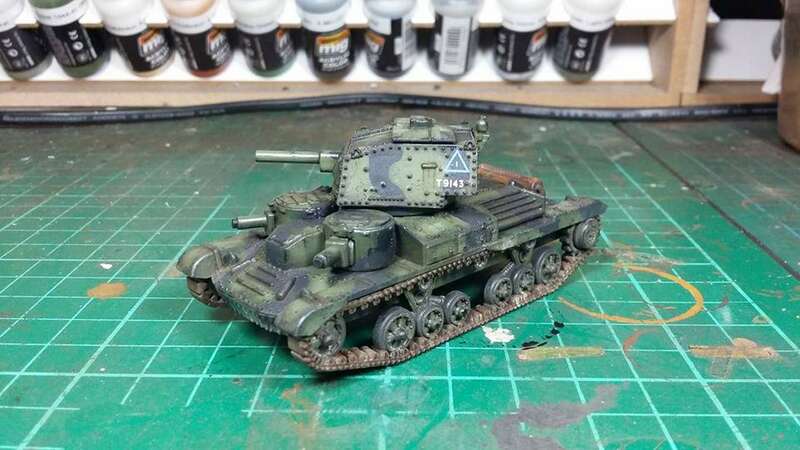 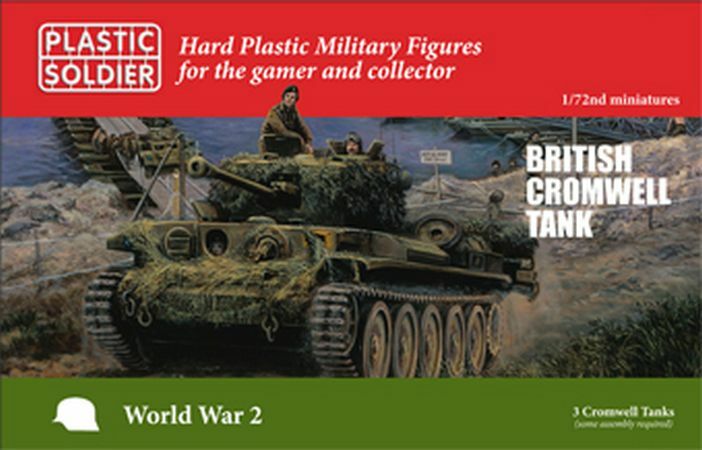 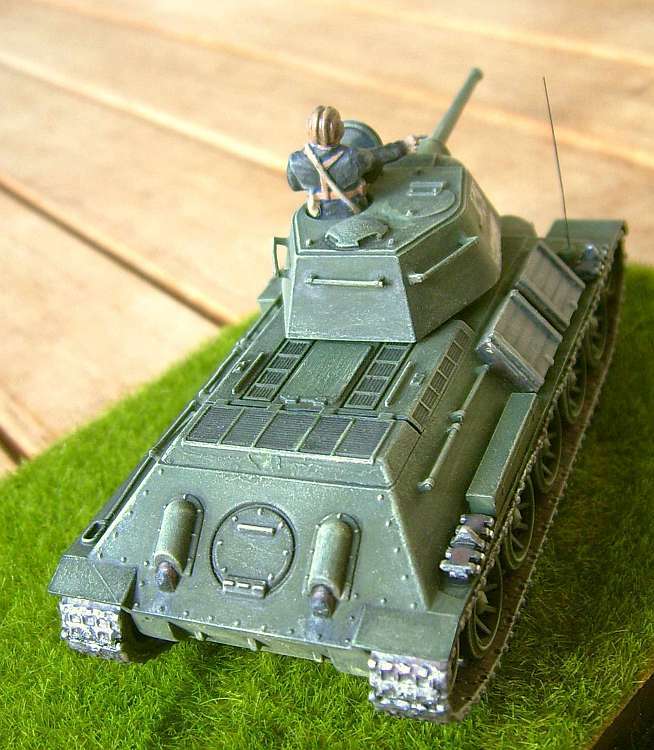 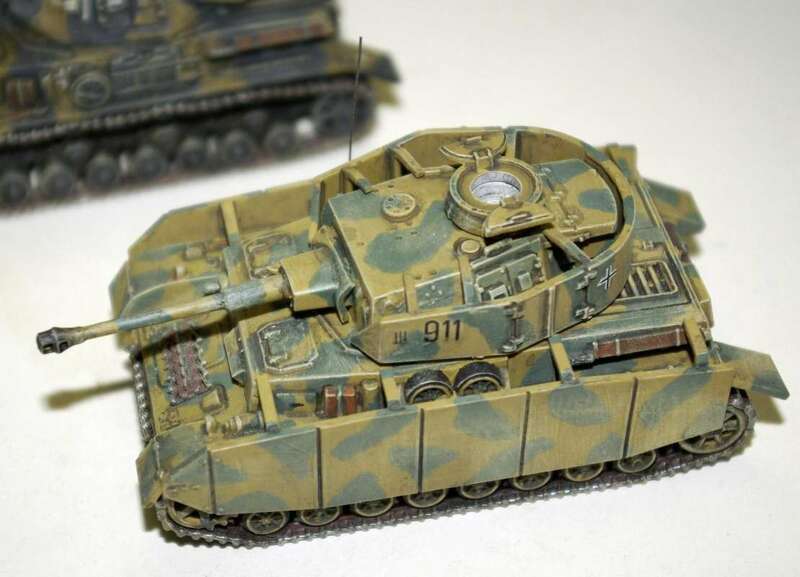 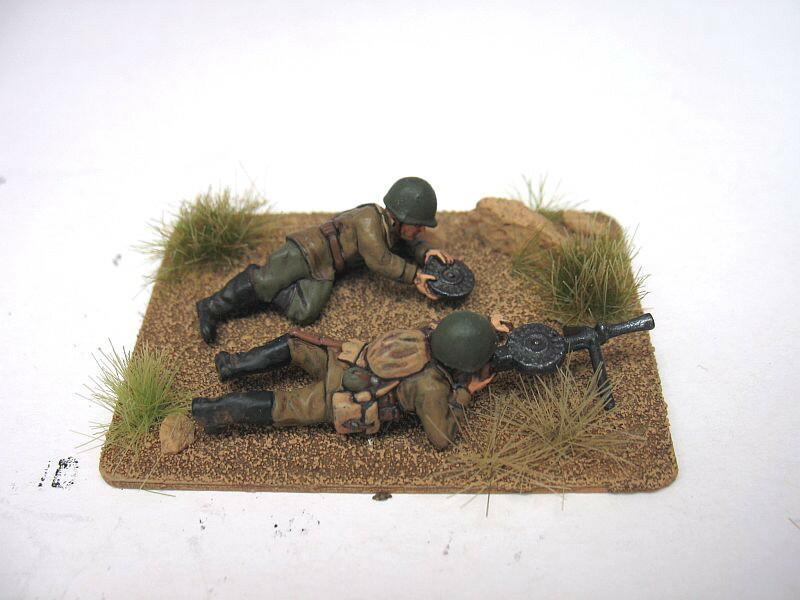 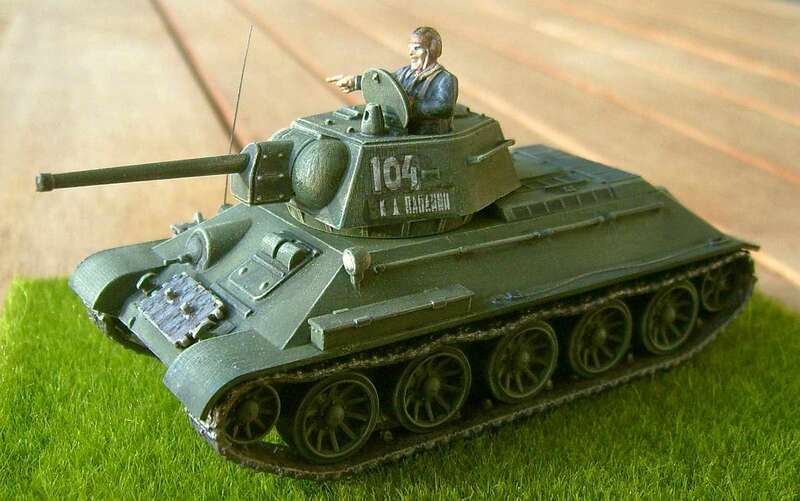 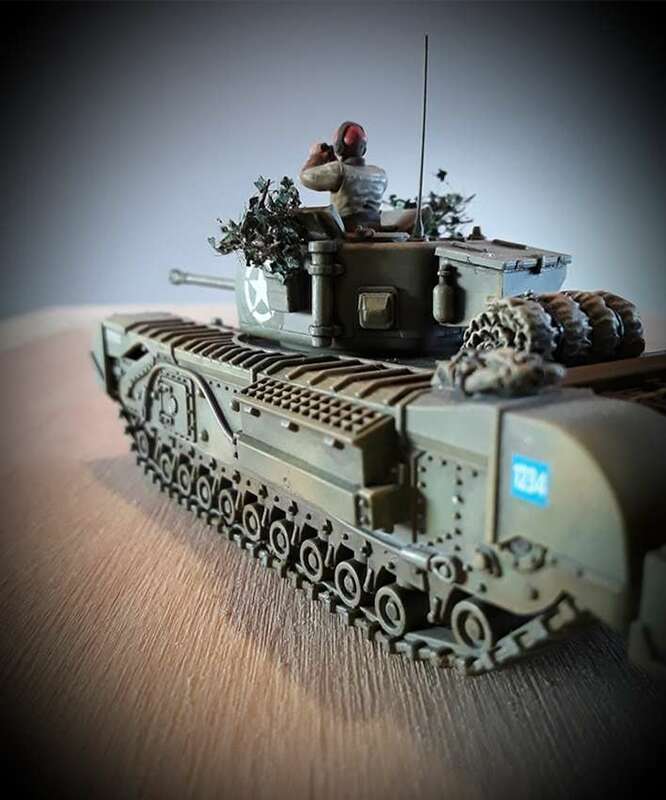 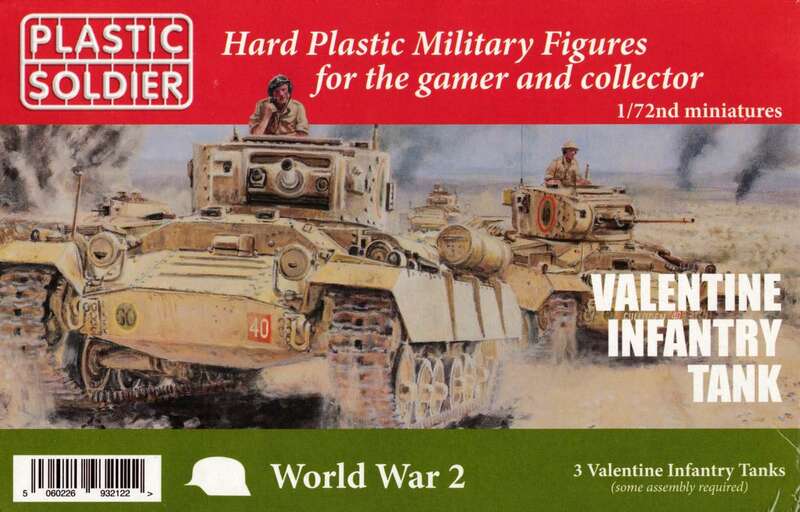 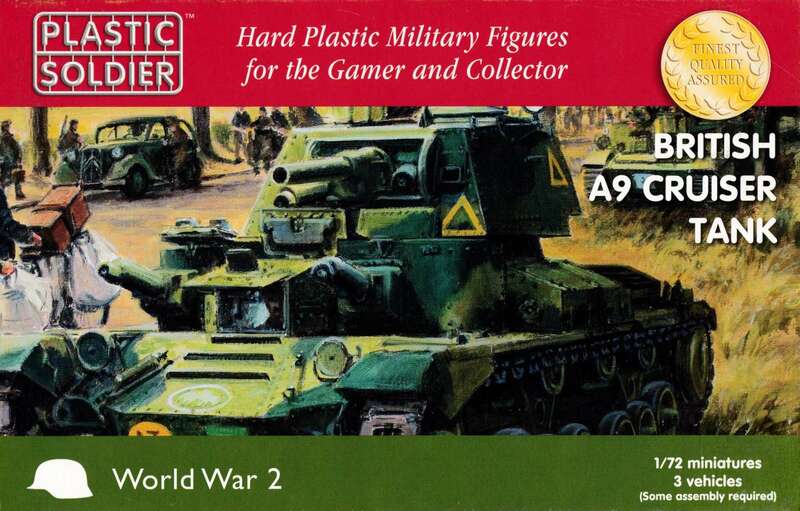 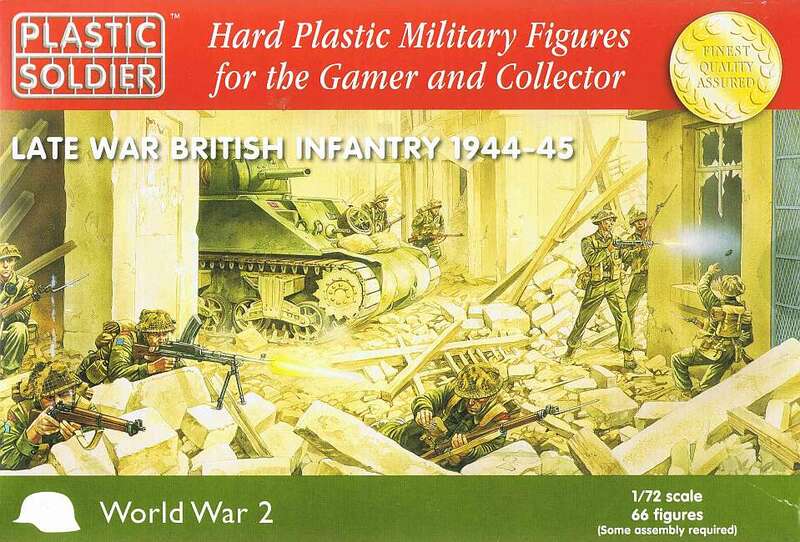 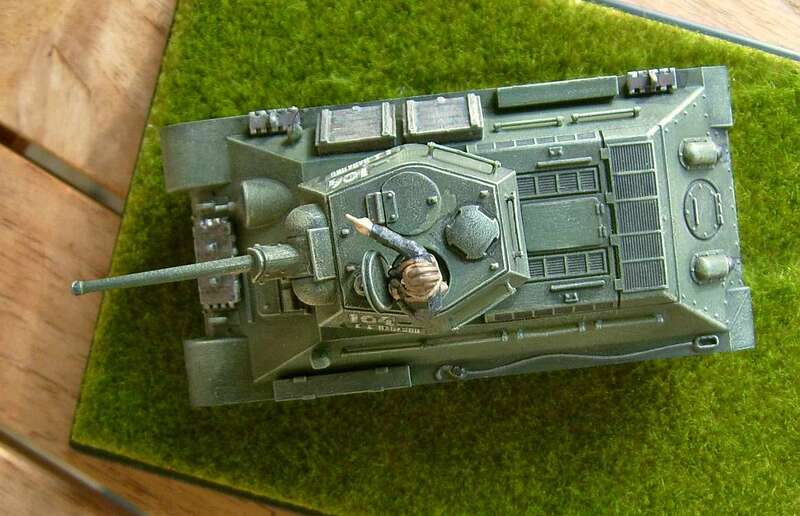 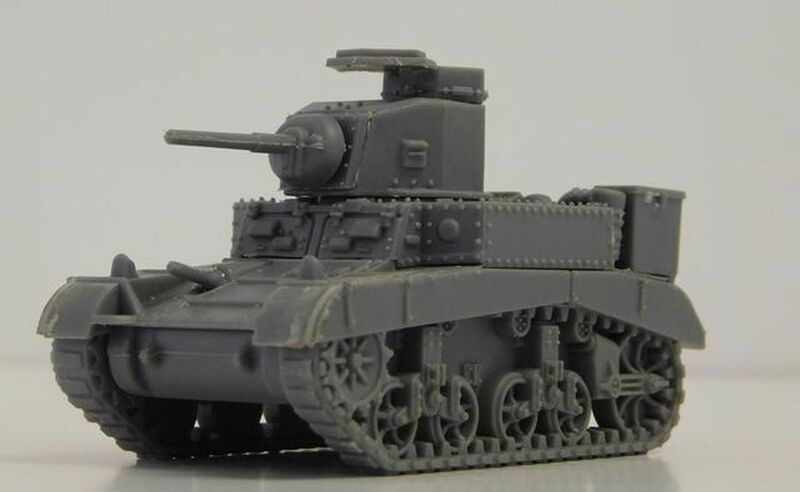 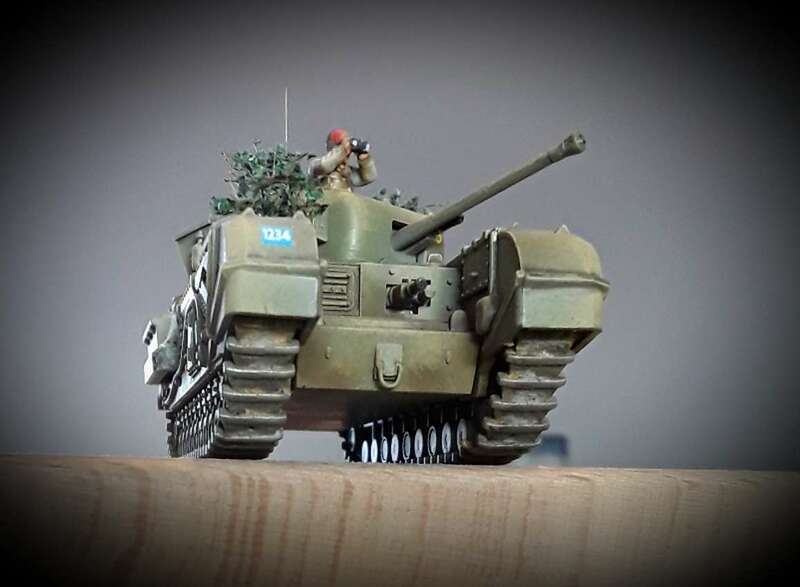 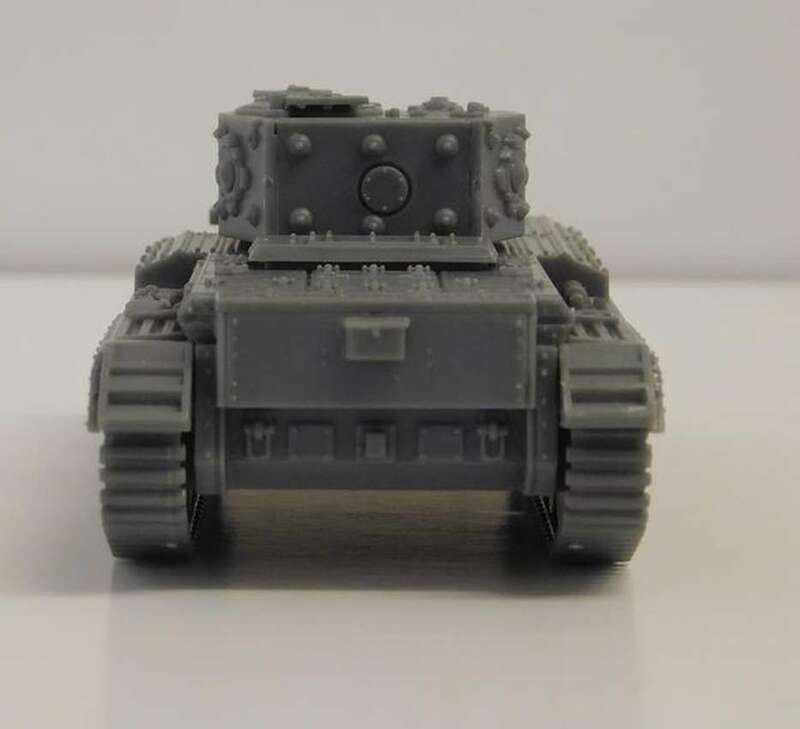 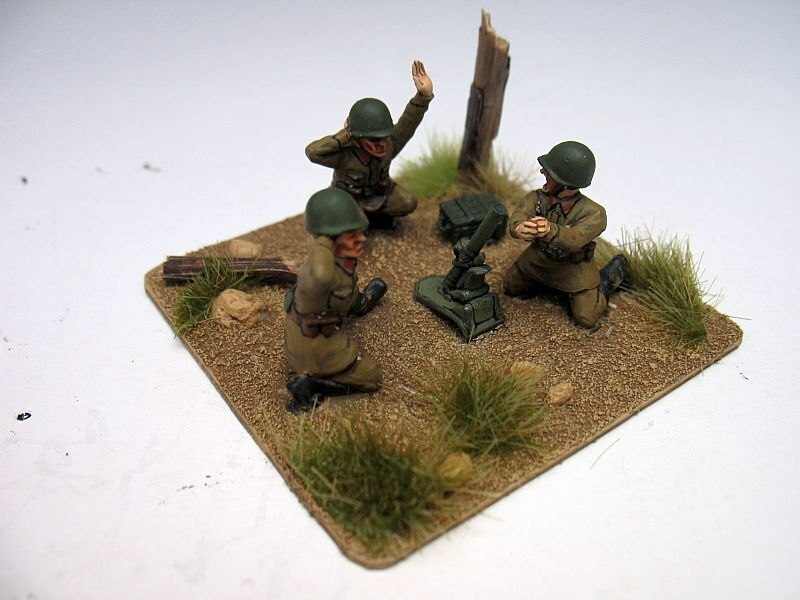 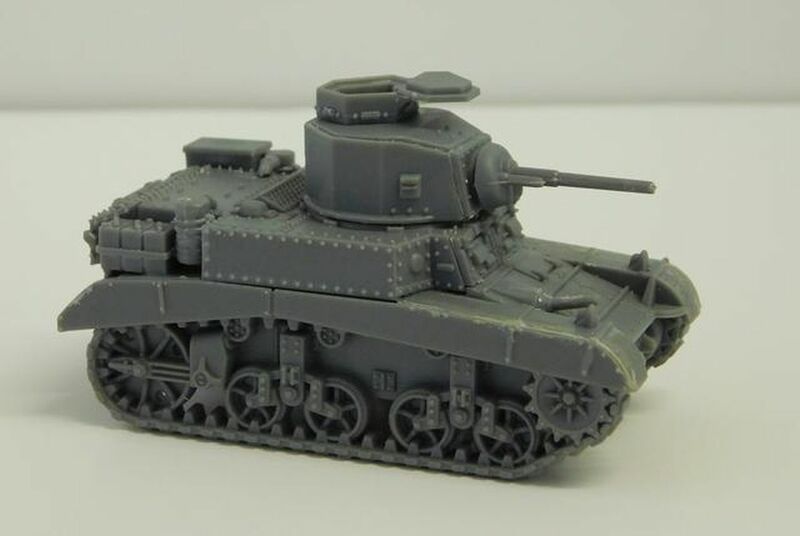 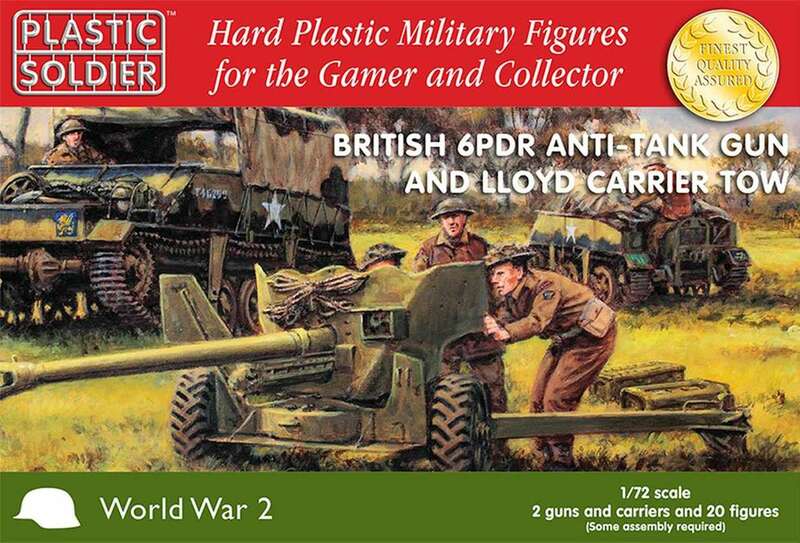 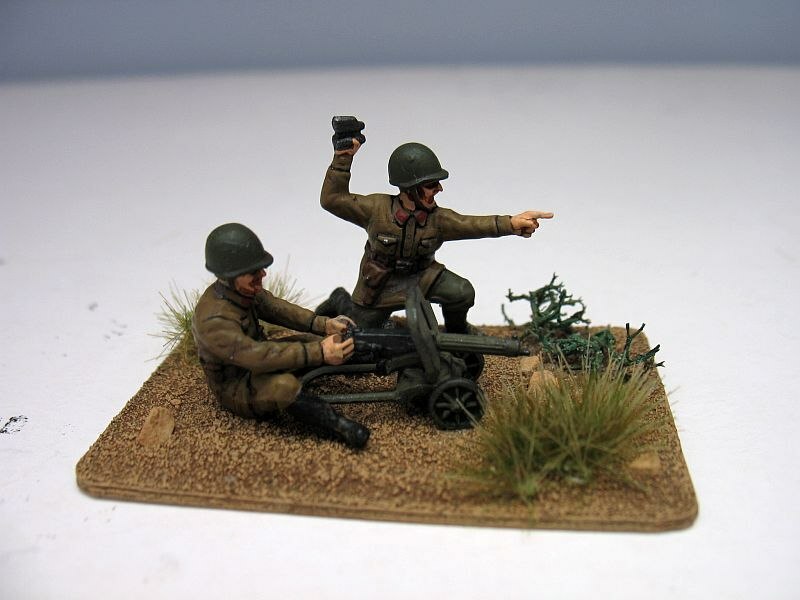 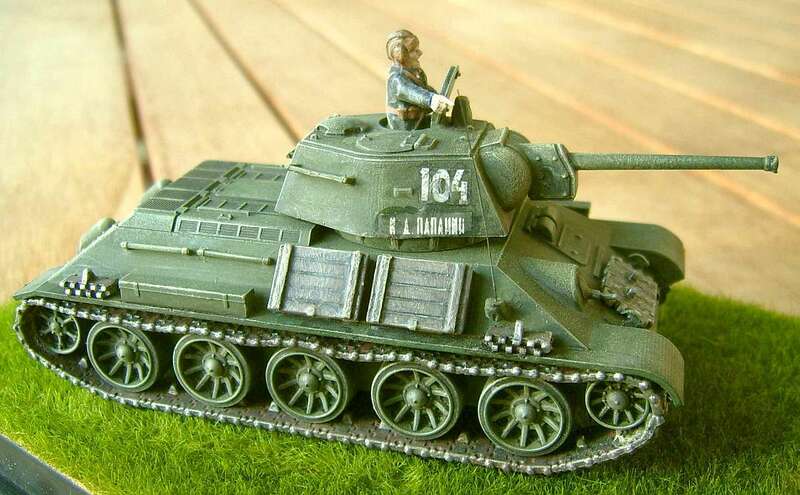 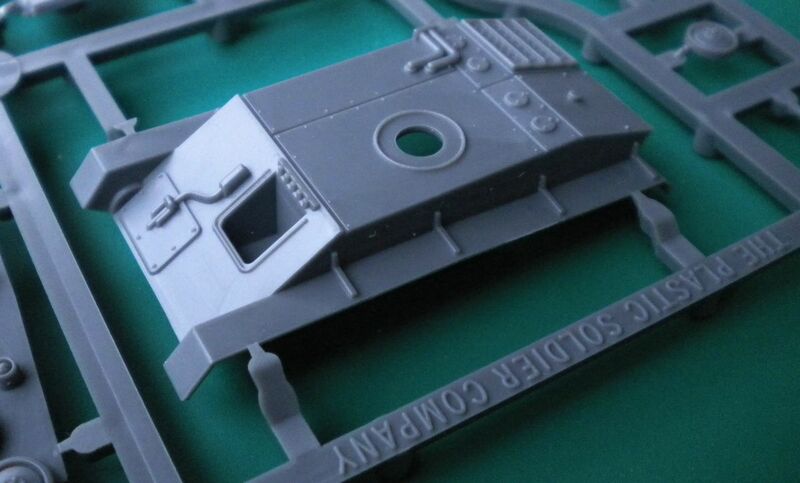 The Company is the brainchild of William Townshend from the UK, a lifelong wargamer and military history enthusiast. 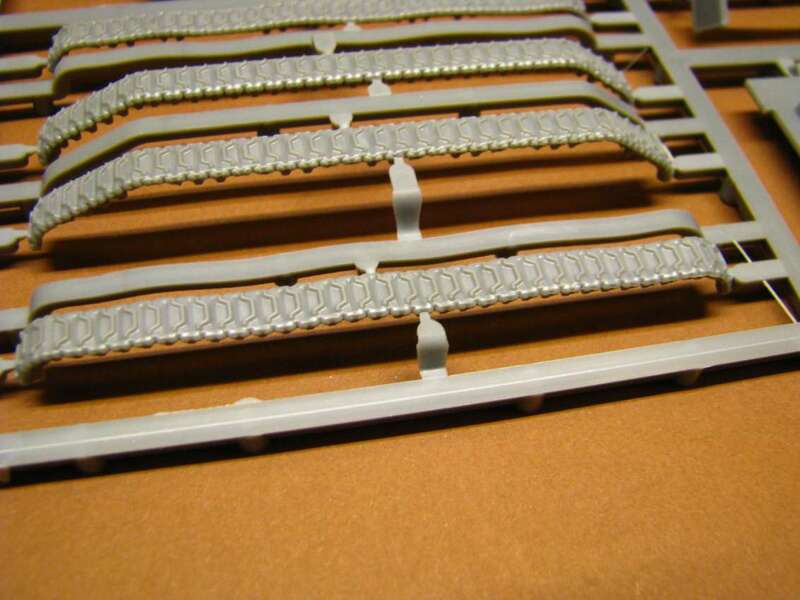 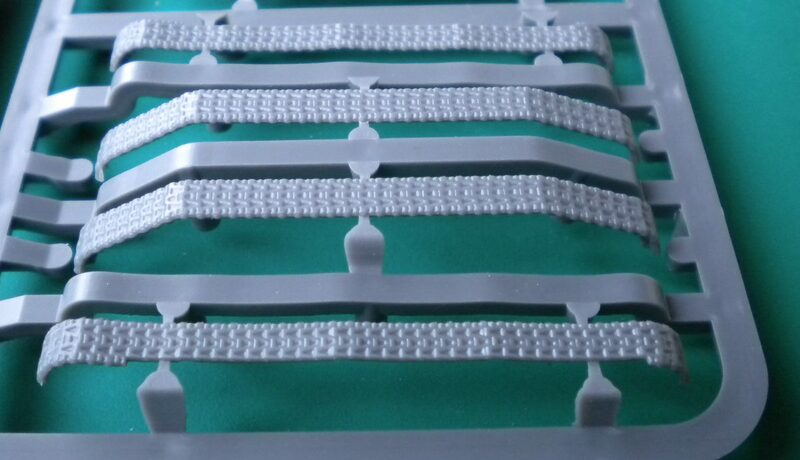 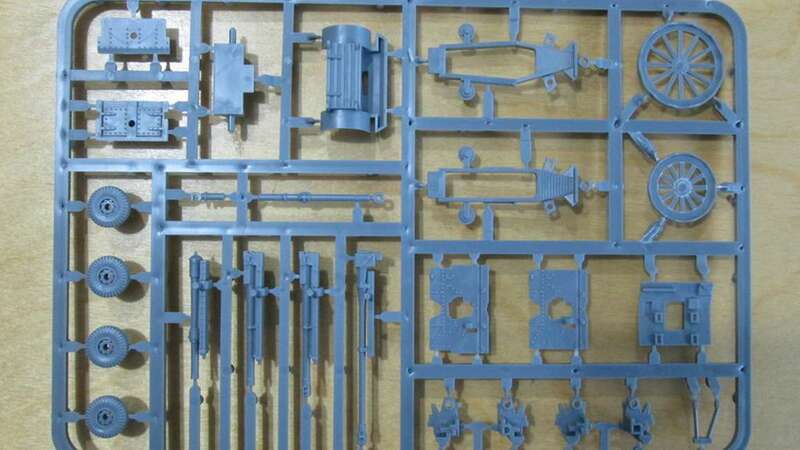 Ace makes injection moulded armor kits of good/high quality. 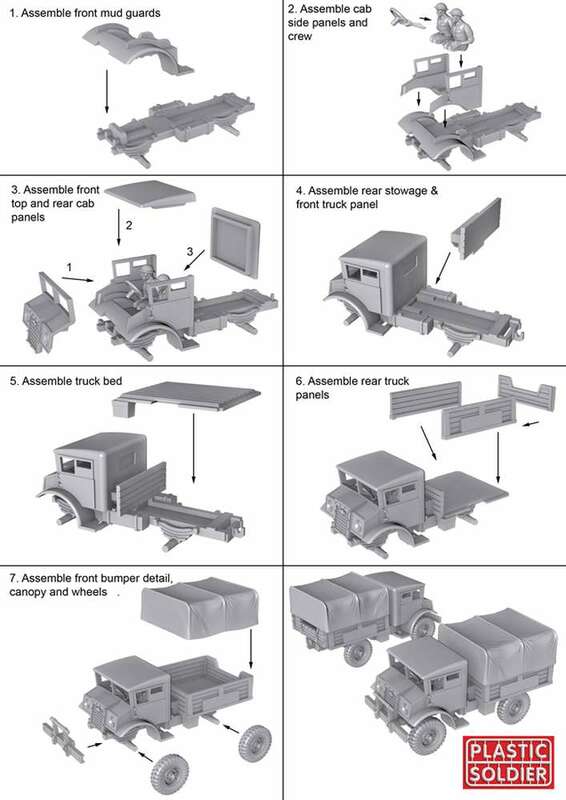 The details are crisp, in scale, easy to build and come with decals. 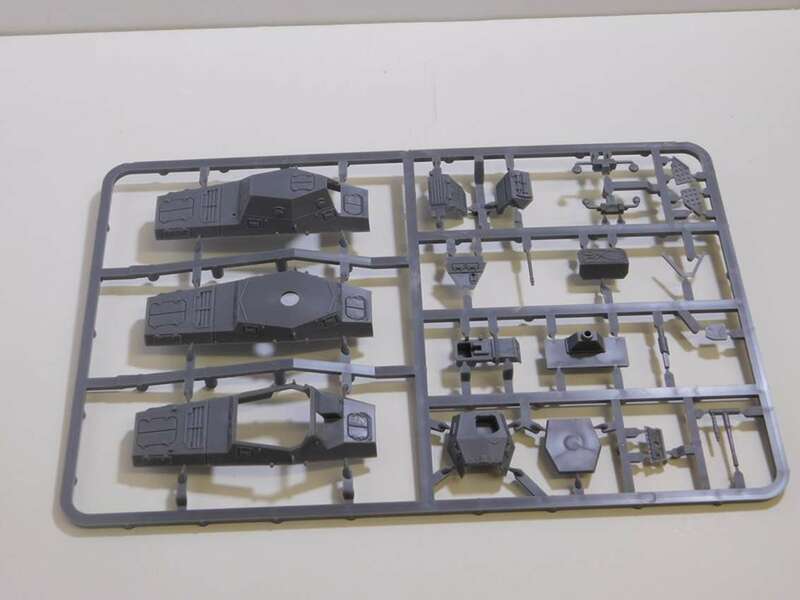 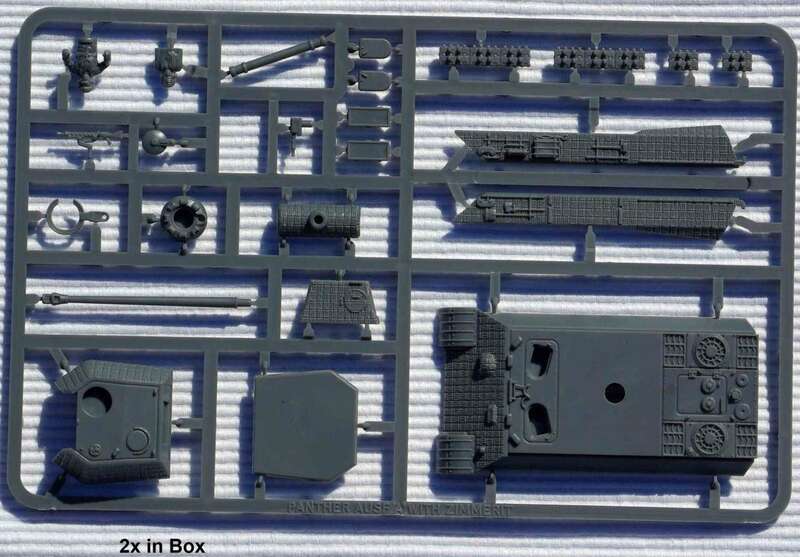 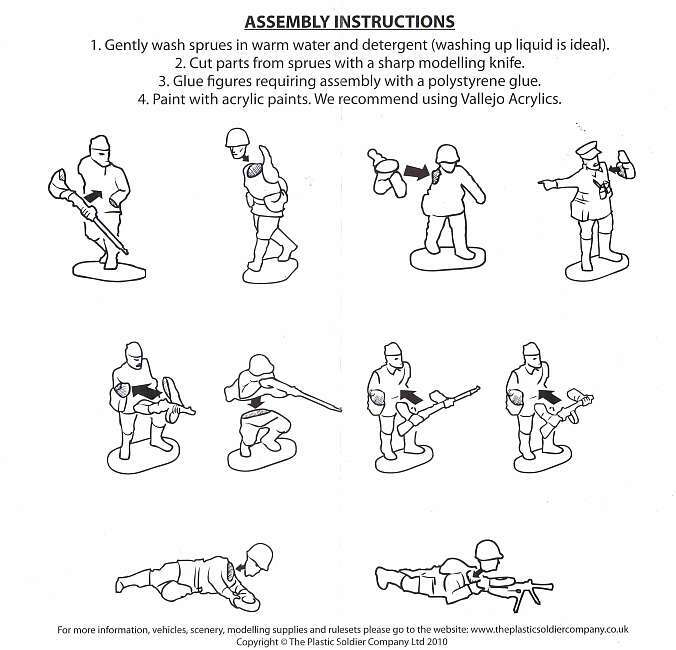 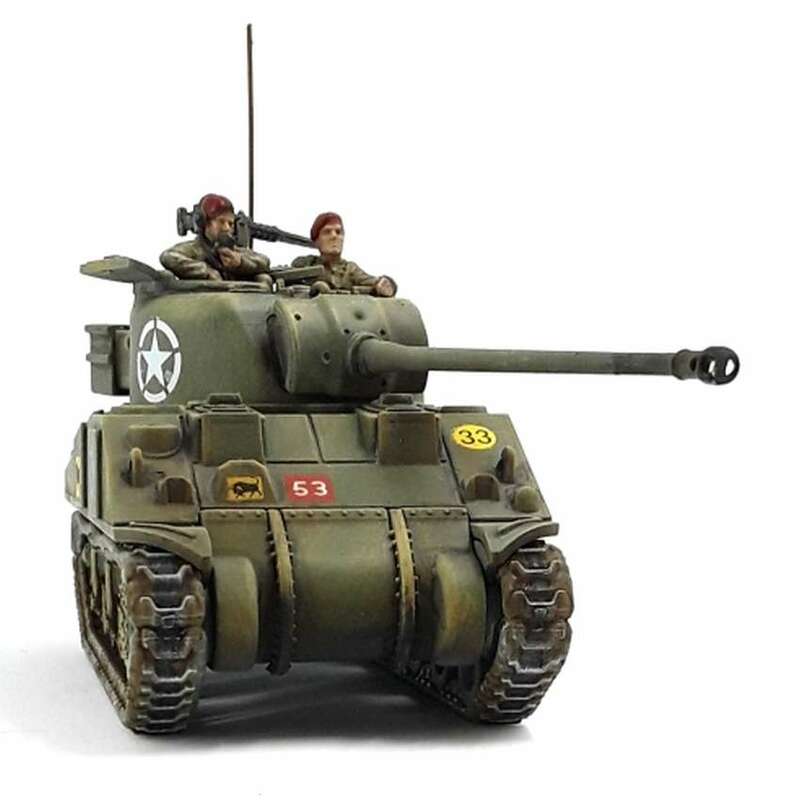 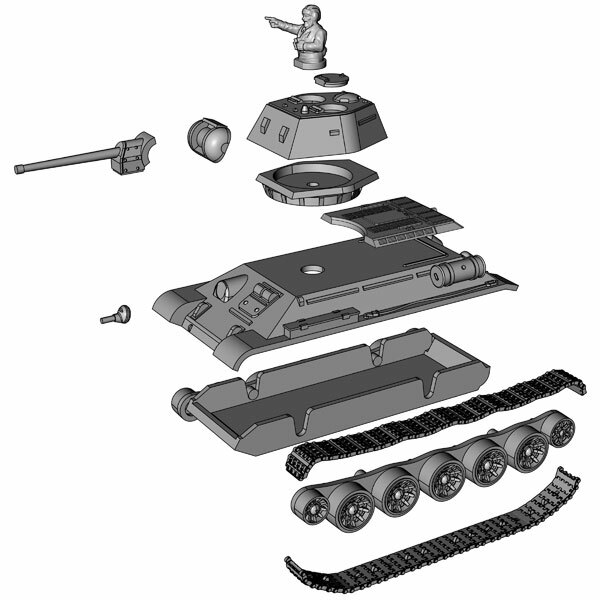 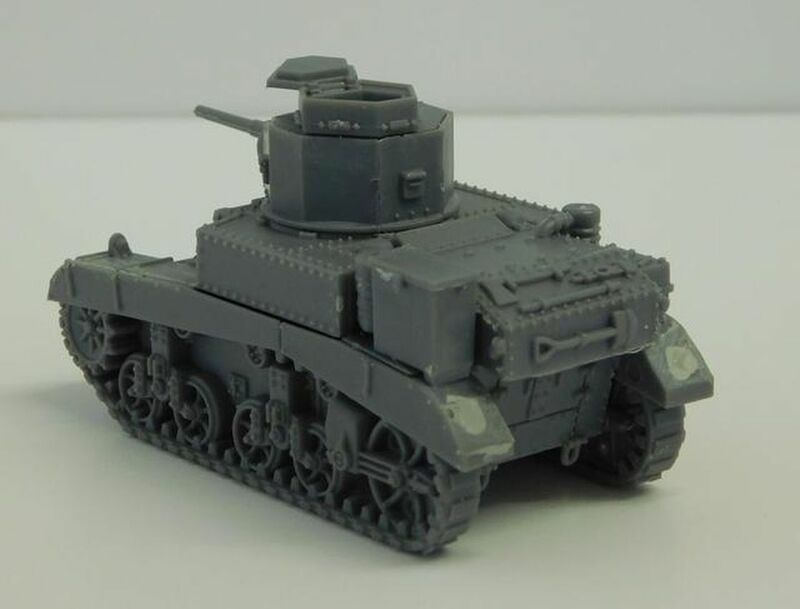 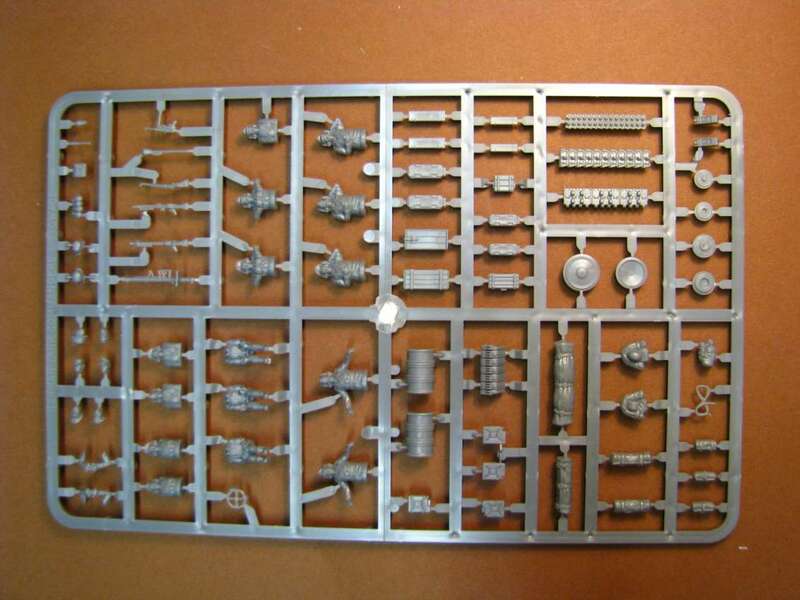 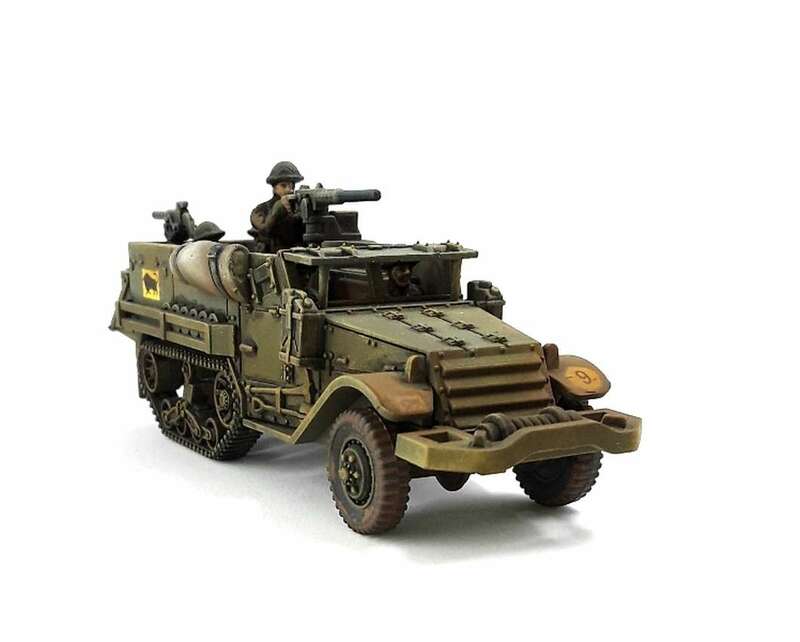 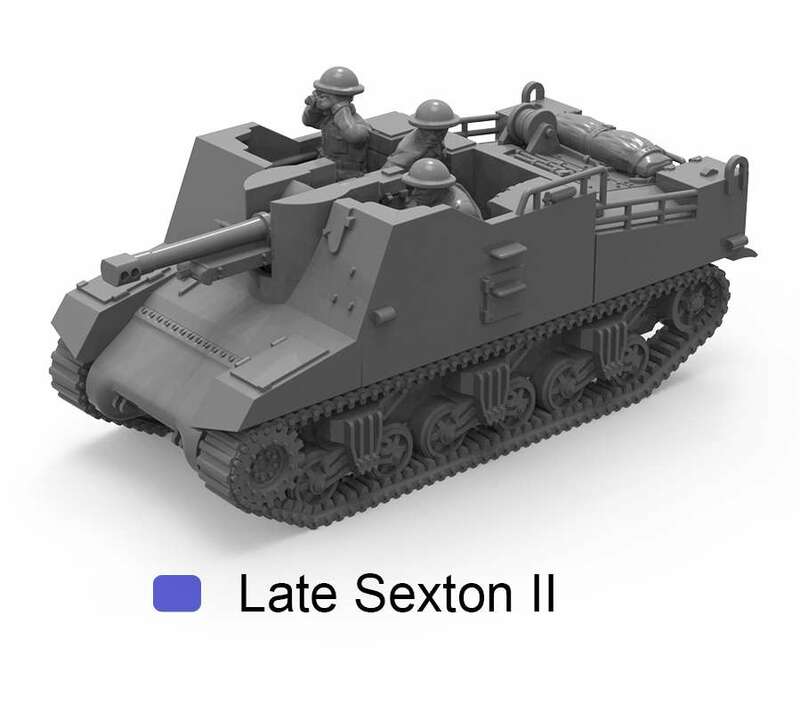 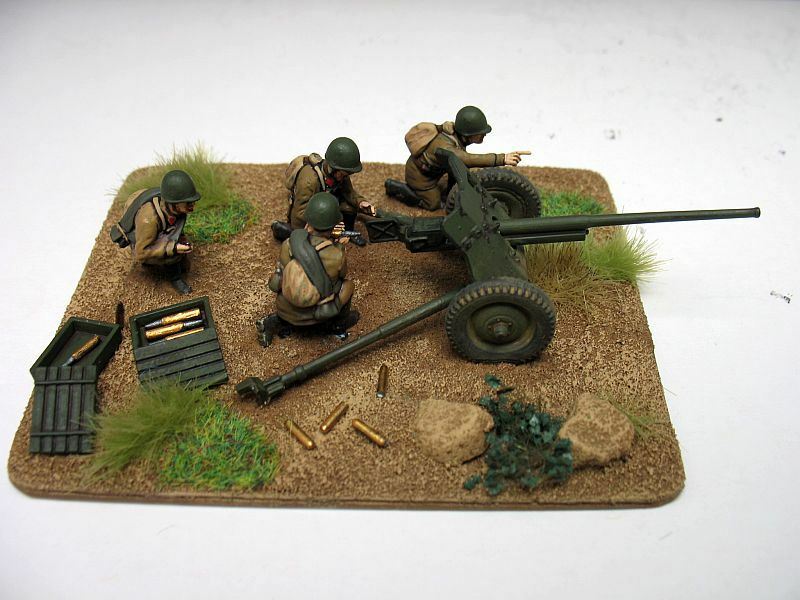 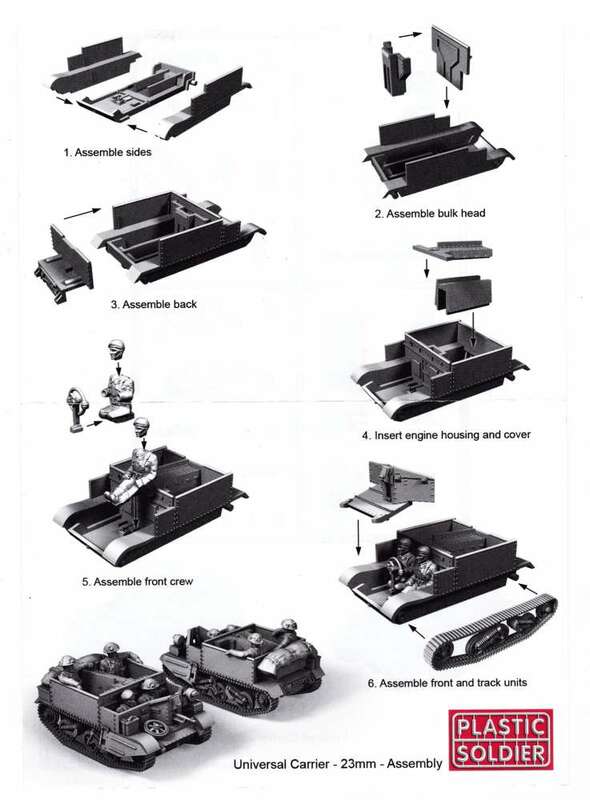 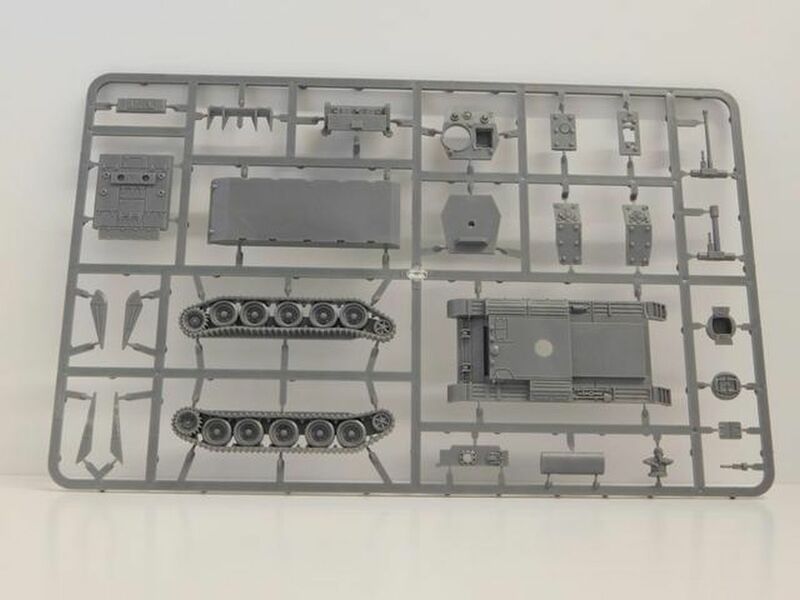 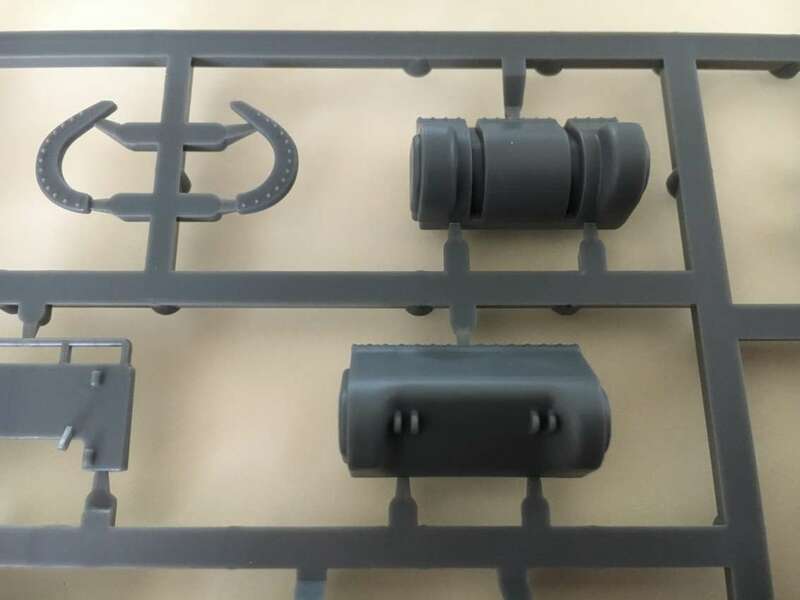 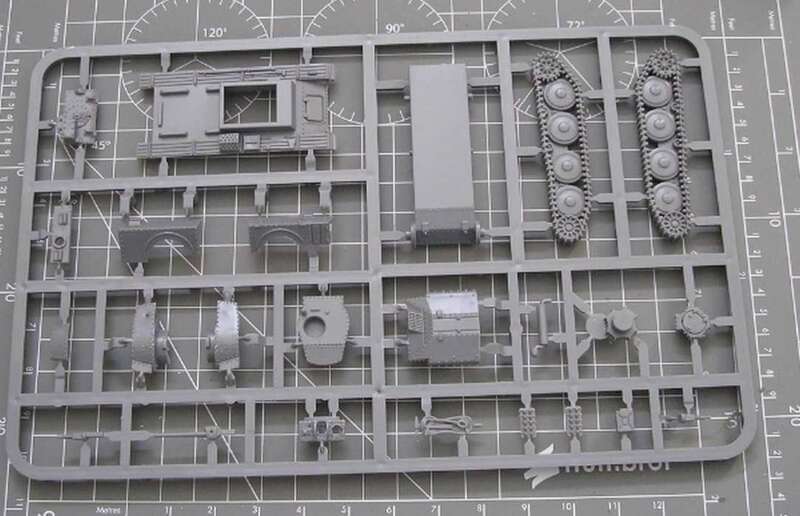 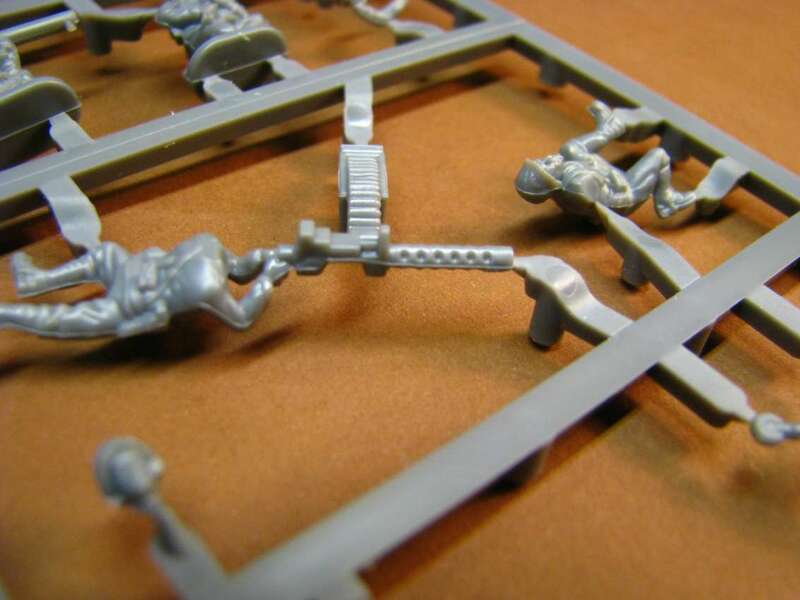 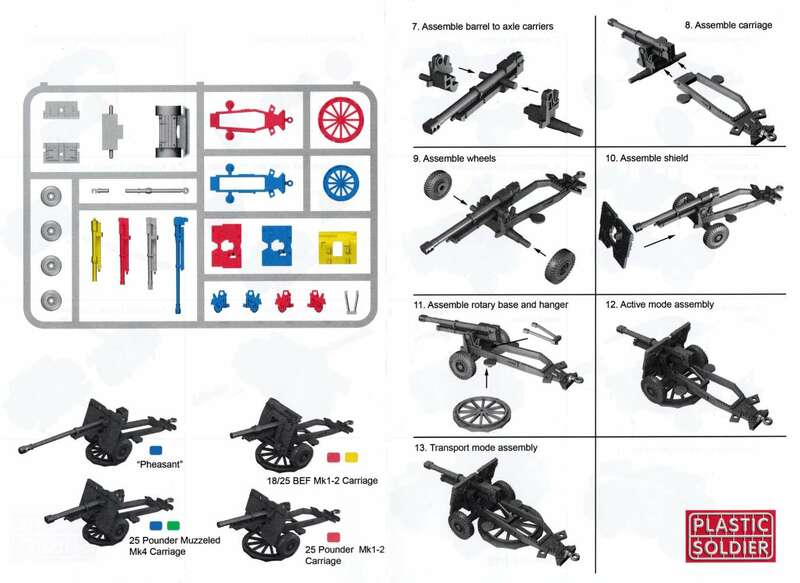 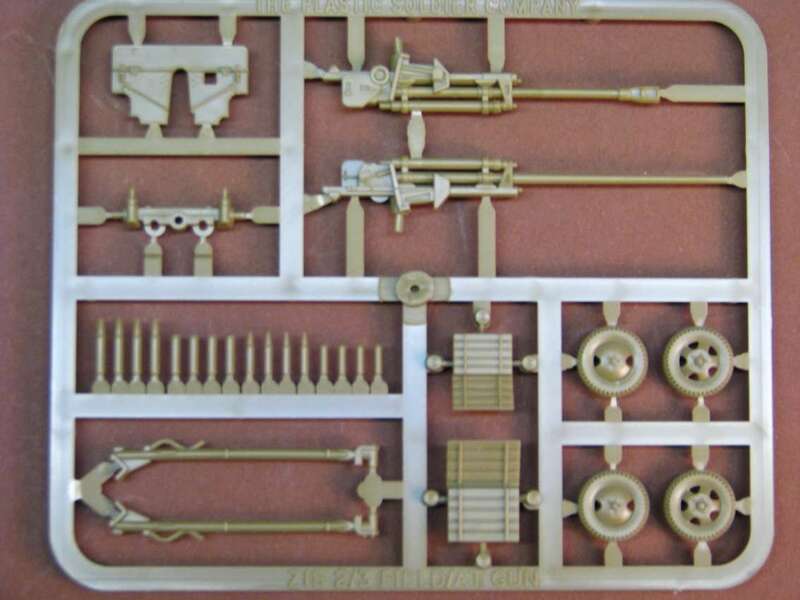 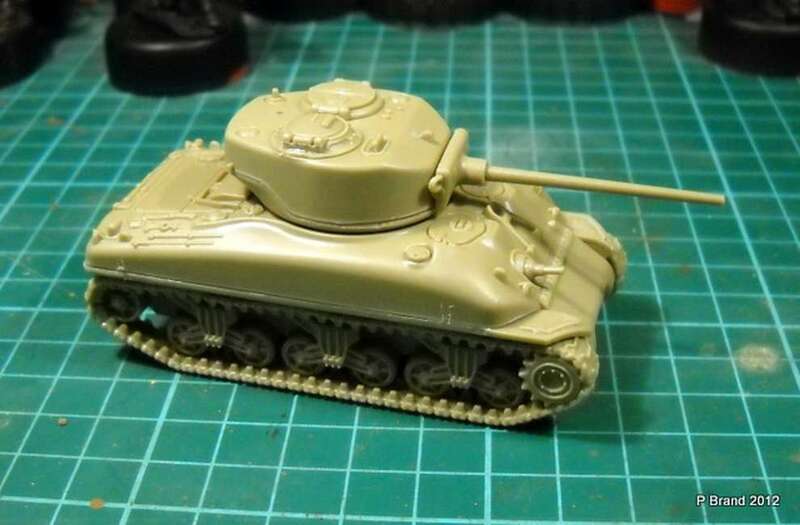 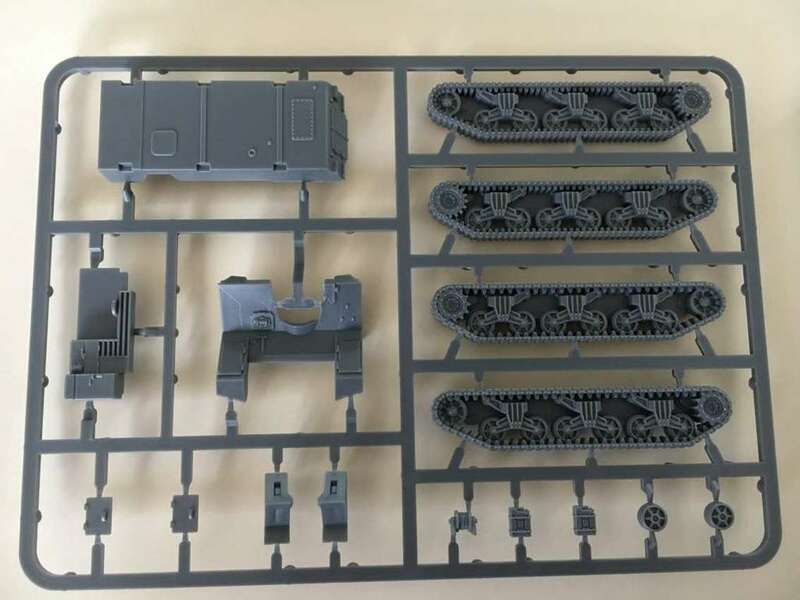 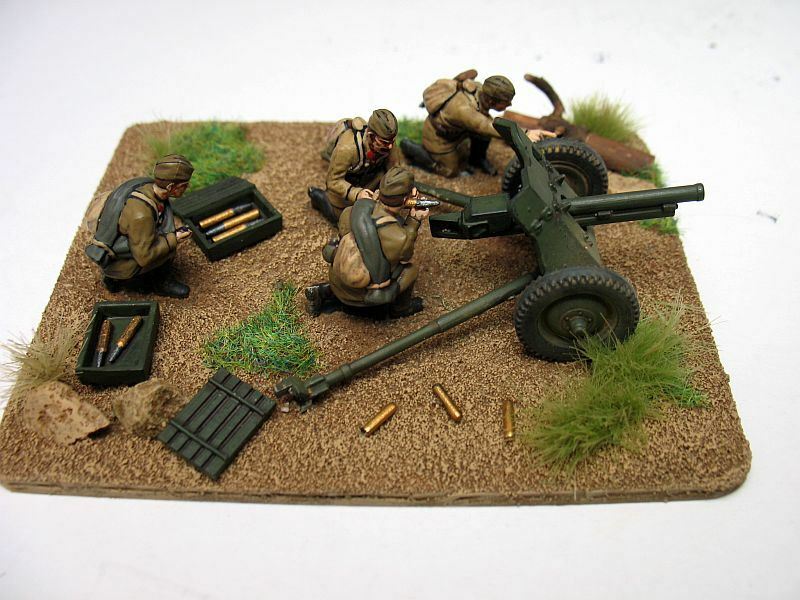 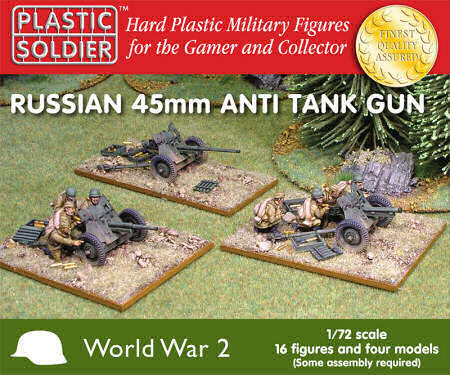 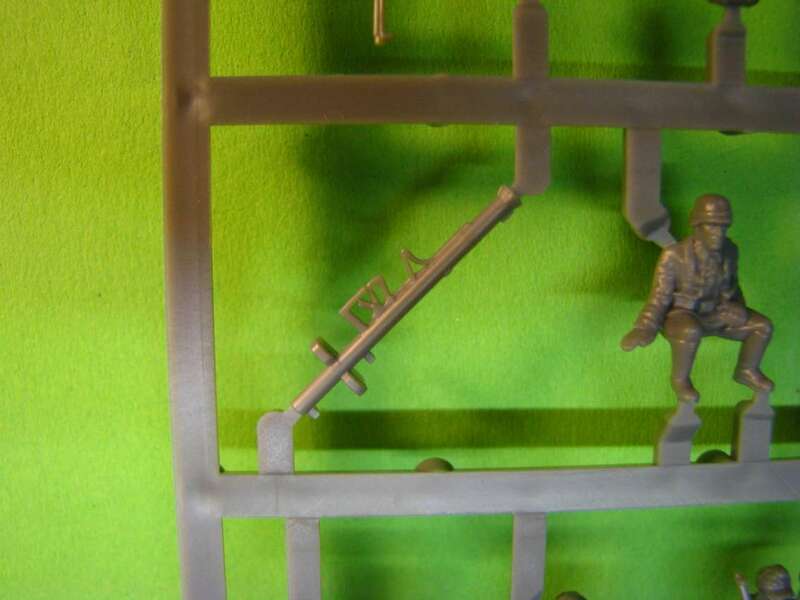 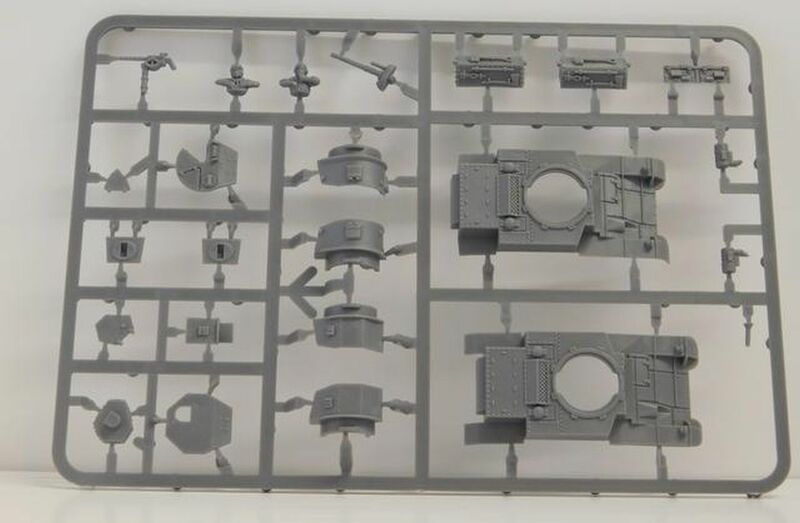 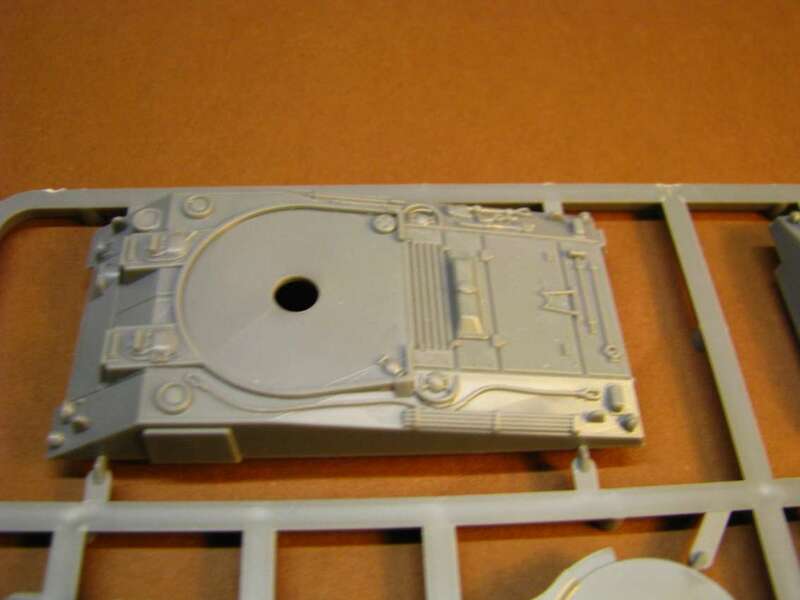 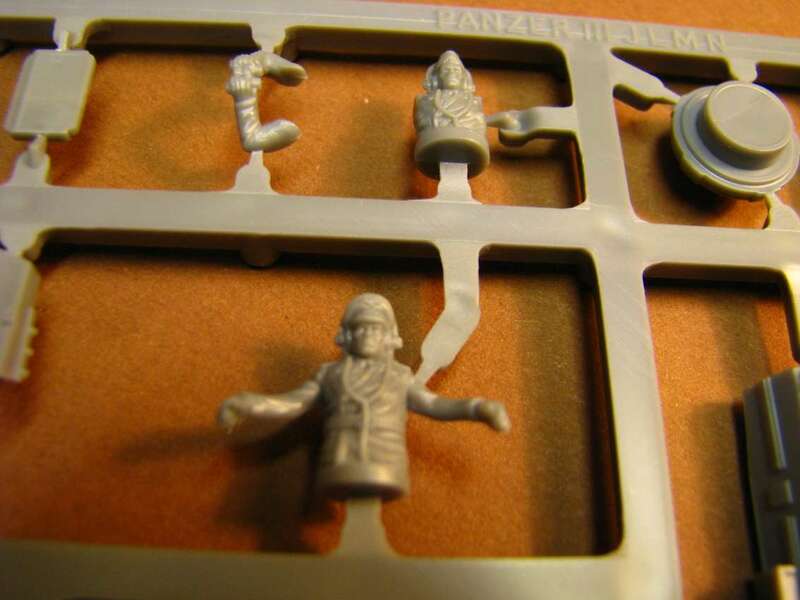 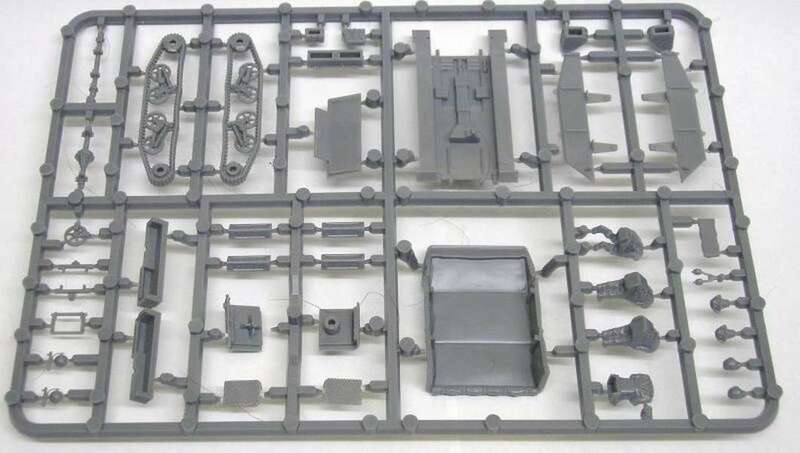 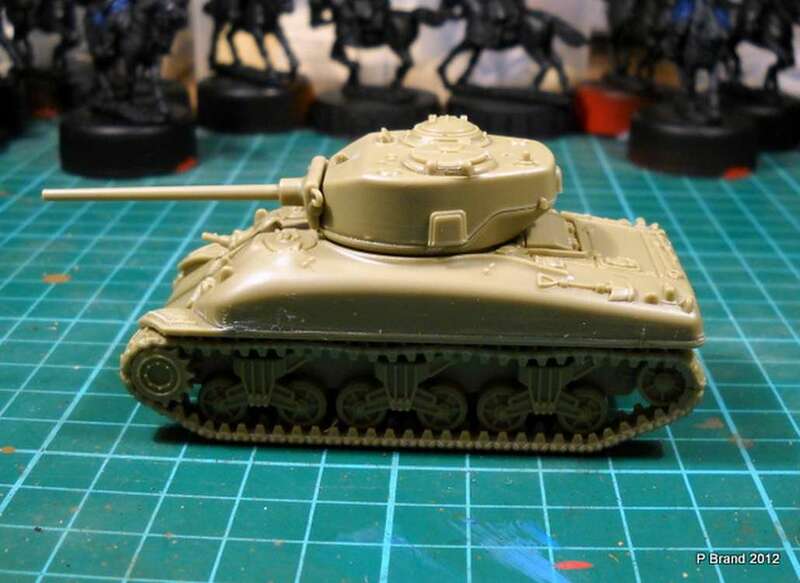 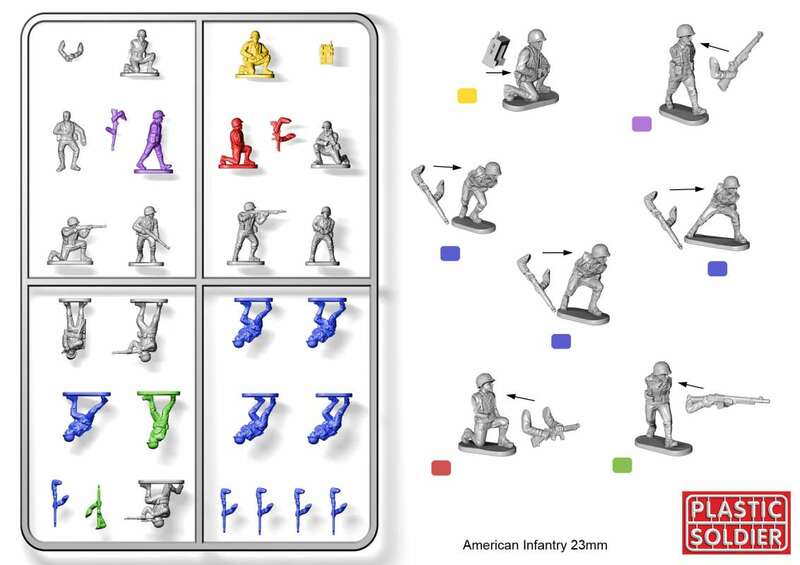 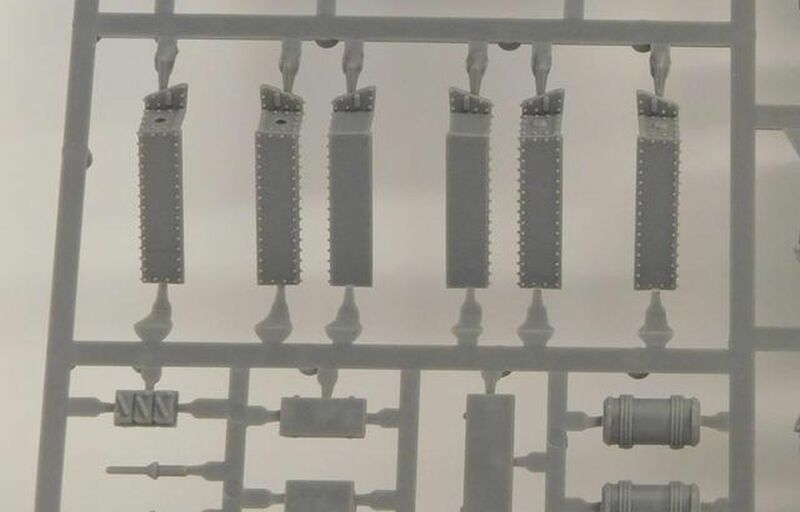 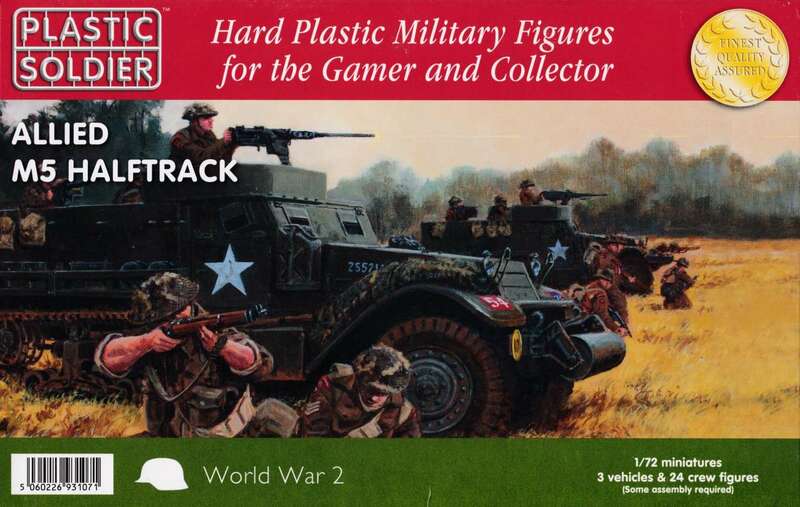 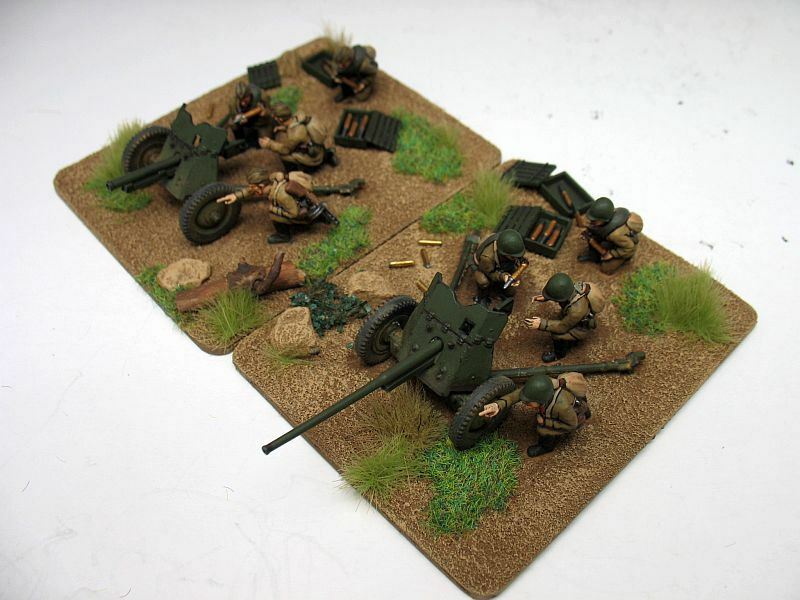 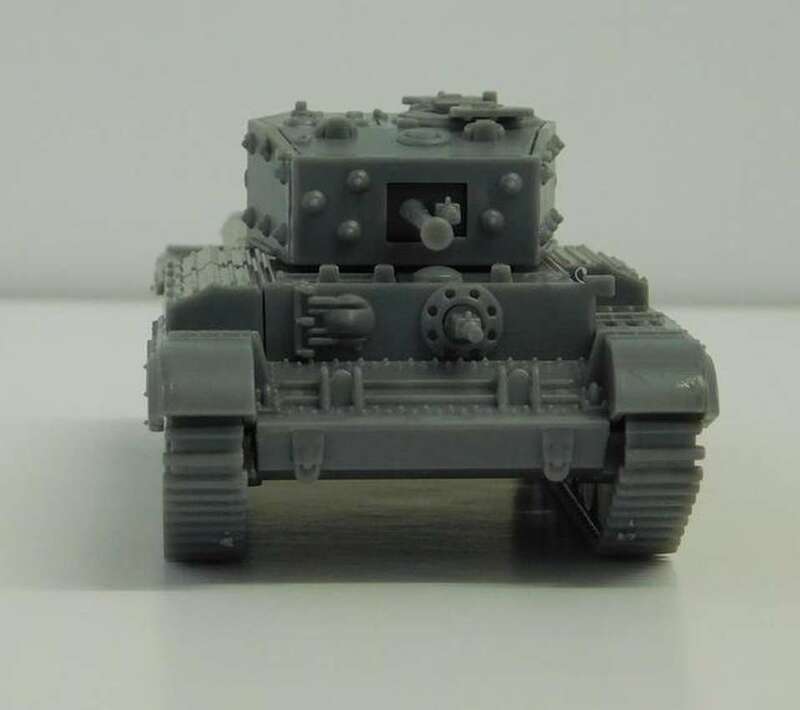 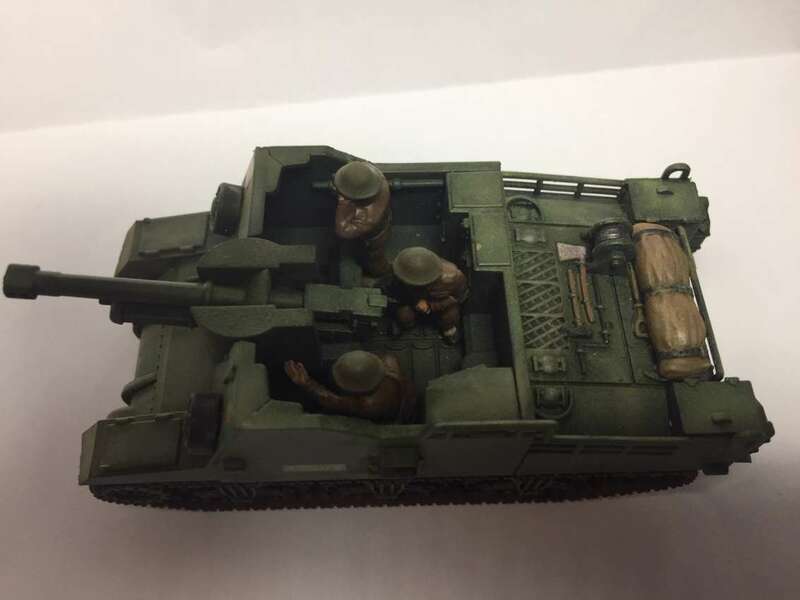 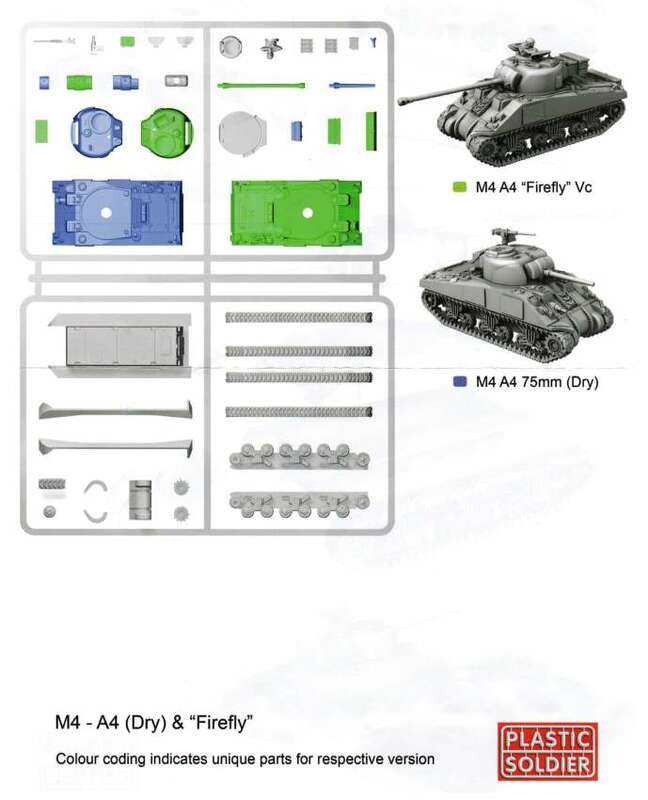 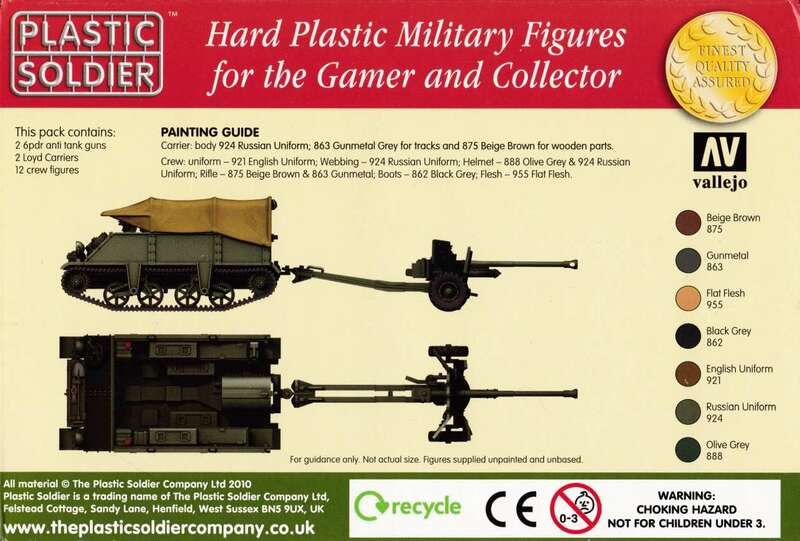 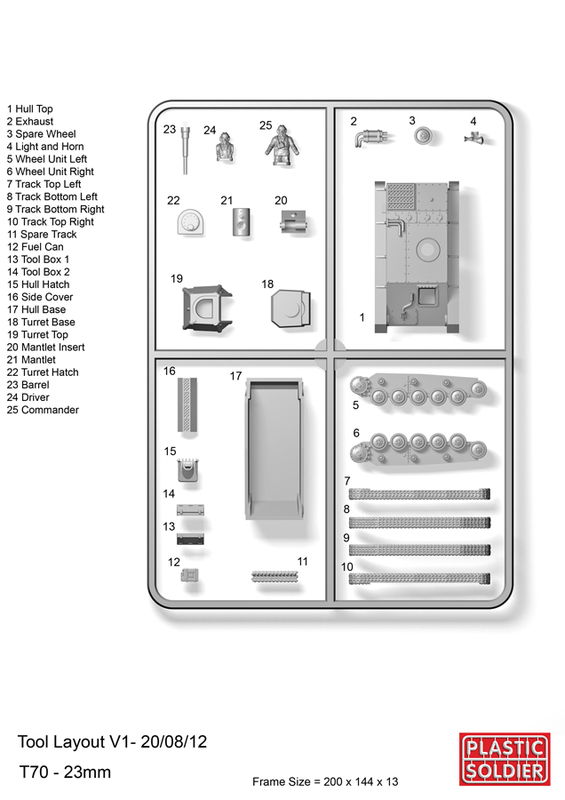 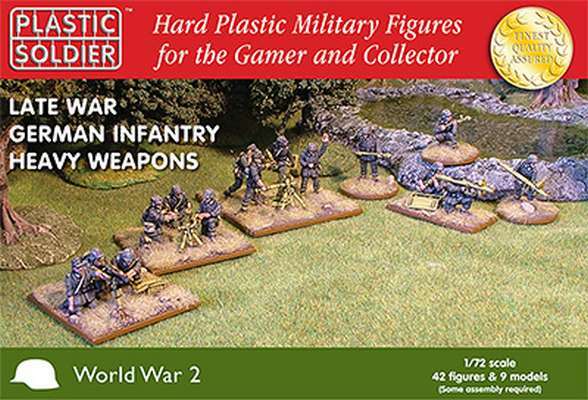 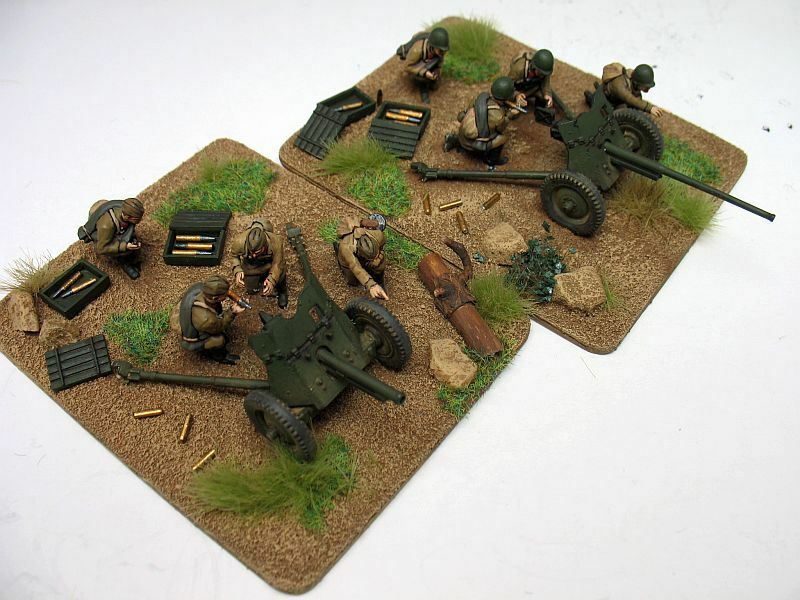 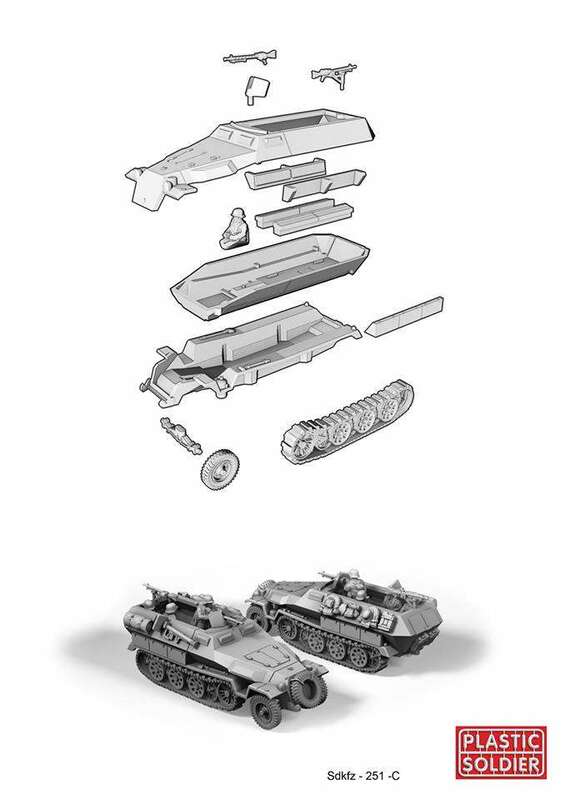 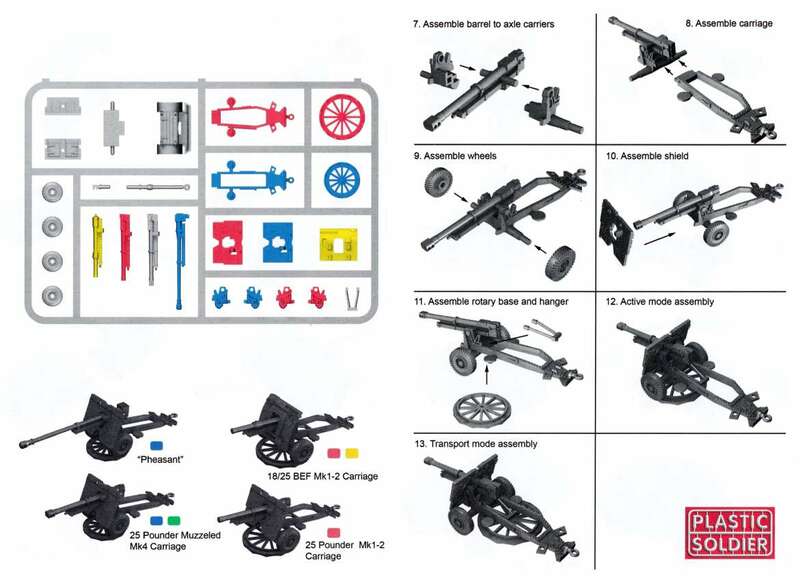 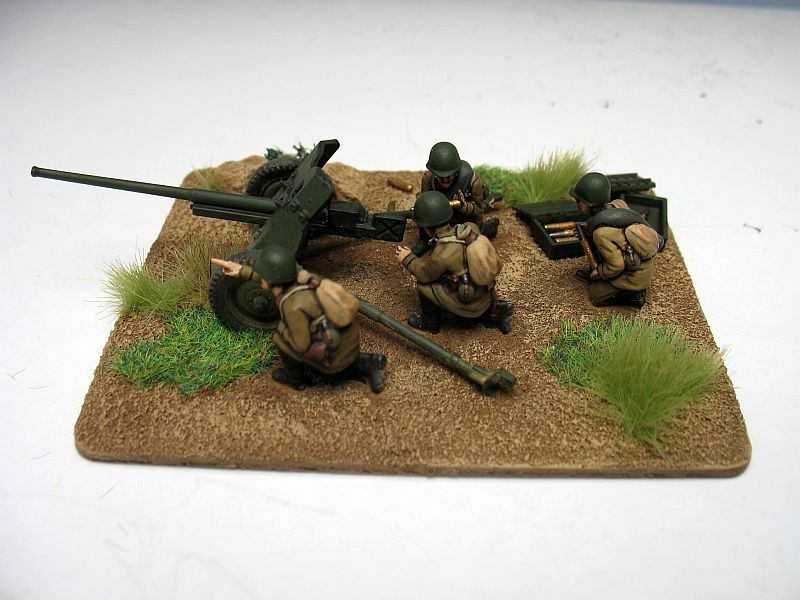 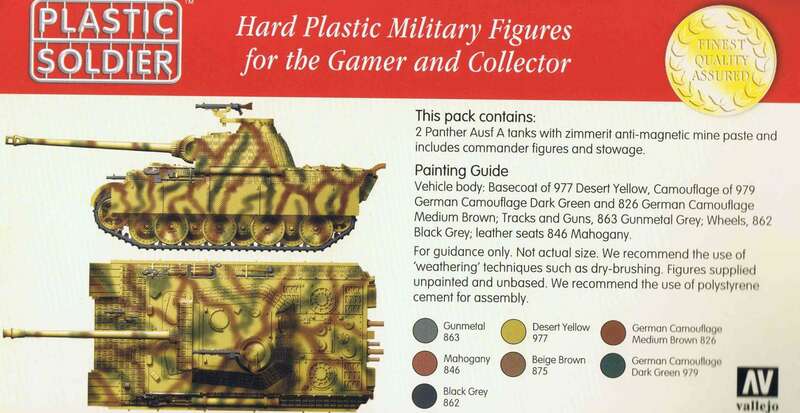 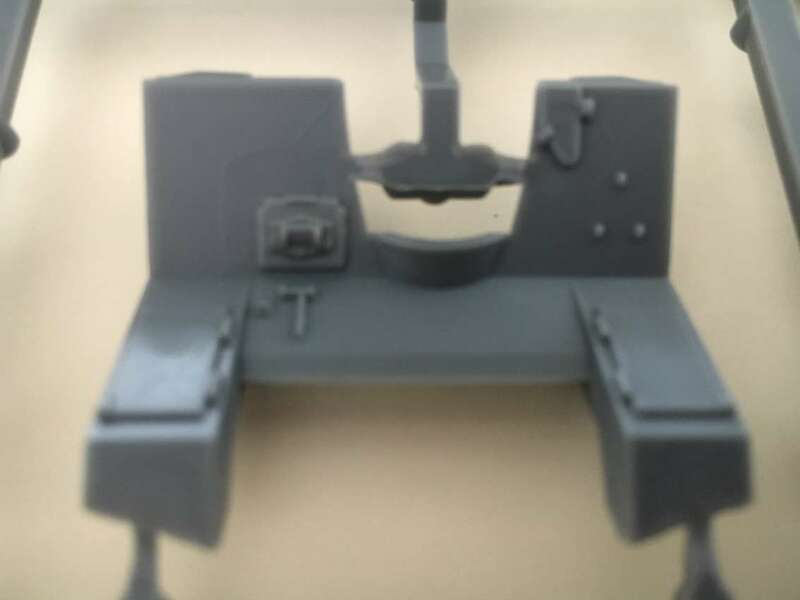 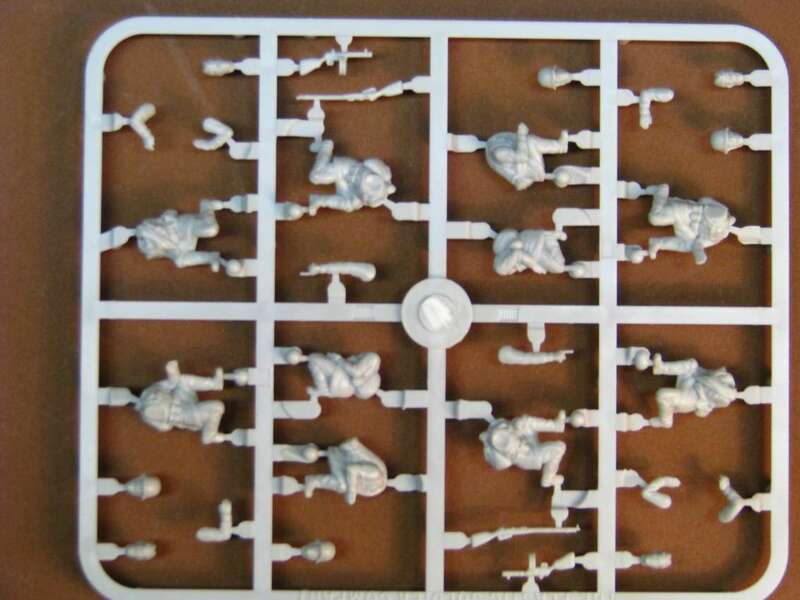 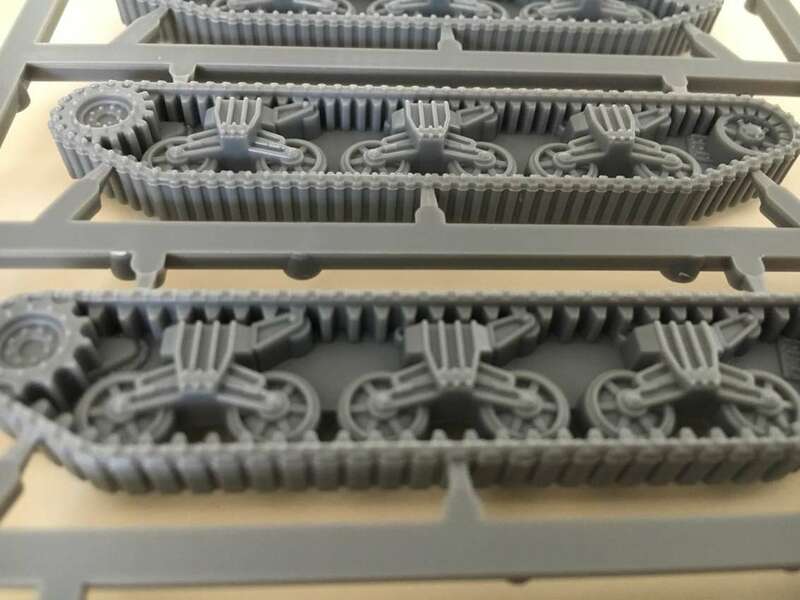 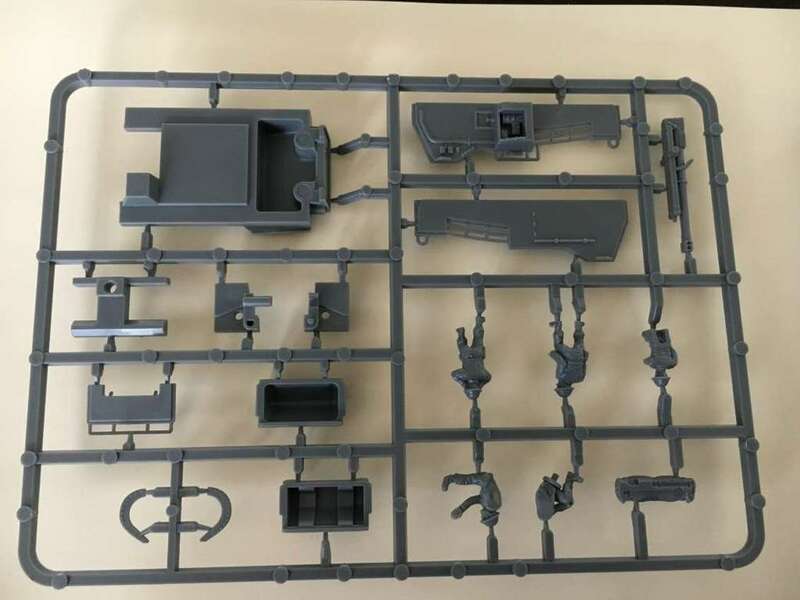 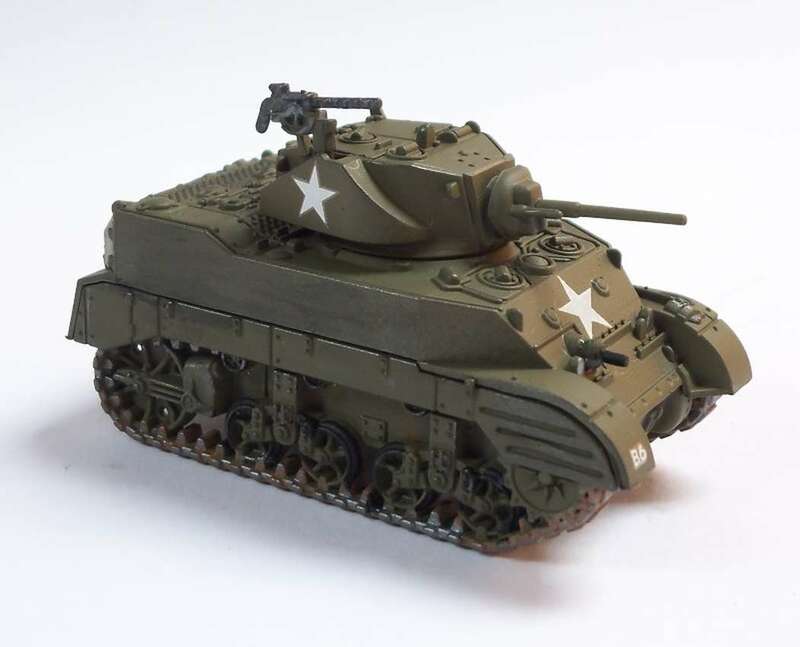 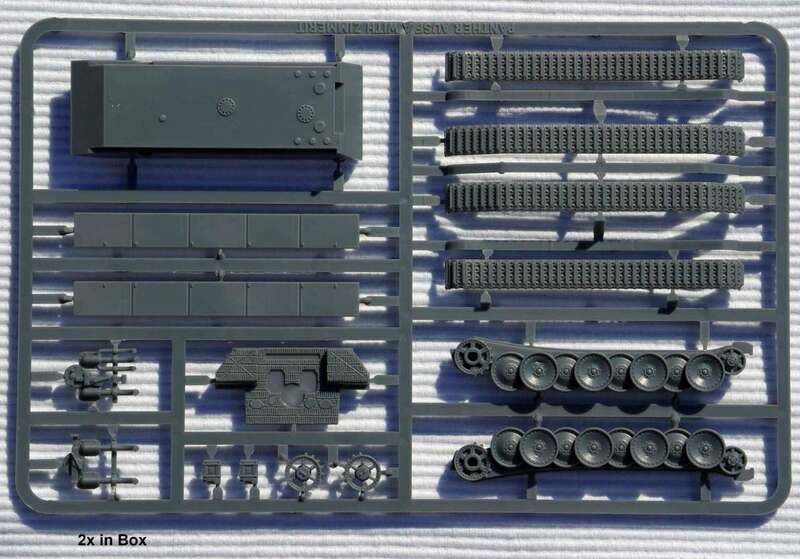 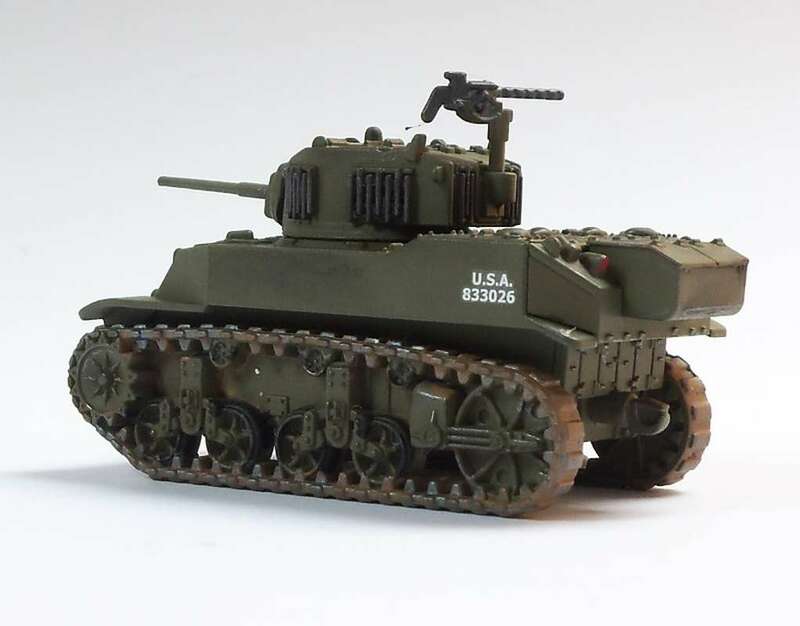 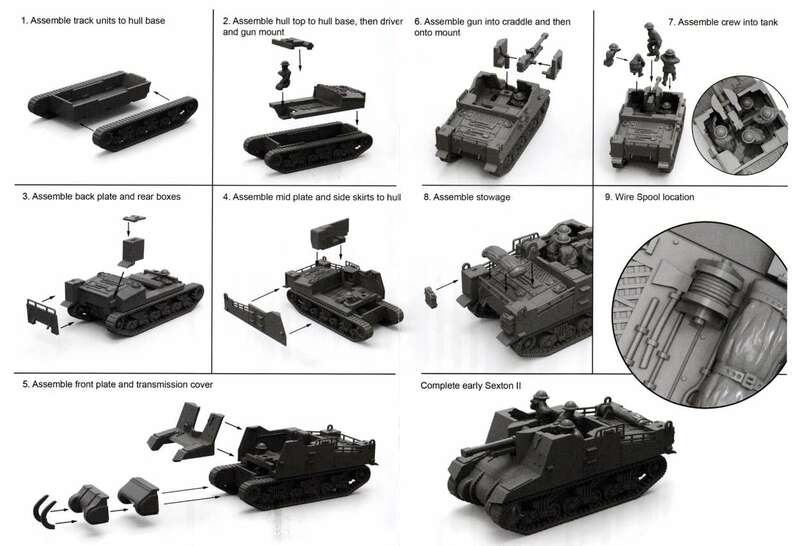 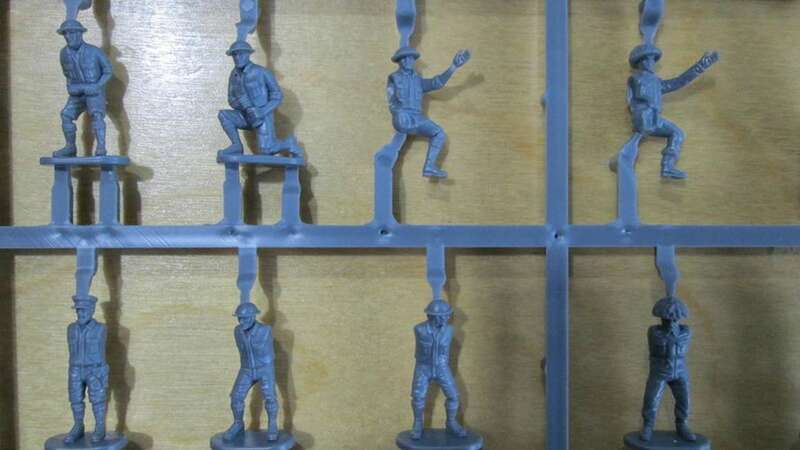 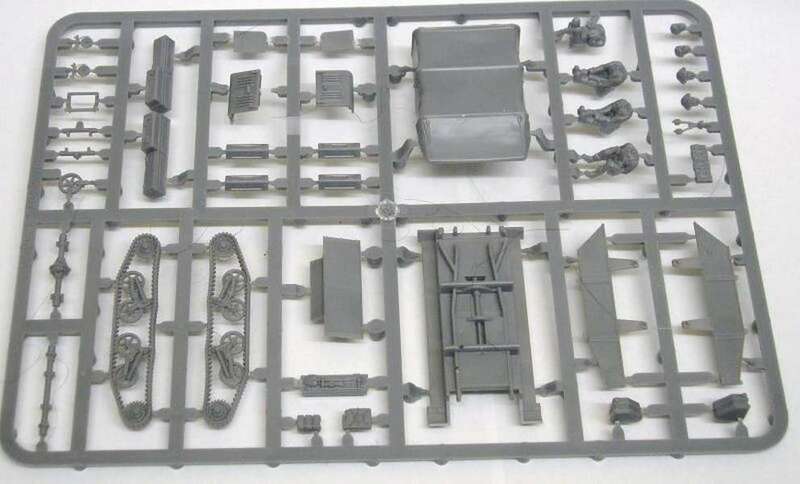 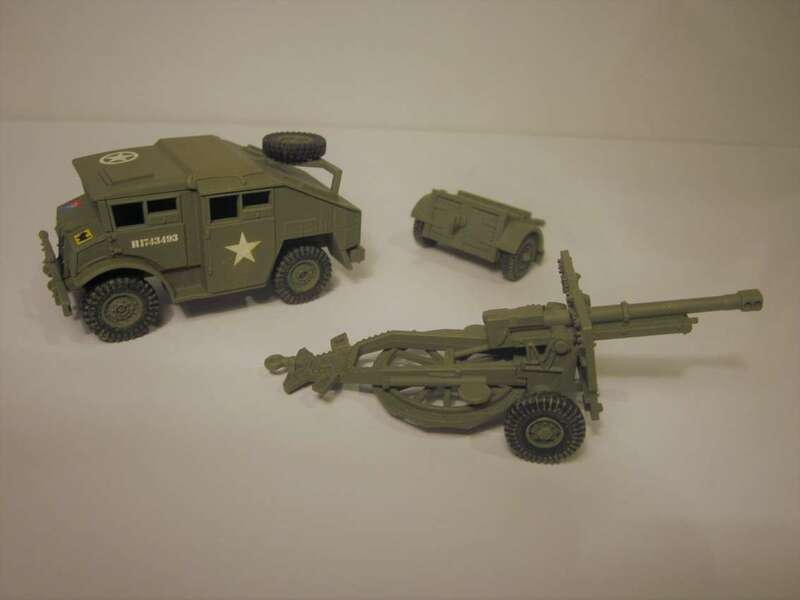 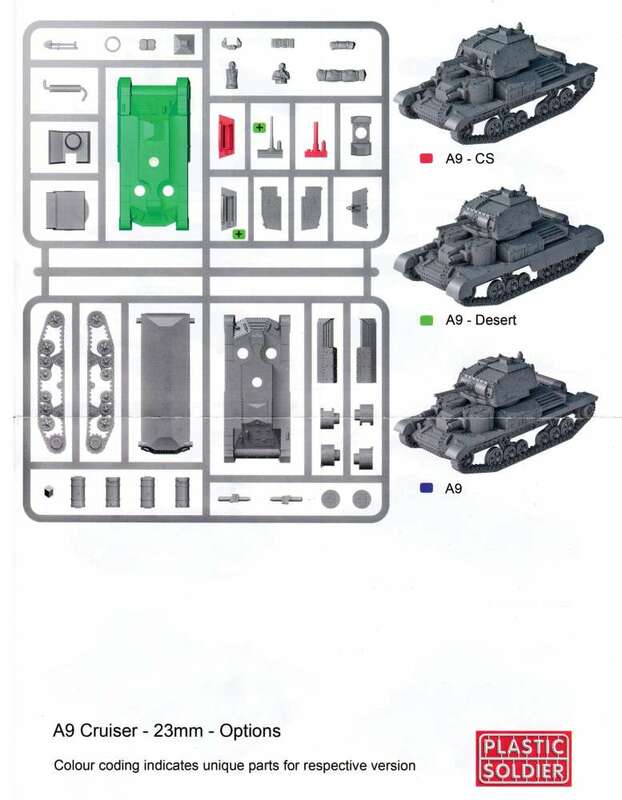 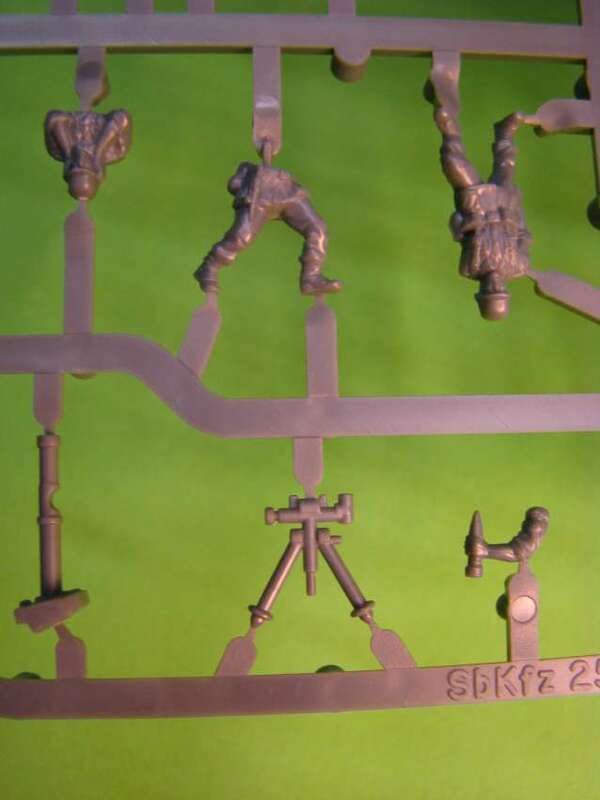 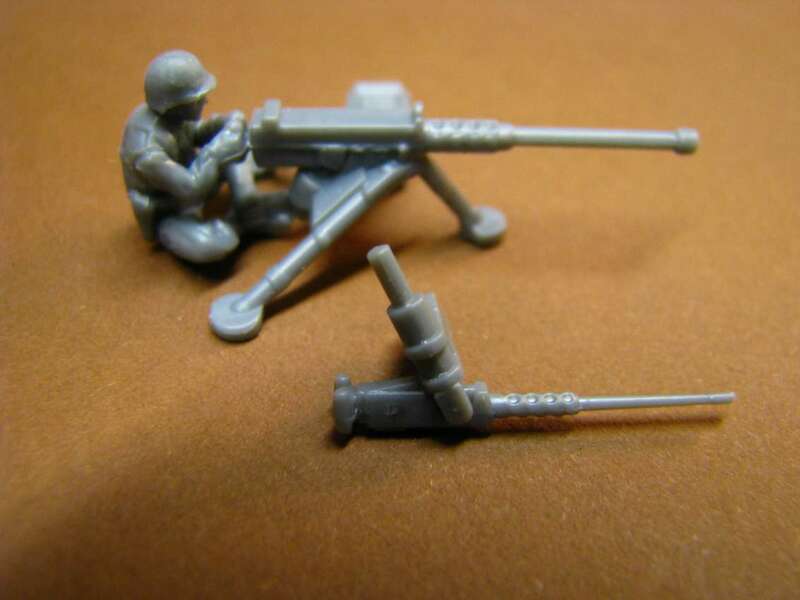 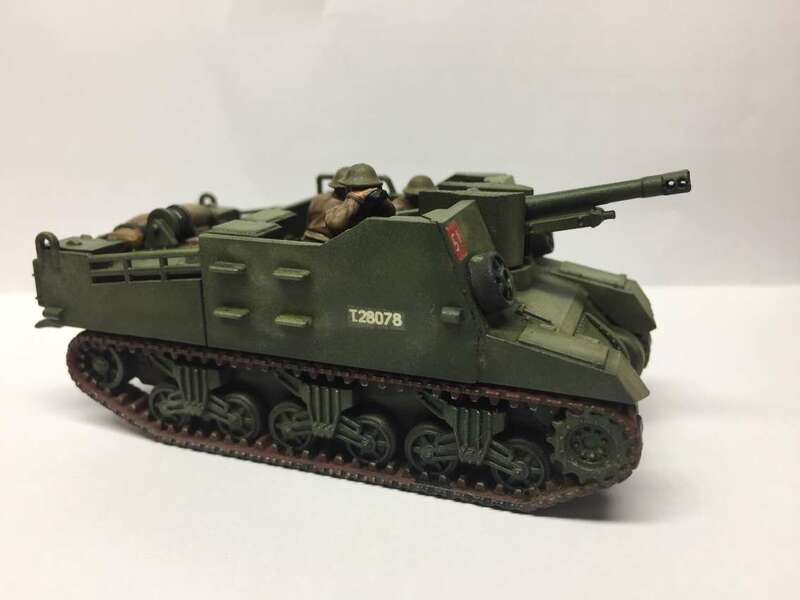 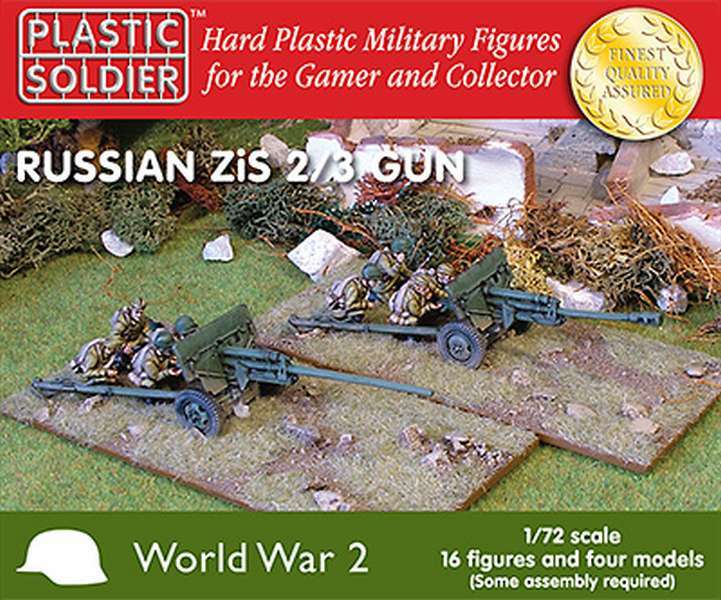 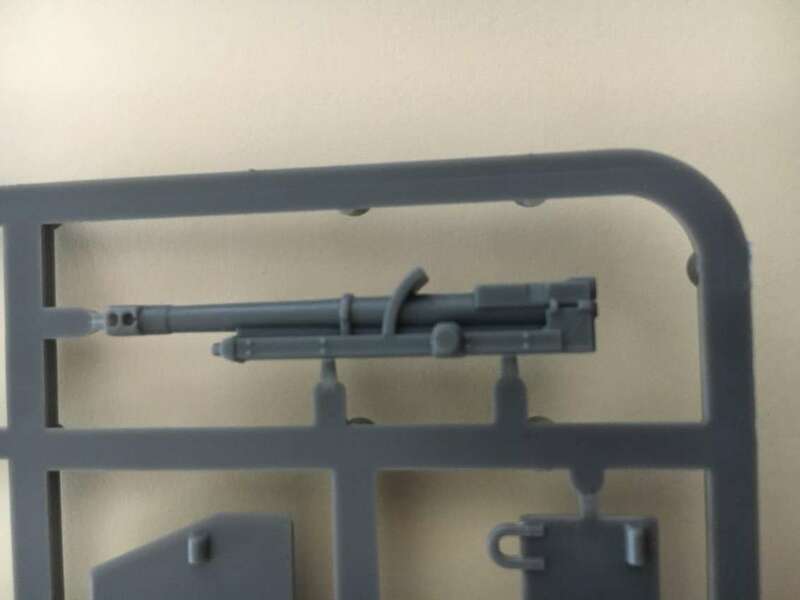 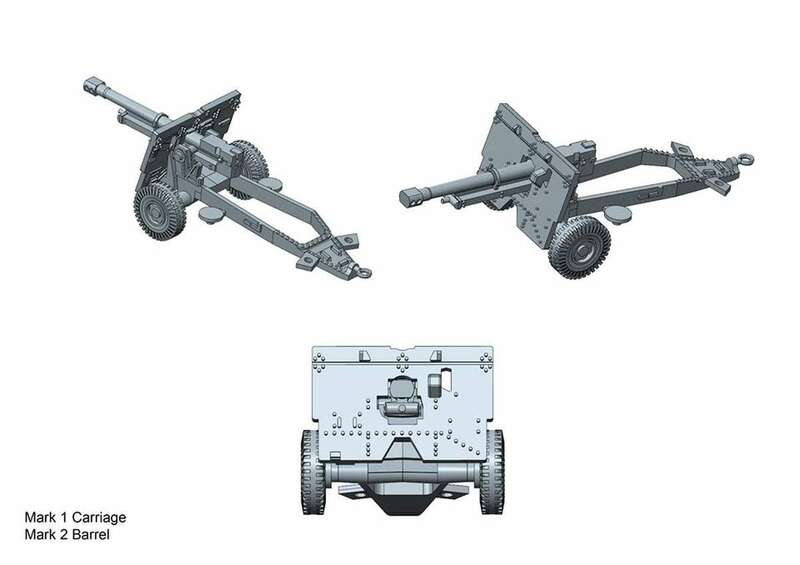 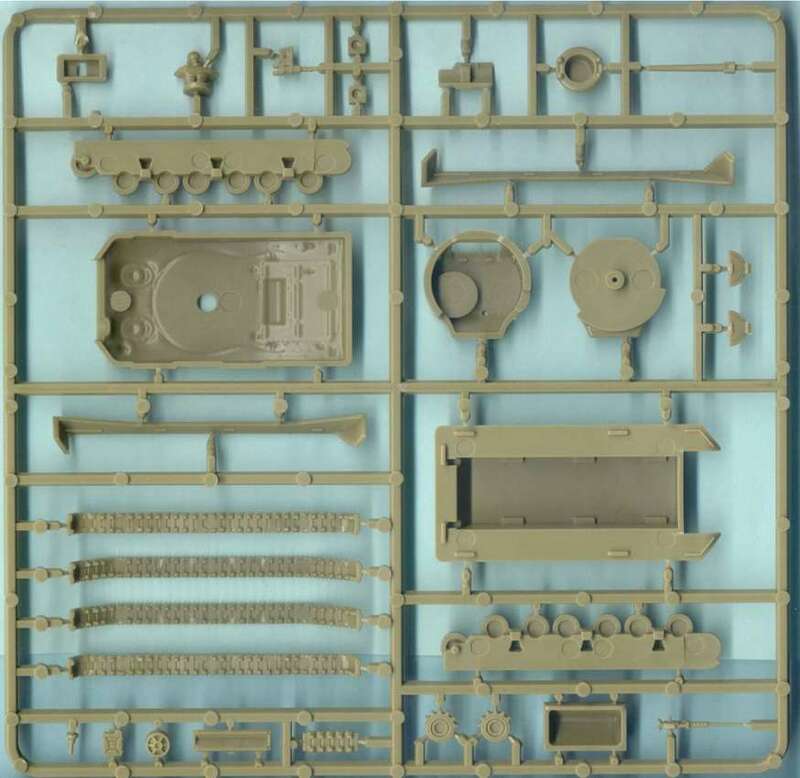 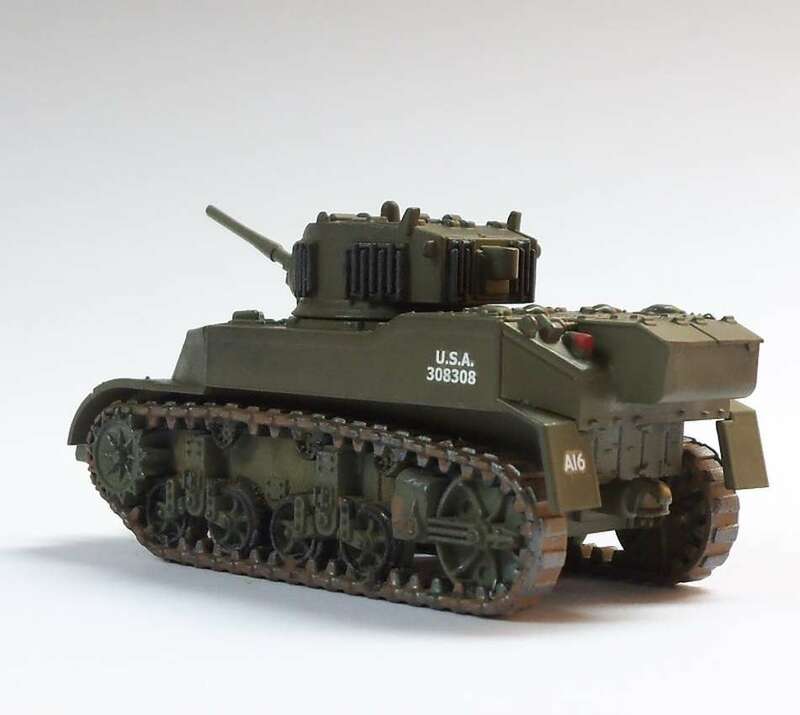 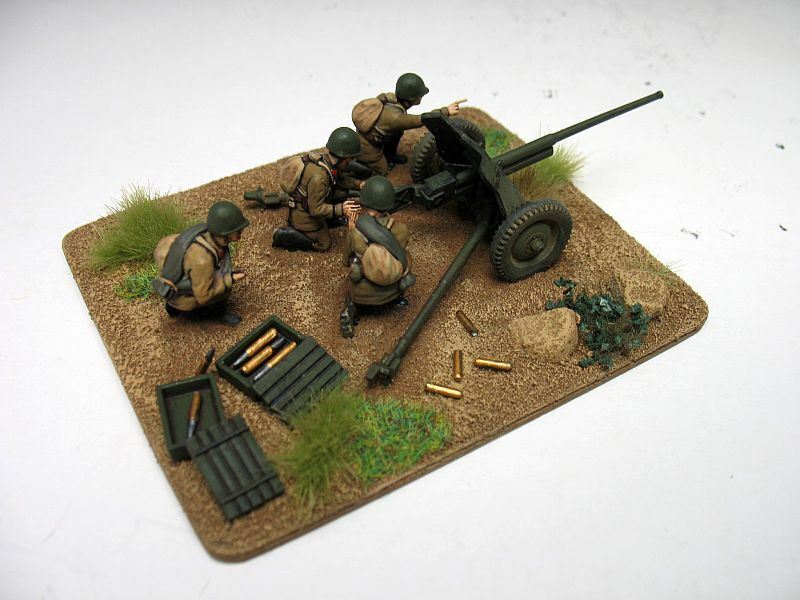 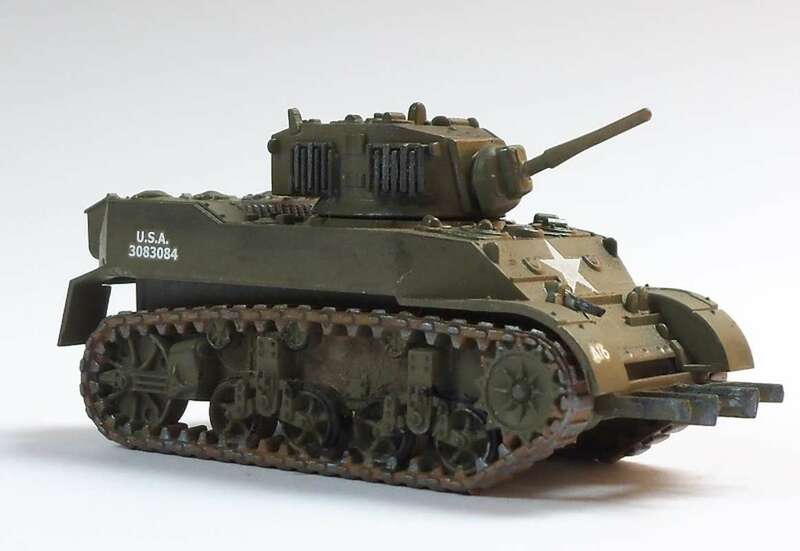 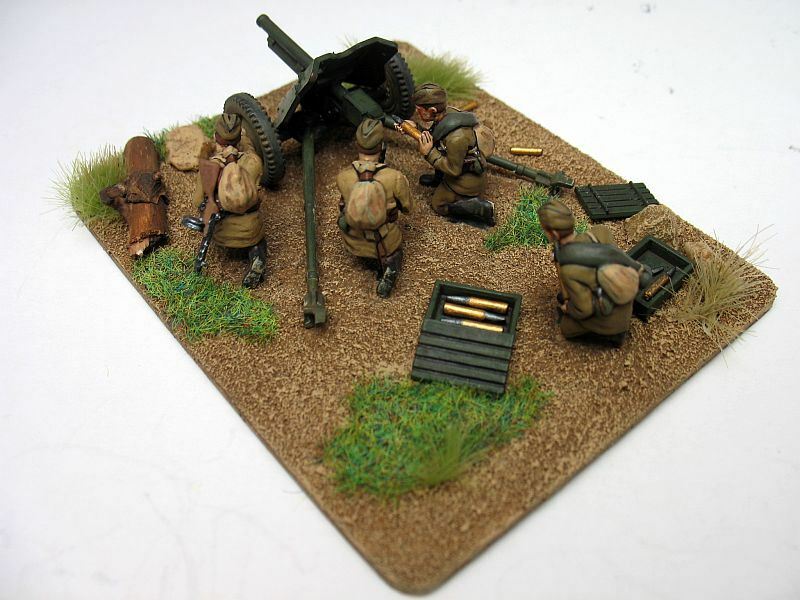 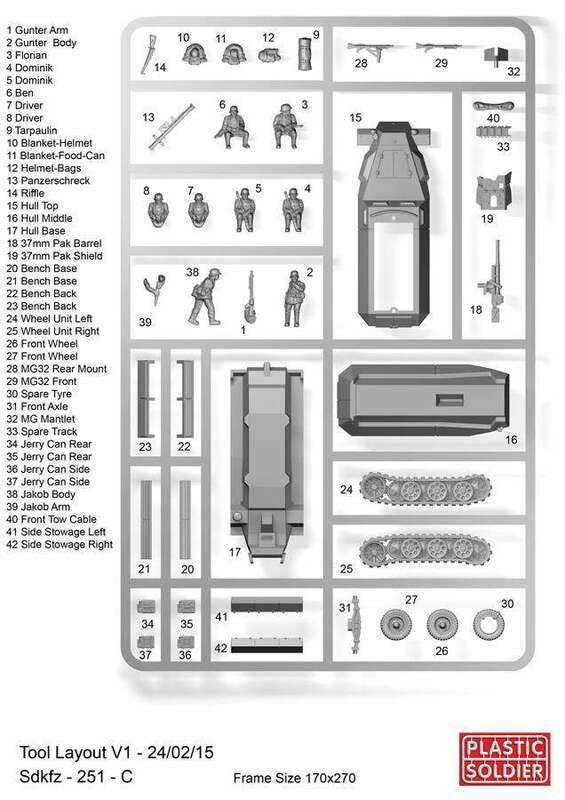 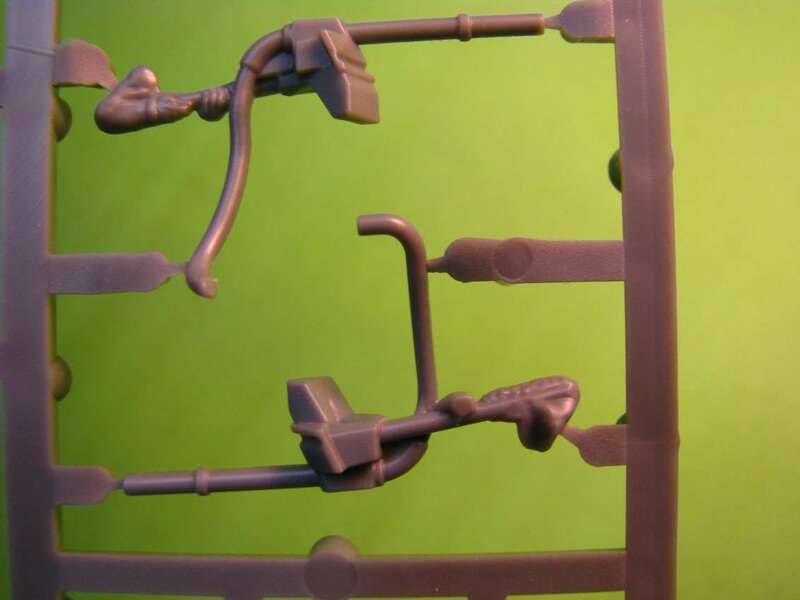 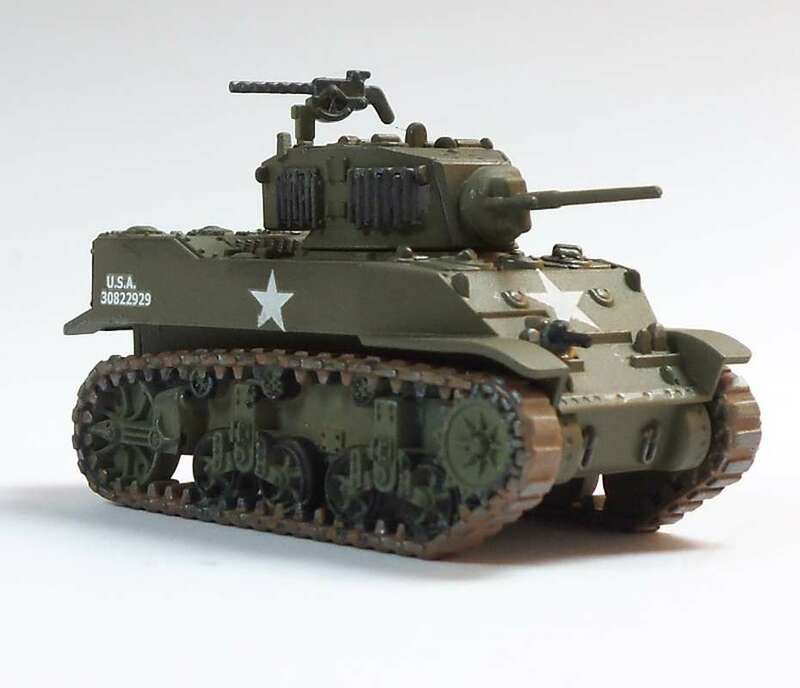 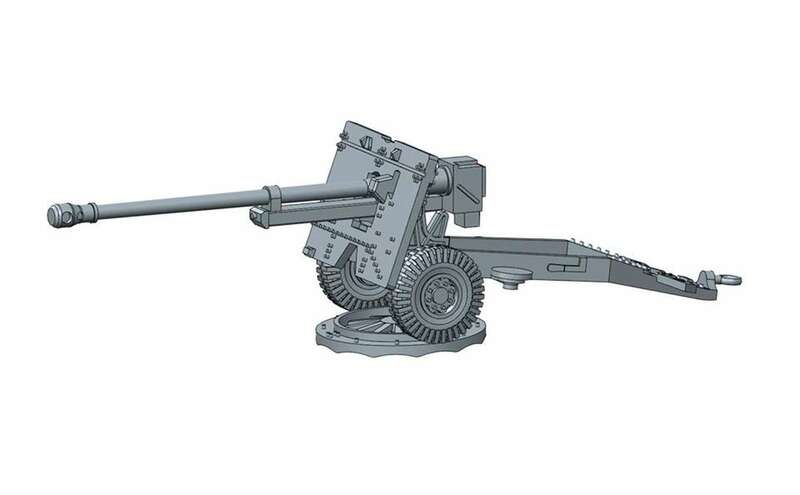 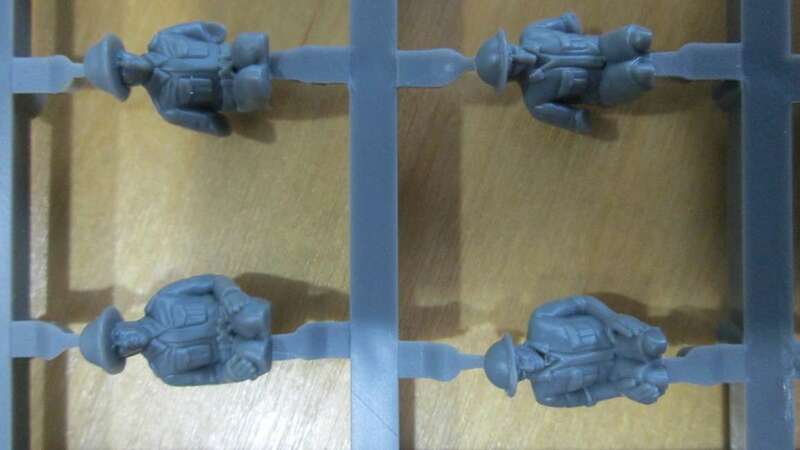 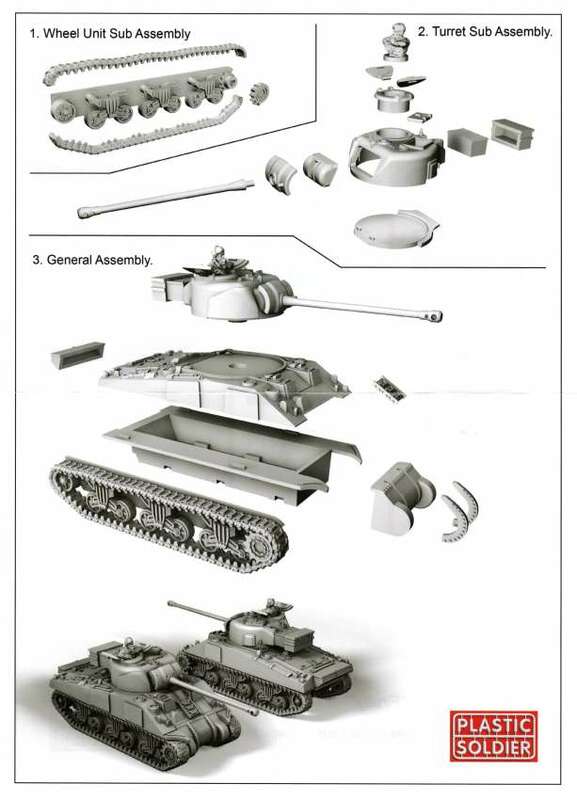 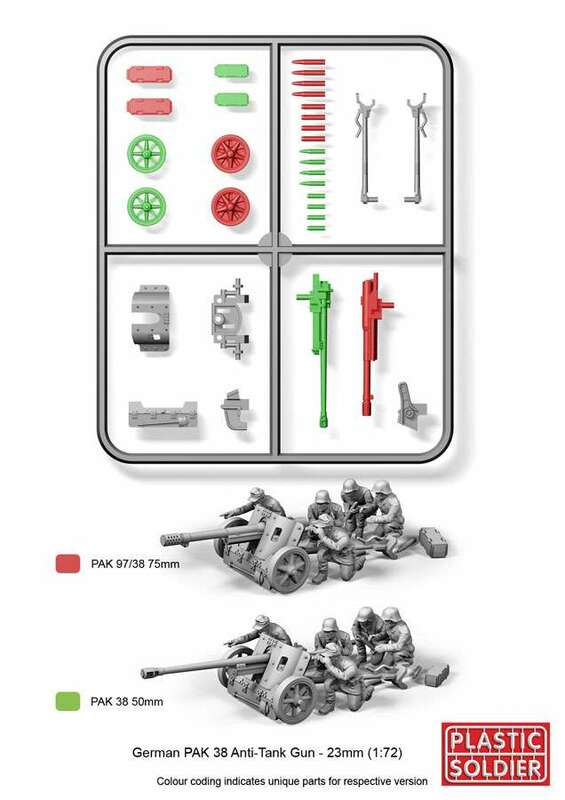 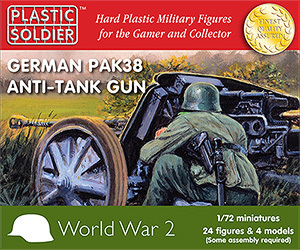 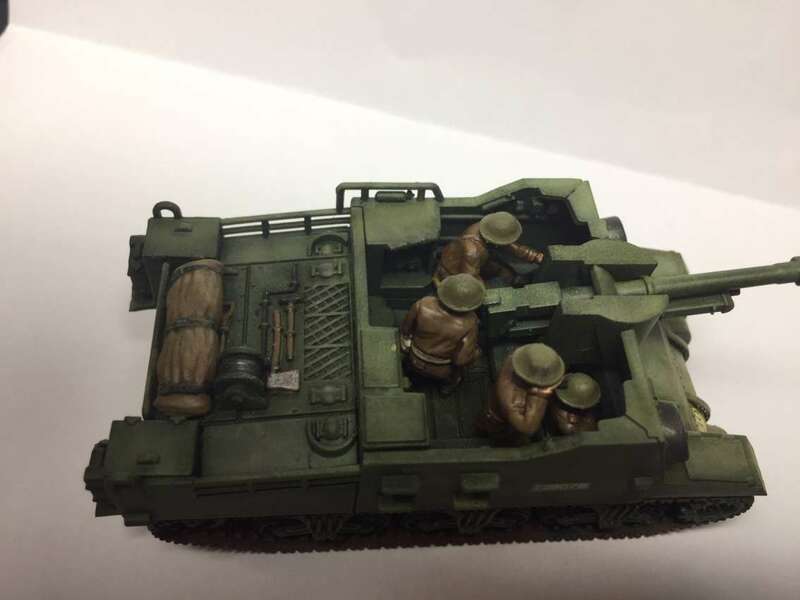 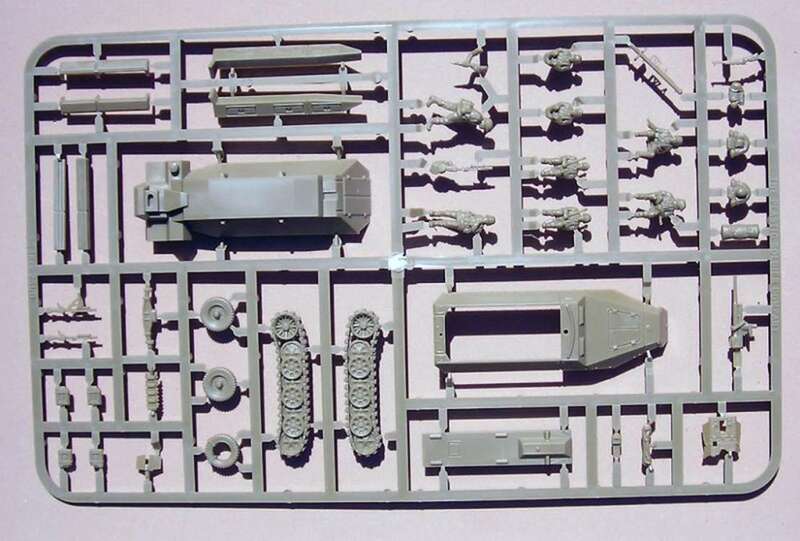 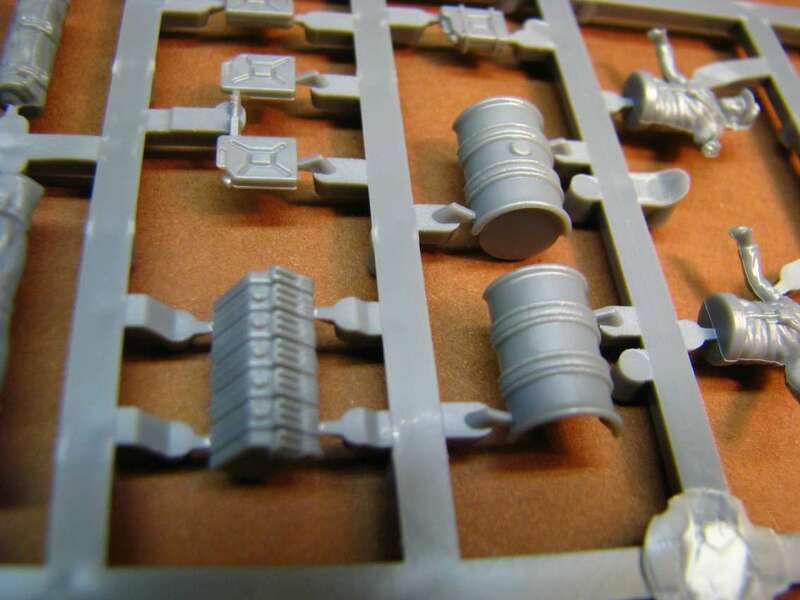 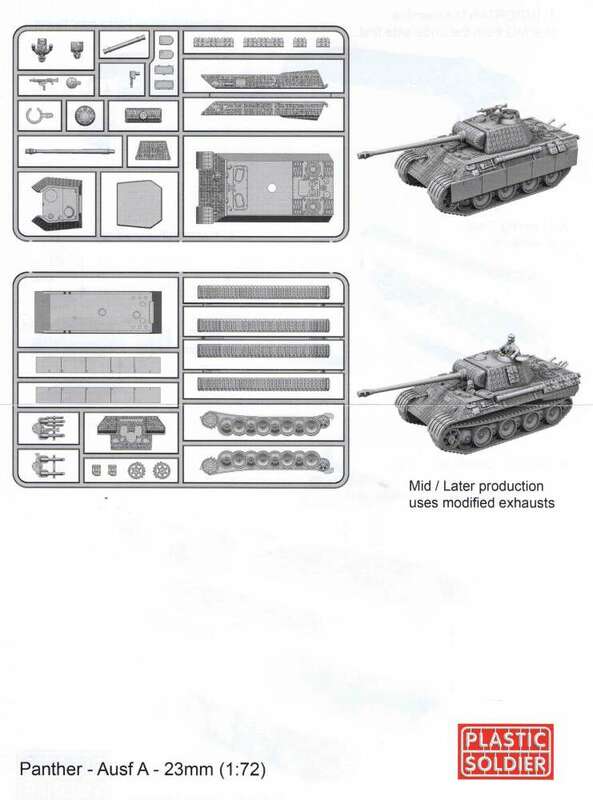 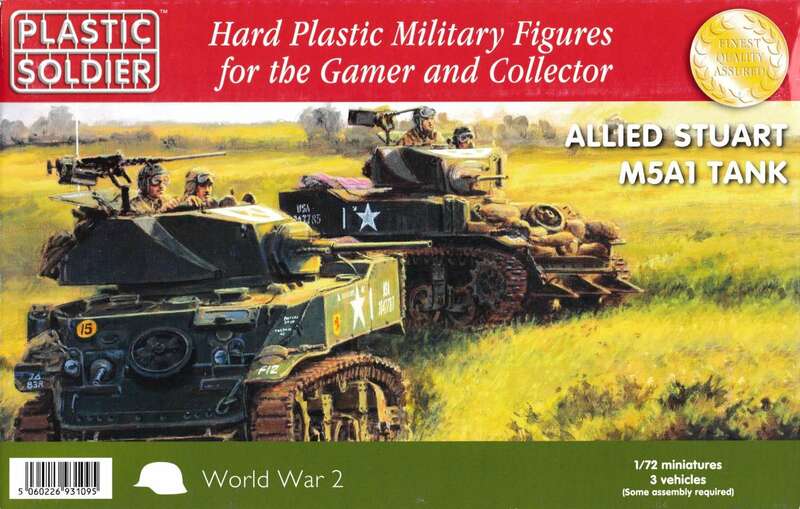 The set has four guns and crews (16 figures), and each sprue gives options to build either the 45mm M1937 anti-tank gun, the 45mm M1942 anti-tank gun, or the 76mm M1943 infantry gun. 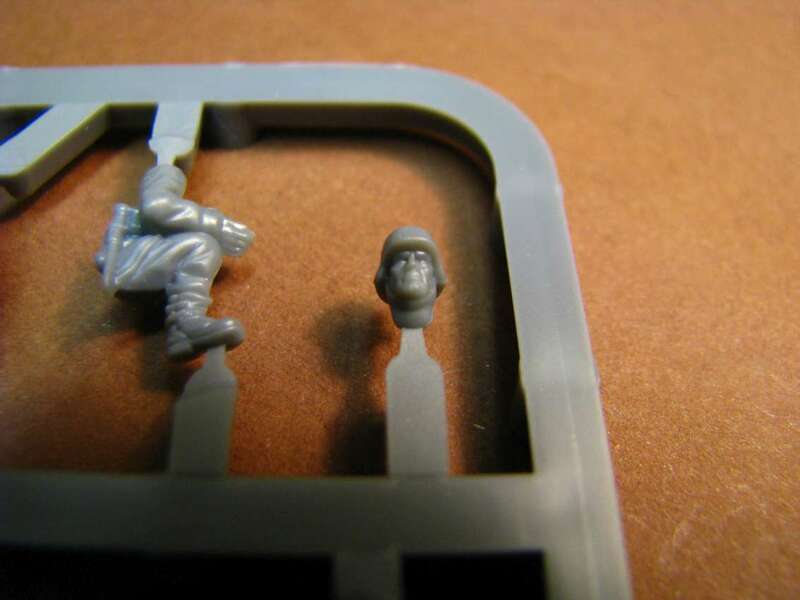 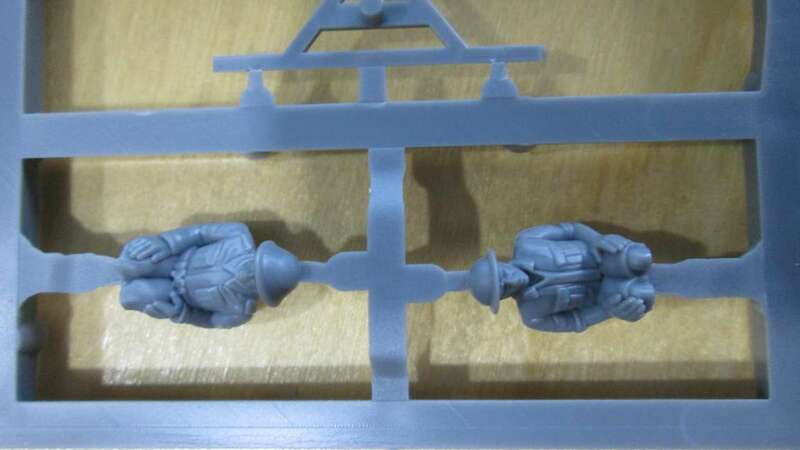 Crew figures are headless, and a number of head options are included. 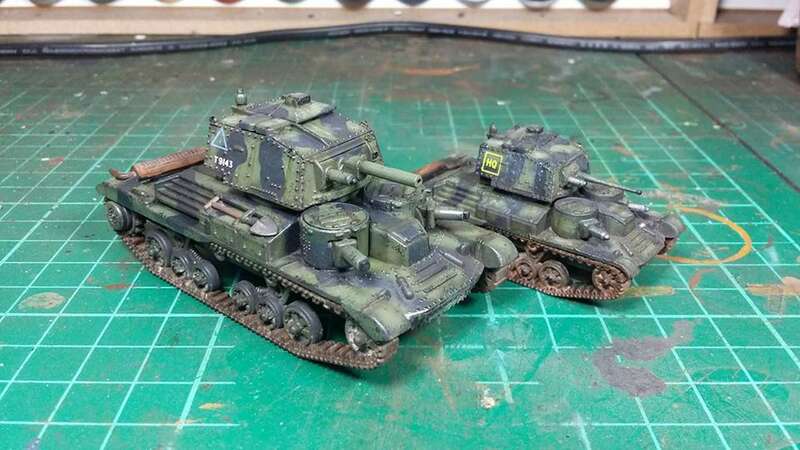 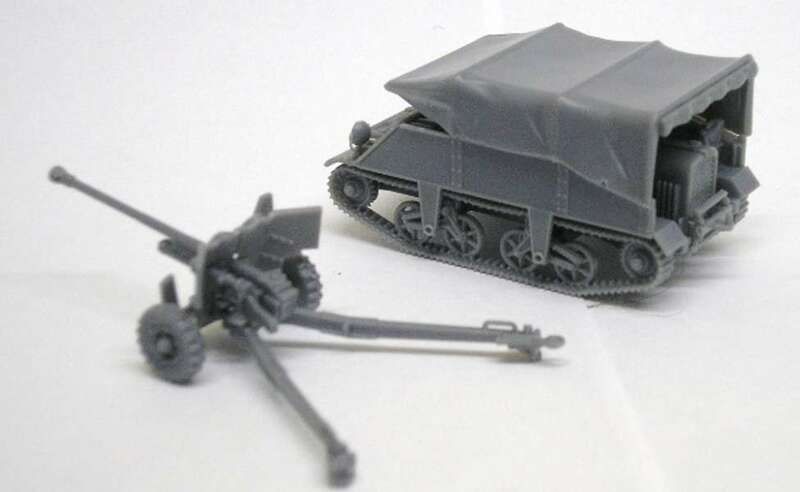 British 6 pdr anti tank gun and Loyd carrier tow. 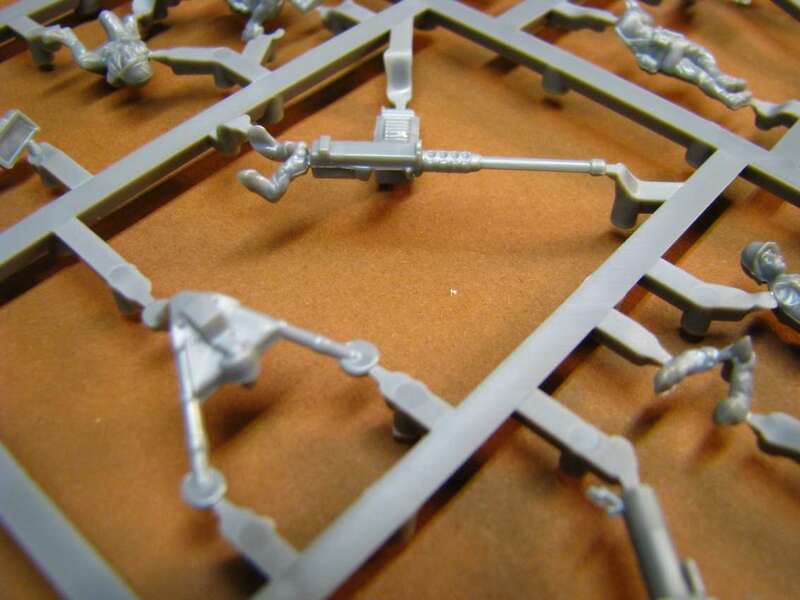 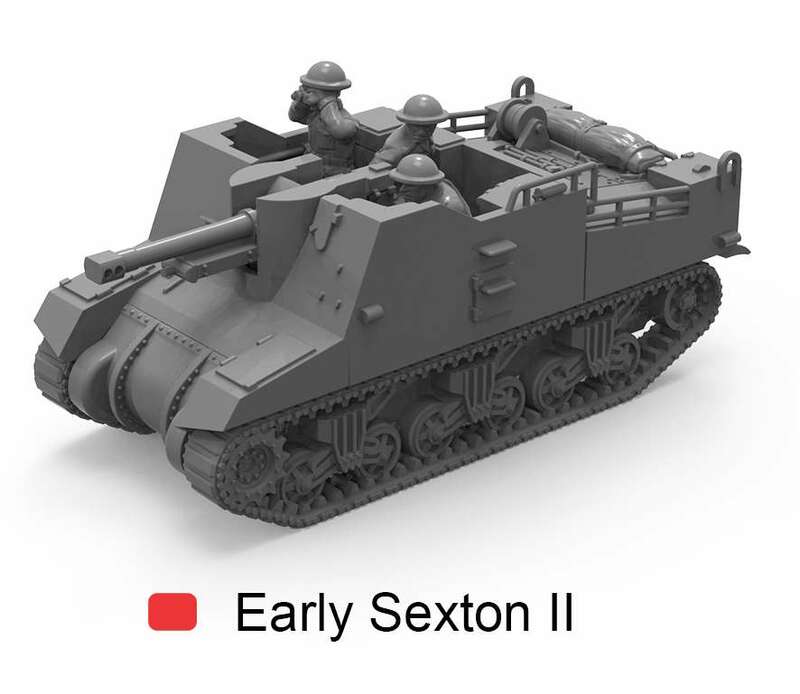 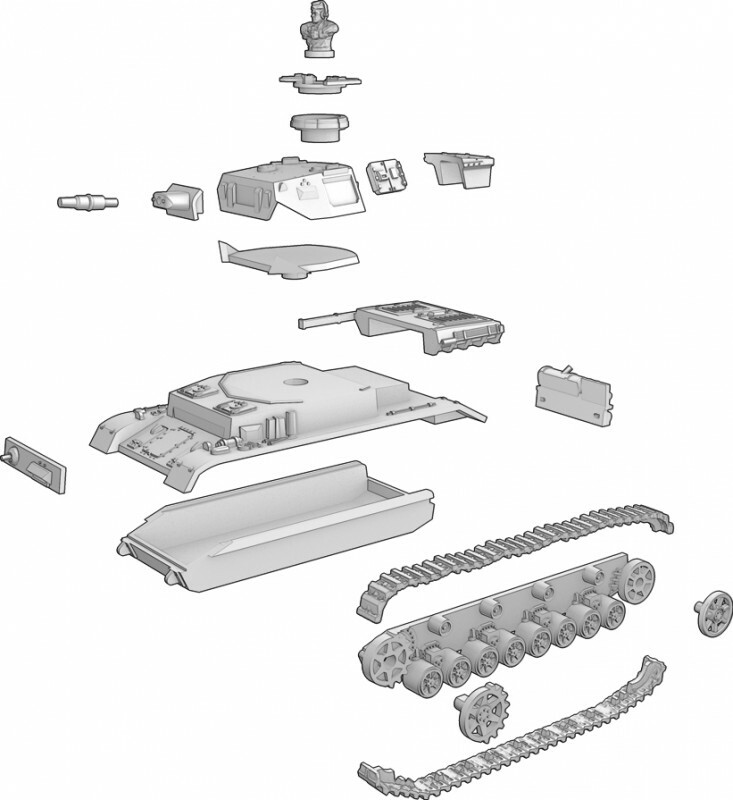 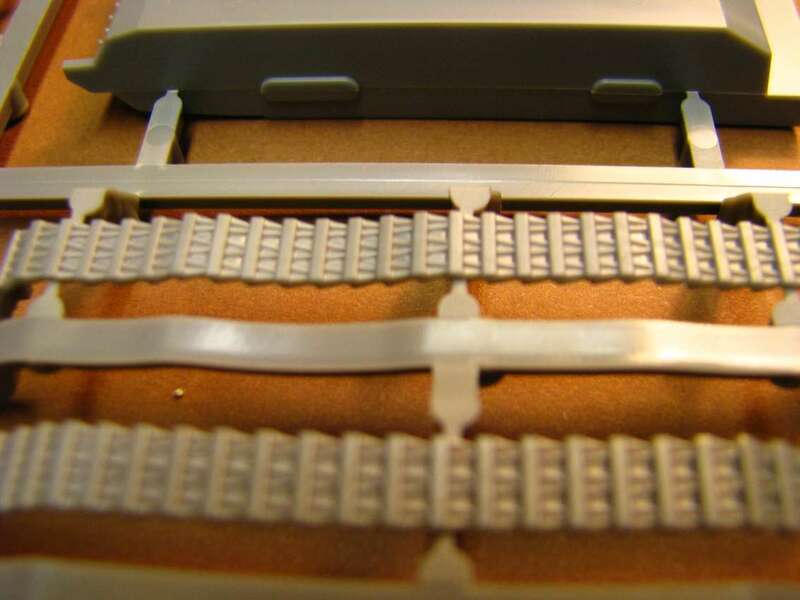 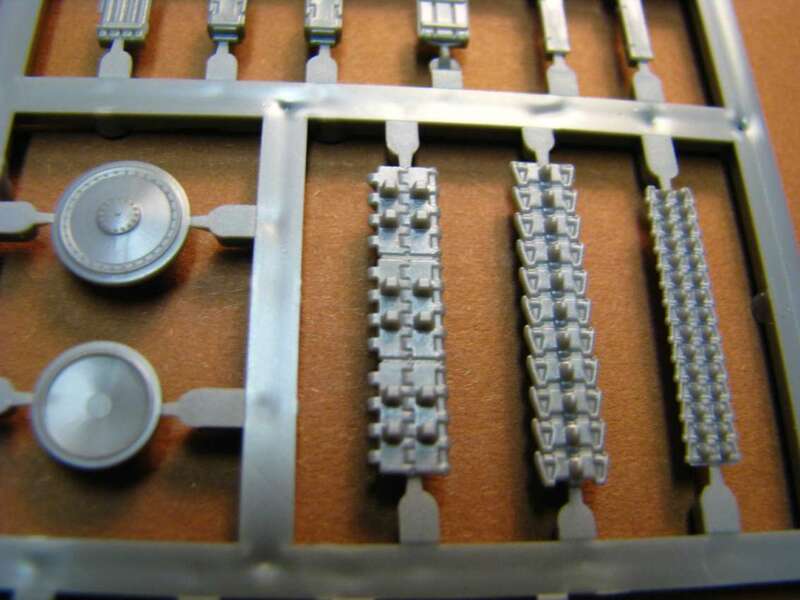 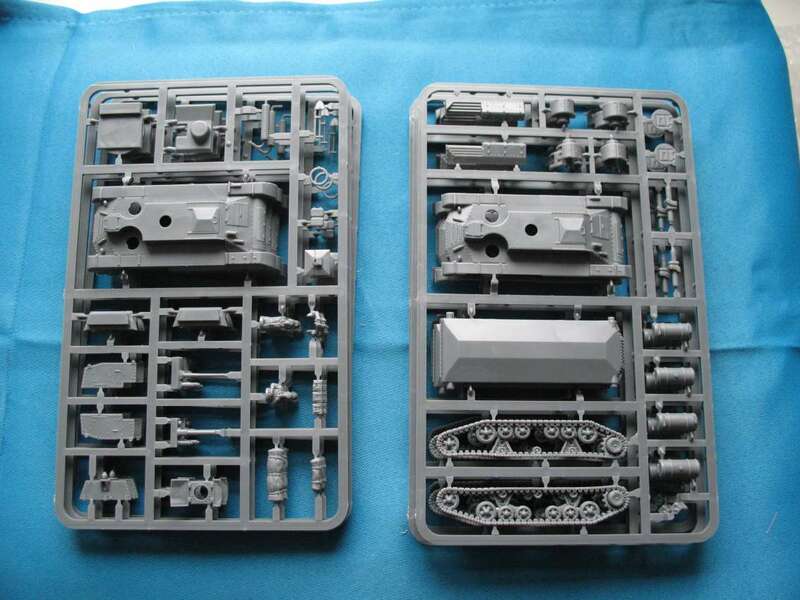 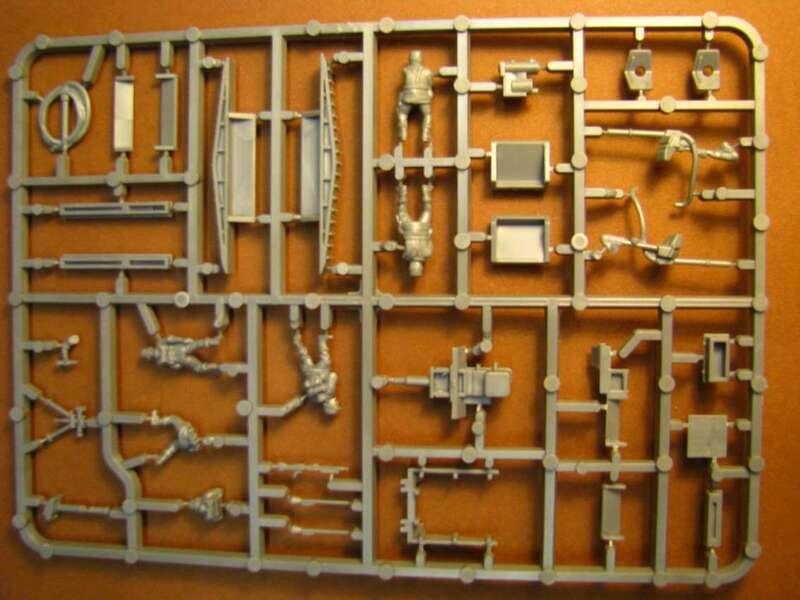 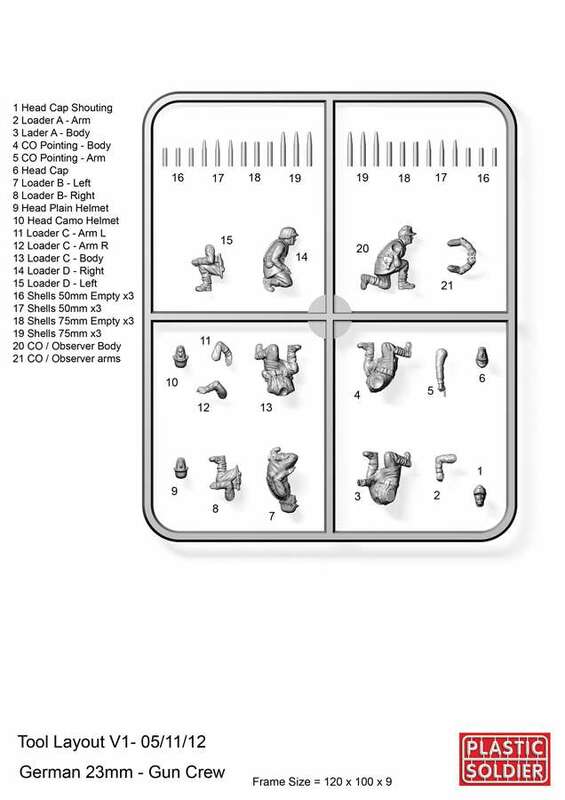 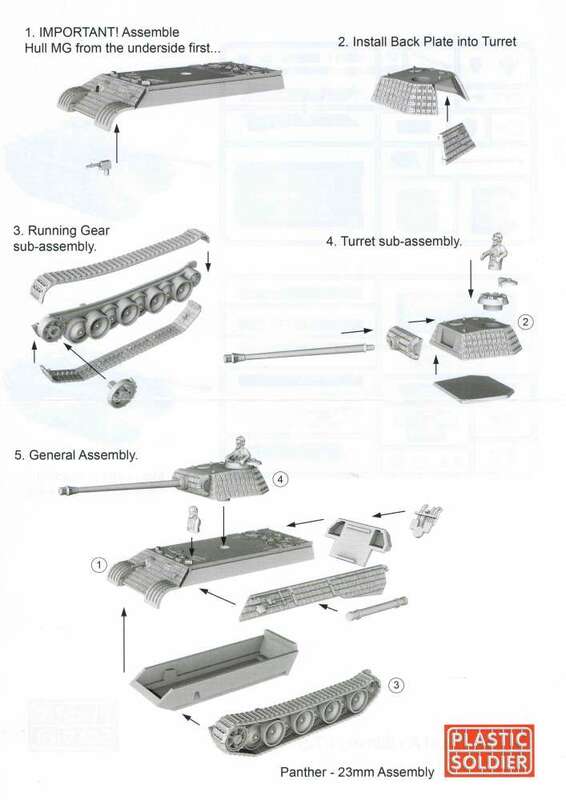 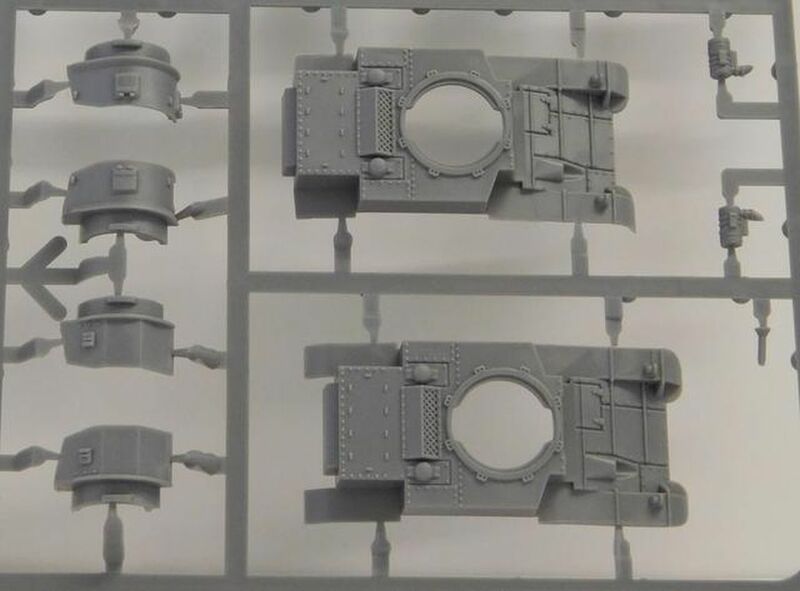 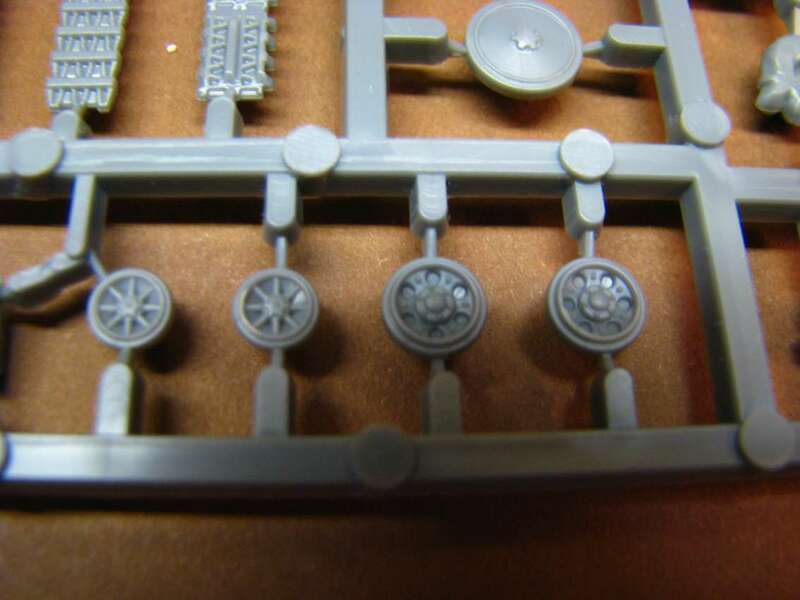 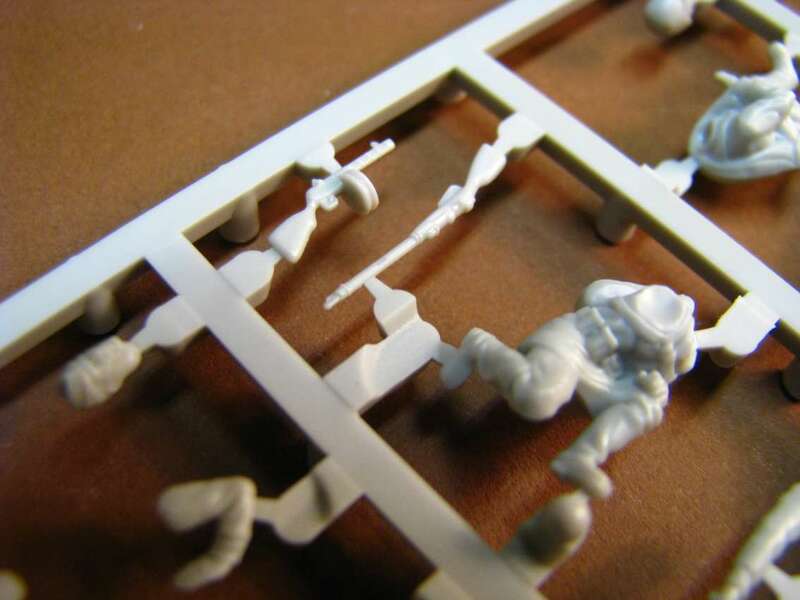 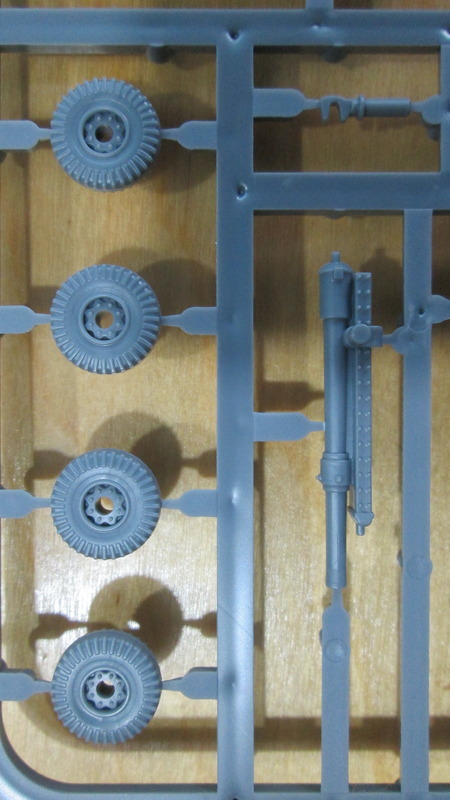 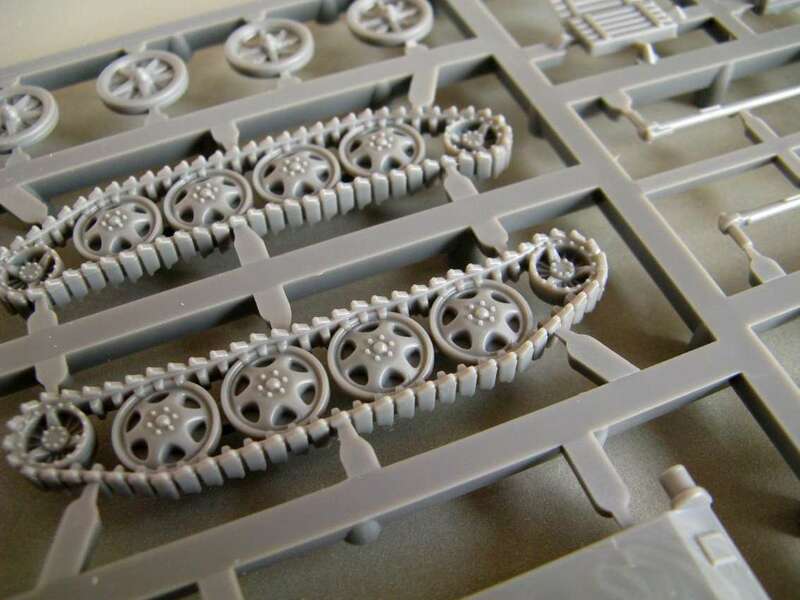 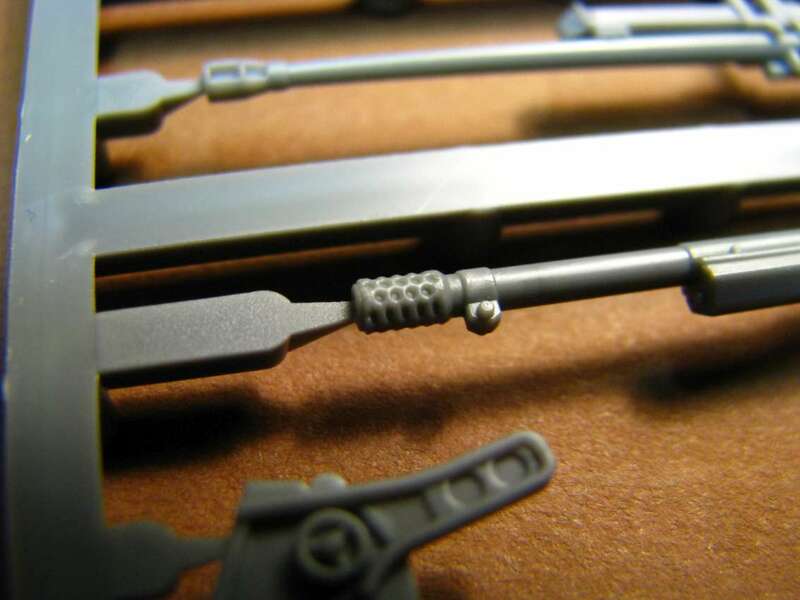 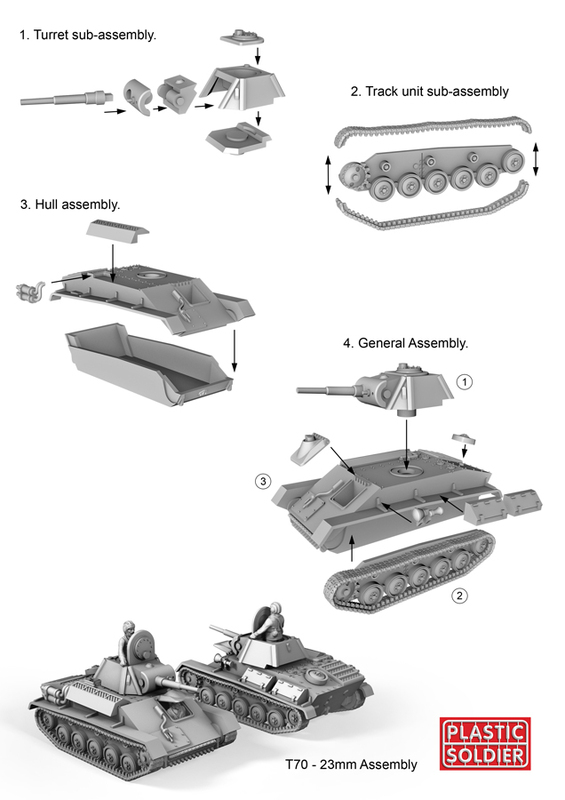 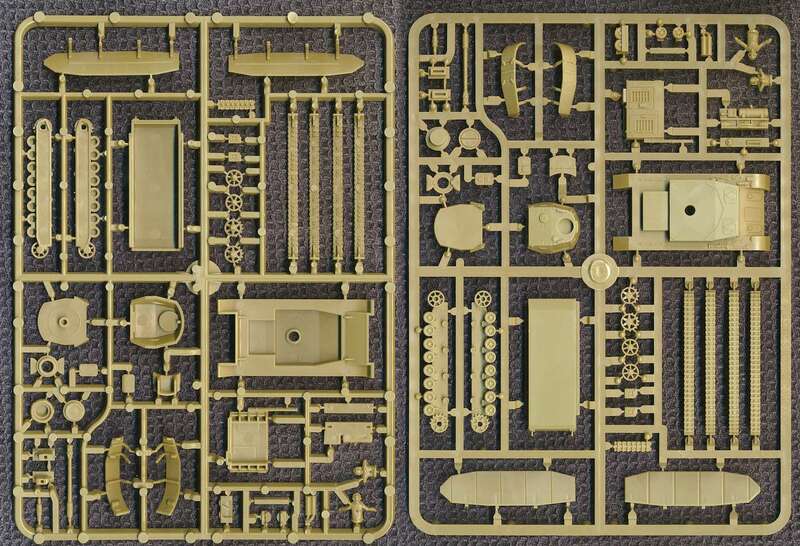 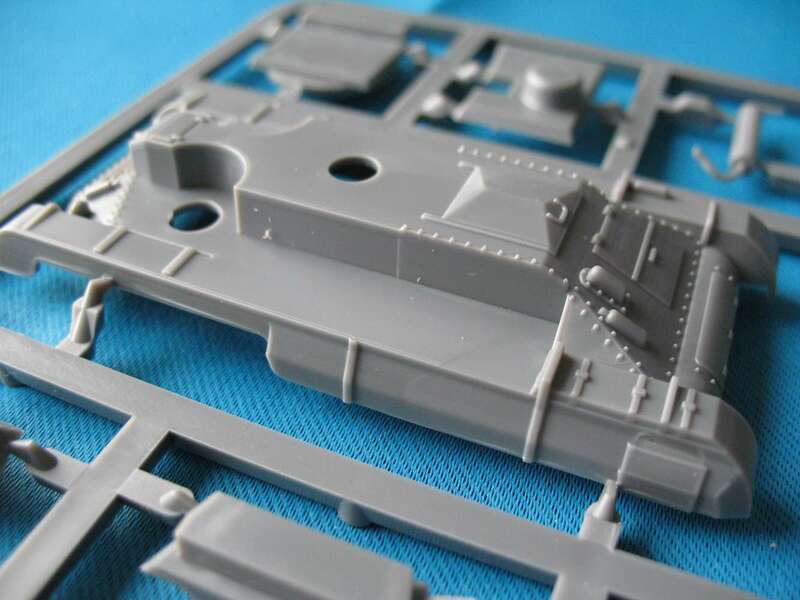 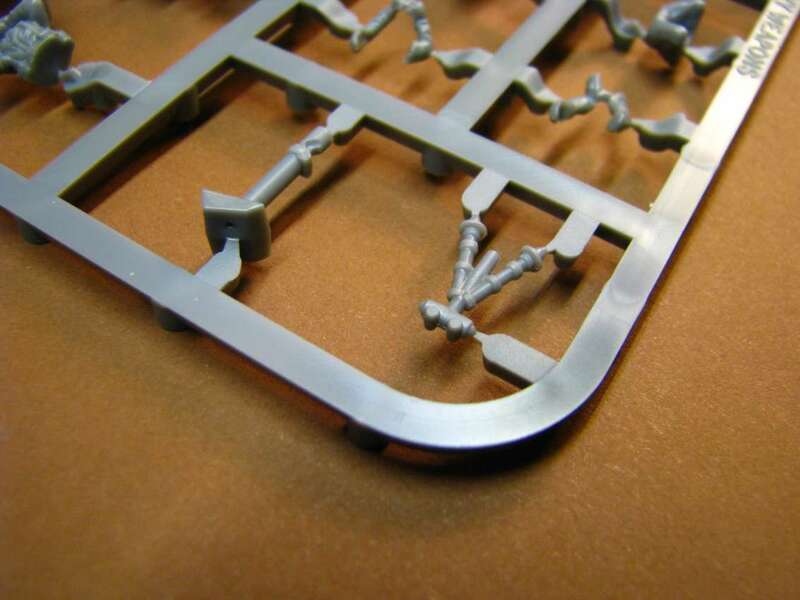 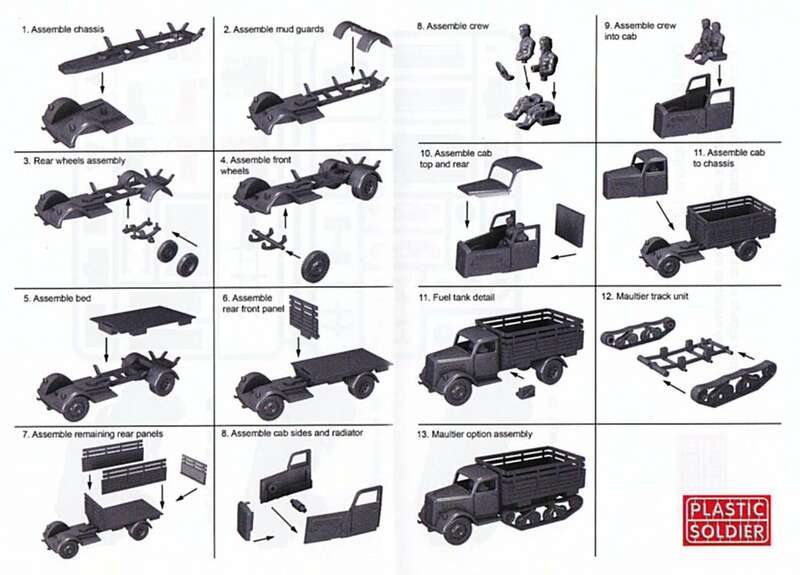 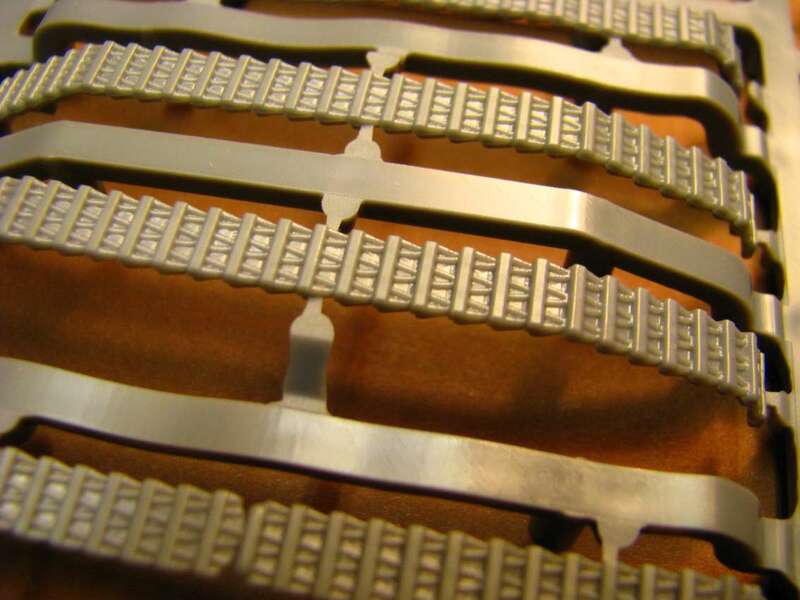 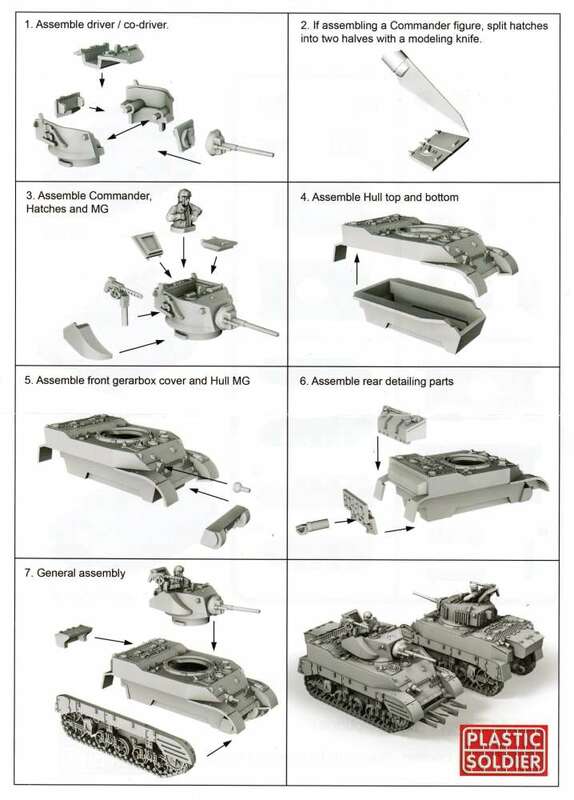 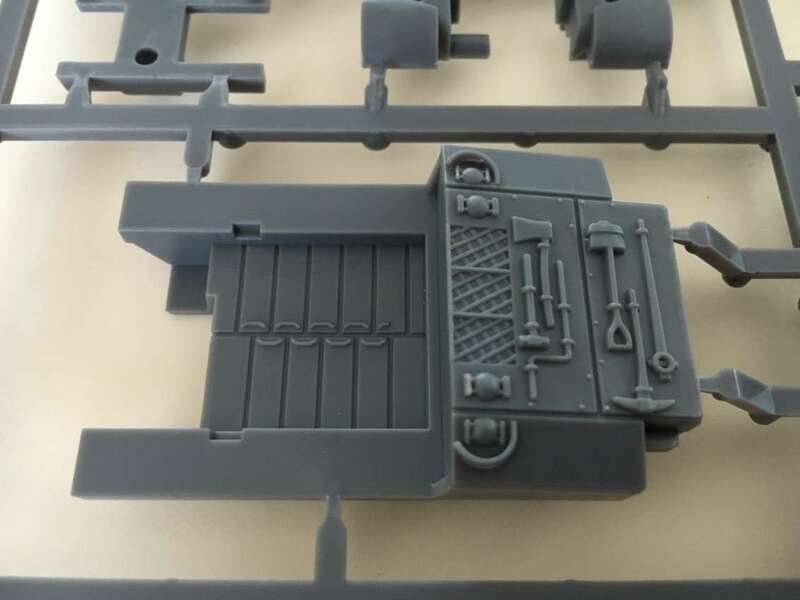 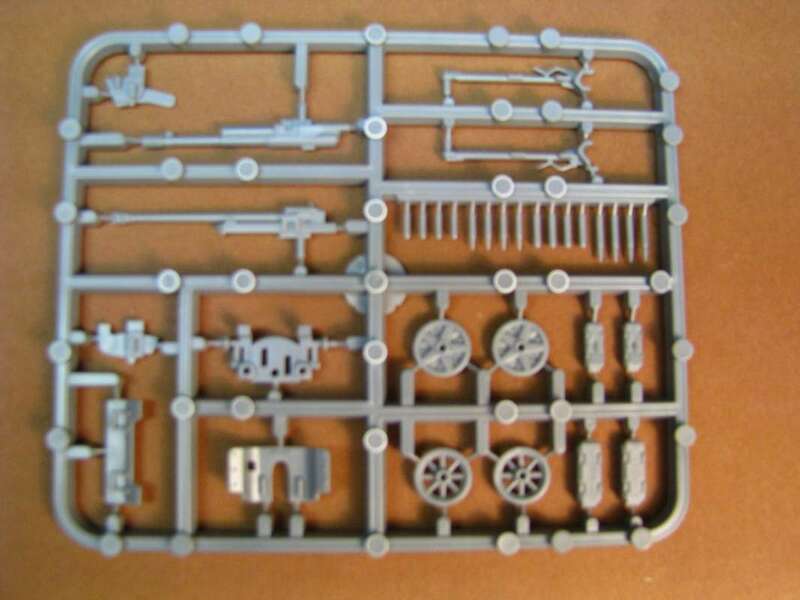 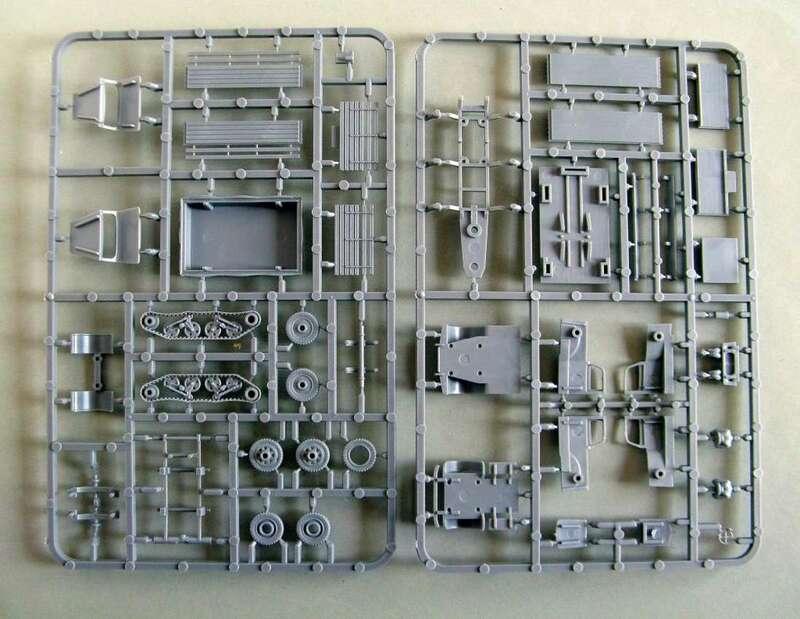 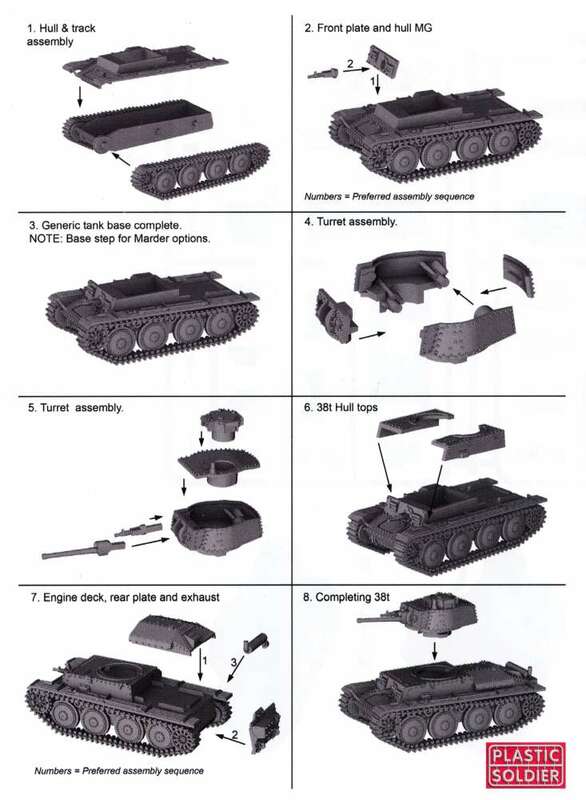 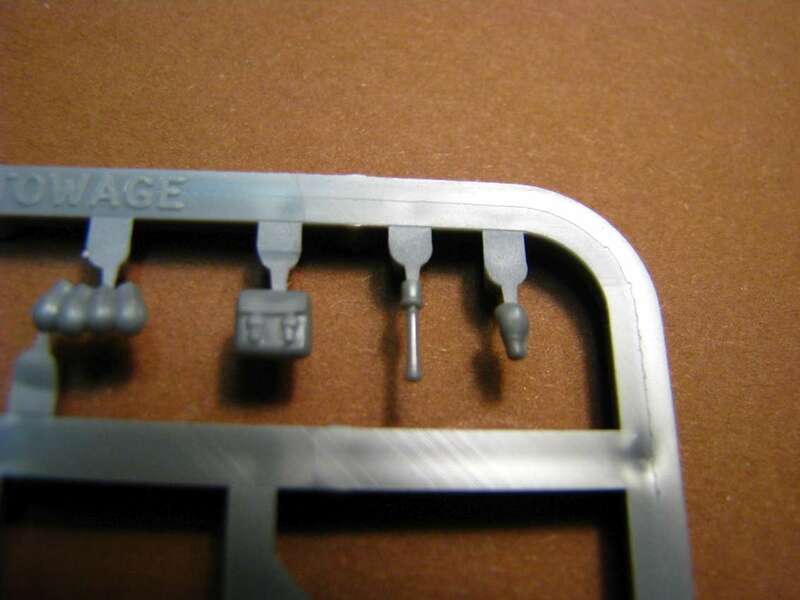 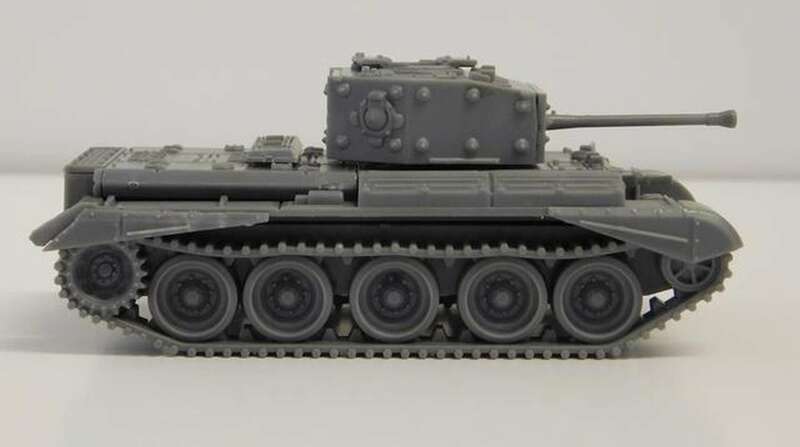 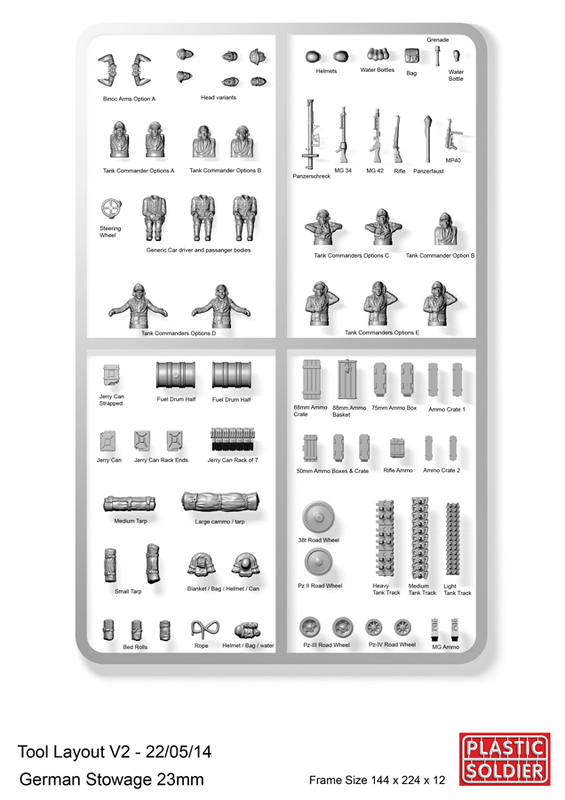 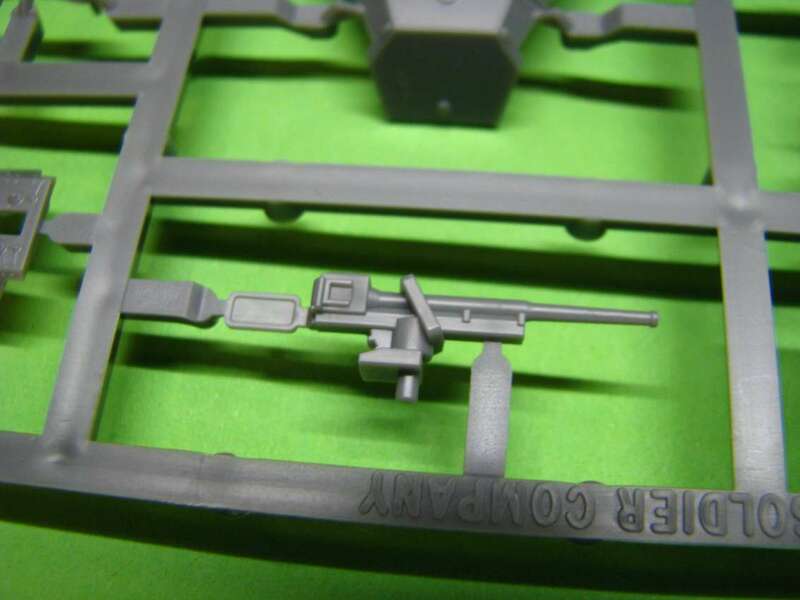 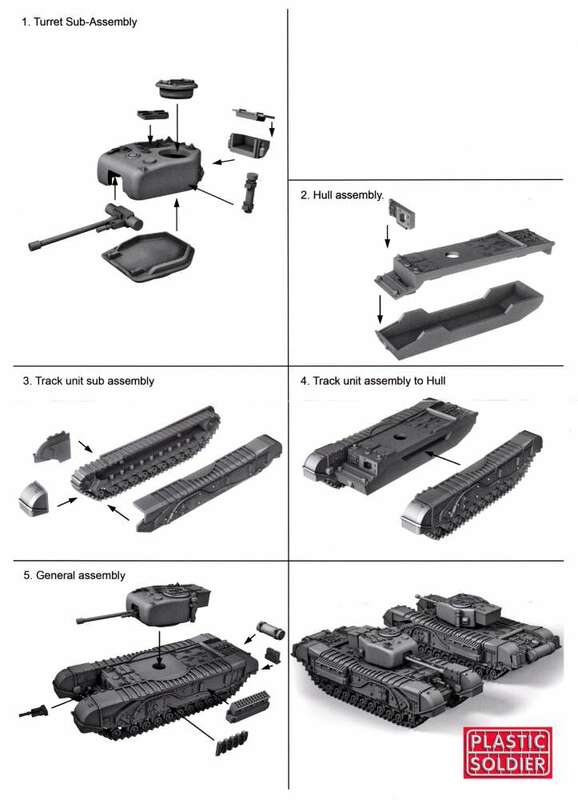 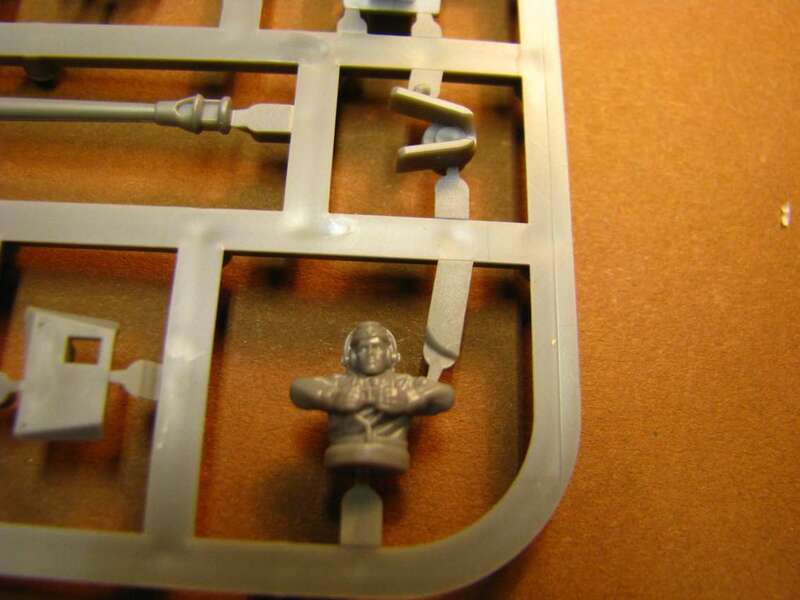 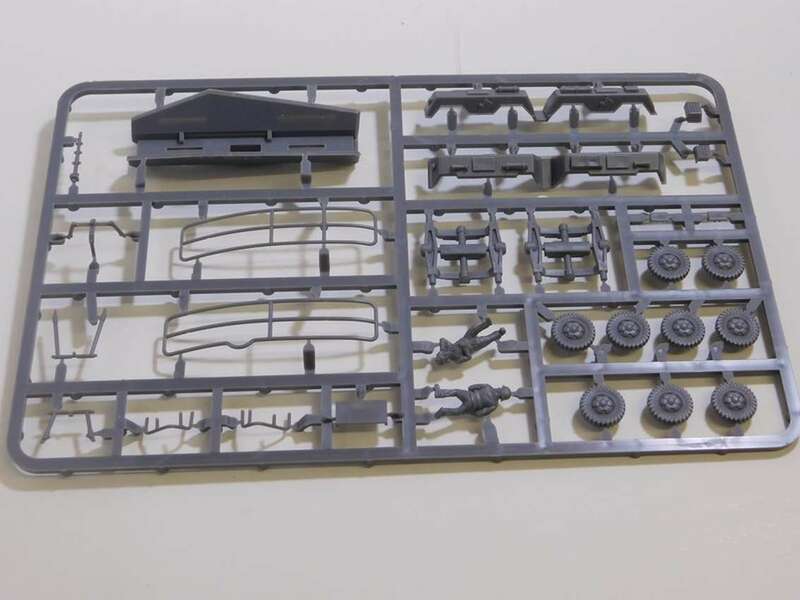 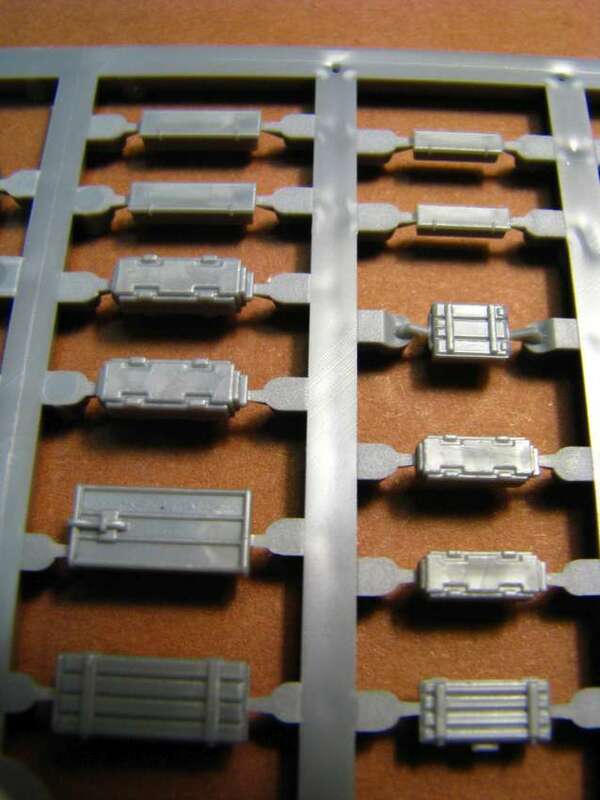 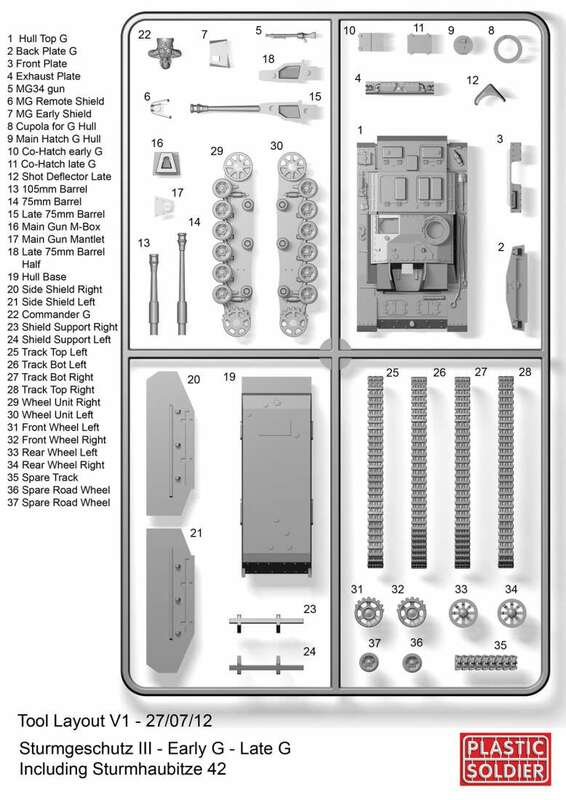 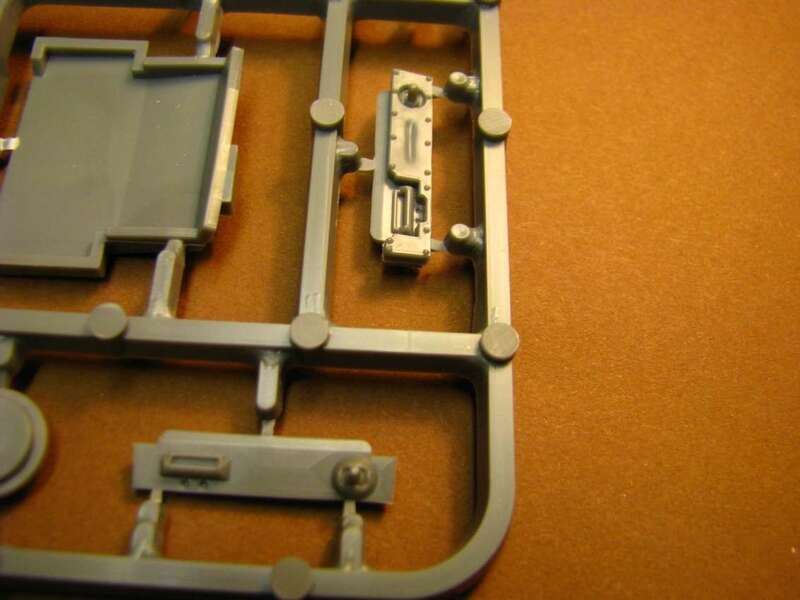 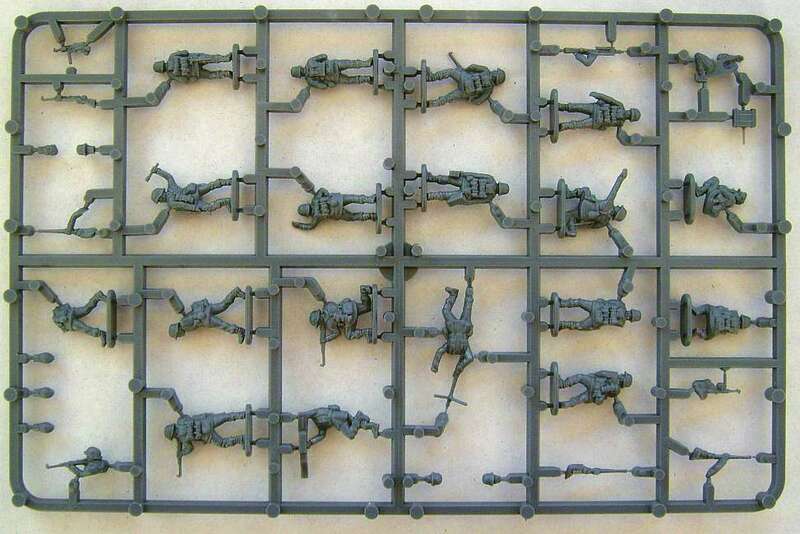 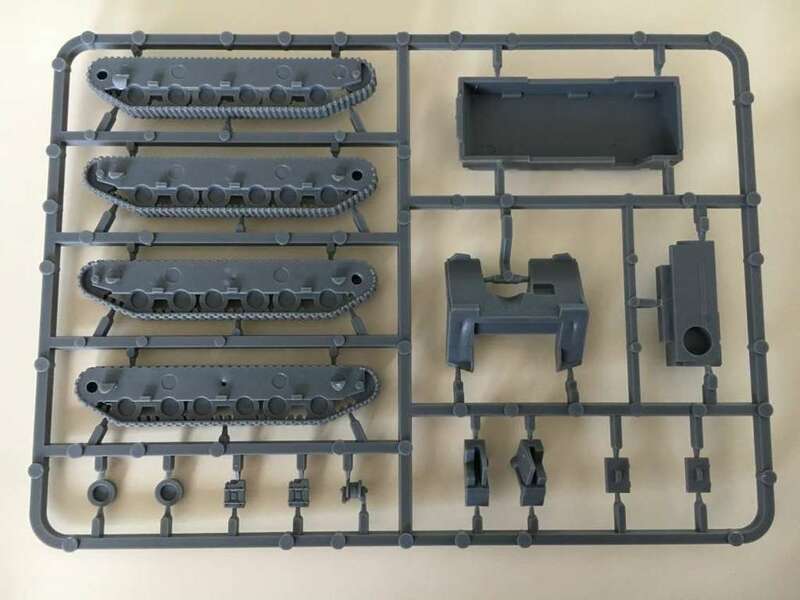 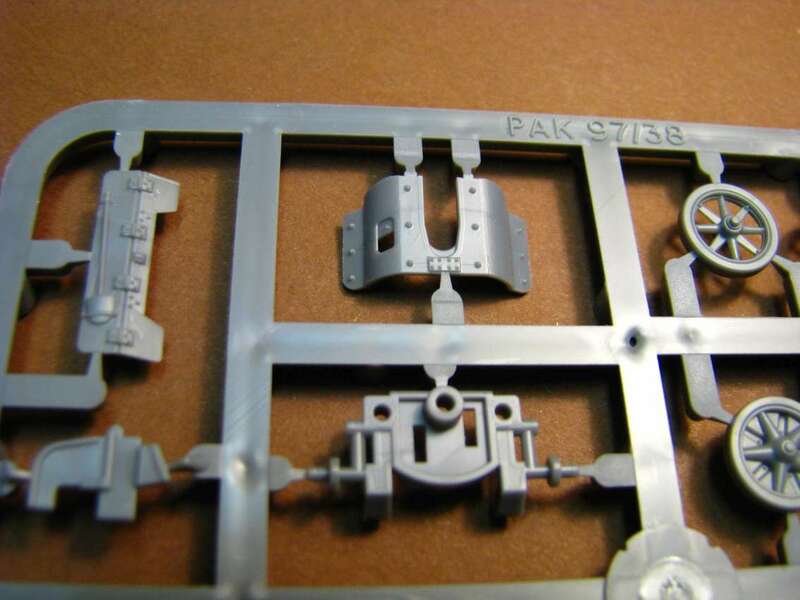 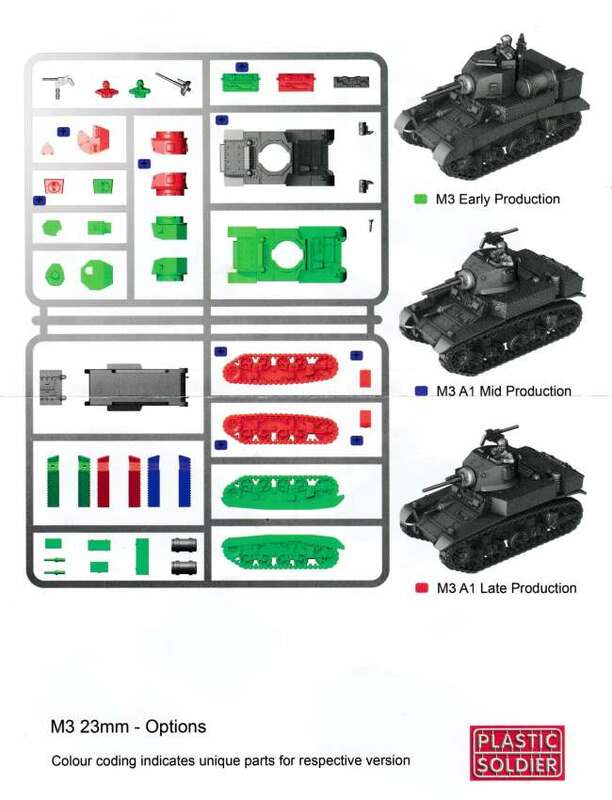 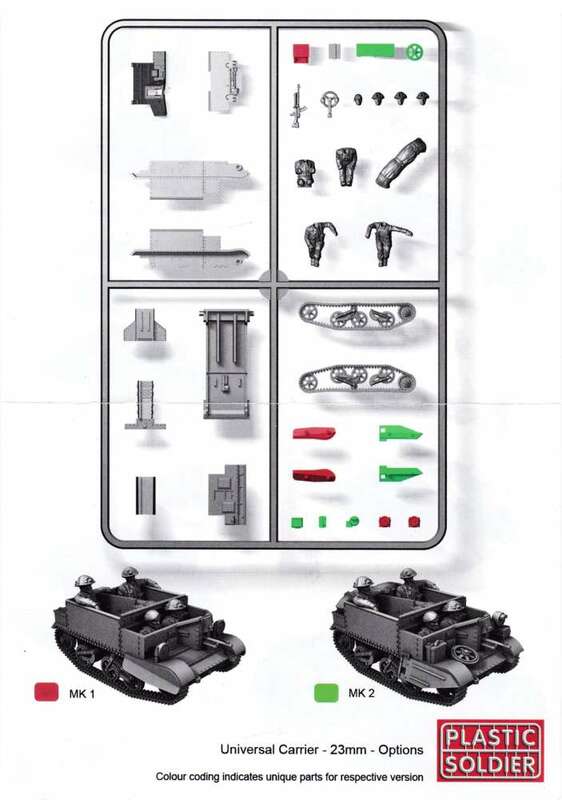 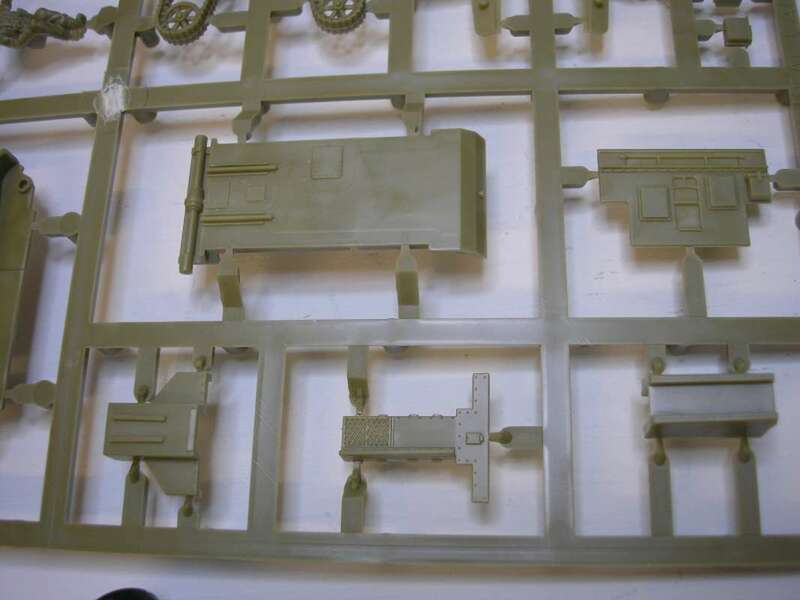 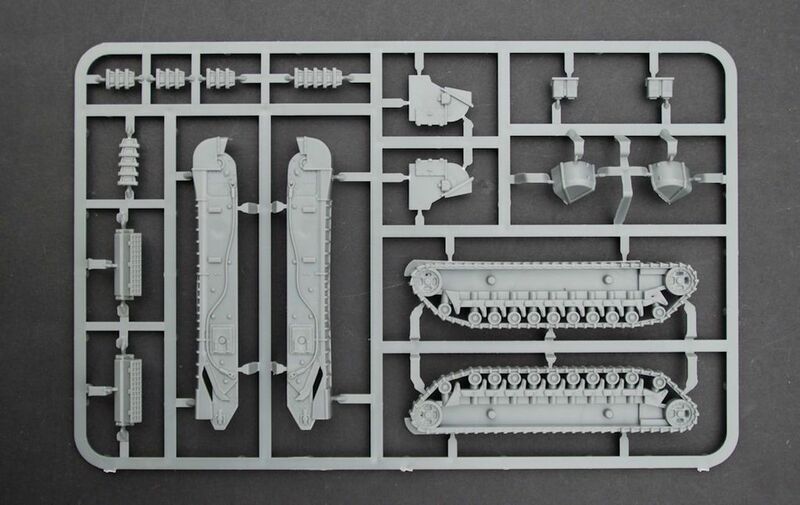 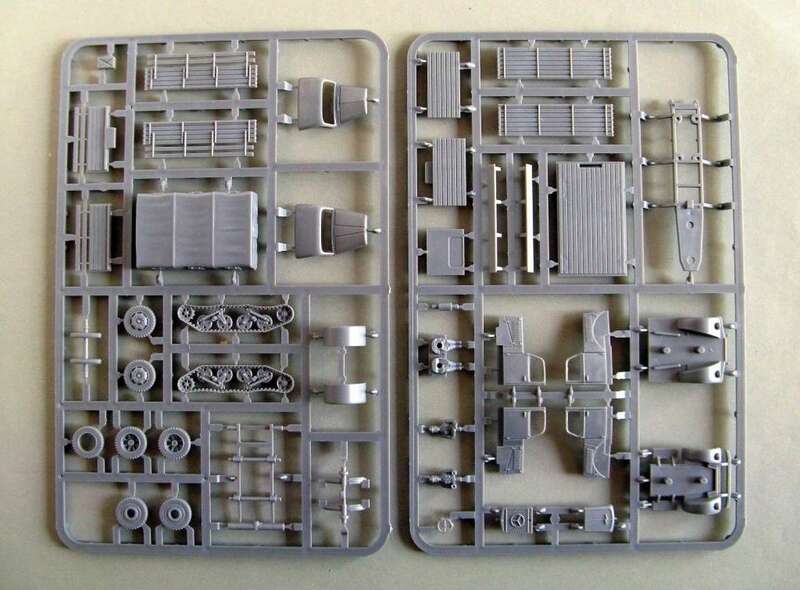 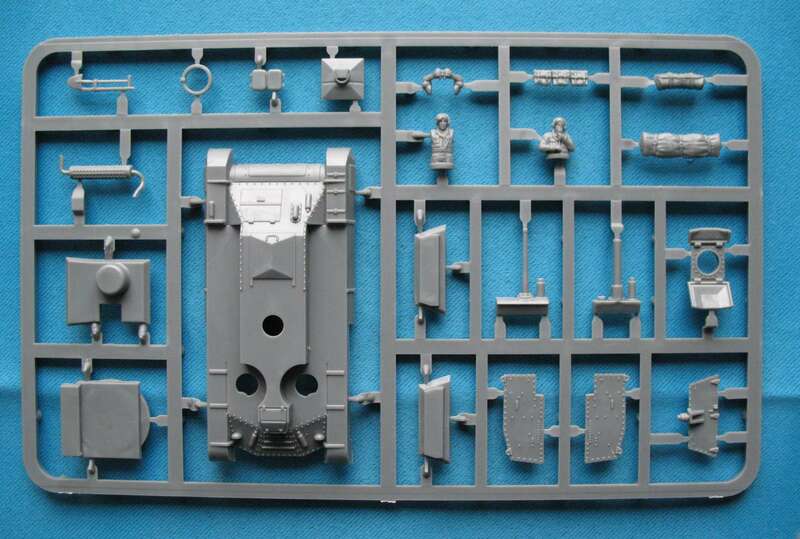 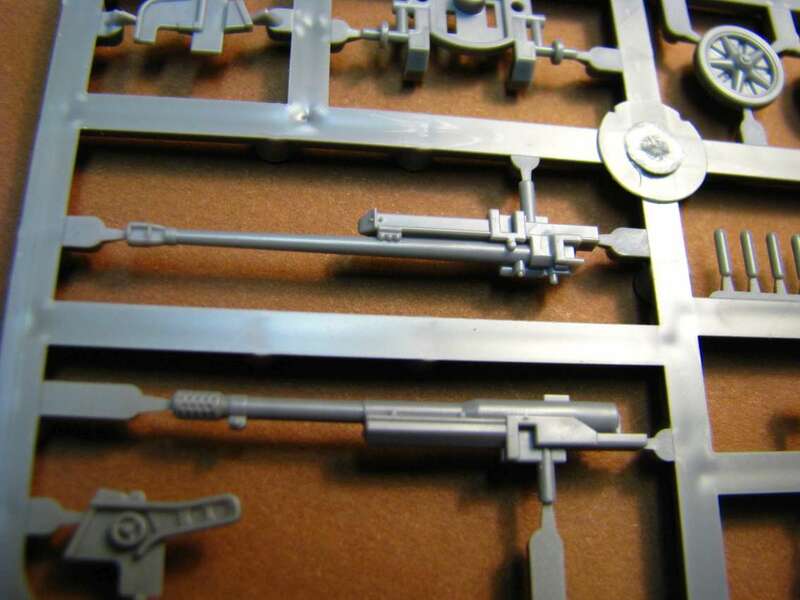 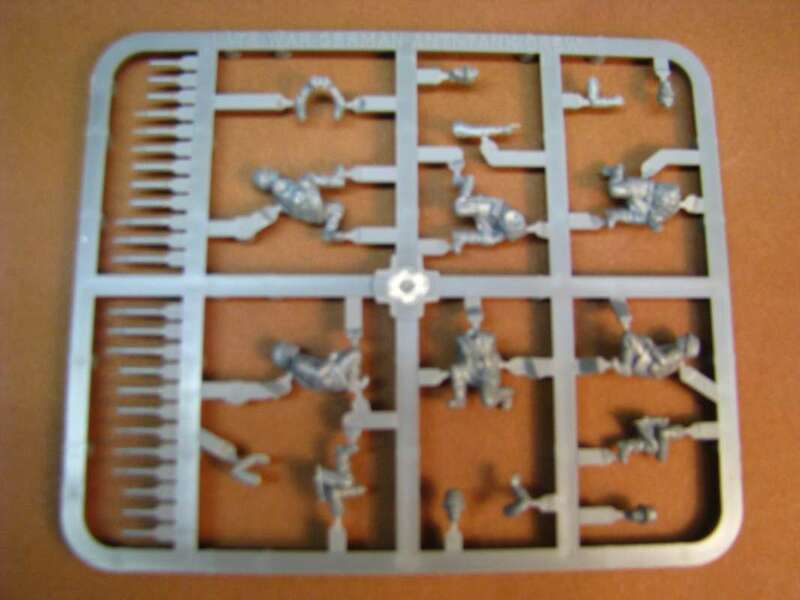 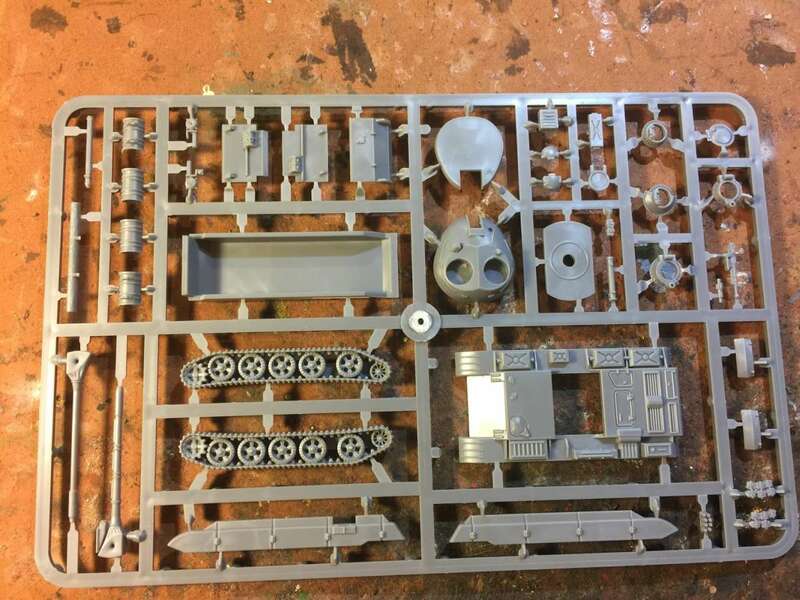 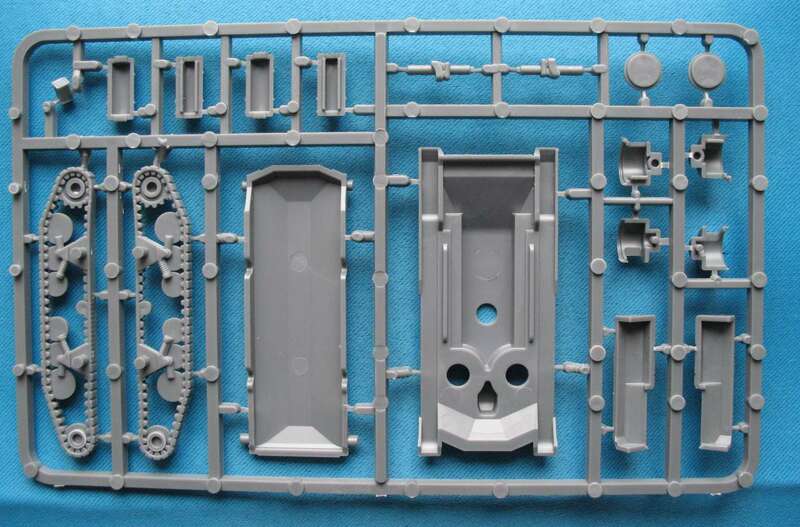 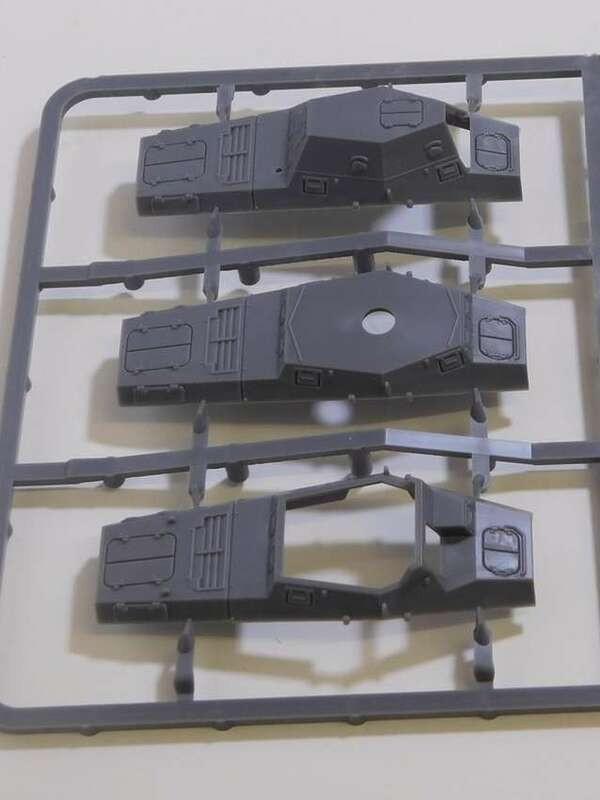 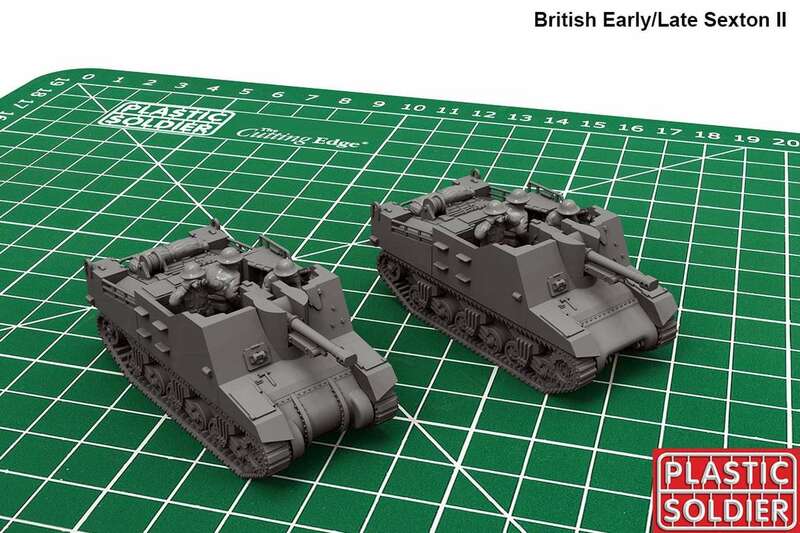 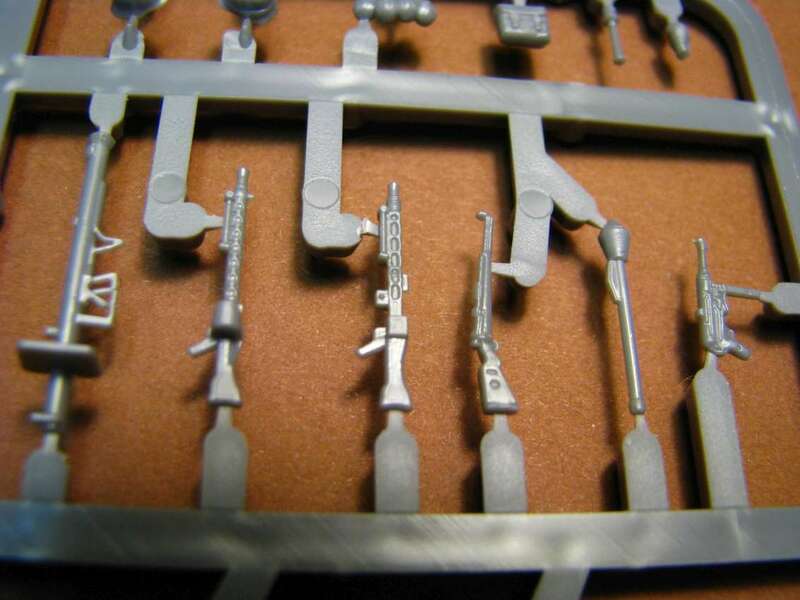 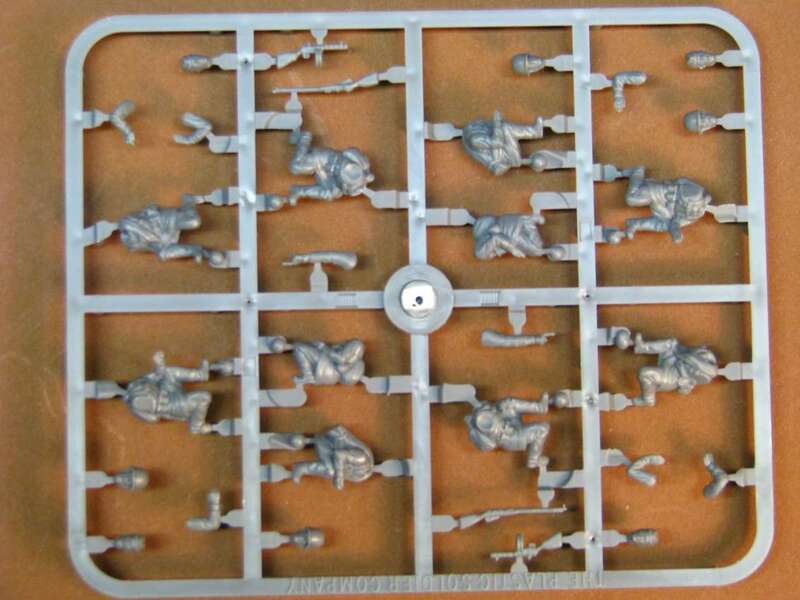 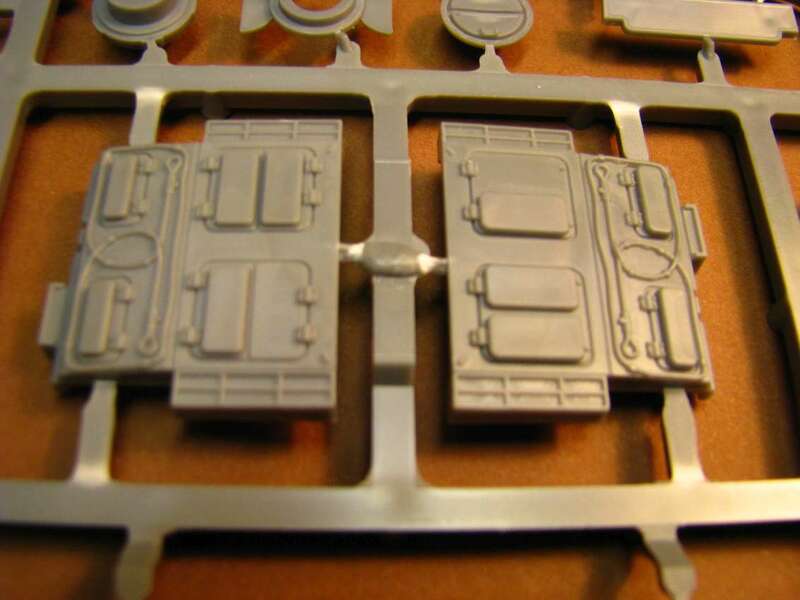 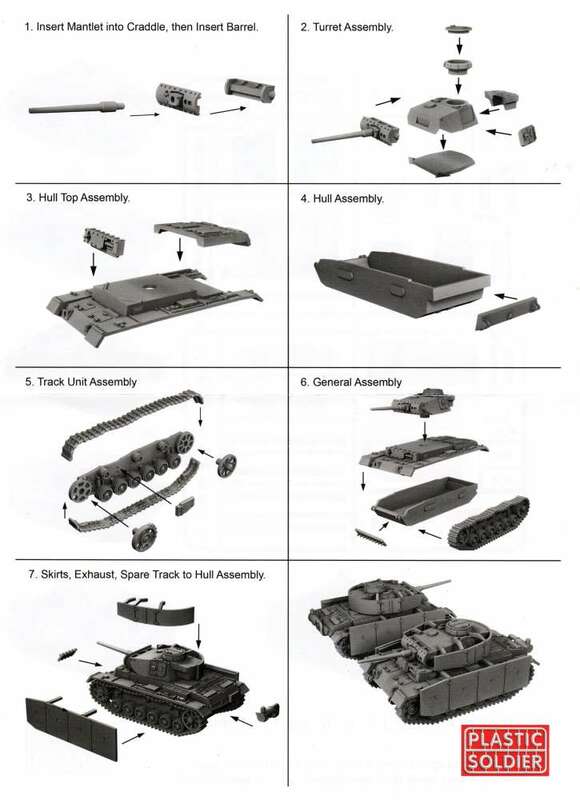 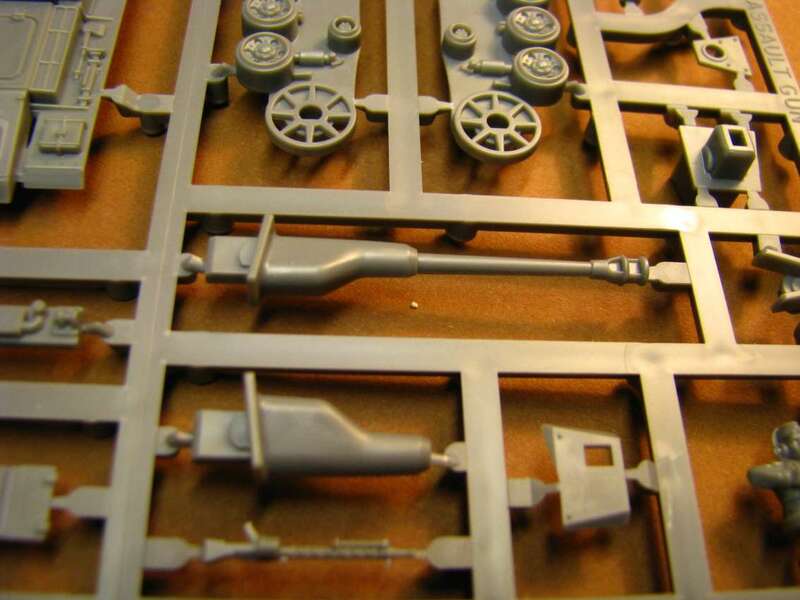 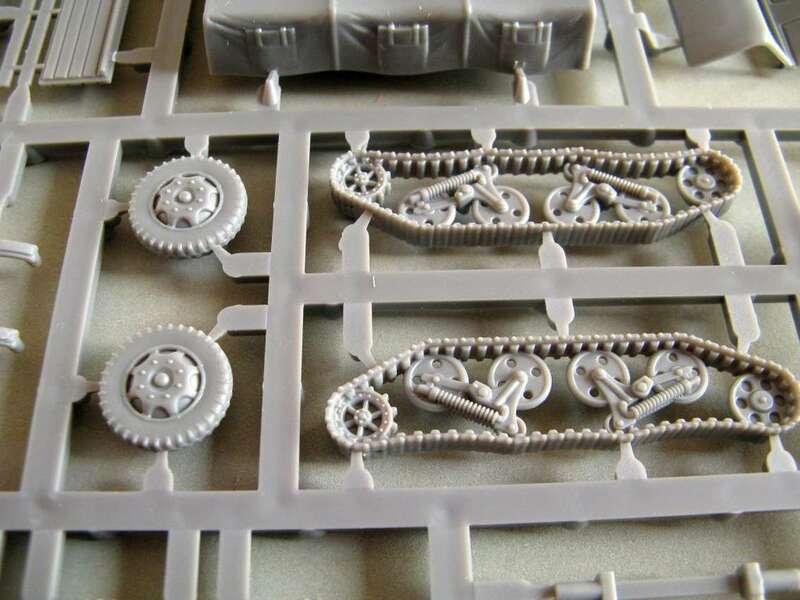 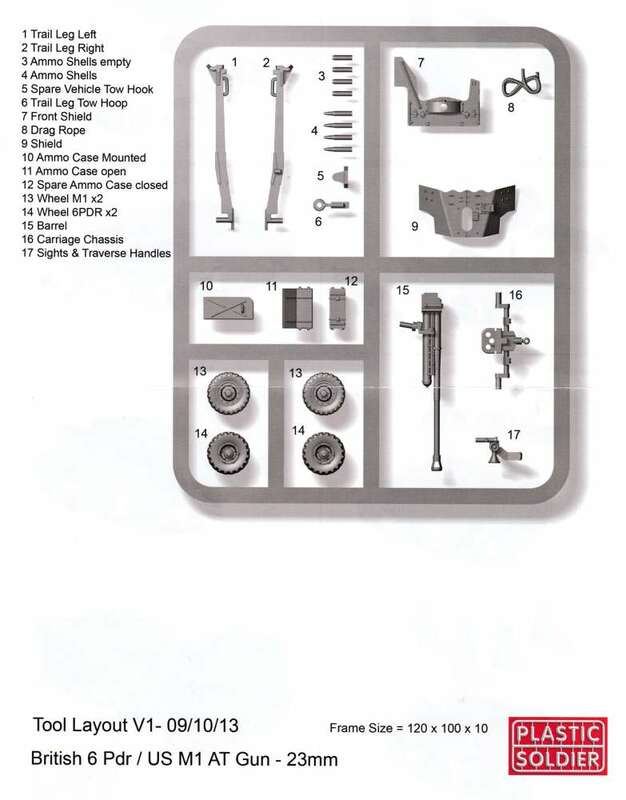 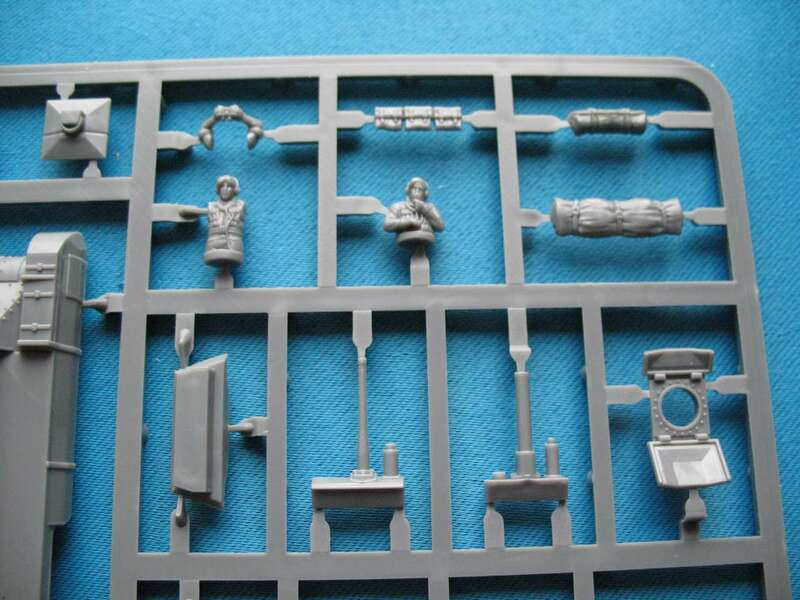 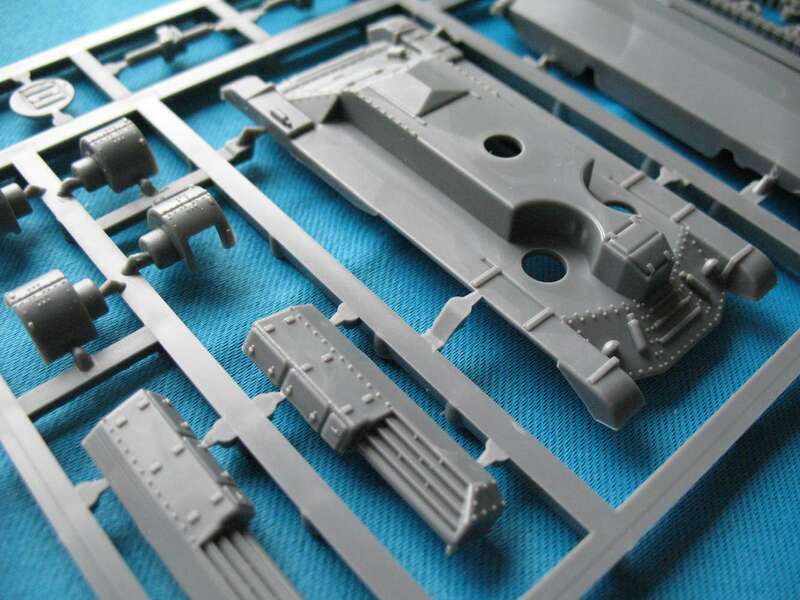 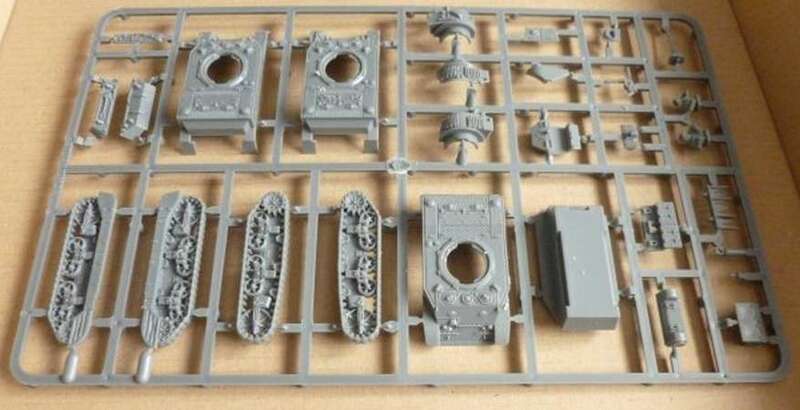 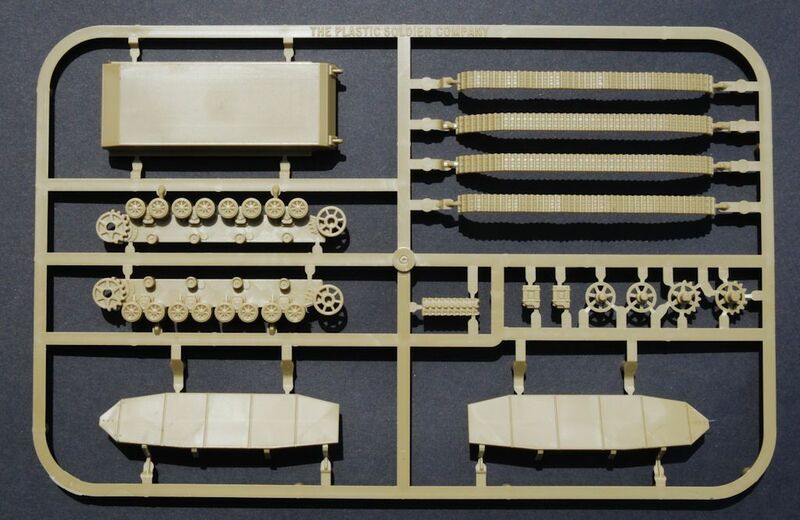 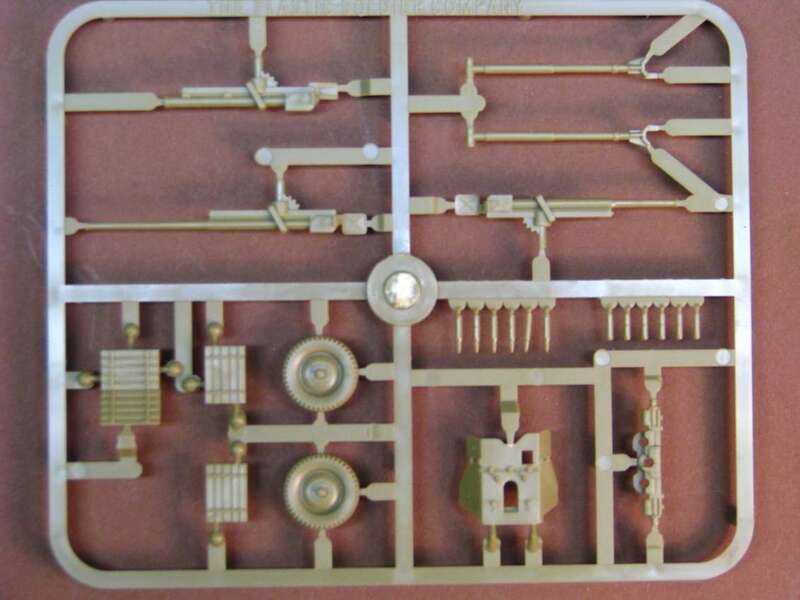 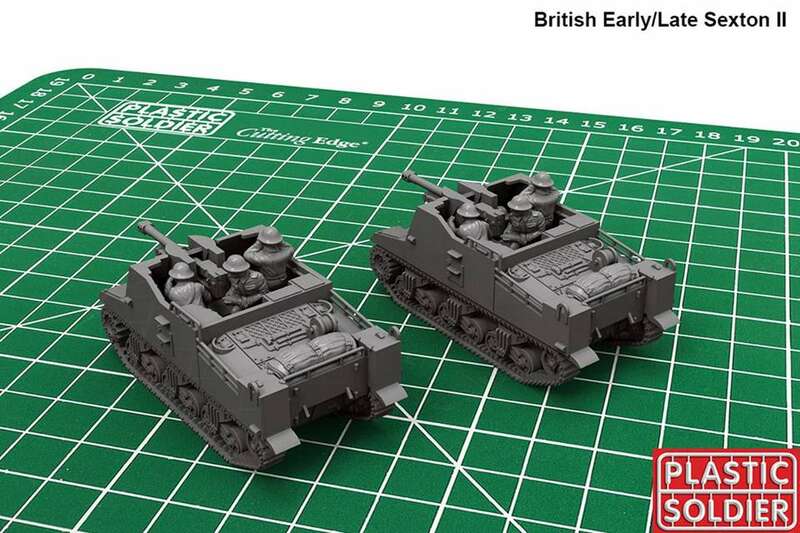 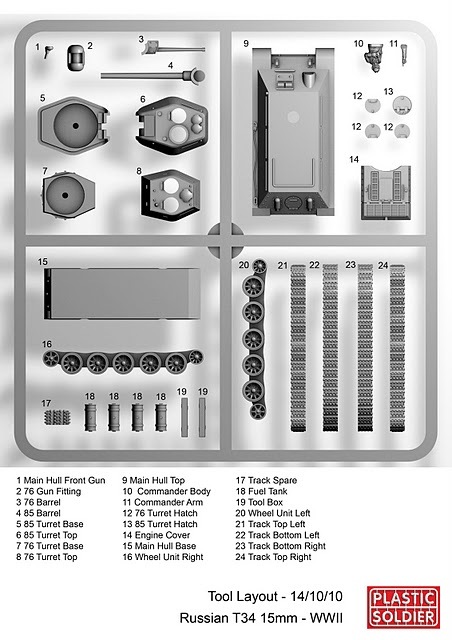 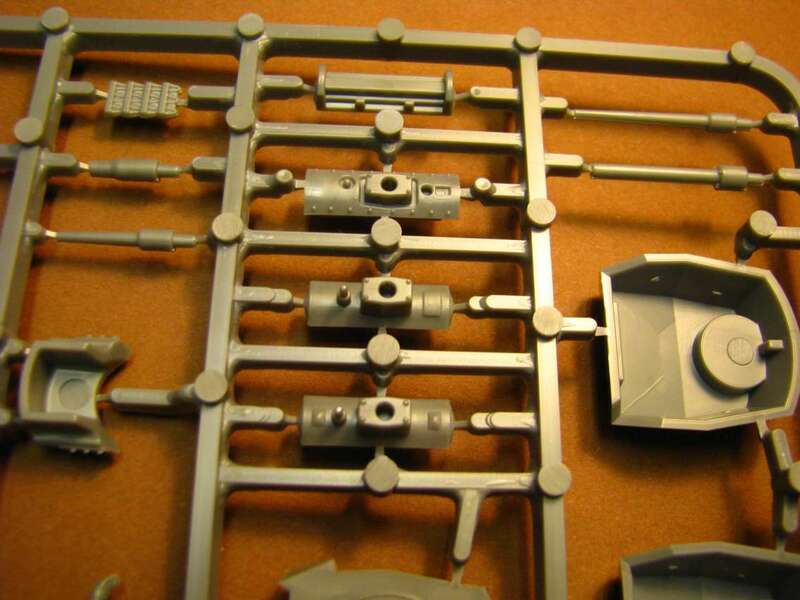 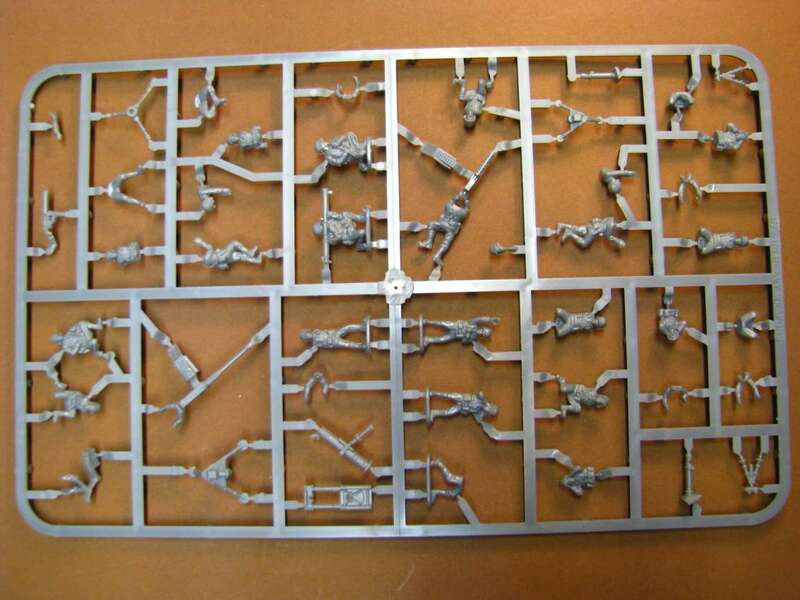 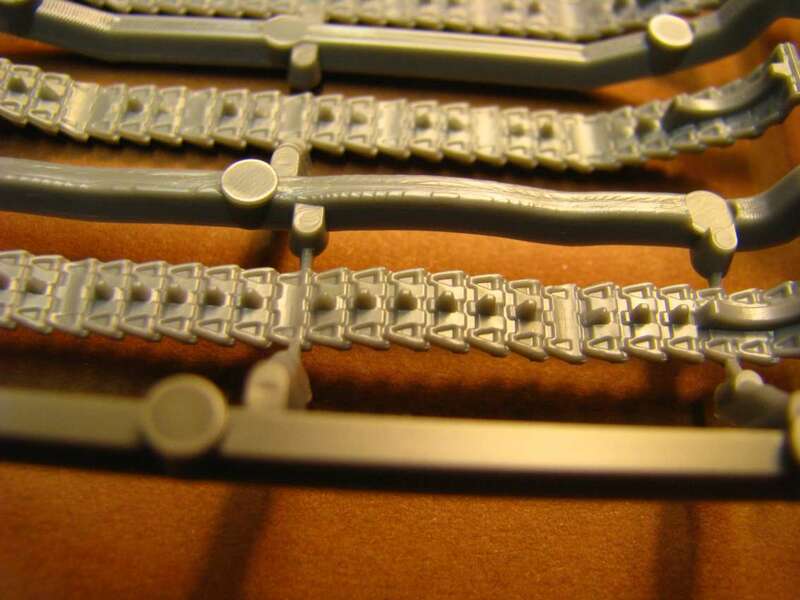 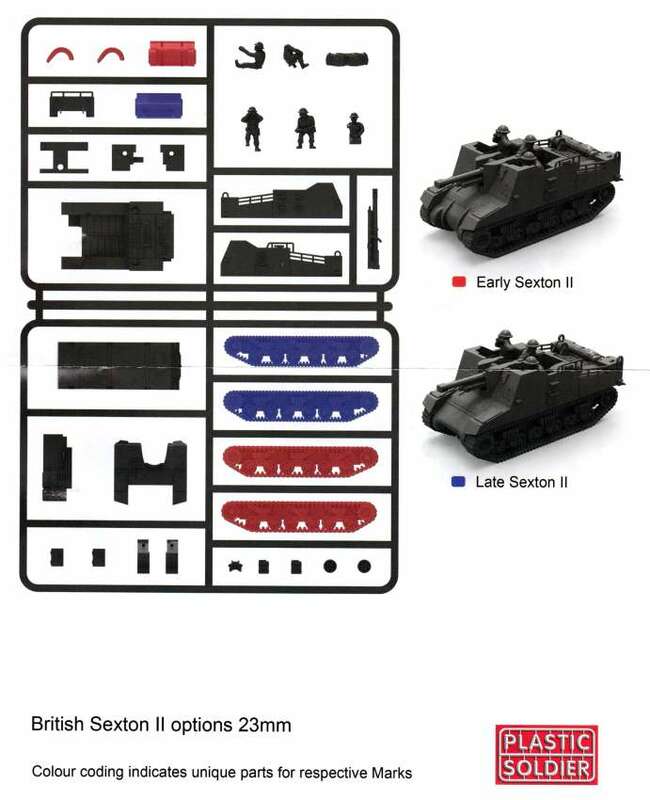 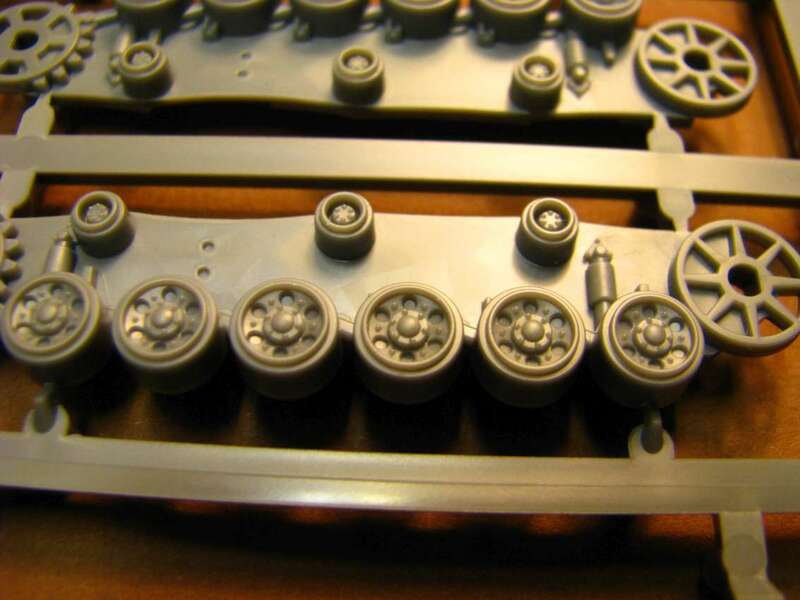 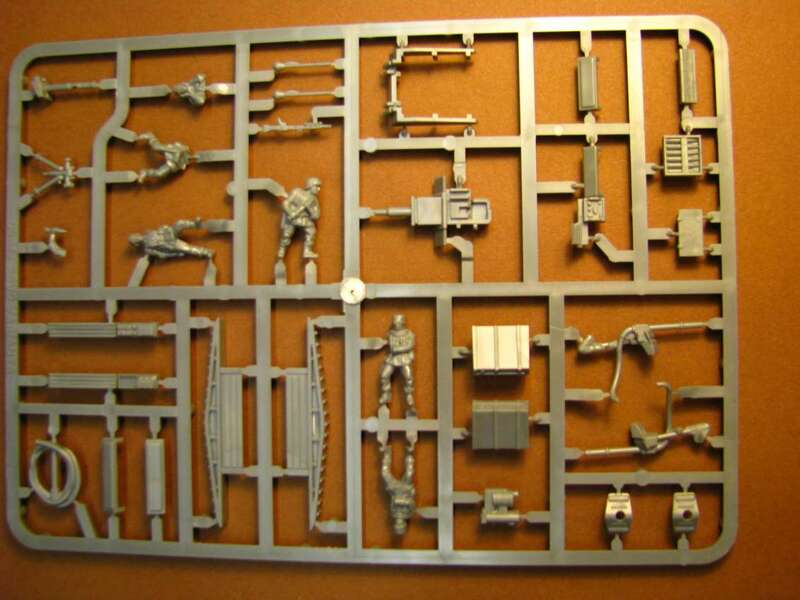 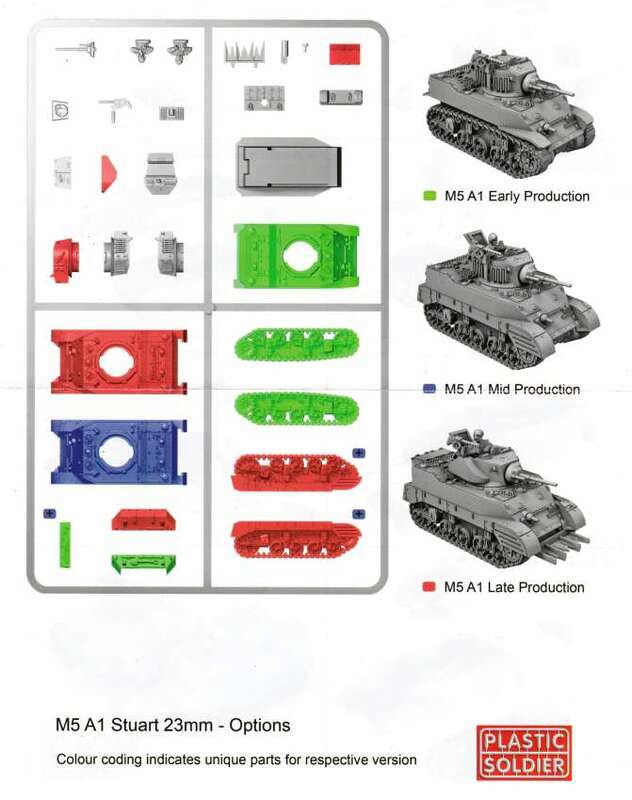 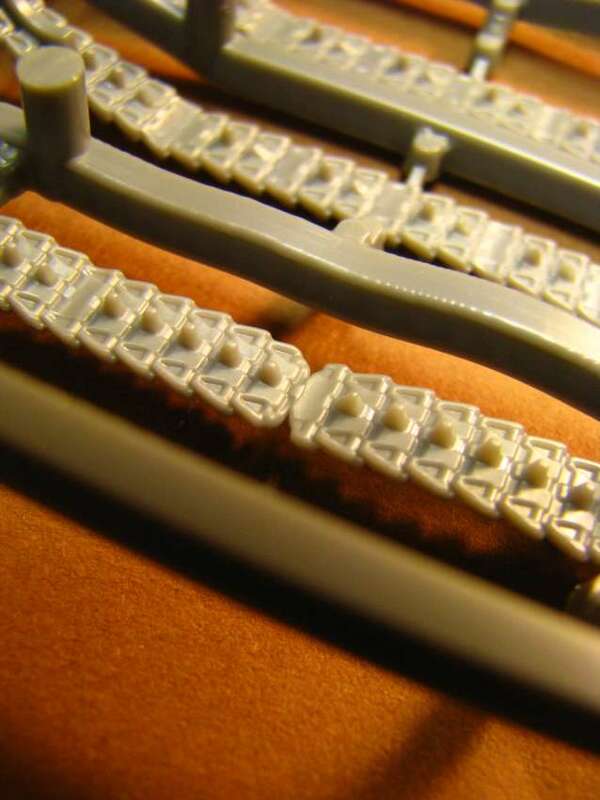 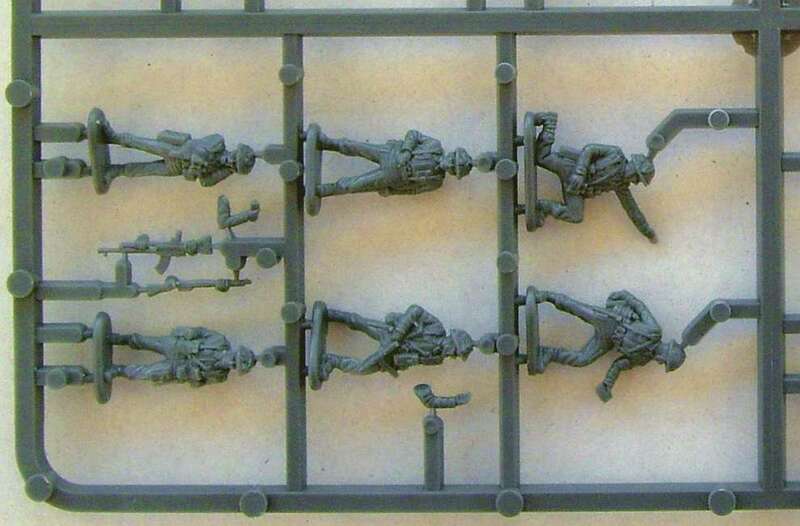 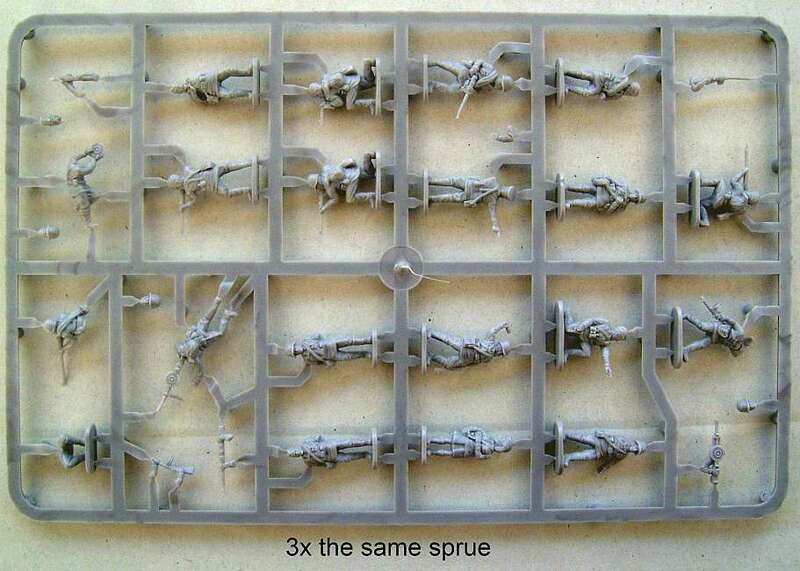 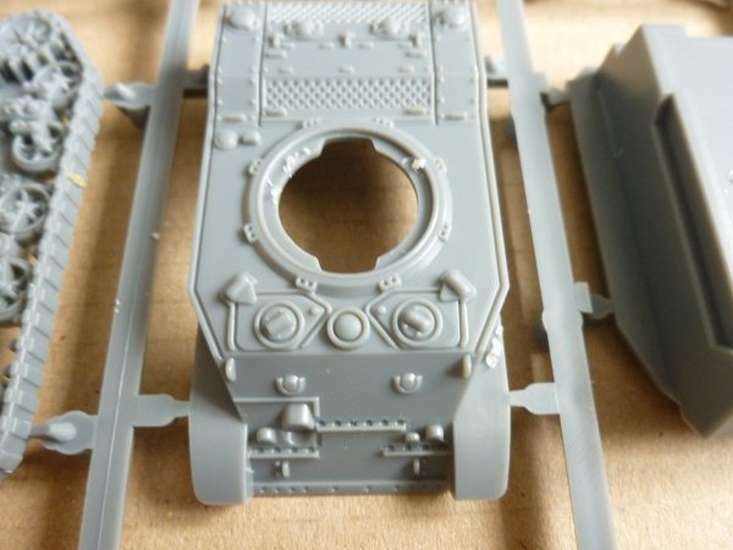 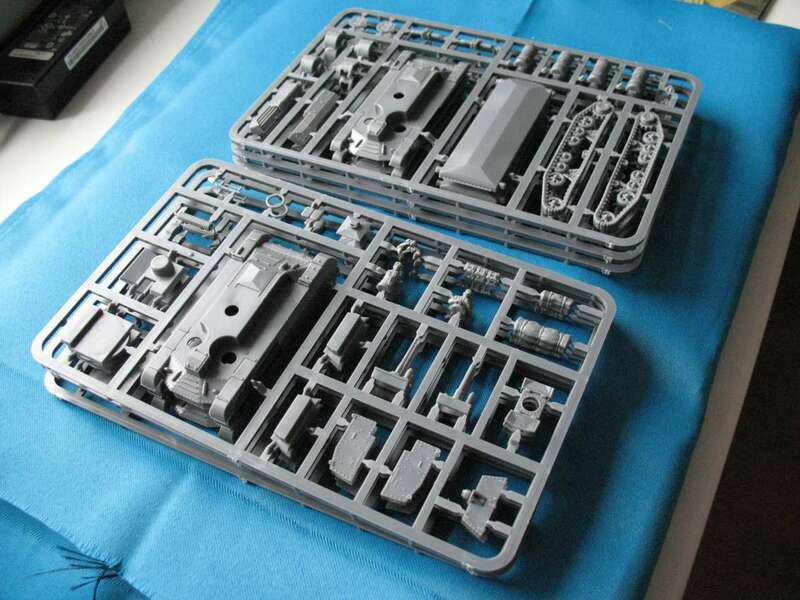 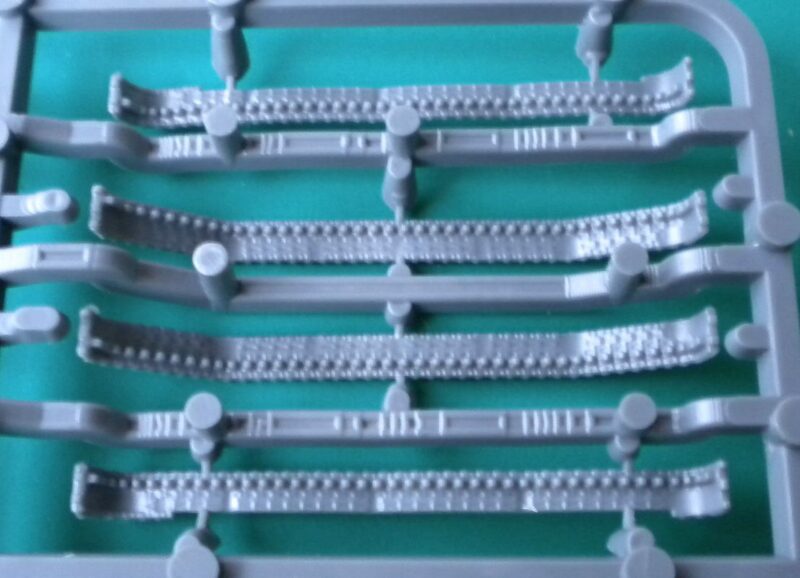 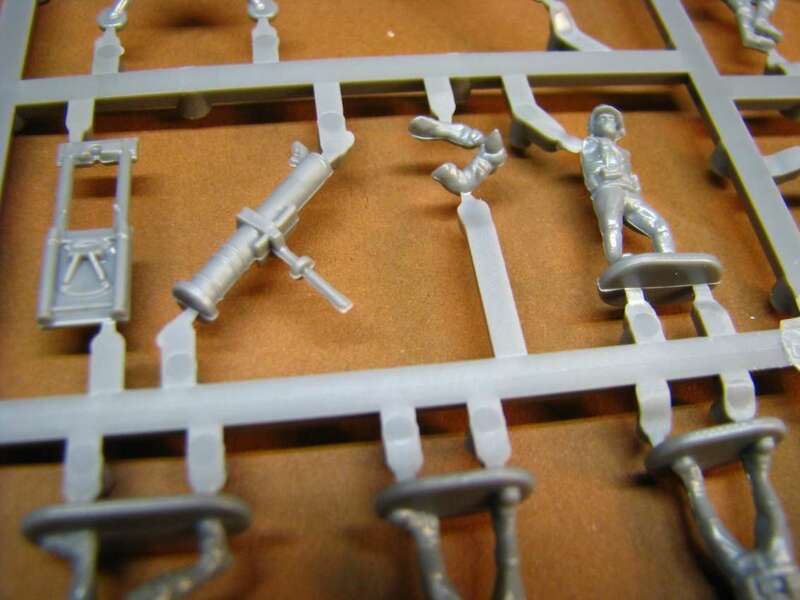 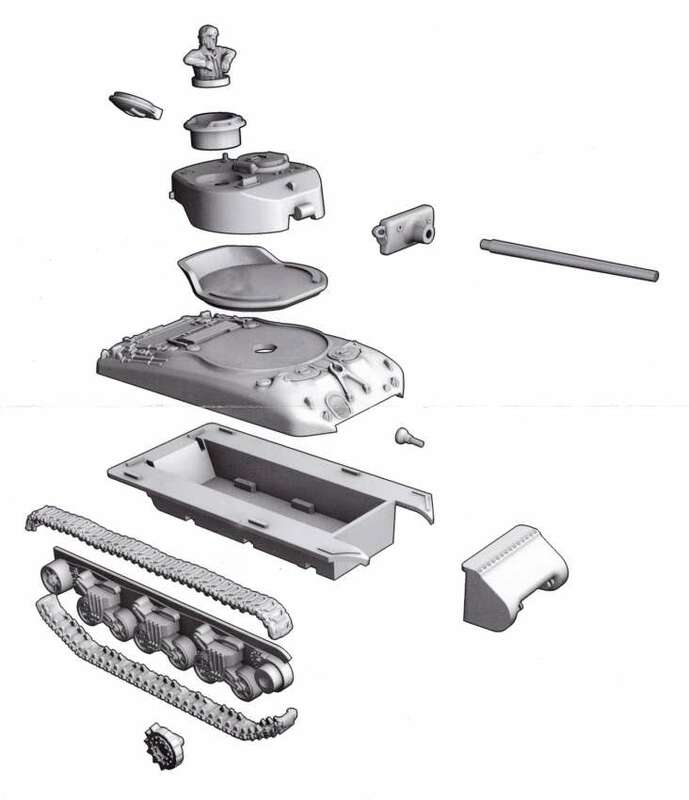 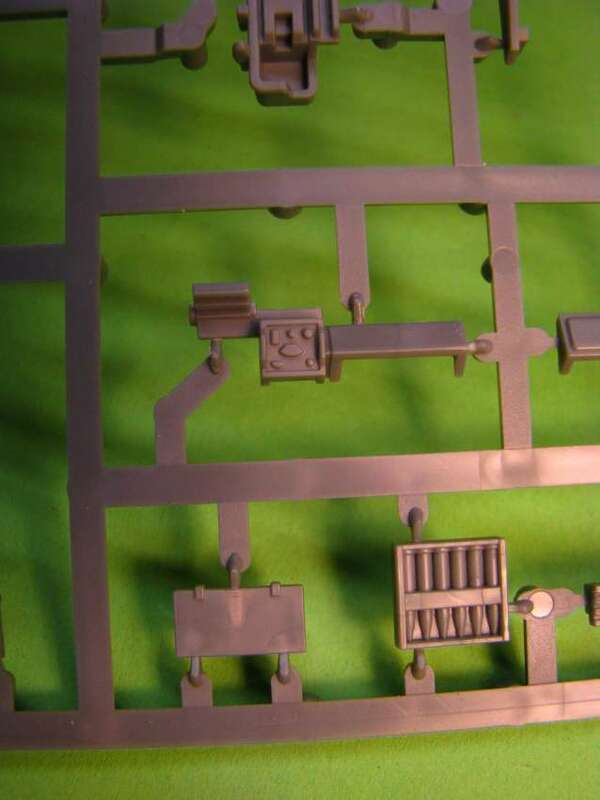 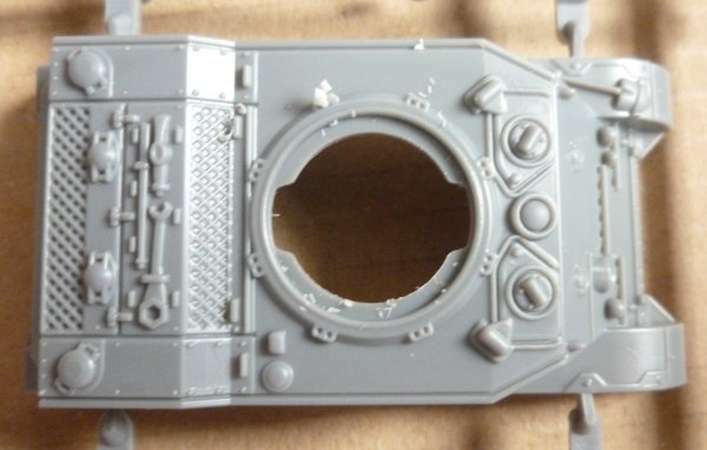 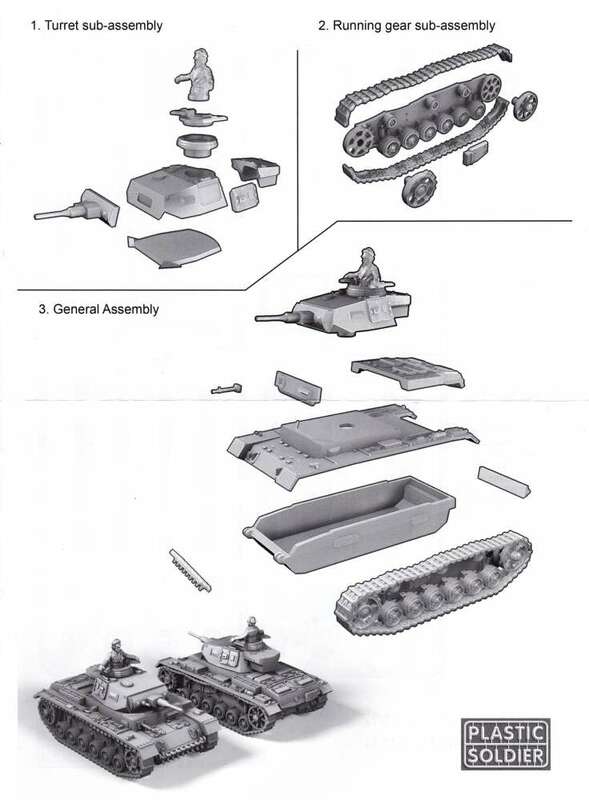 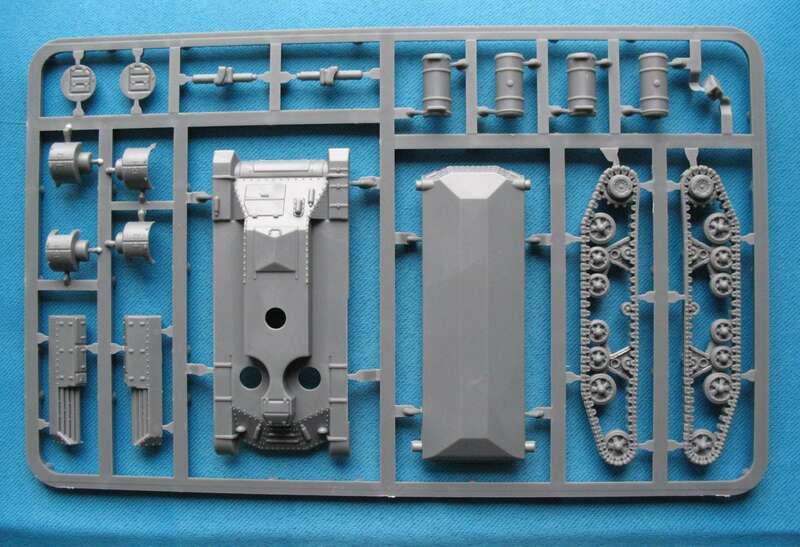 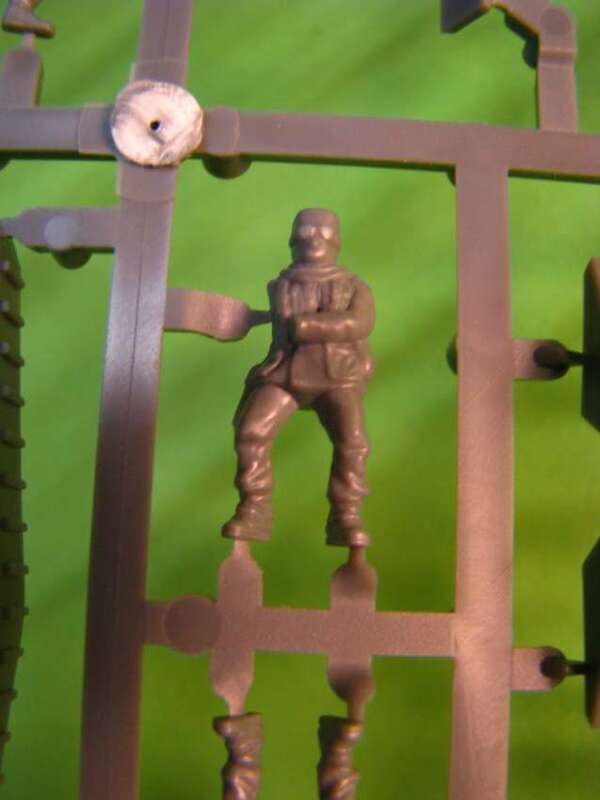 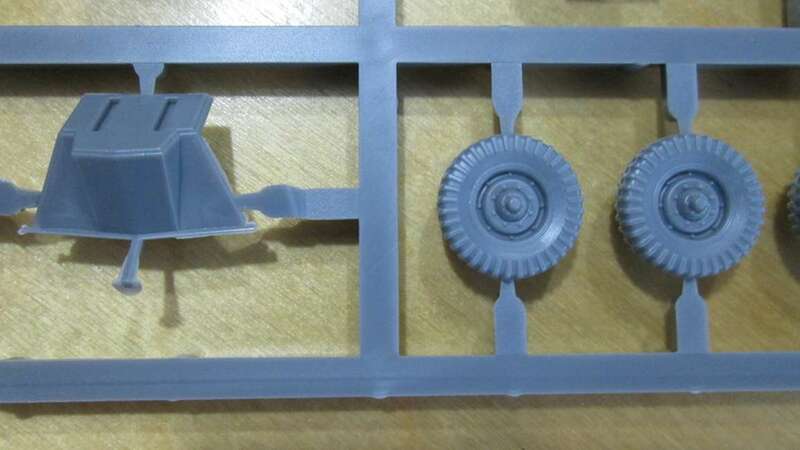 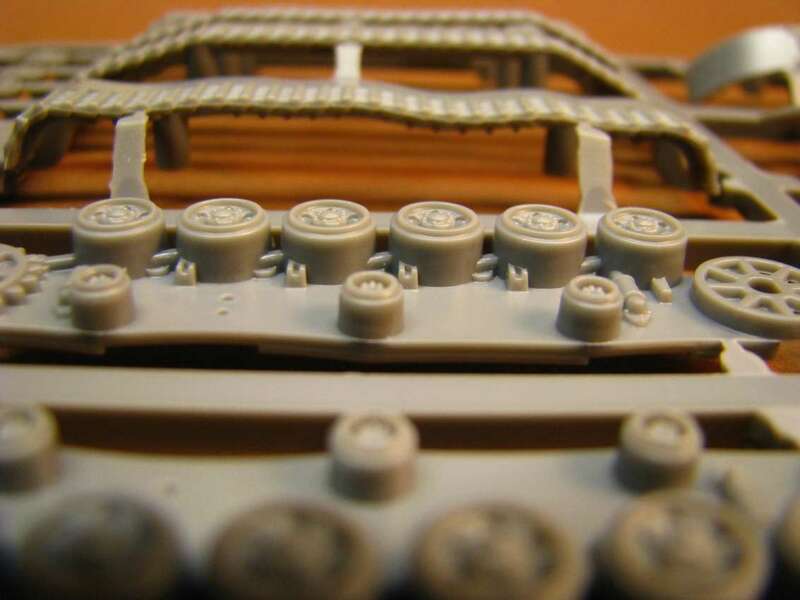 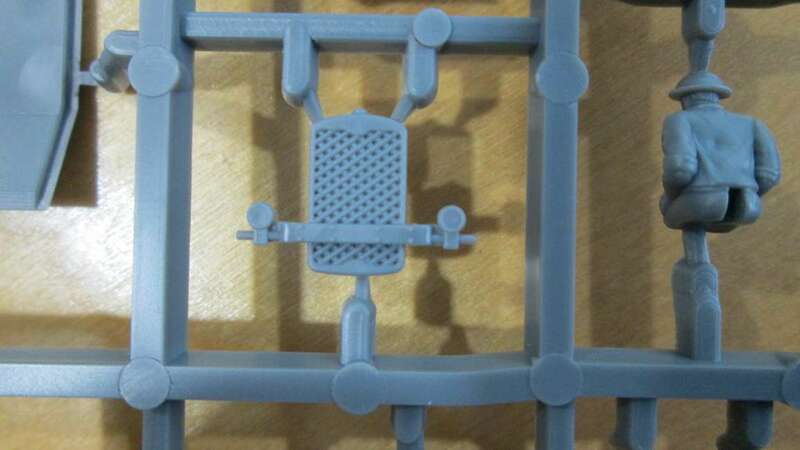 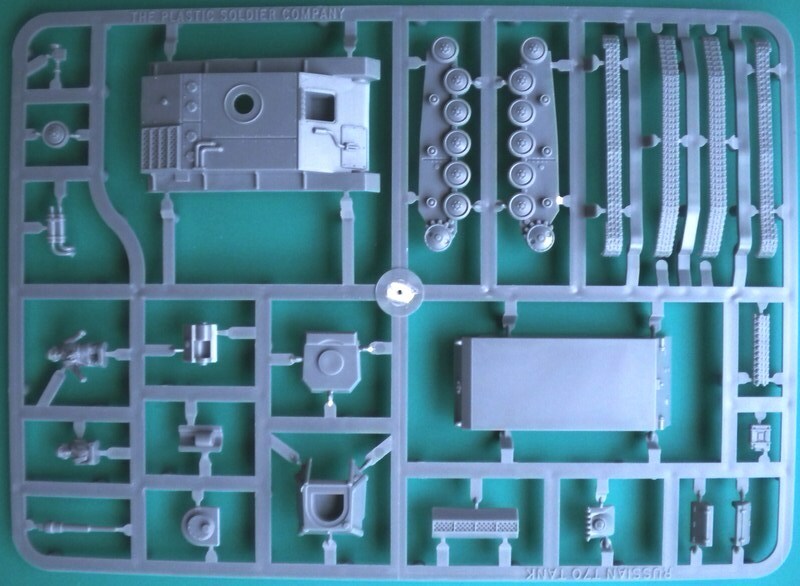 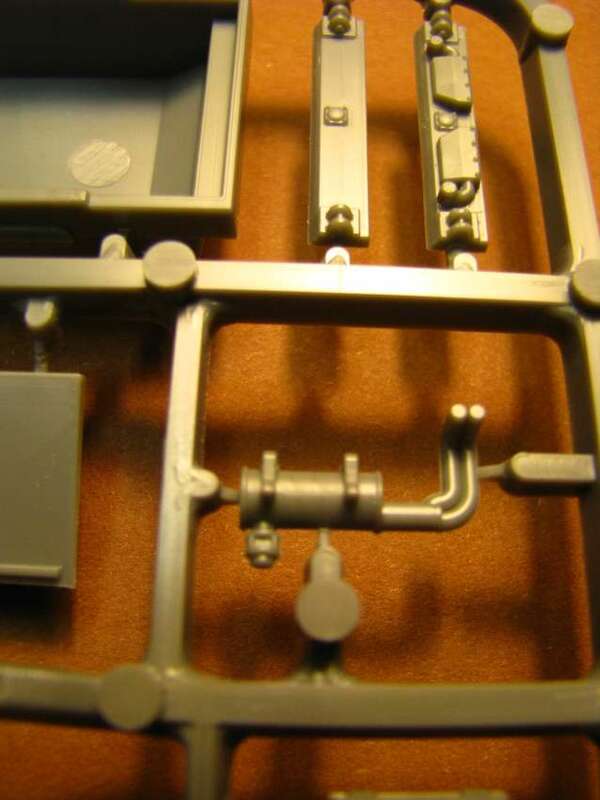 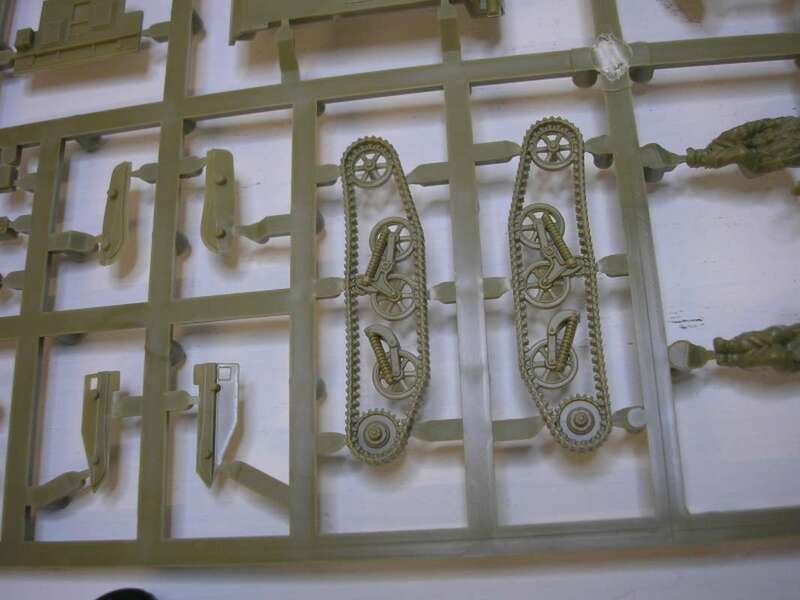 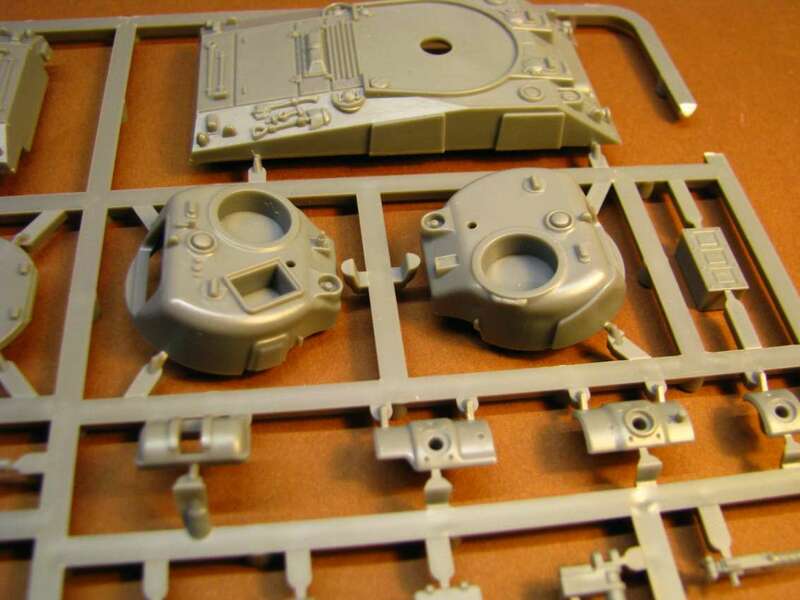 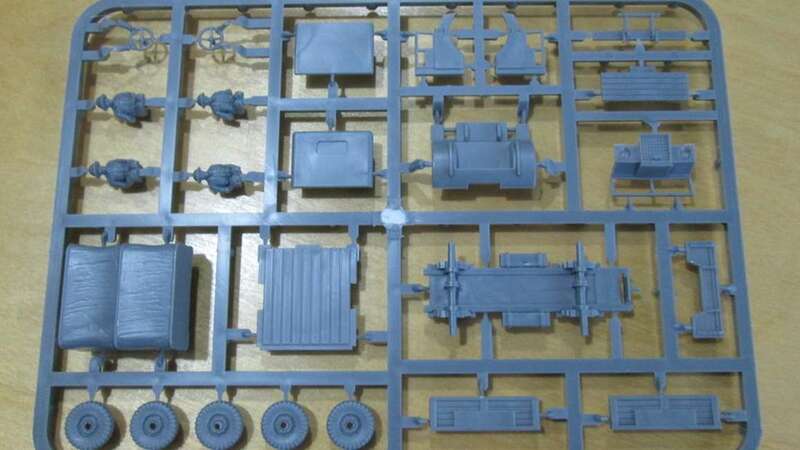 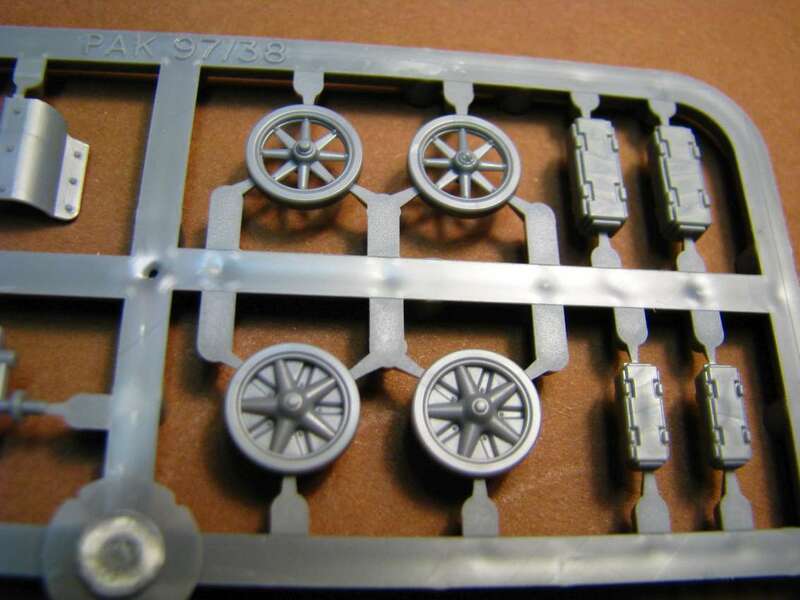 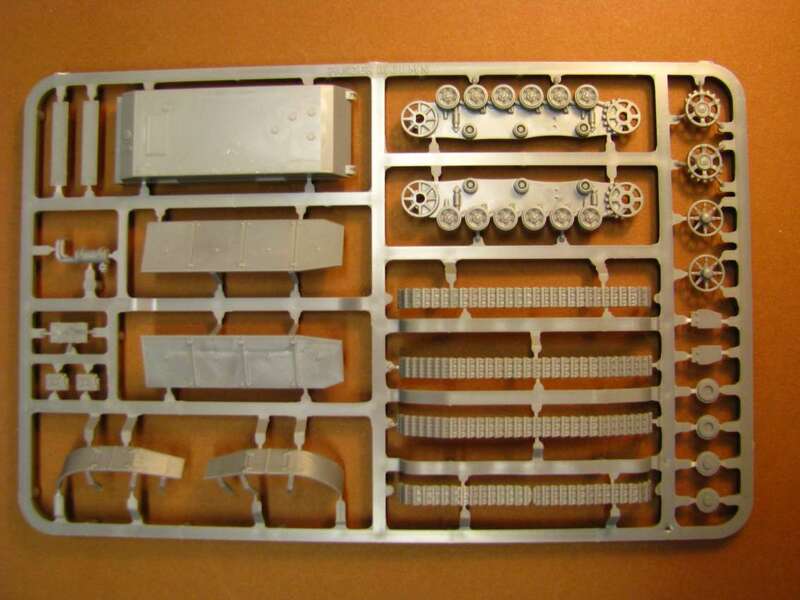 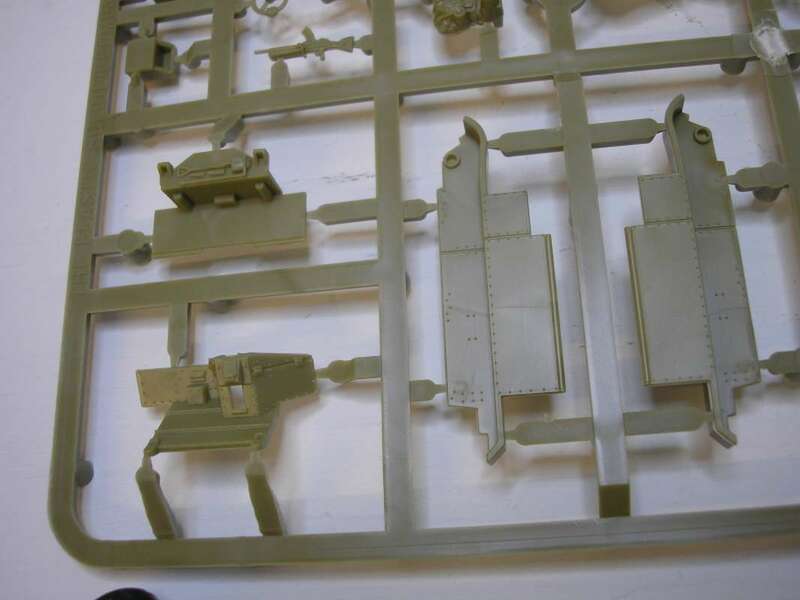 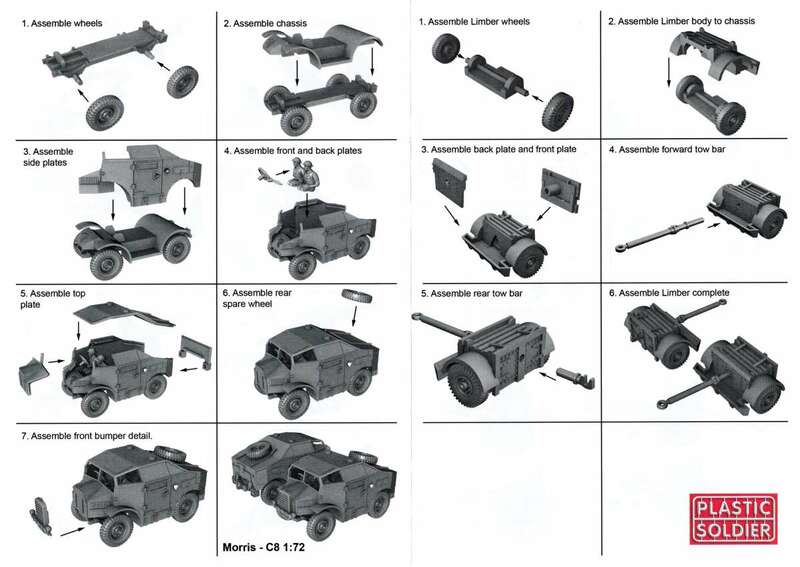 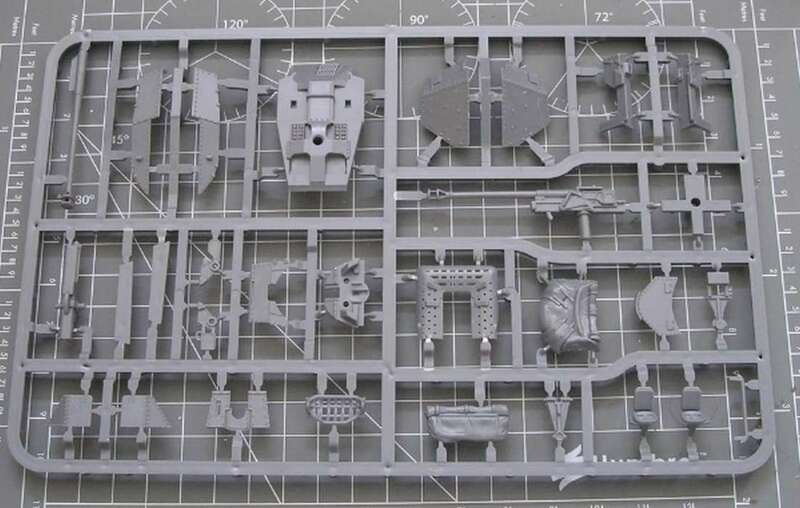 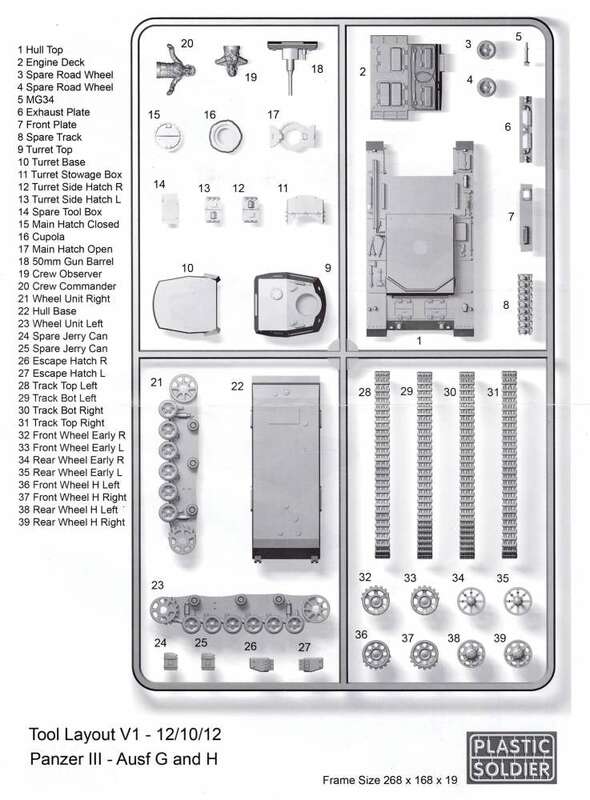 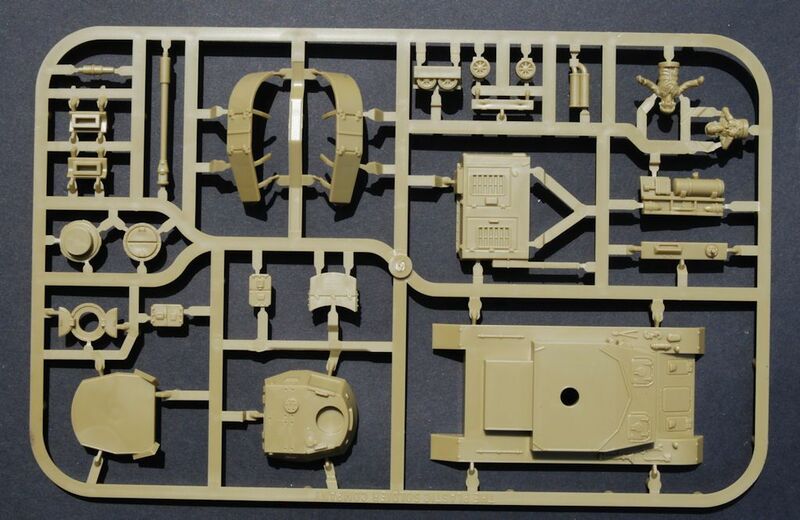 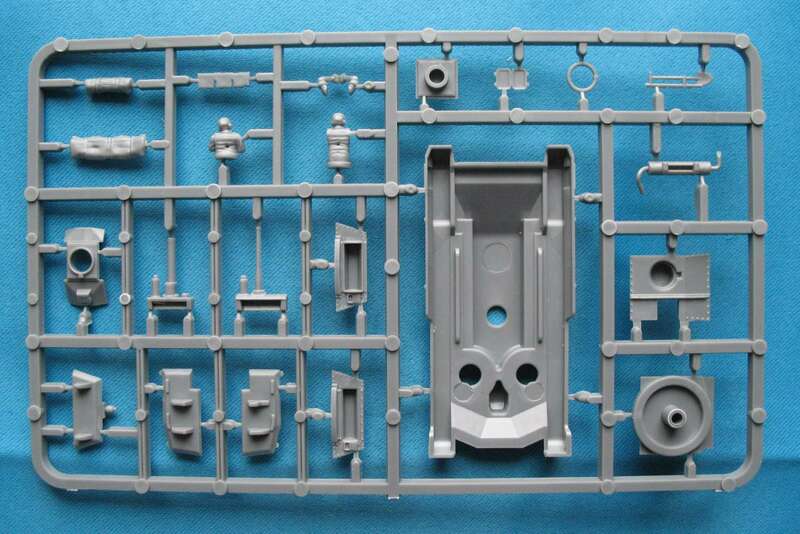 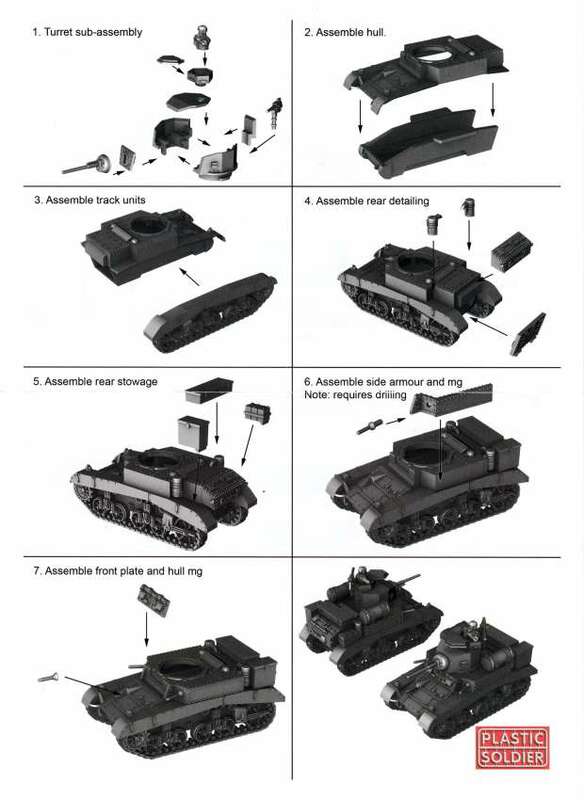 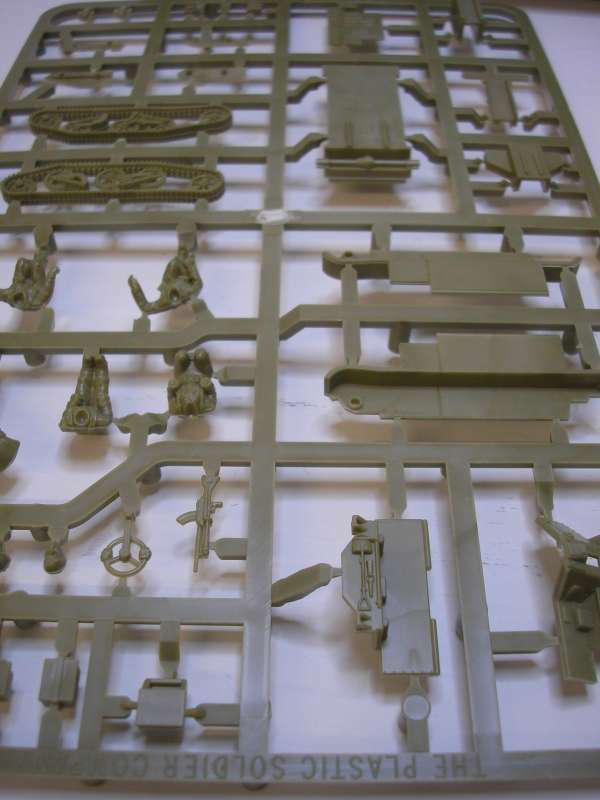 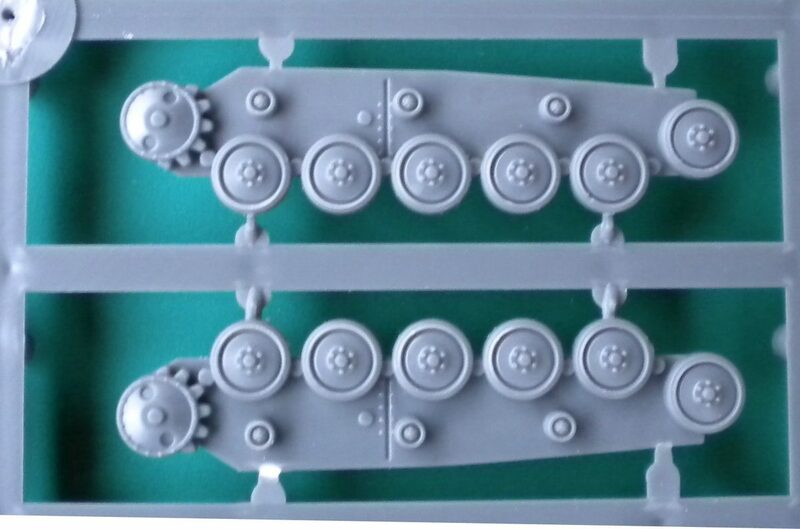 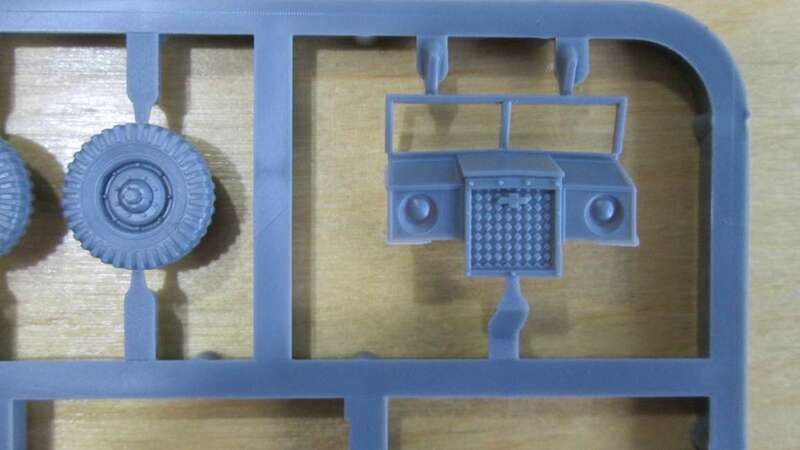 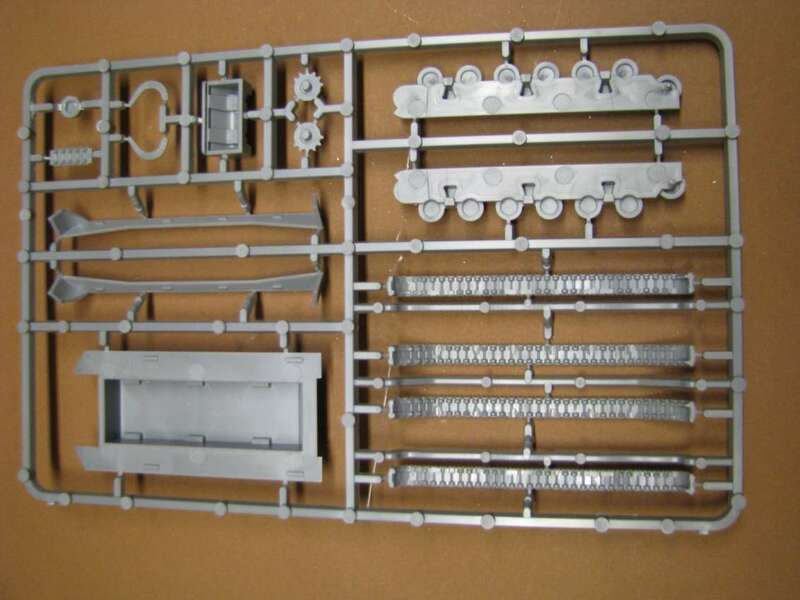 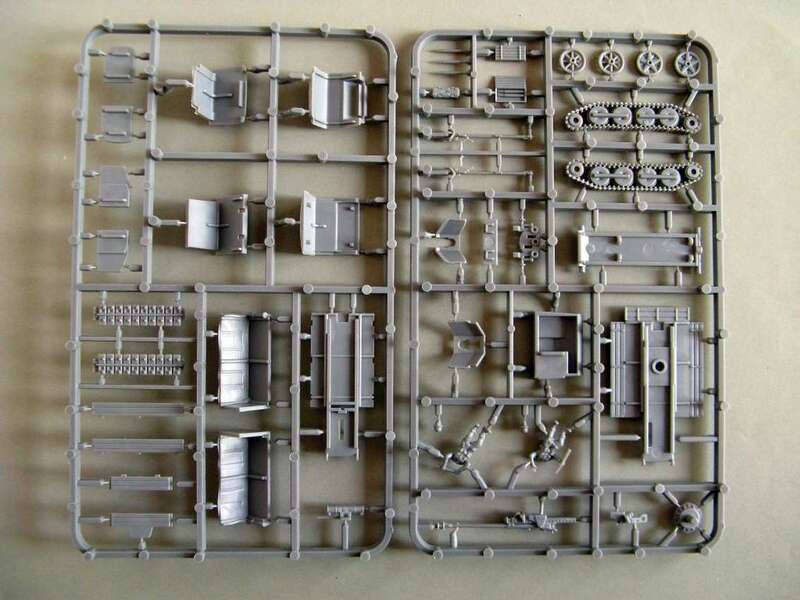 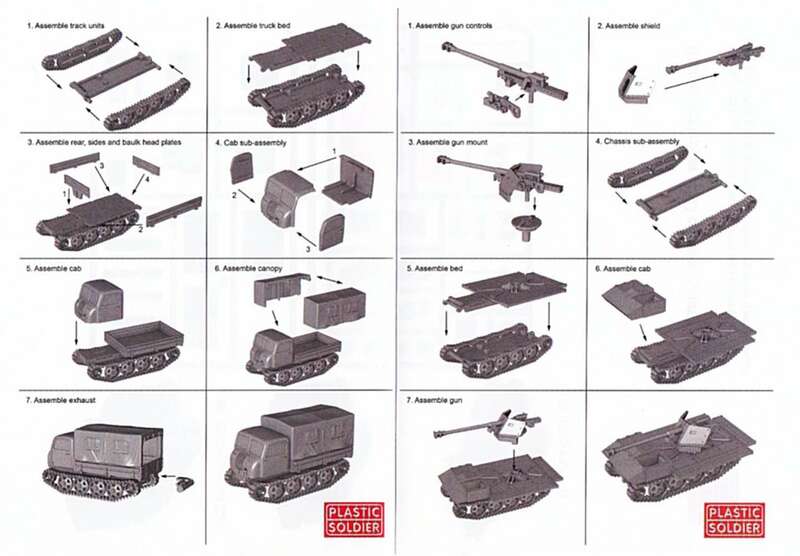 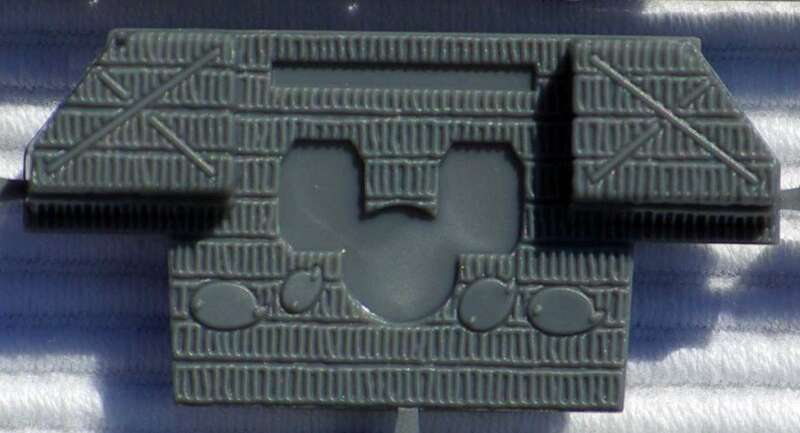 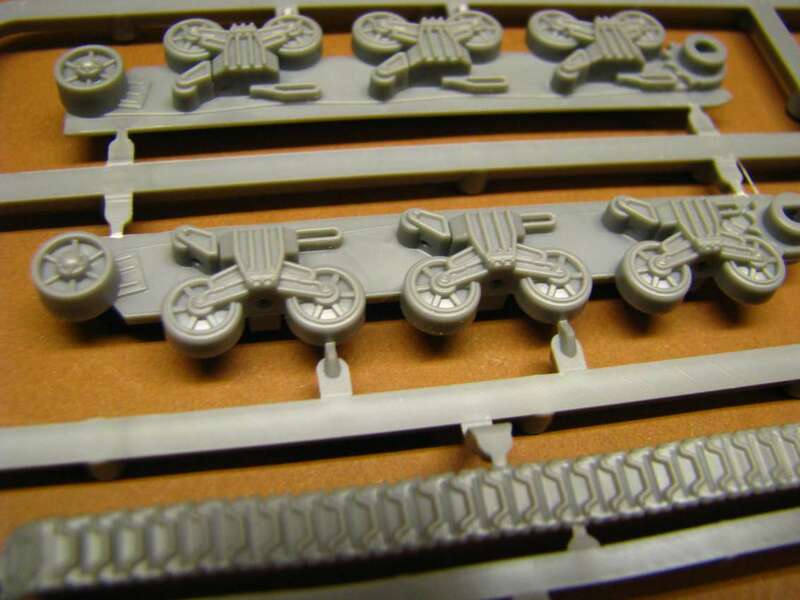 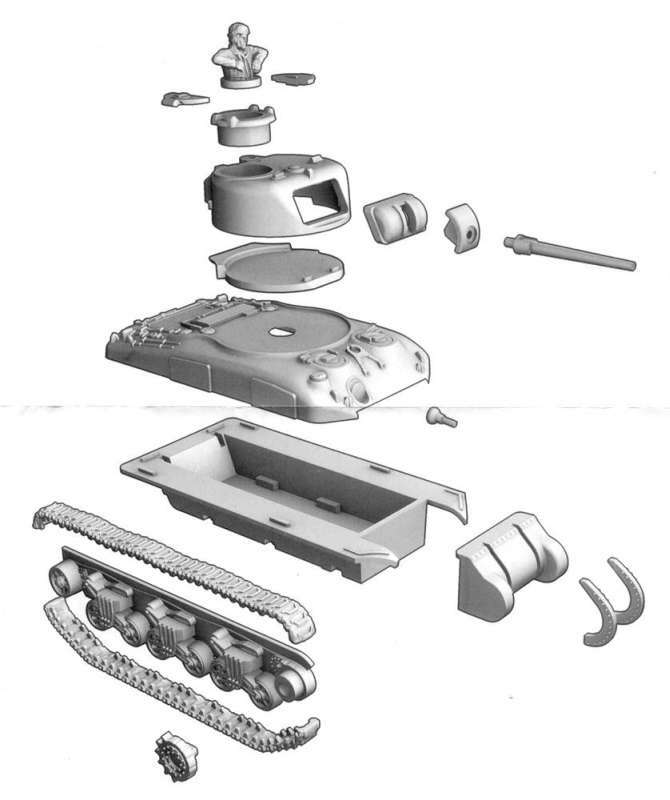 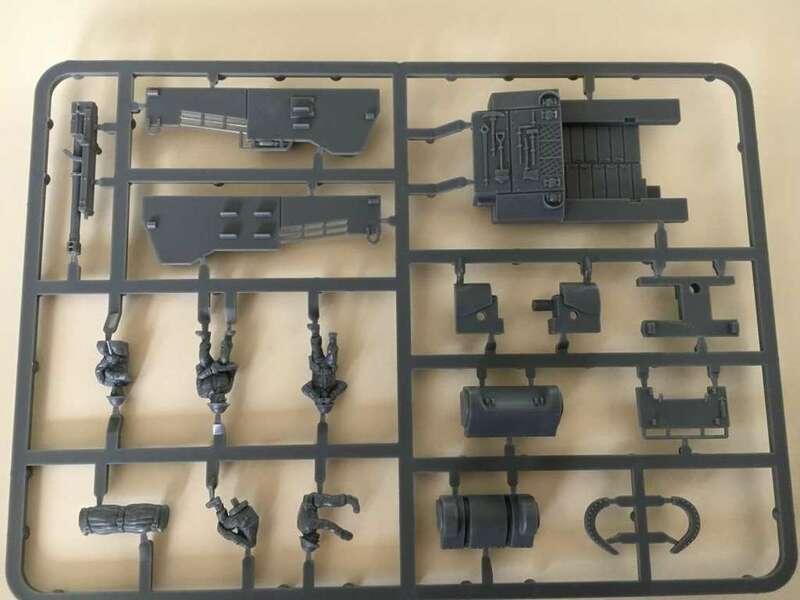 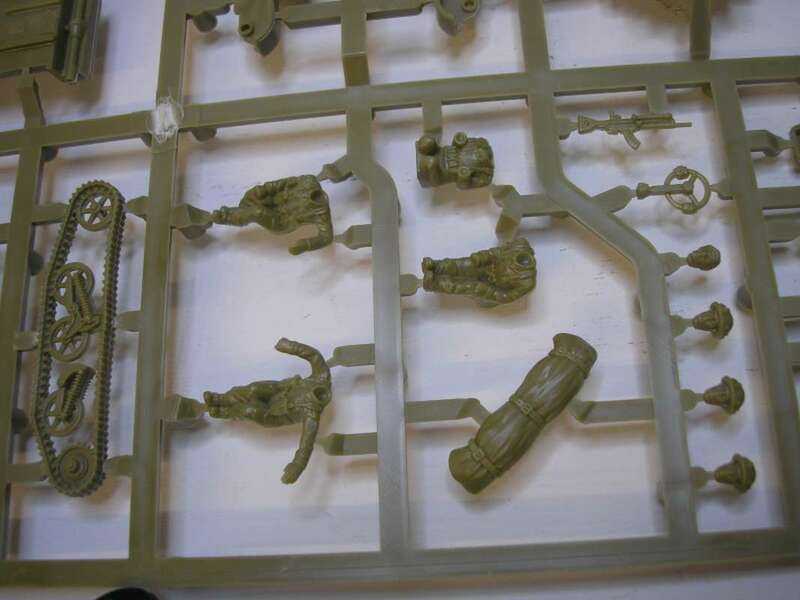 Each gun sprue has options to build either a British or US M1 variant. 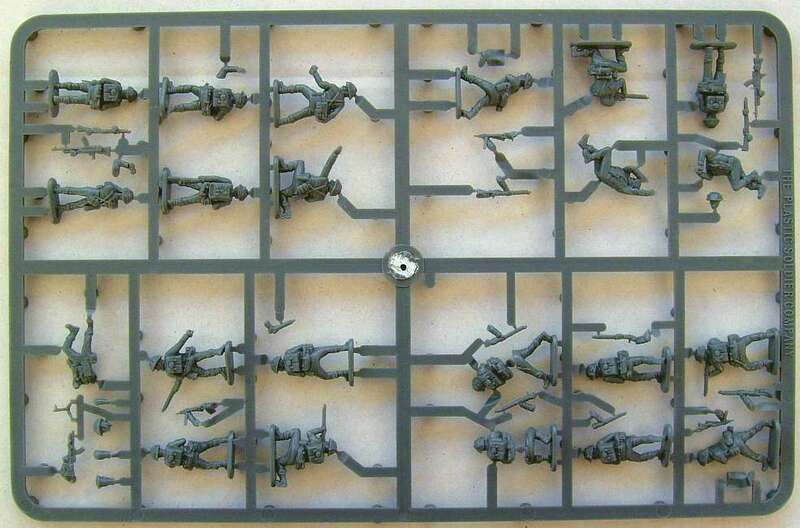 2 guns, 12 British crew figures and 2 Loyd carriers in the box. 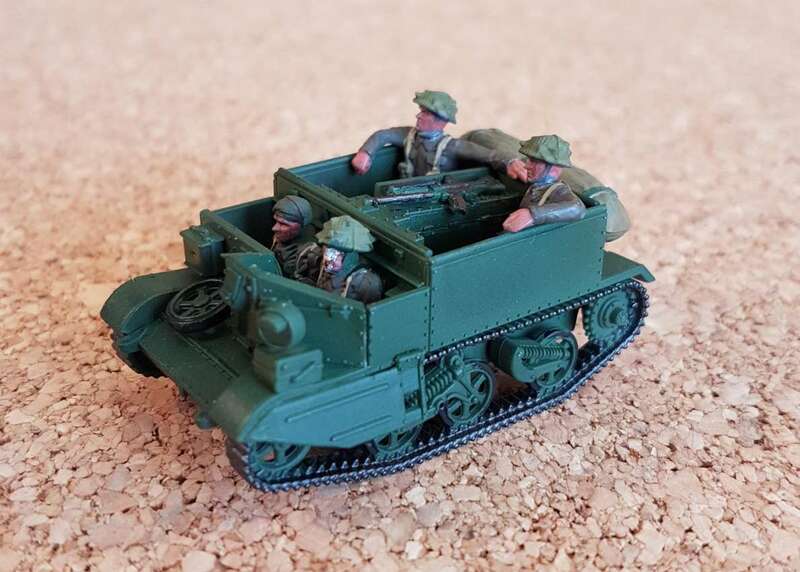 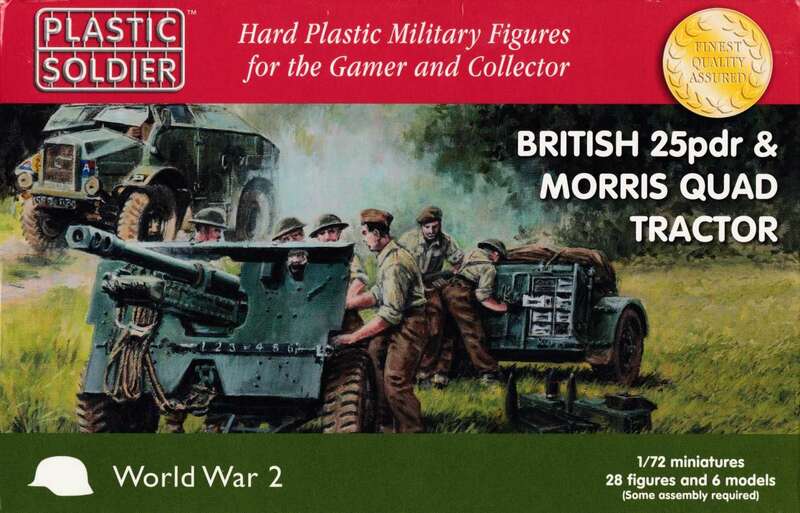 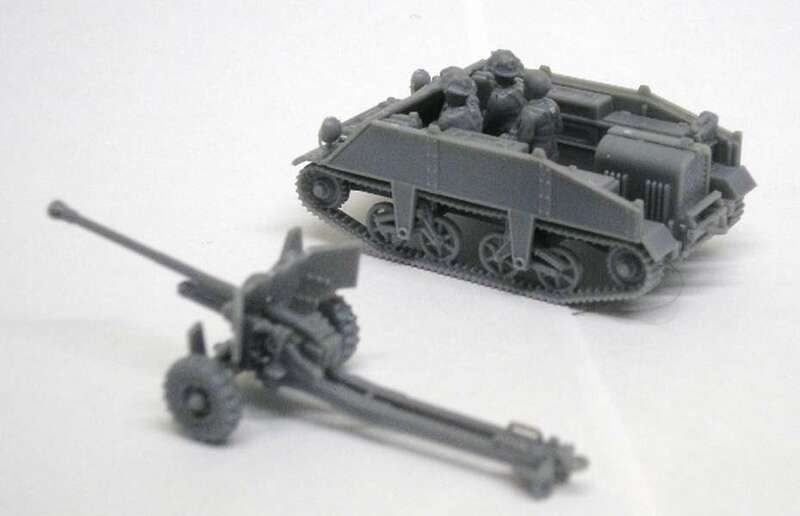 Kit WW2G20006 - British 25 pdr field gun with Quad Tractor. 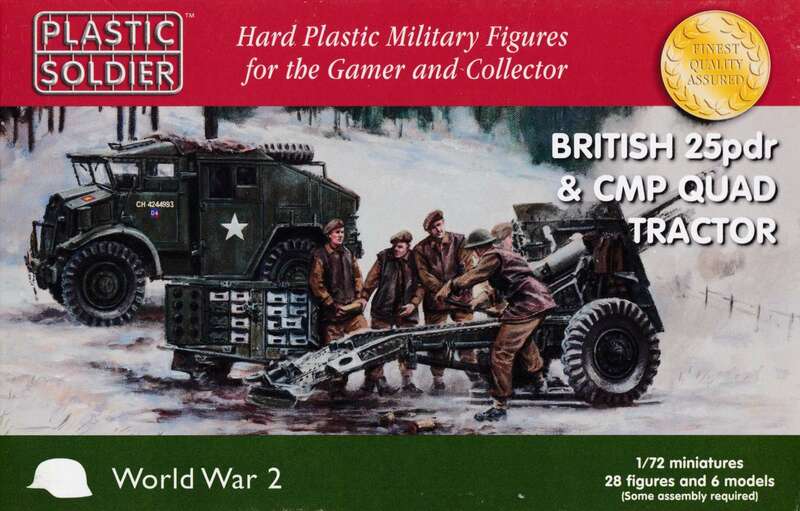 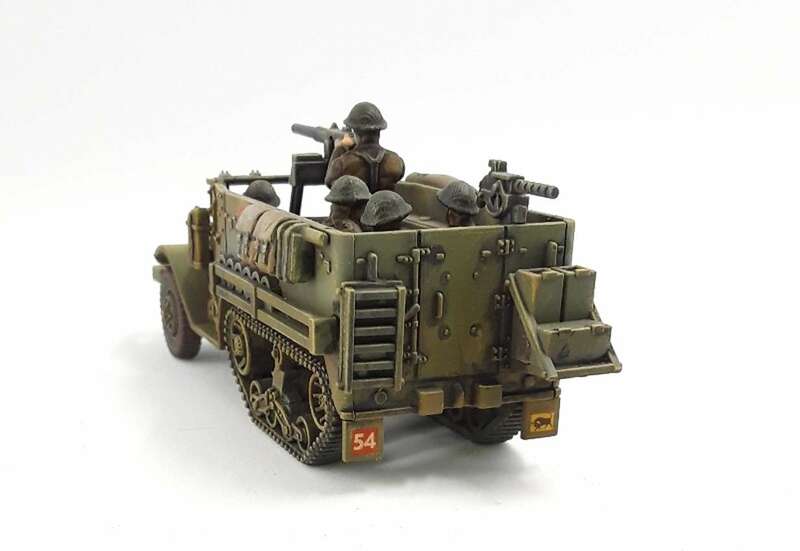 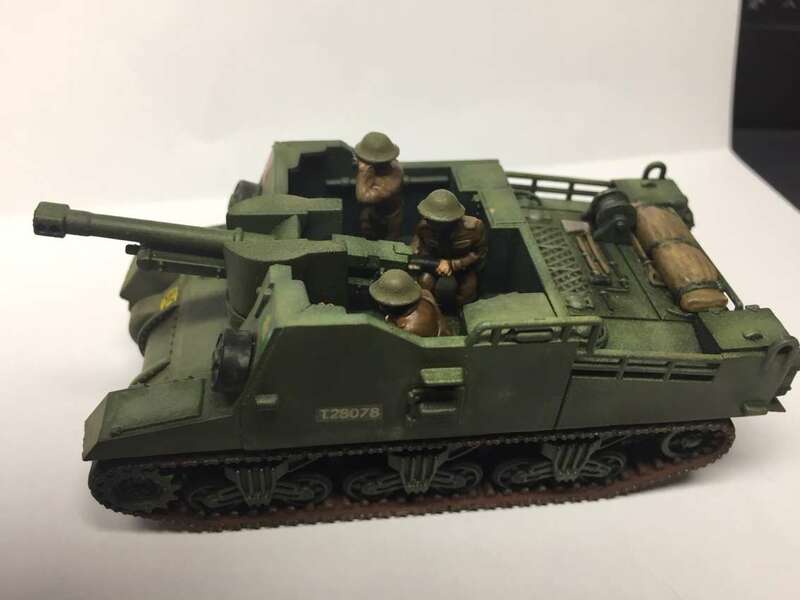 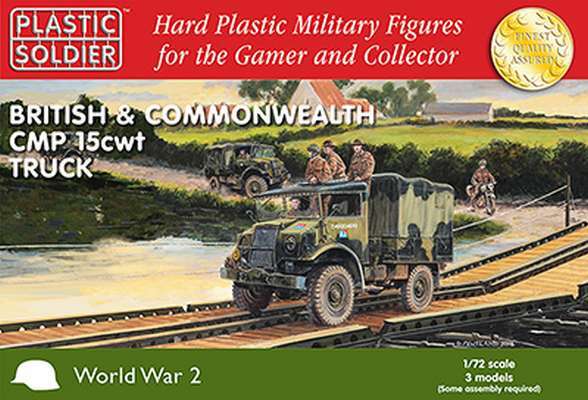 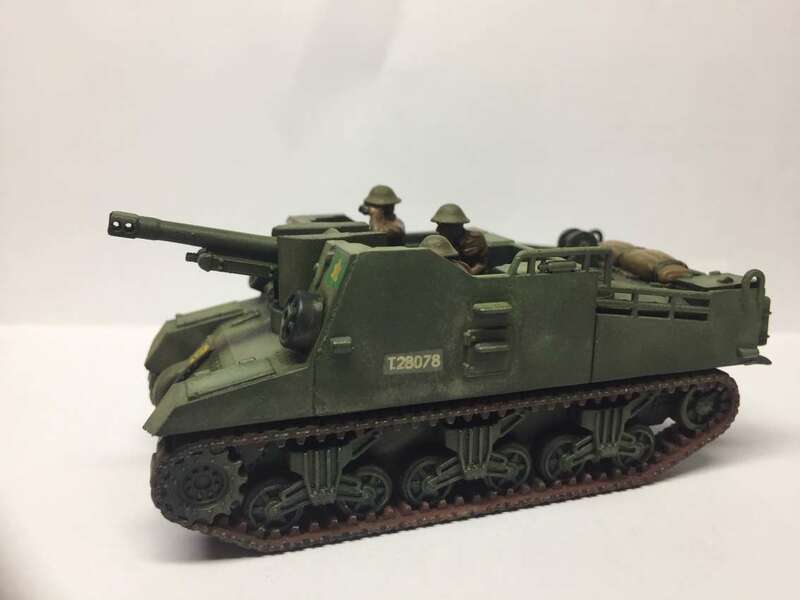 2 -North West Europe crews"
Comments by Larry Hayward about the PSC Chevrolet CMP 15 cwt Truck and their CMP Field Artillery Tractor & 25 Pdr Gun. 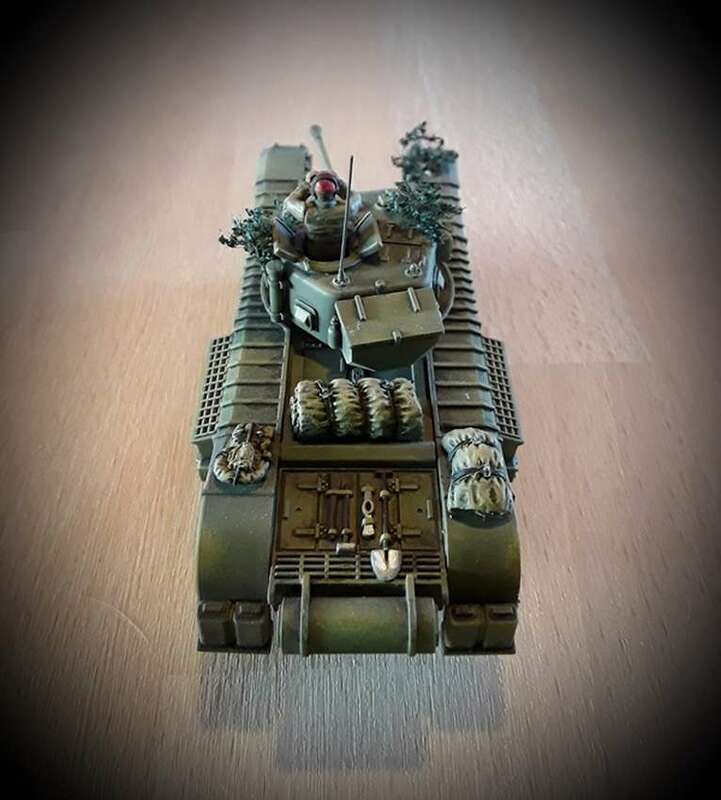 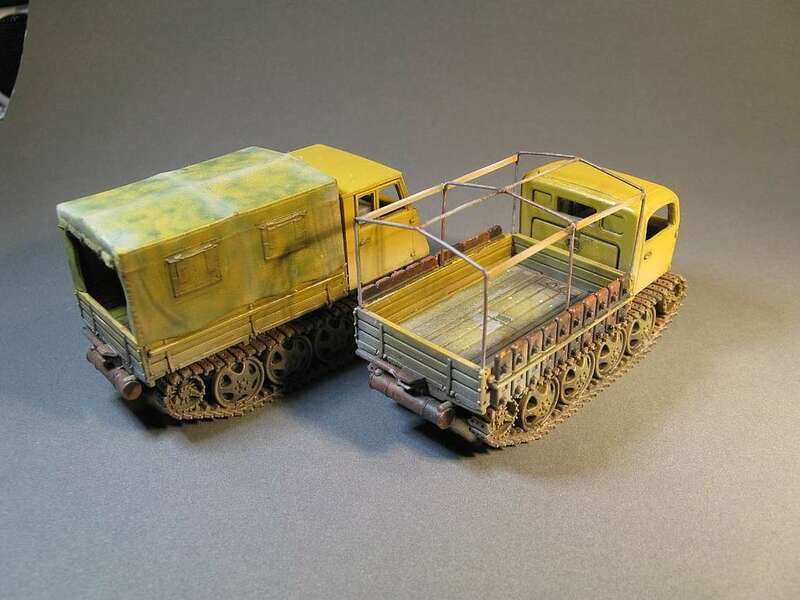 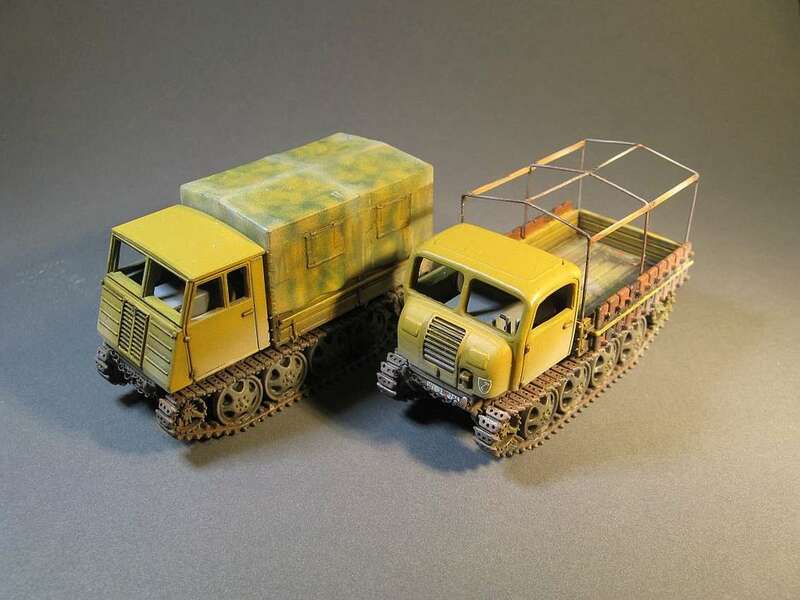 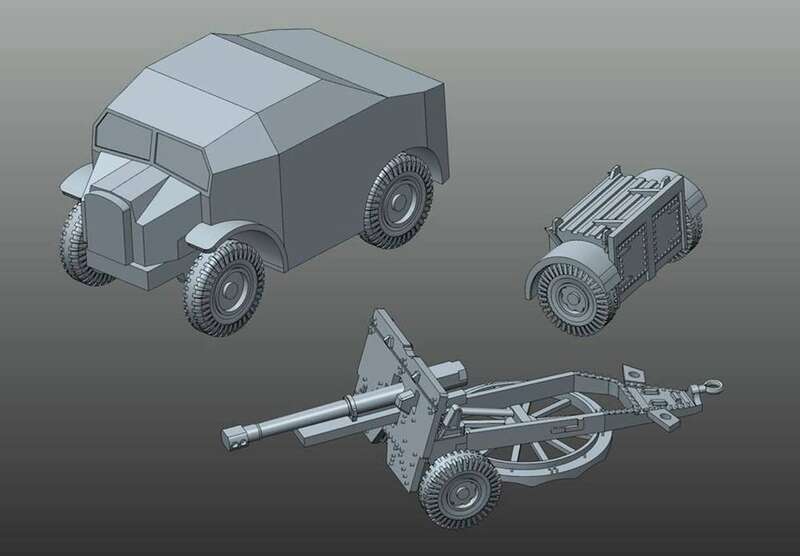 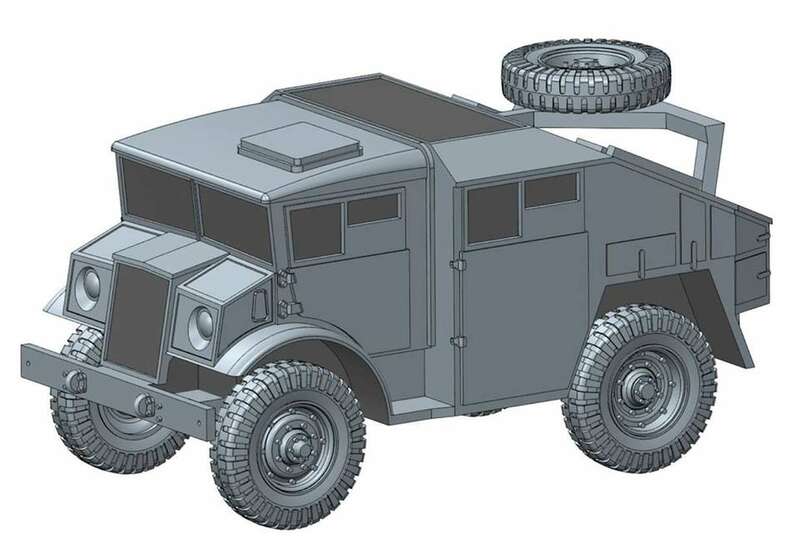 - Sadly the wheels in the CMP Truck kit are too large so mine has replacements from CMK but in turn the CMP Truck wheels were then used on the CMP Field Artillery Tractor as the FAT kit wheels were also far too big! 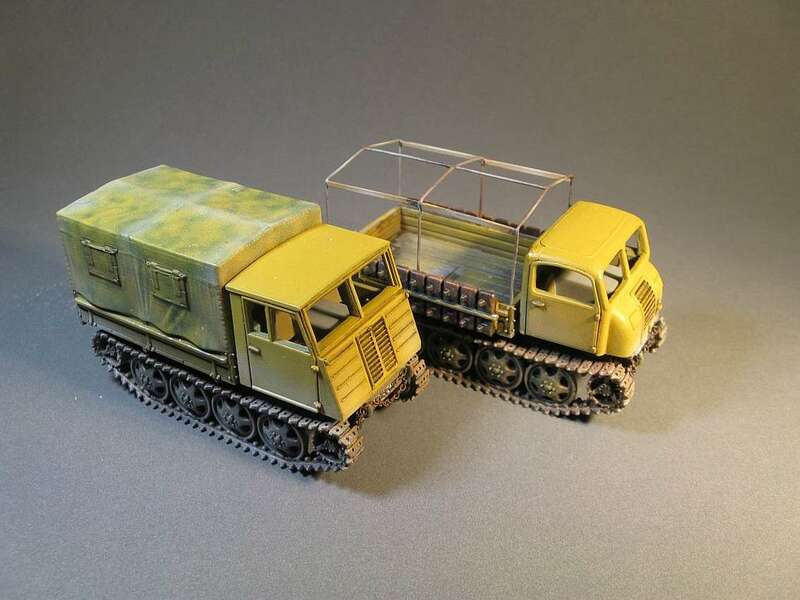 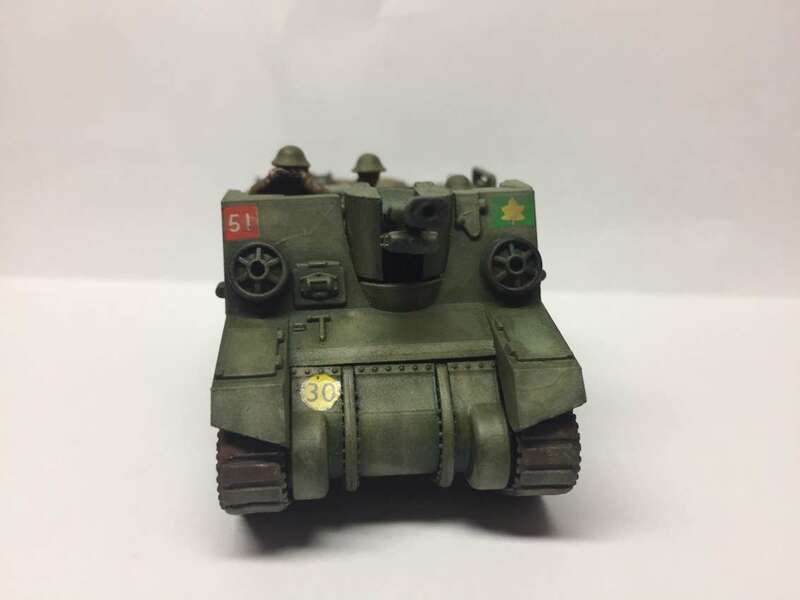 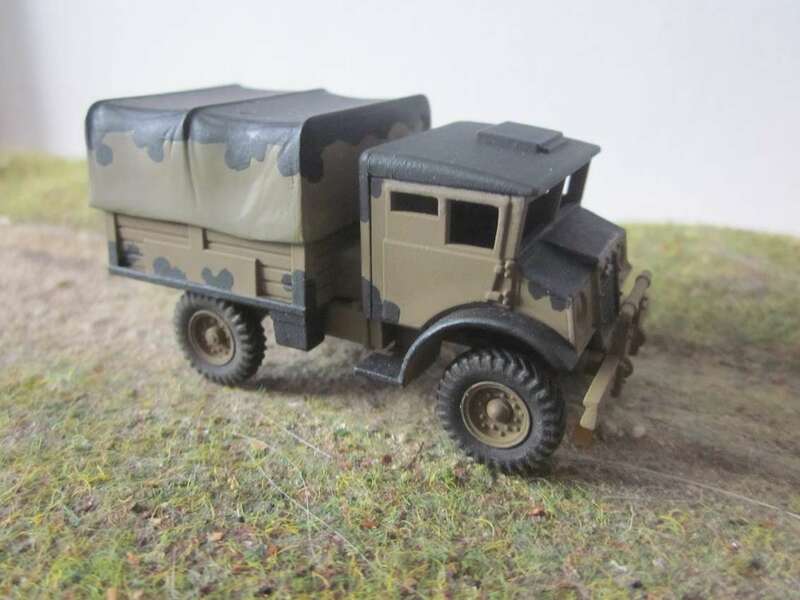 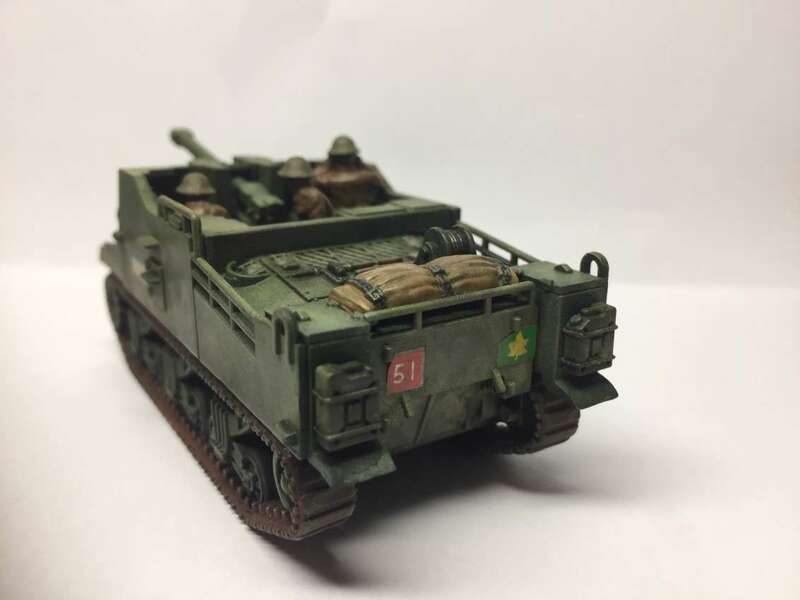 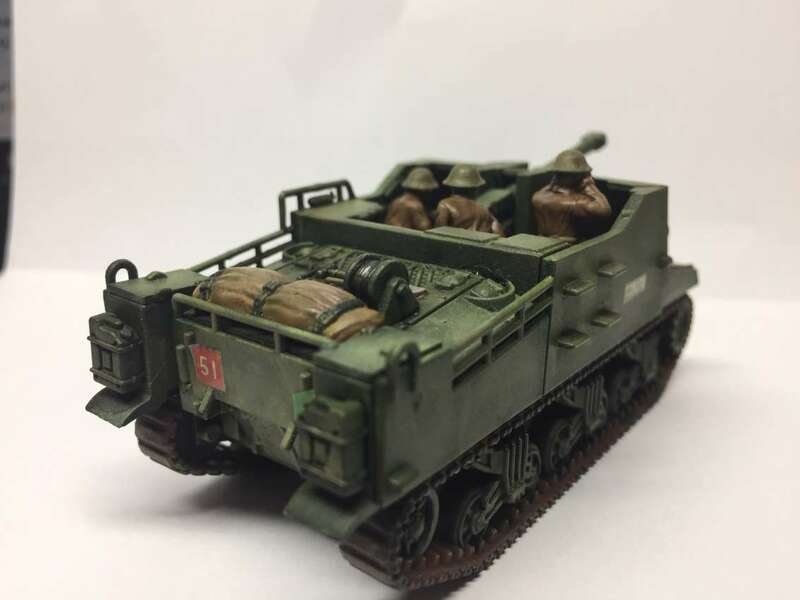 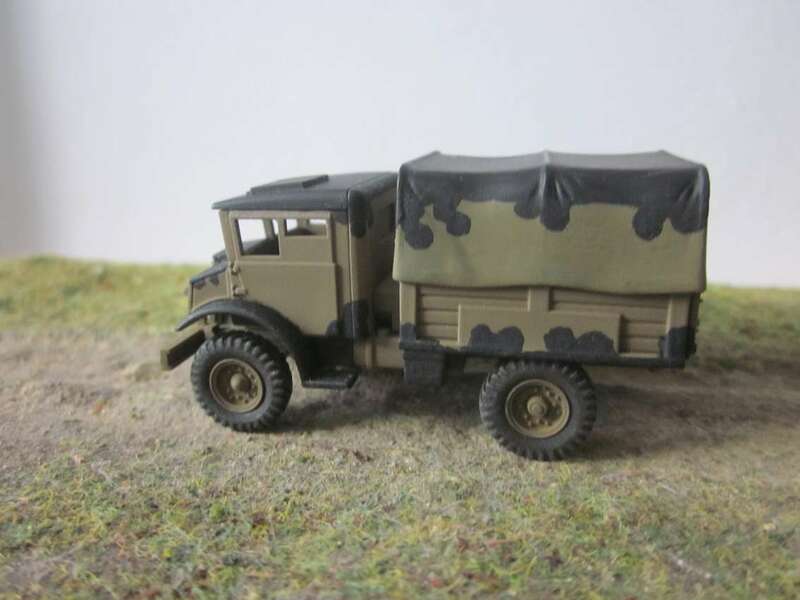 - Despite the PSC box top for the CMP 15 cwt Truck showing vehicles with a roof hatch done, which came with the kit so I used the spare roof in the Field Artillery Tractor (FAT) kit to make one. 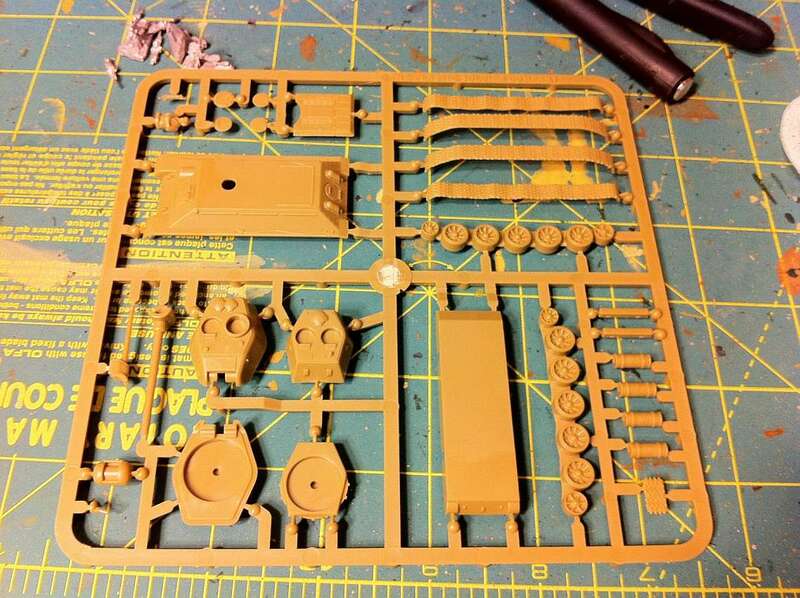 - PSC have also give these kits a Chevrolet badge but the axles are completely wrong and nothing like the Ford versions either! 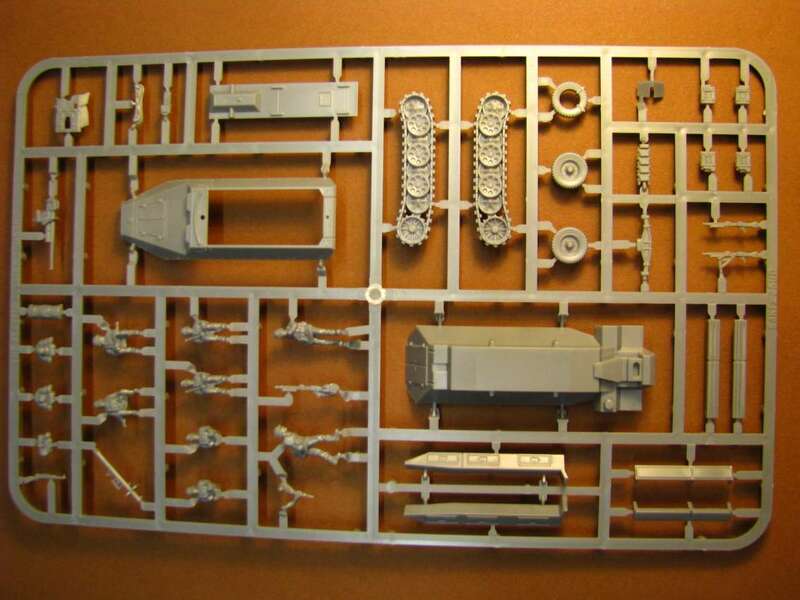 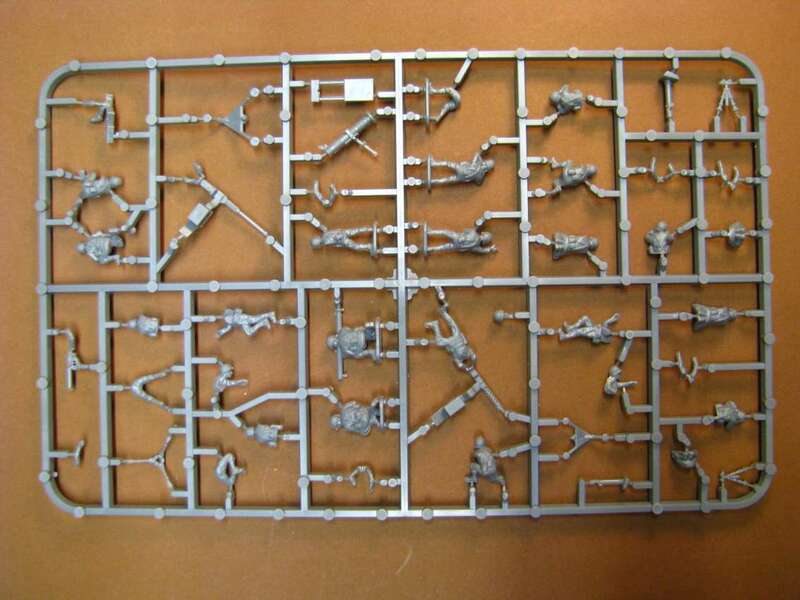 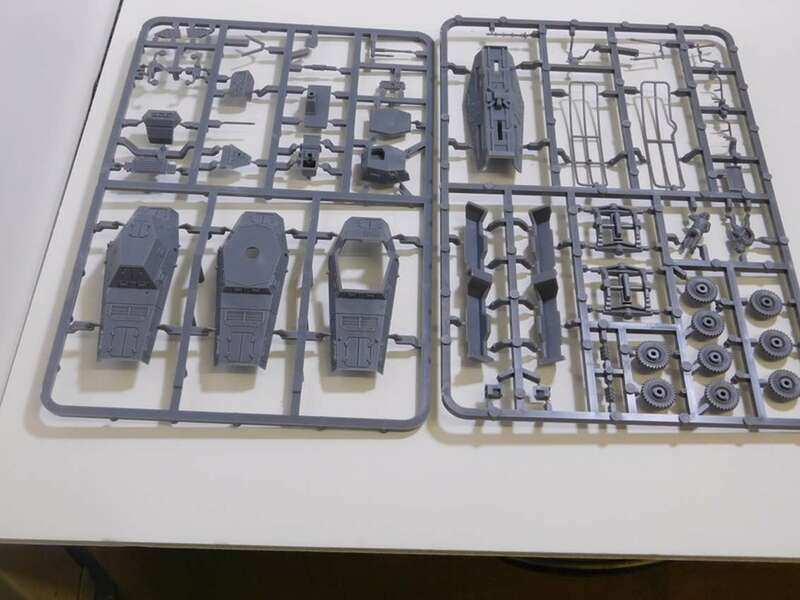 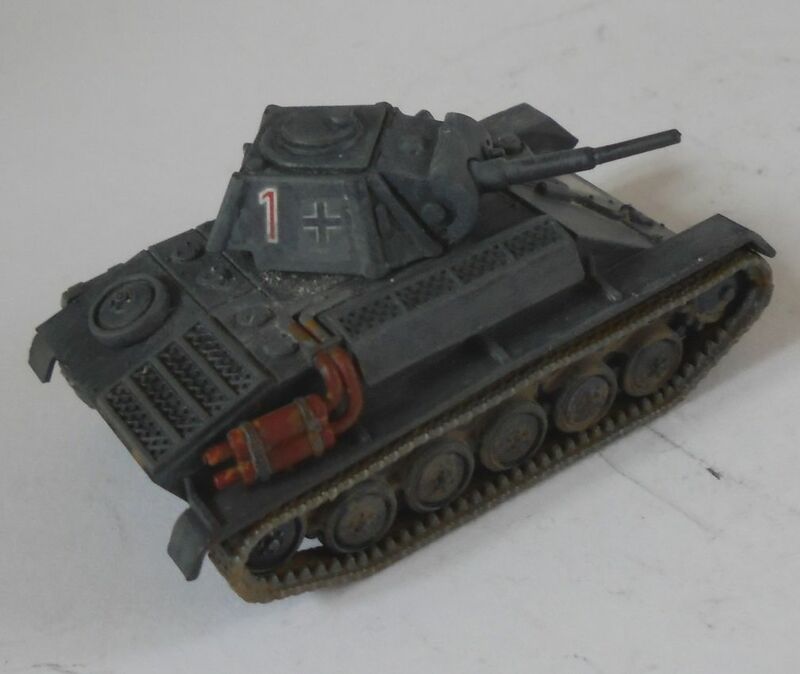 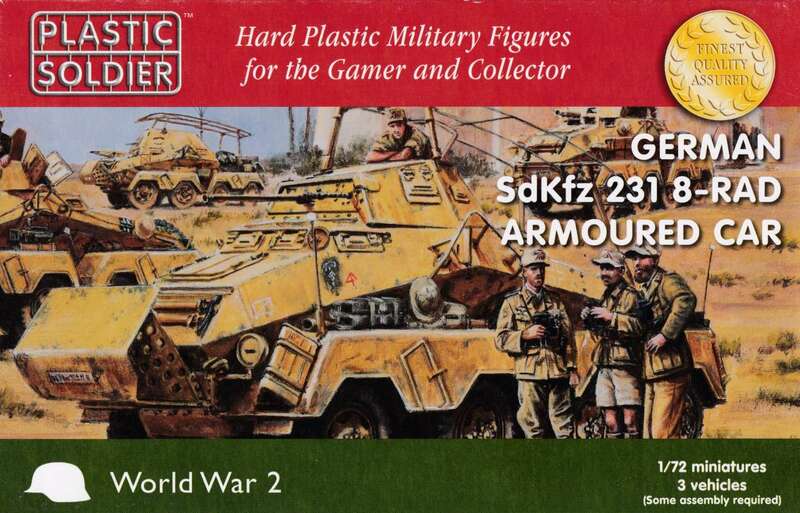 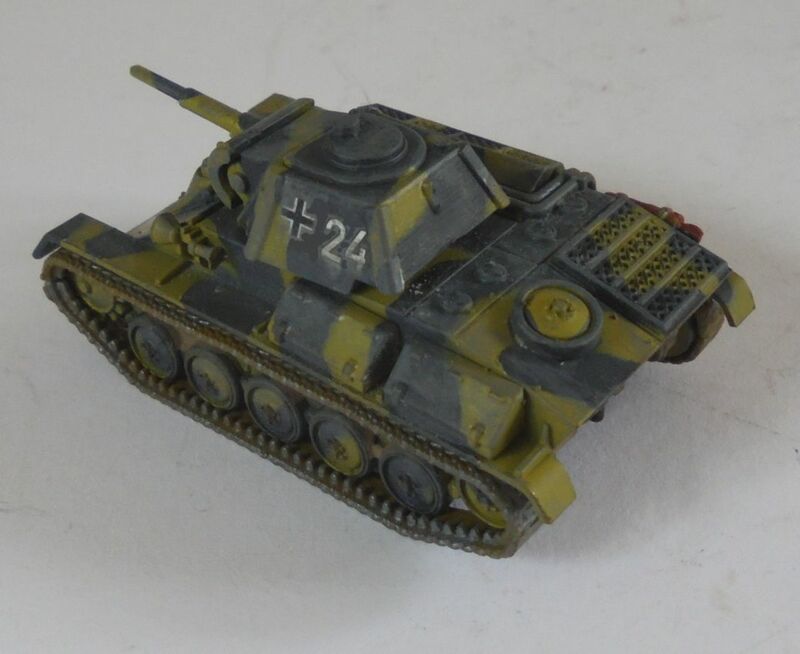 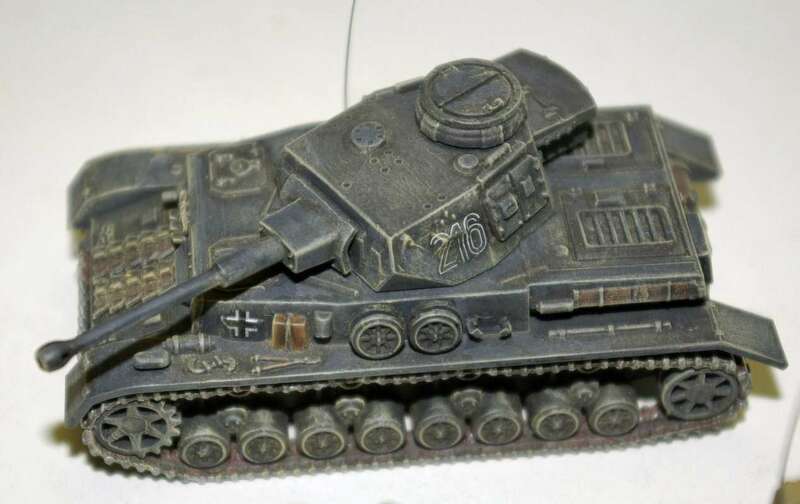 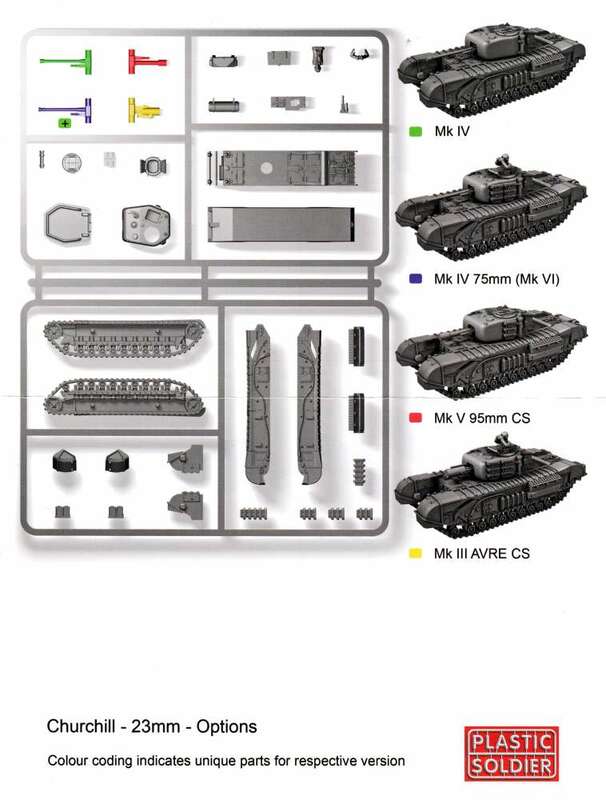 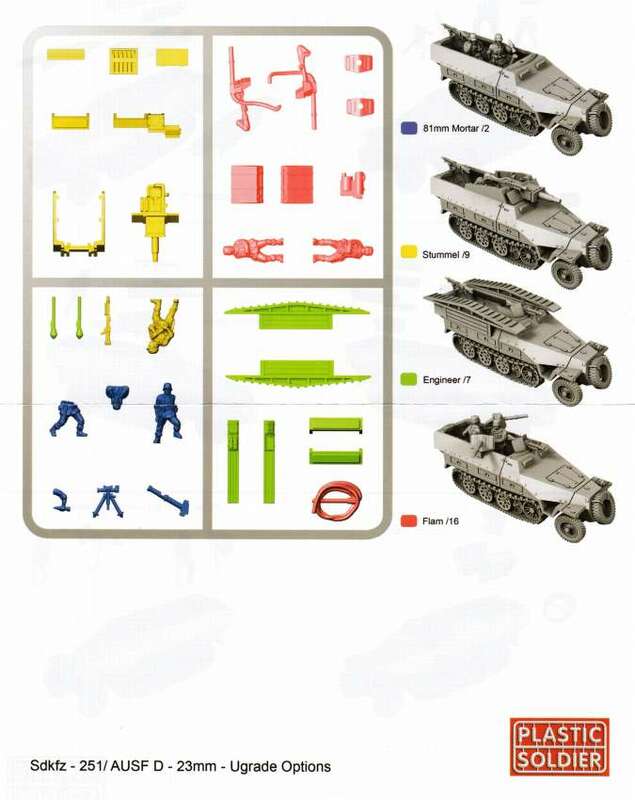 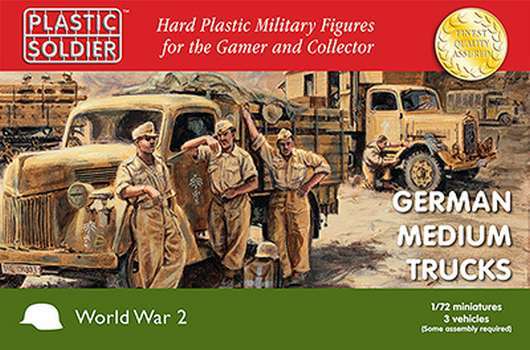 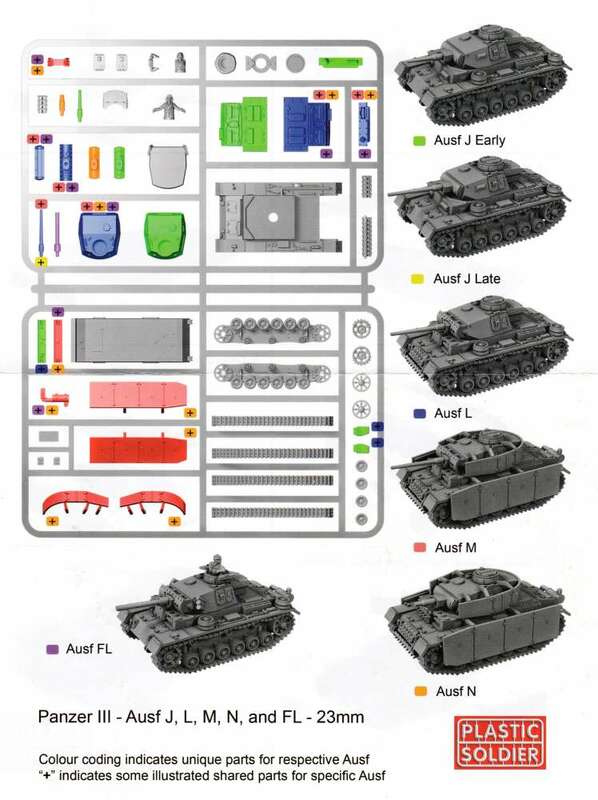 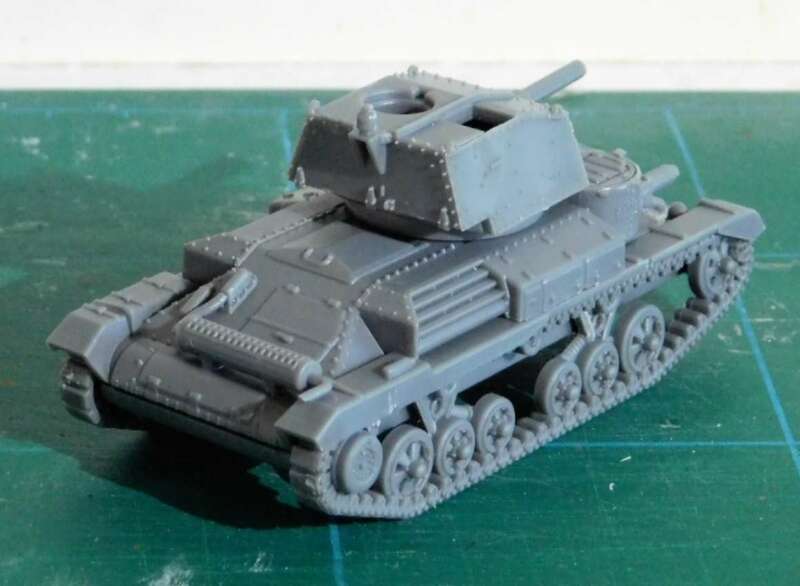 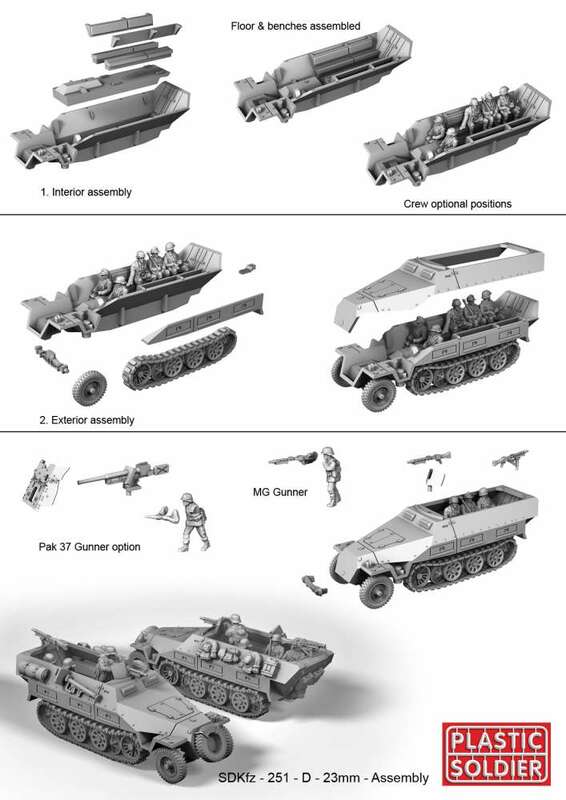 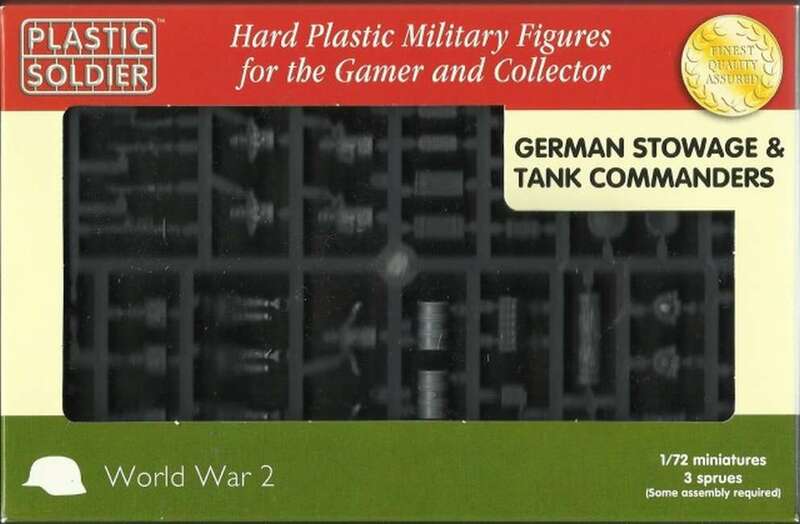 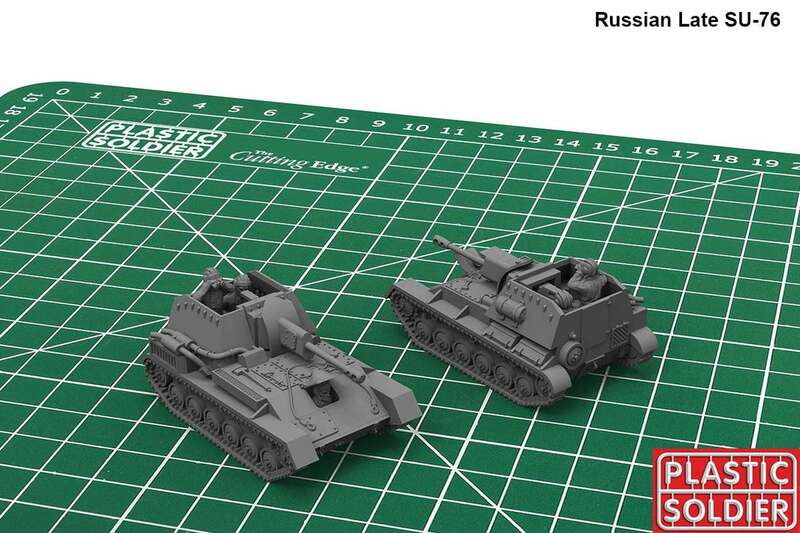 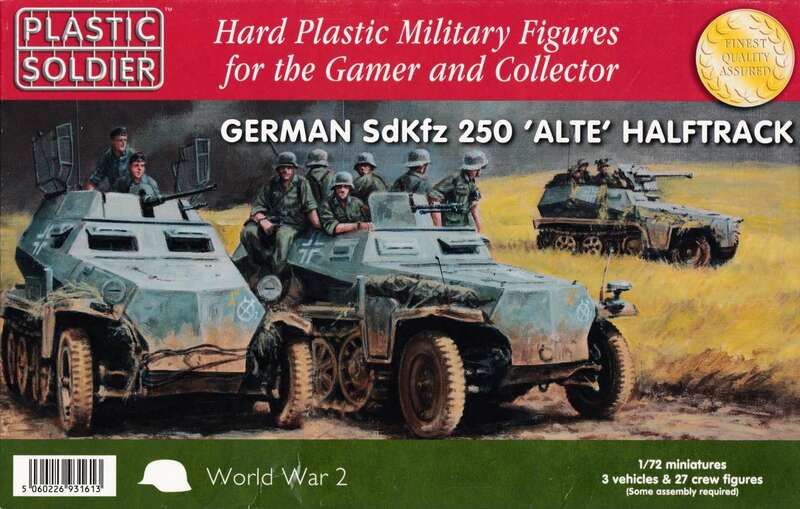 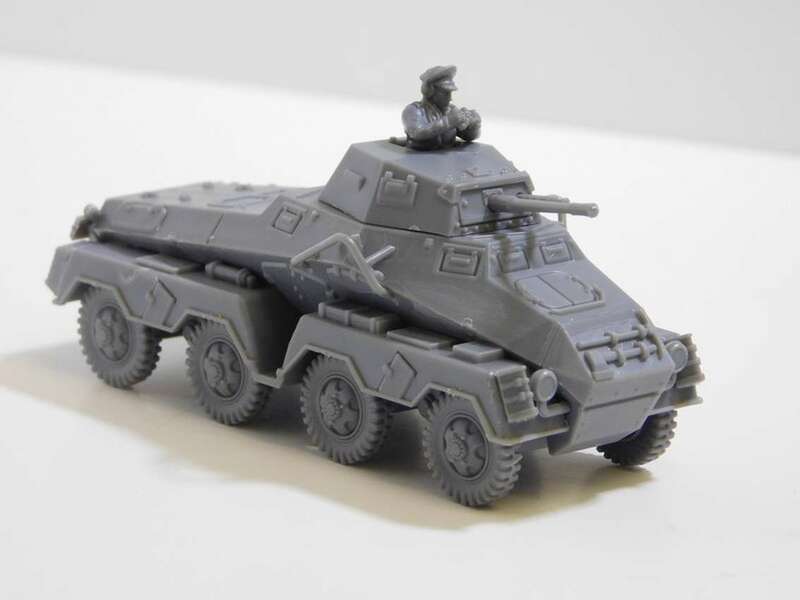 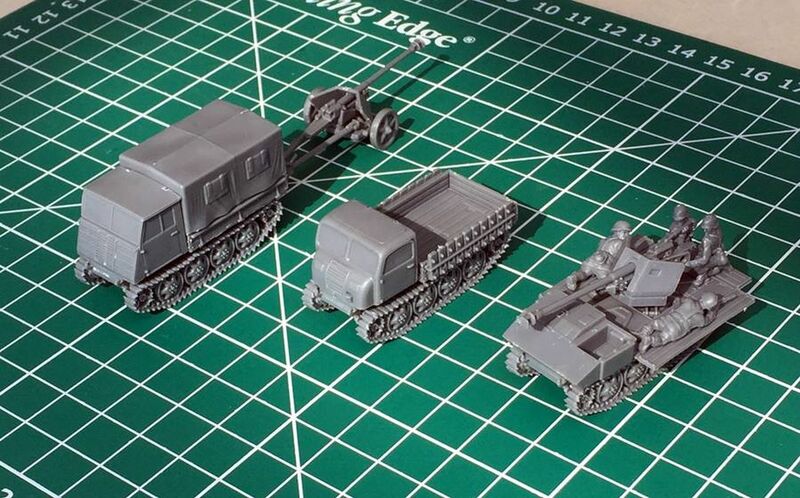 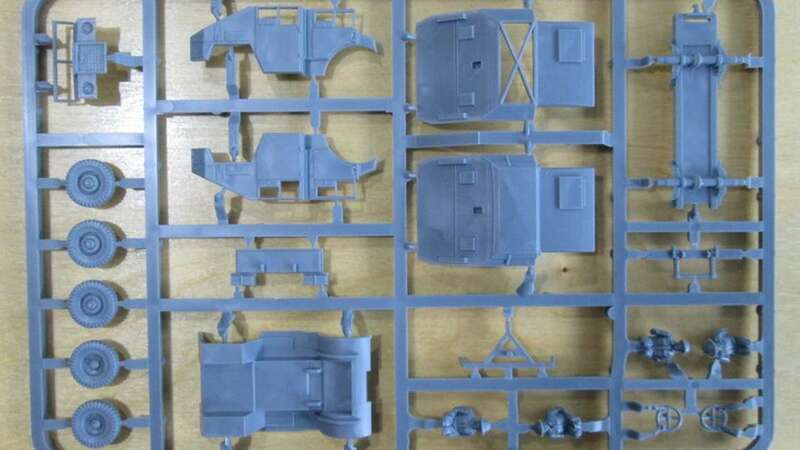 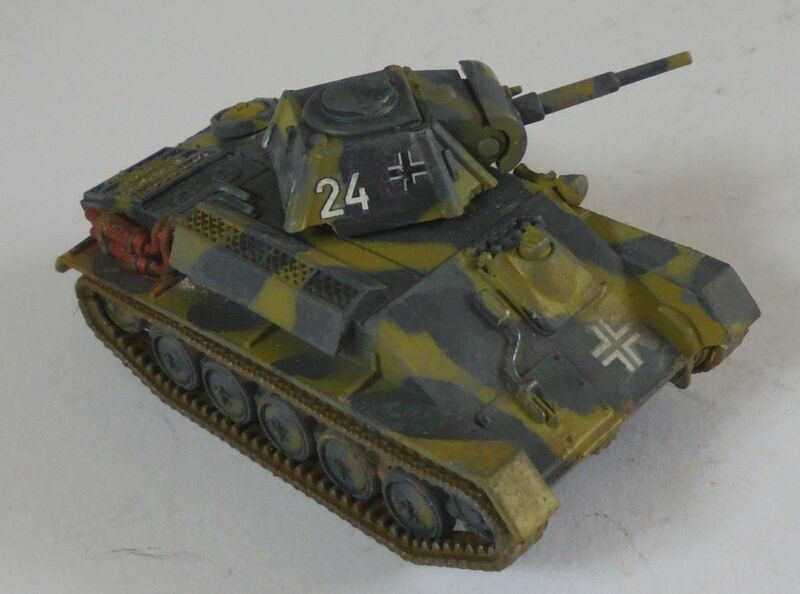 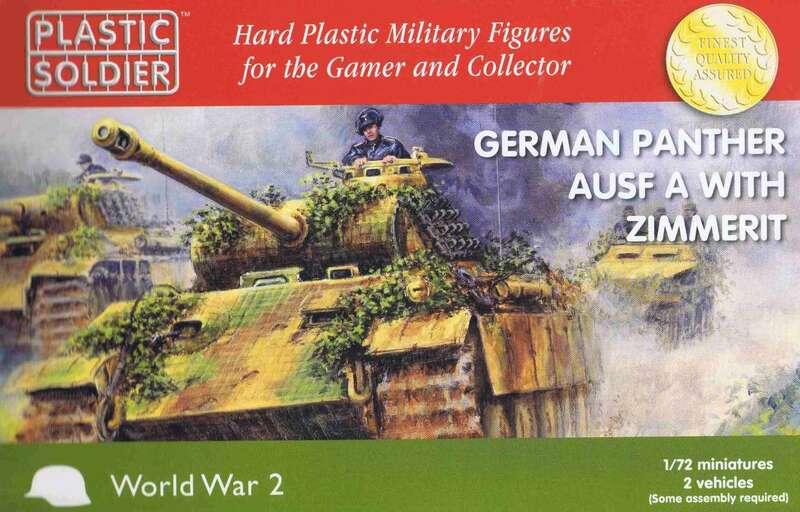 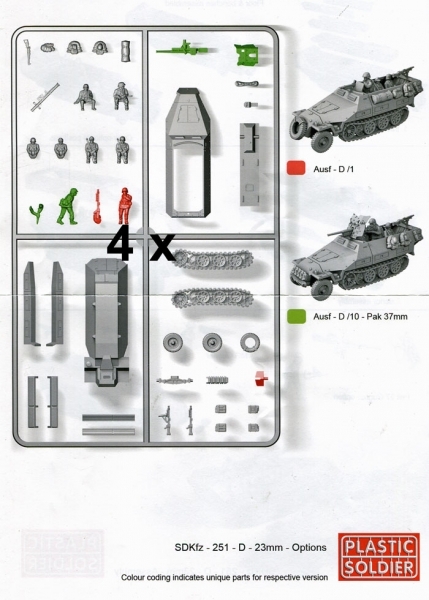 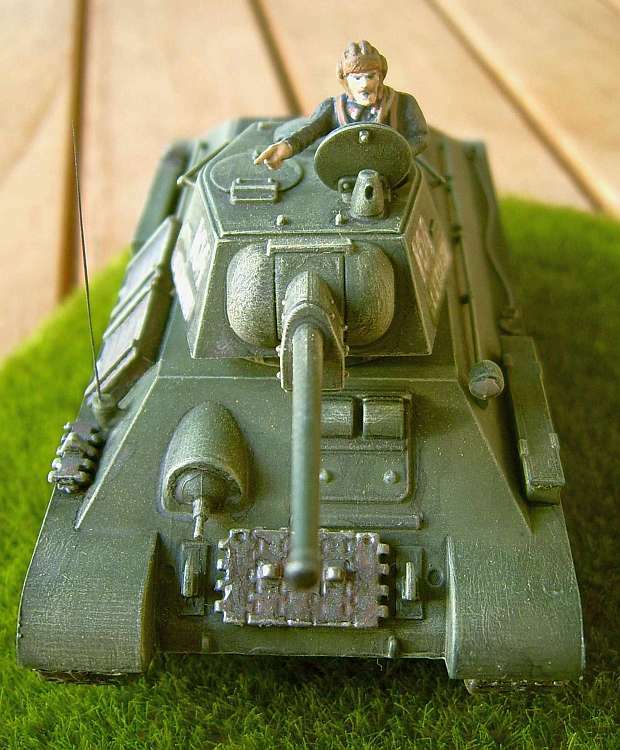 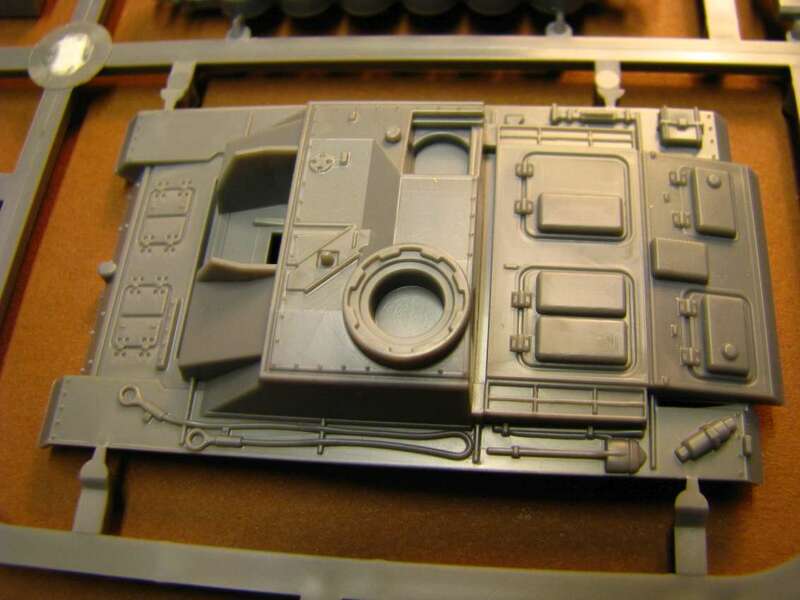 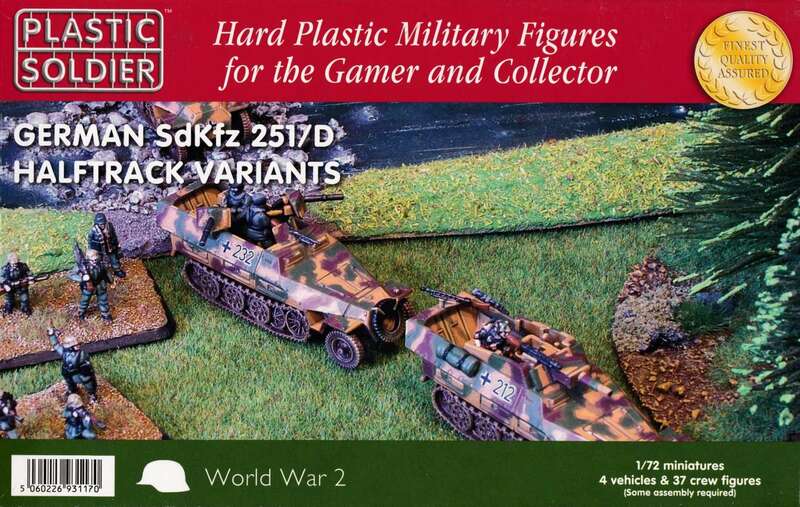 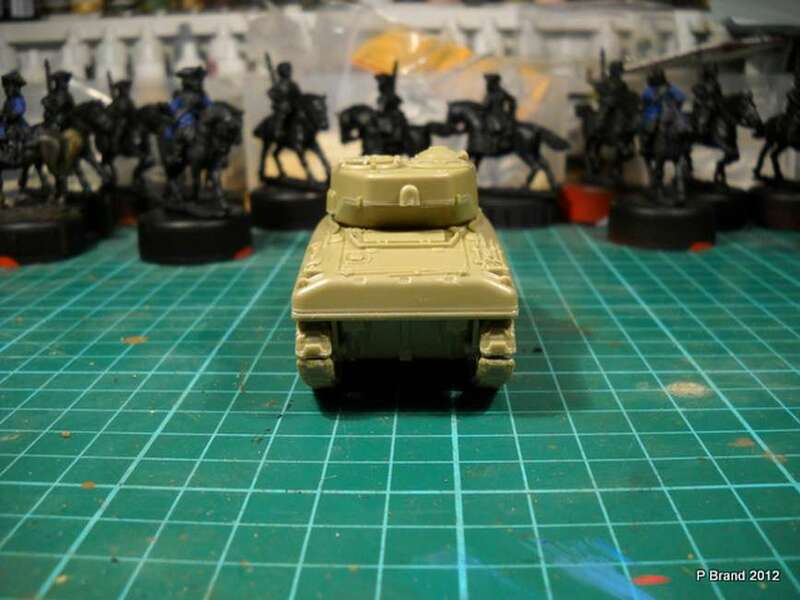 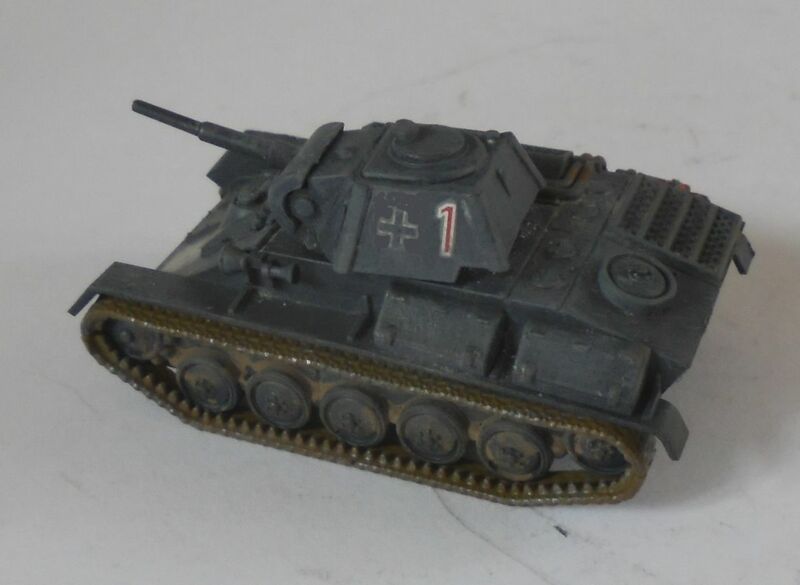 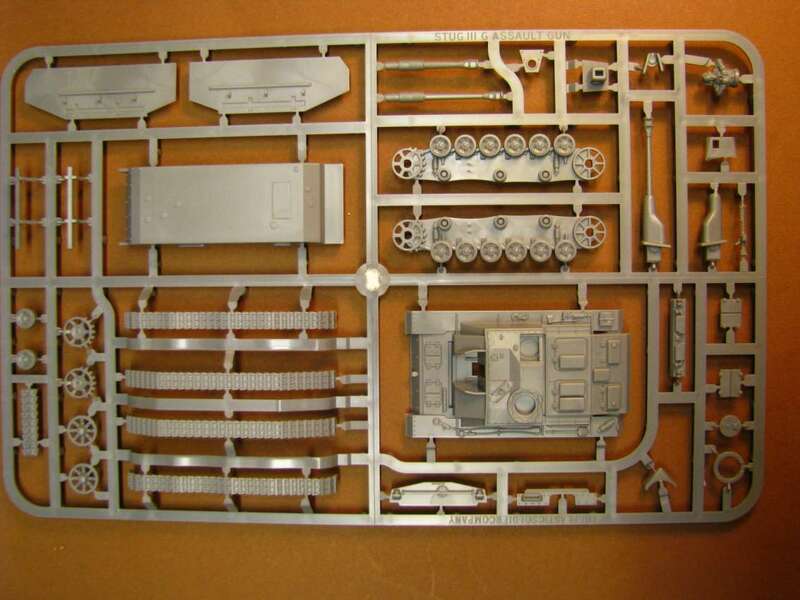 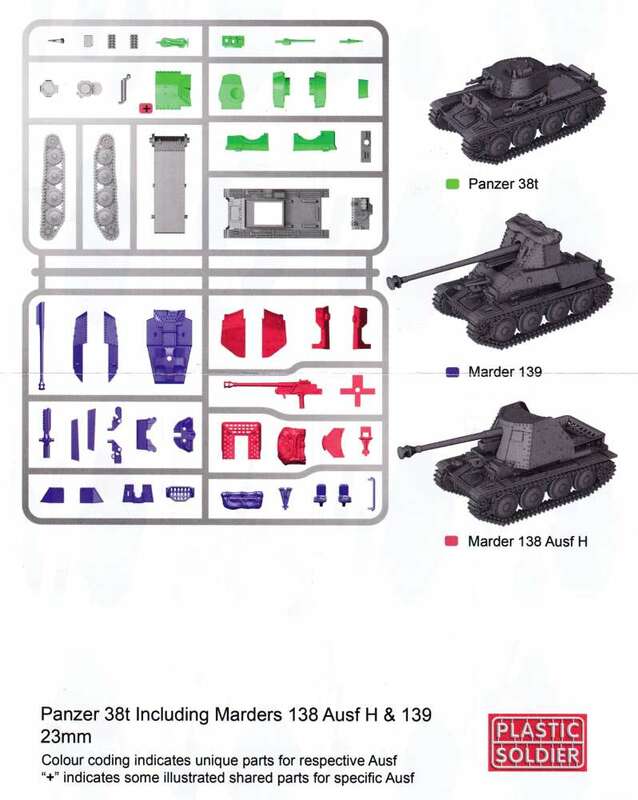 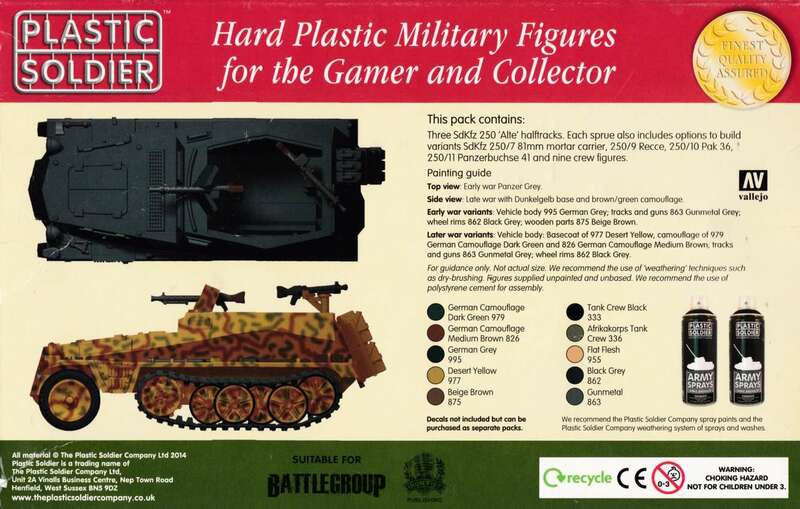 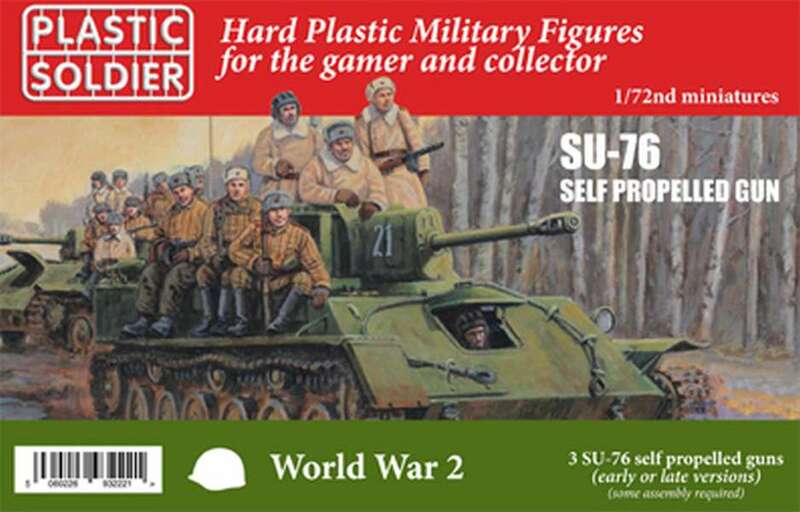 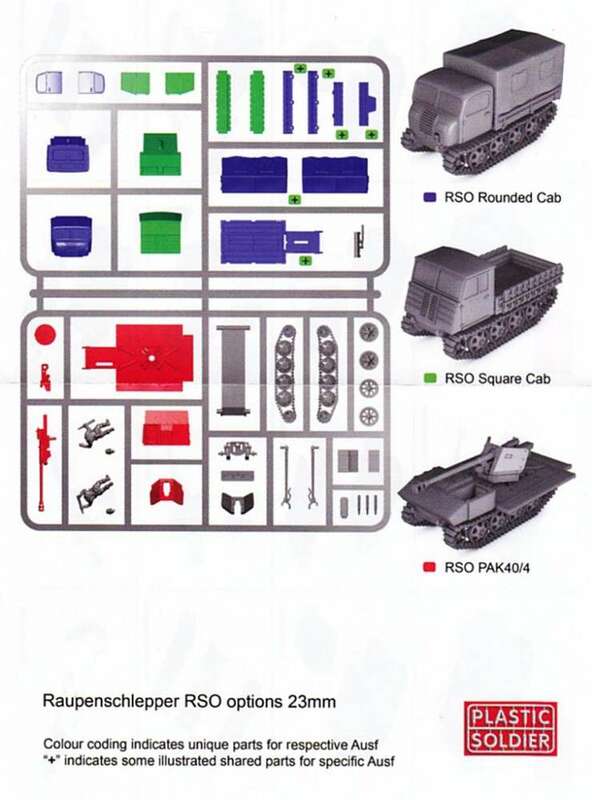 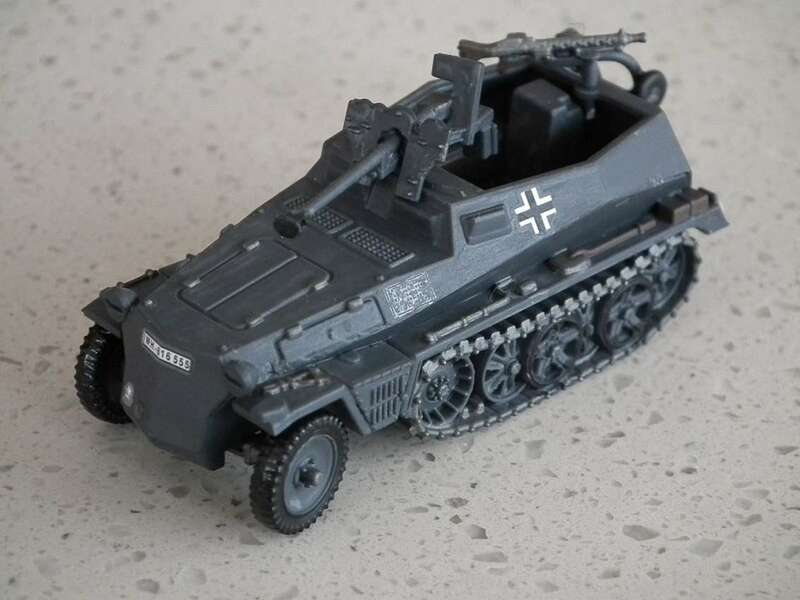 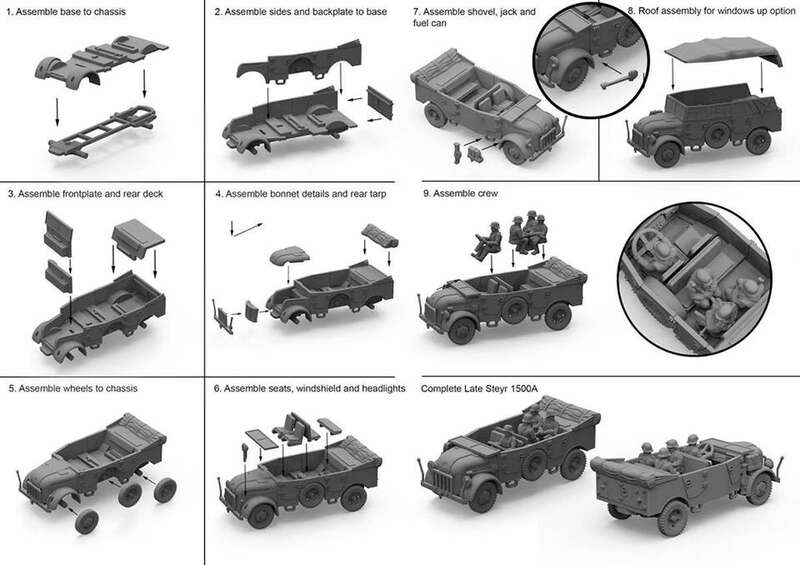 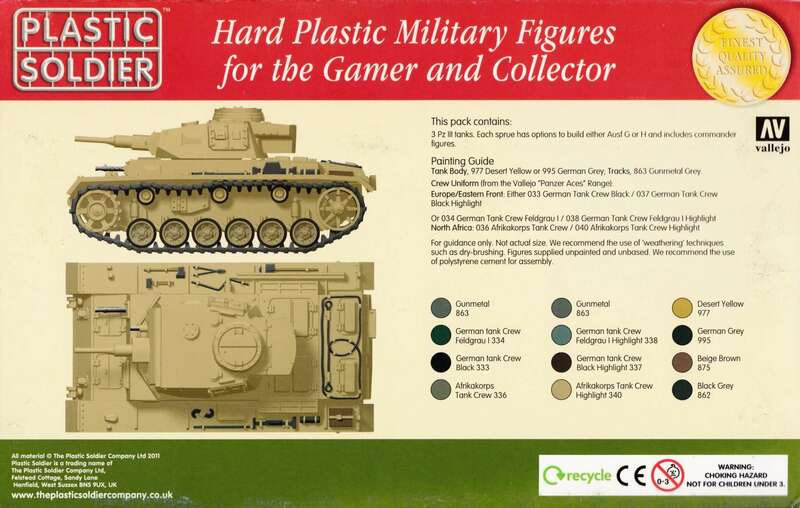 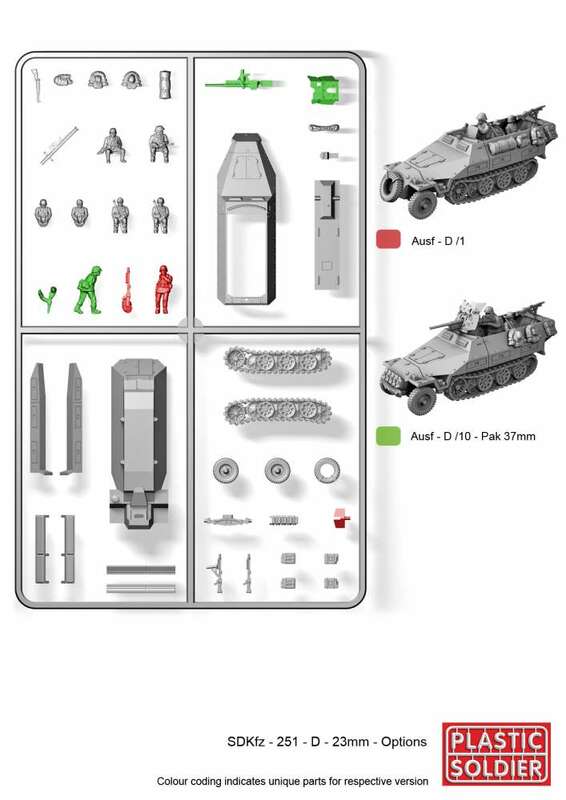 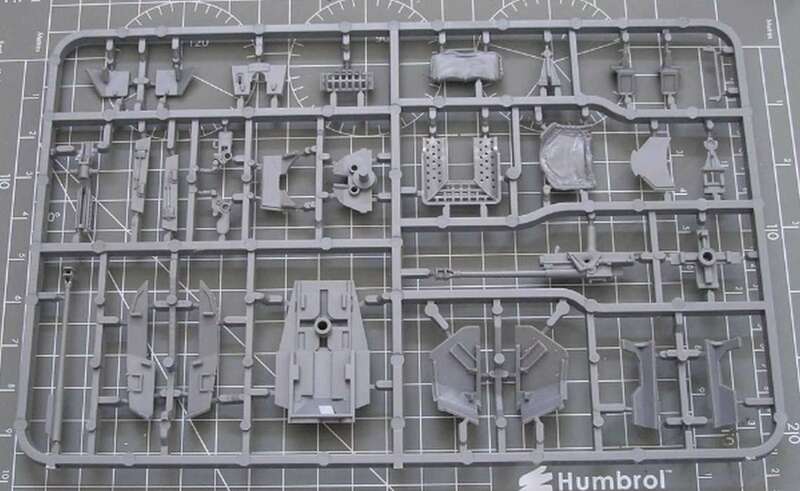 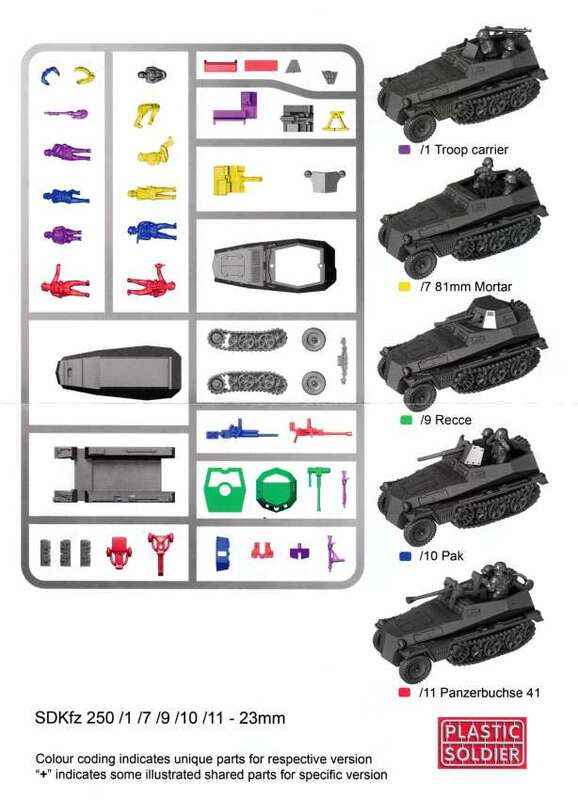 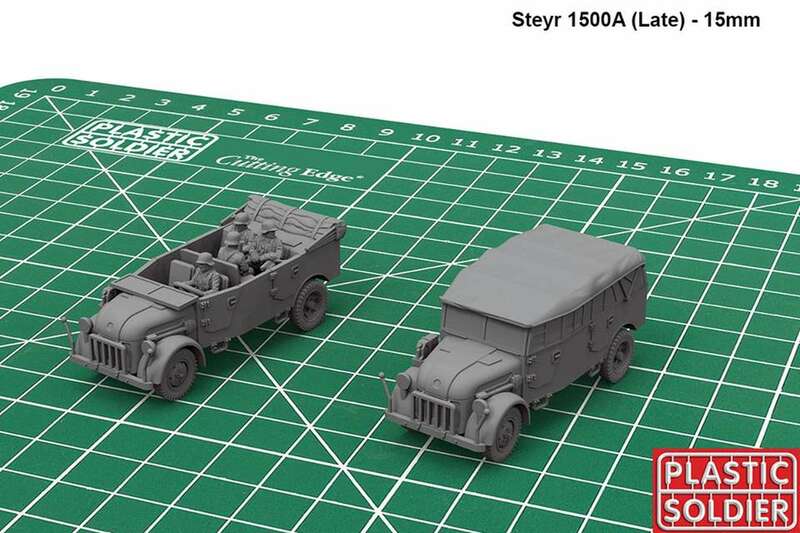 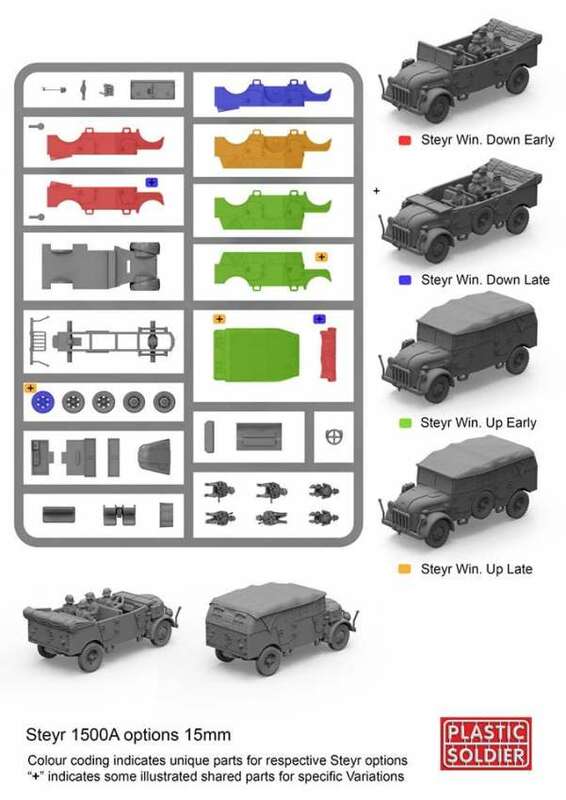 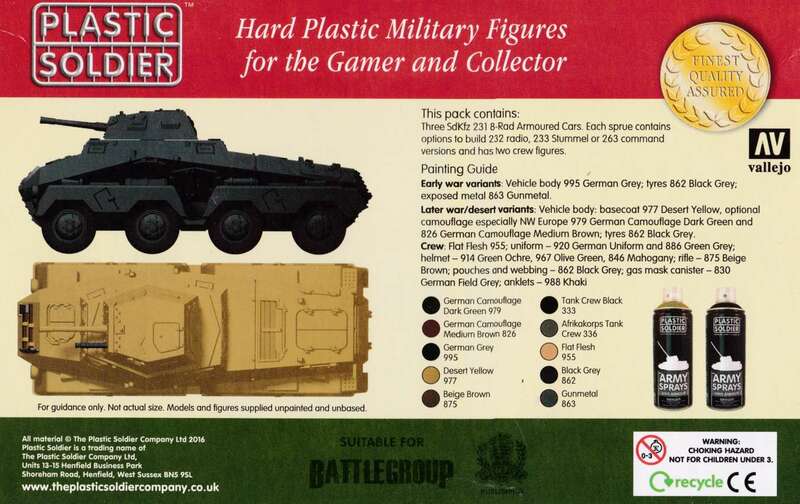 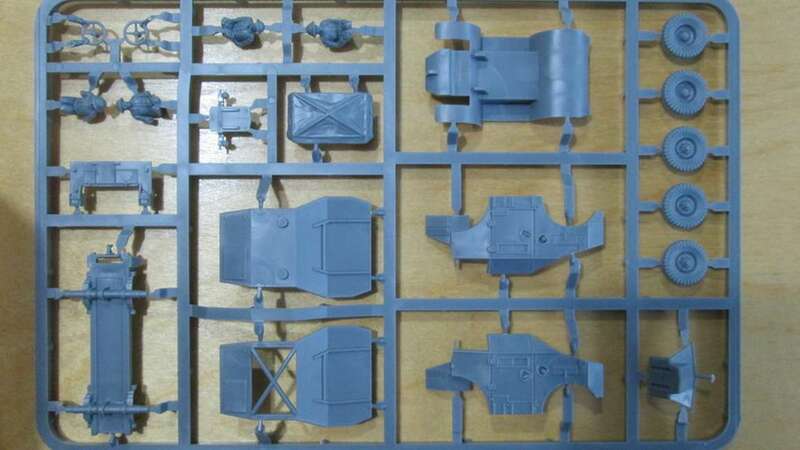 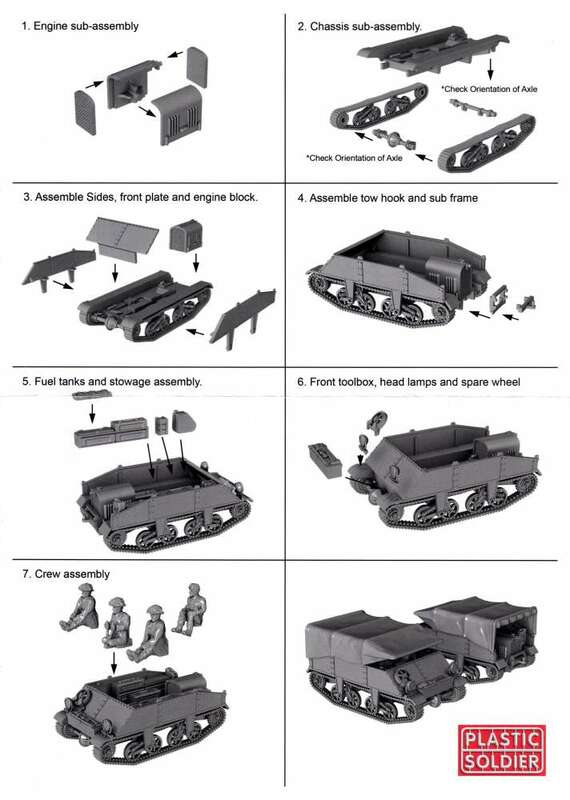 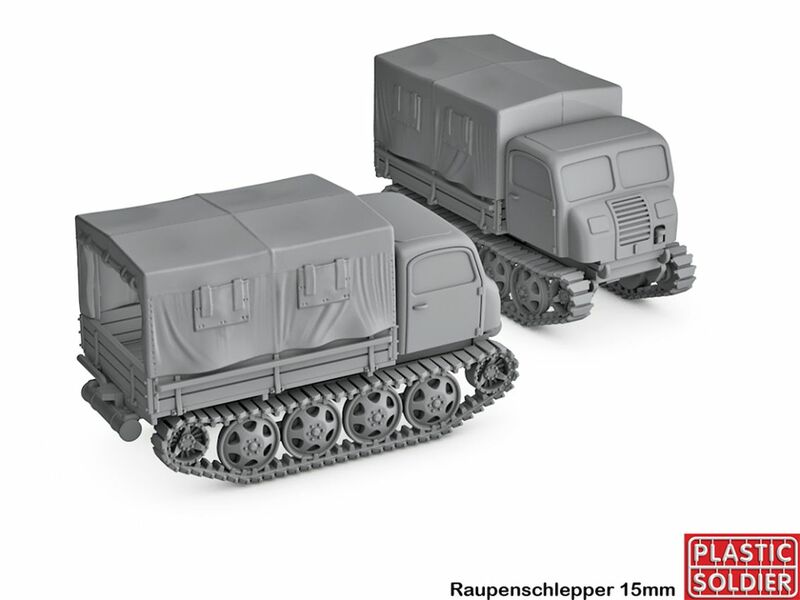 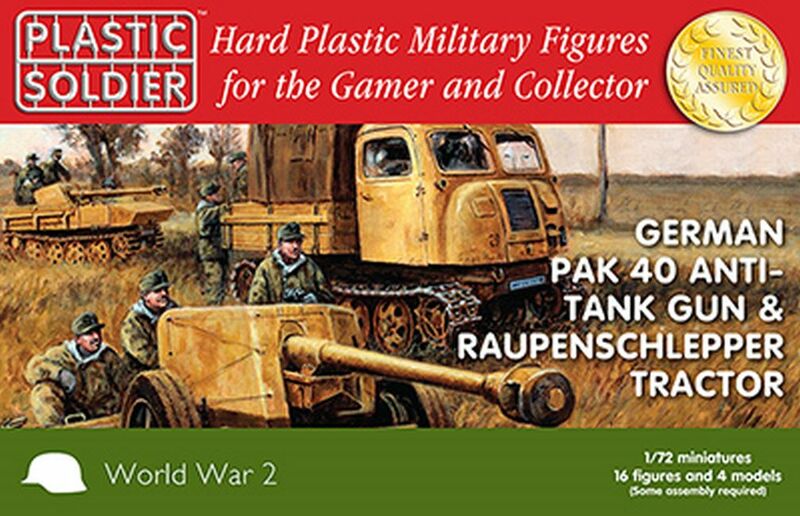 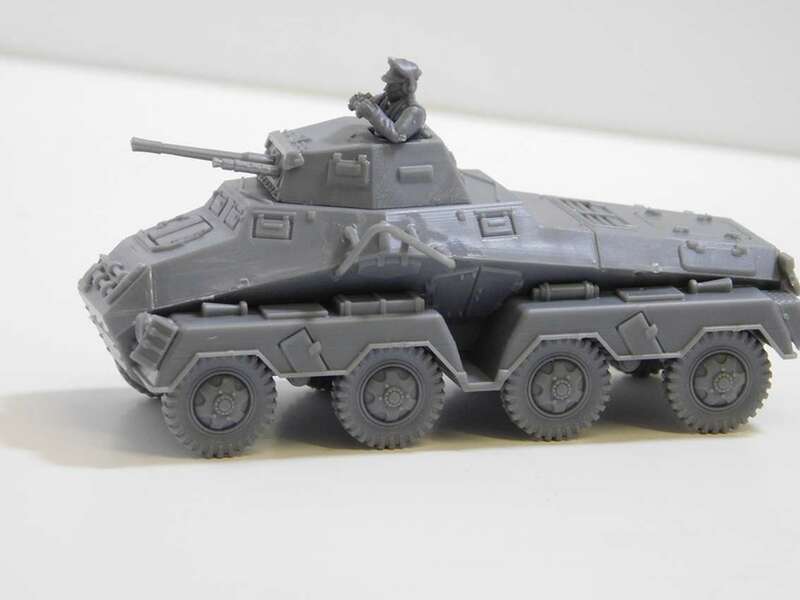 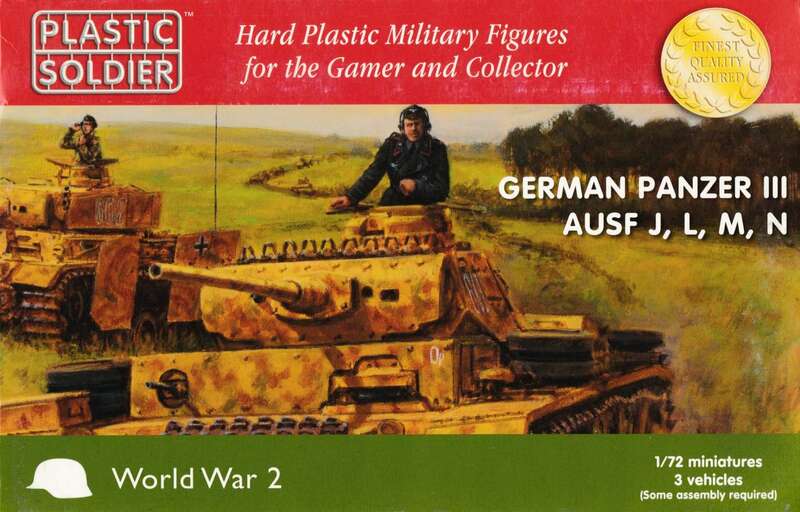 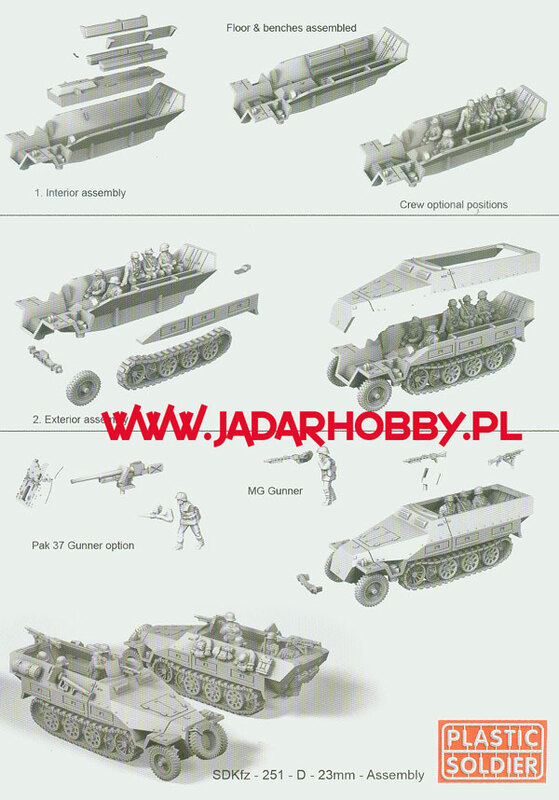 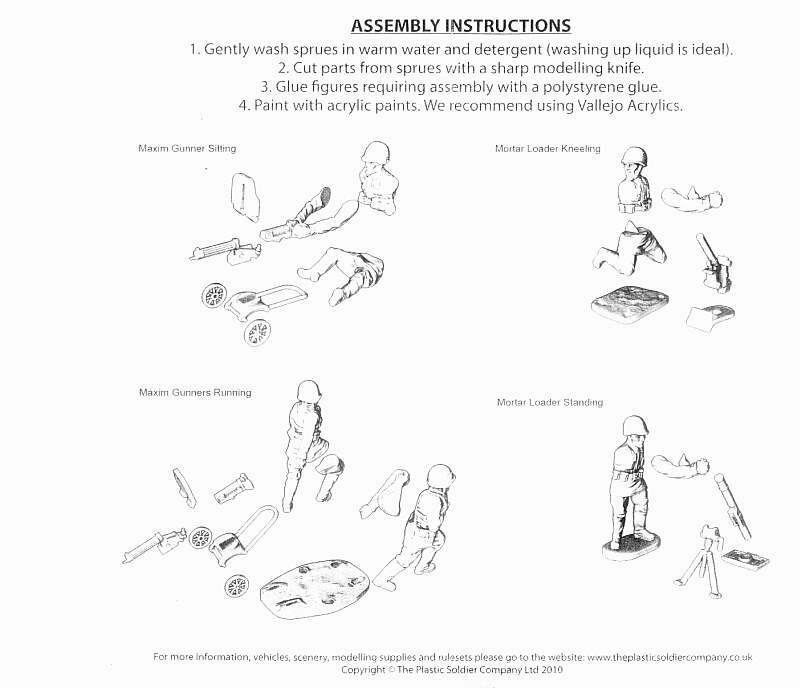 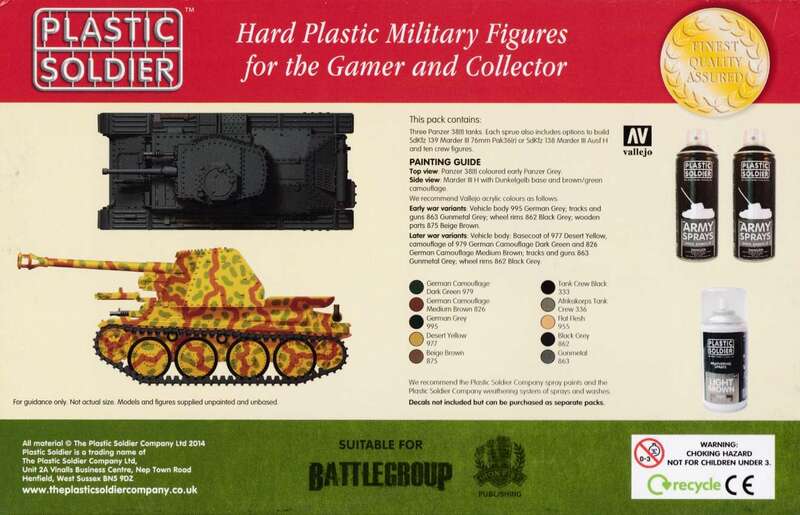 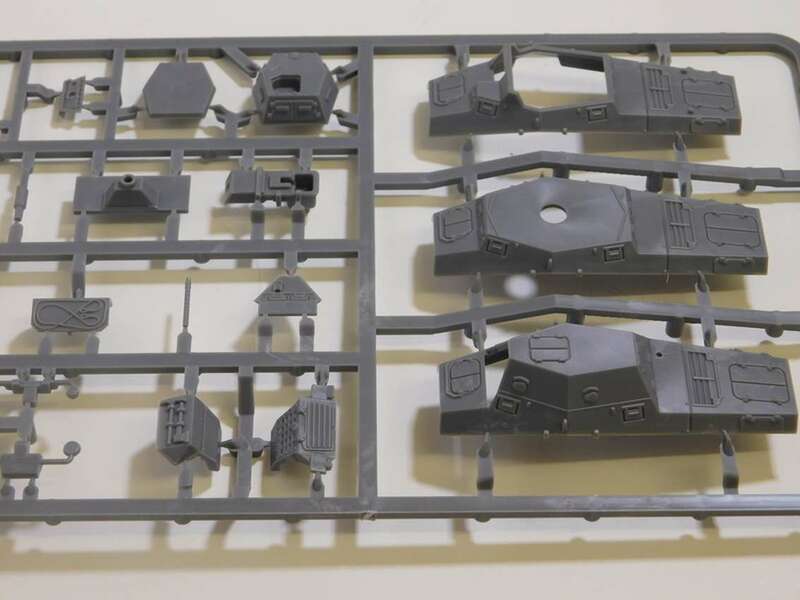 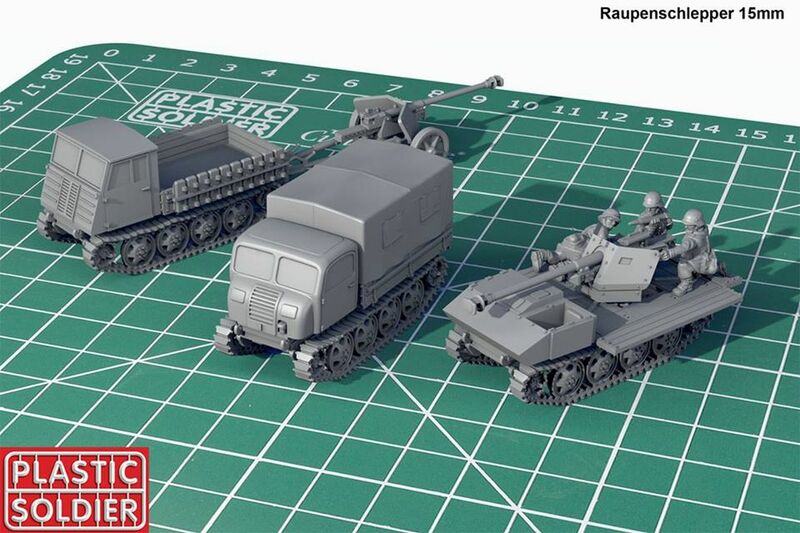 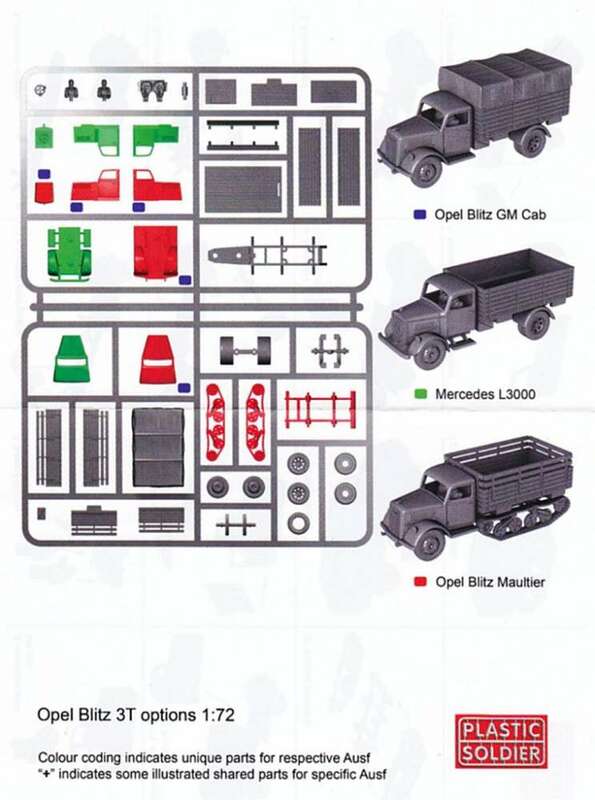 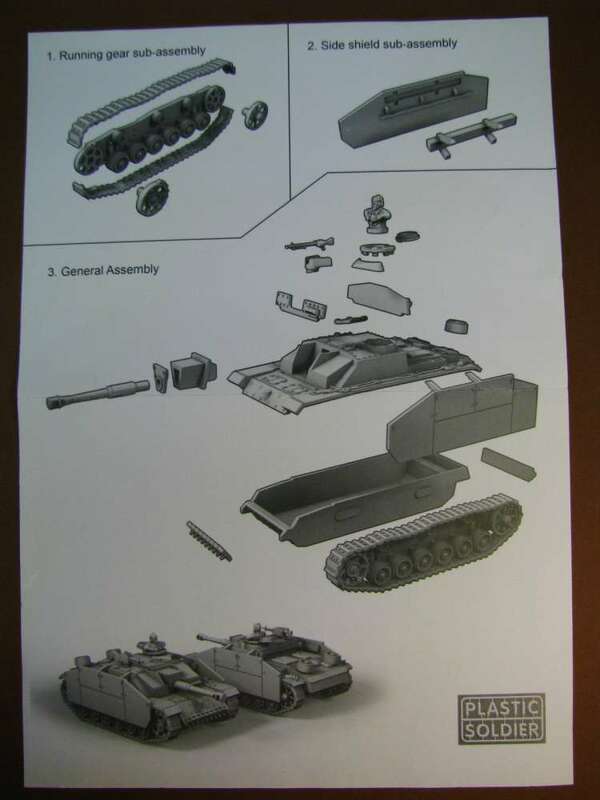 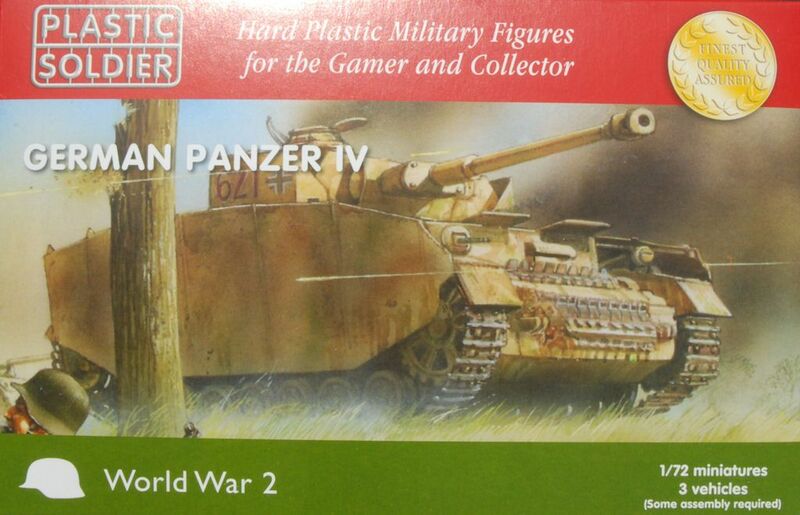 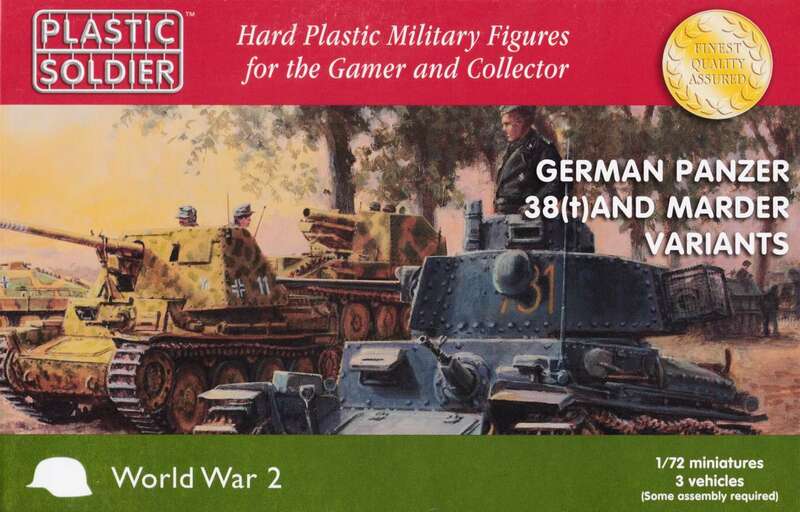 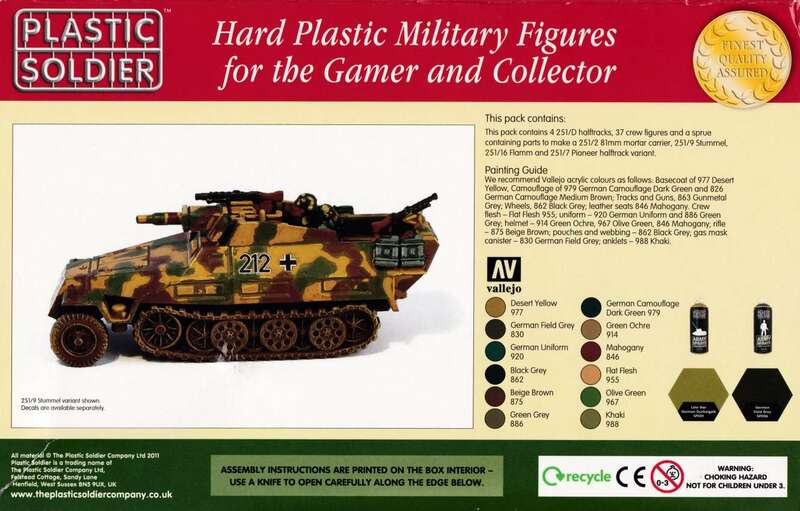 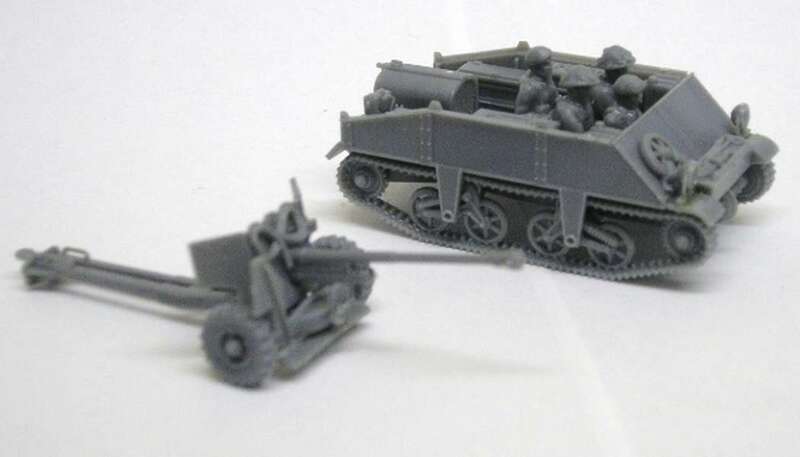 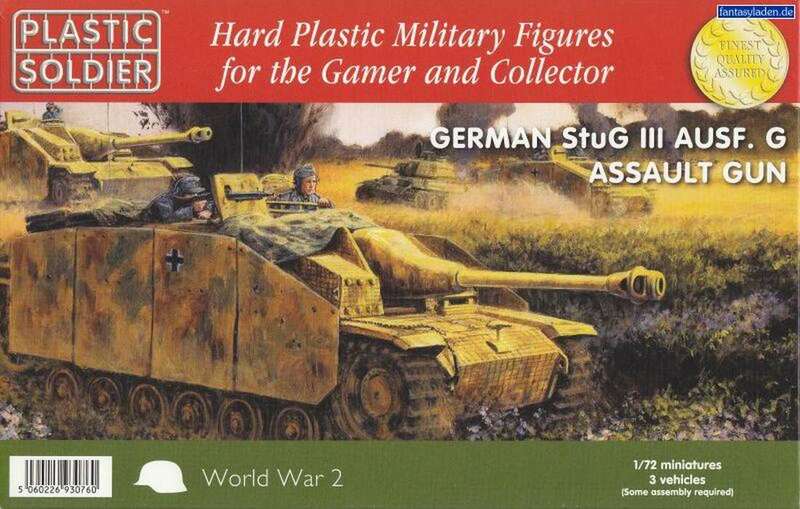 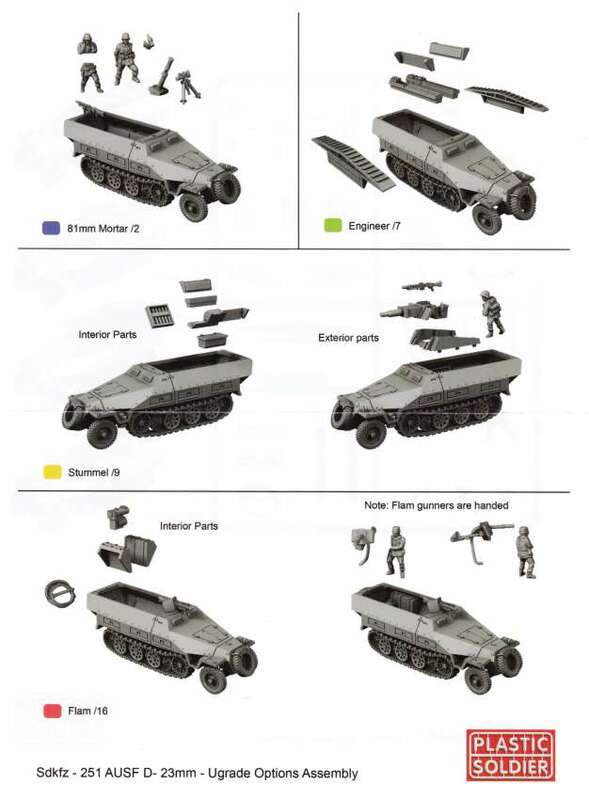 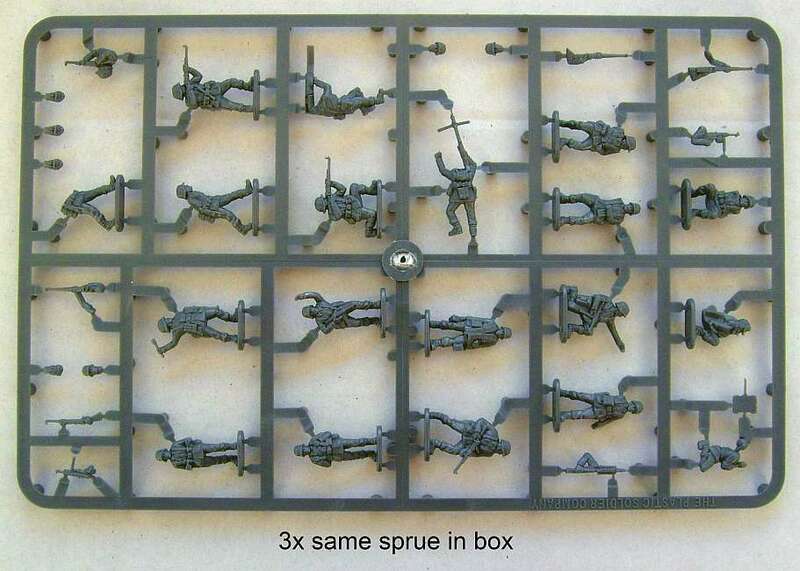 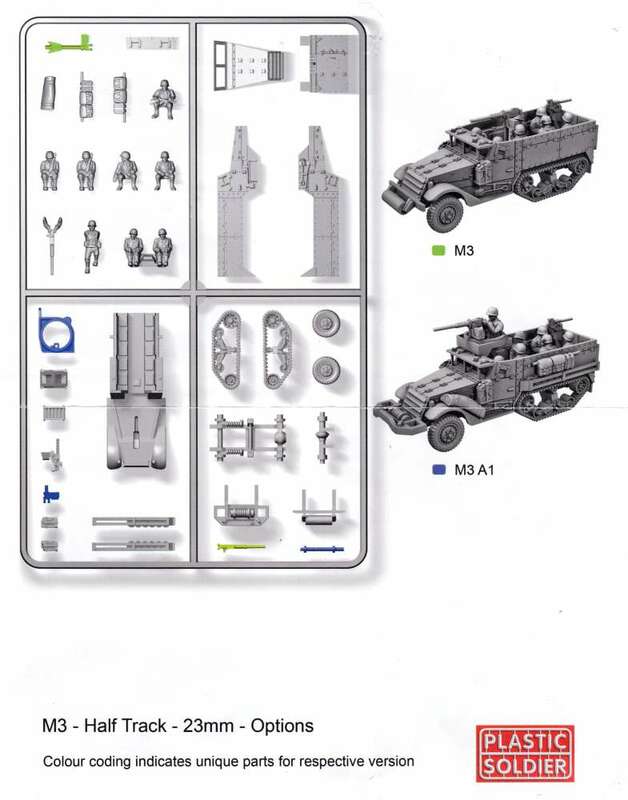 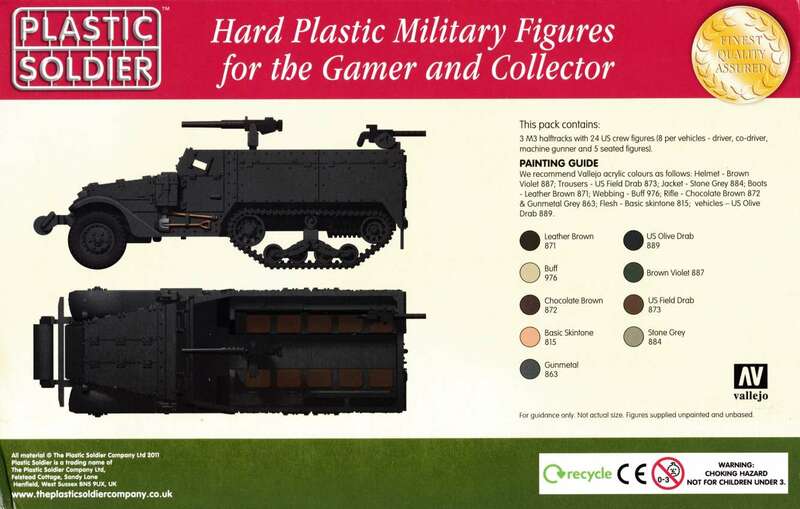 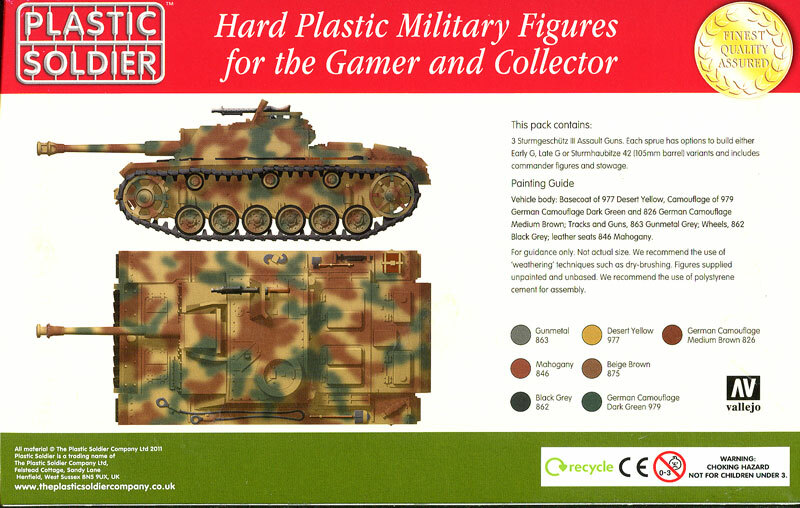 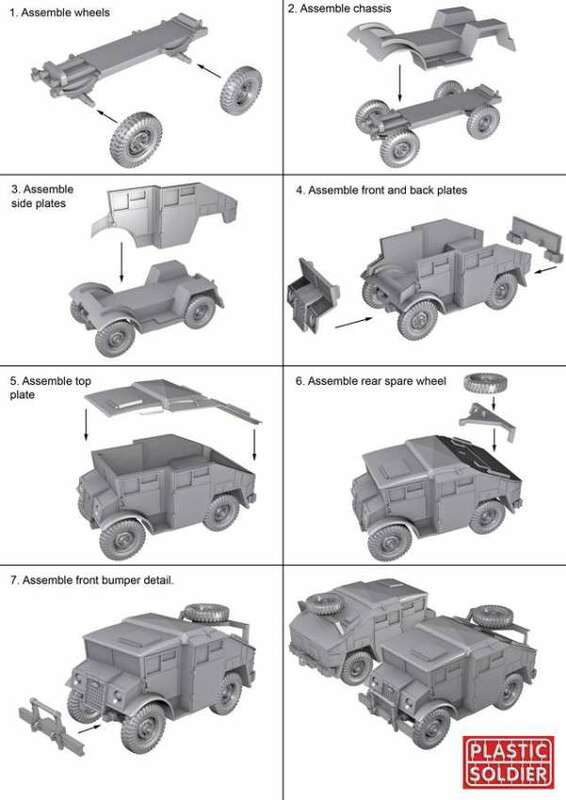 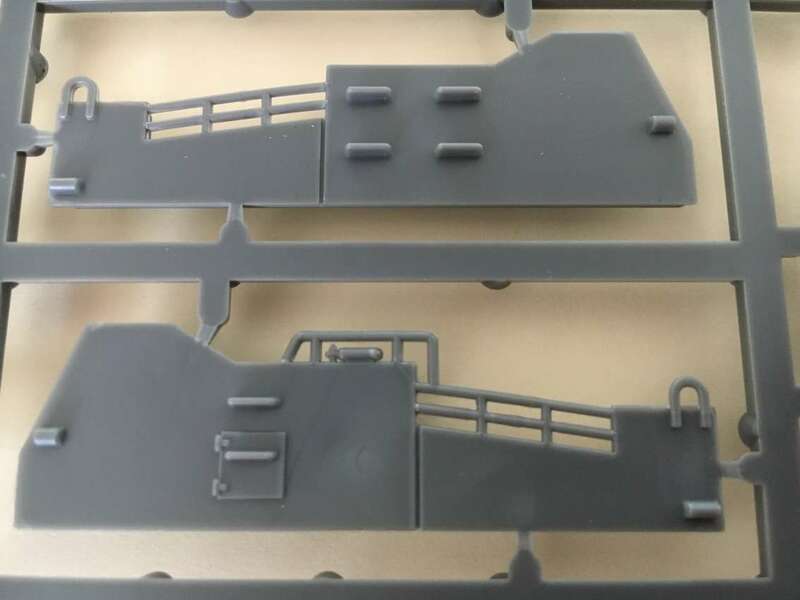 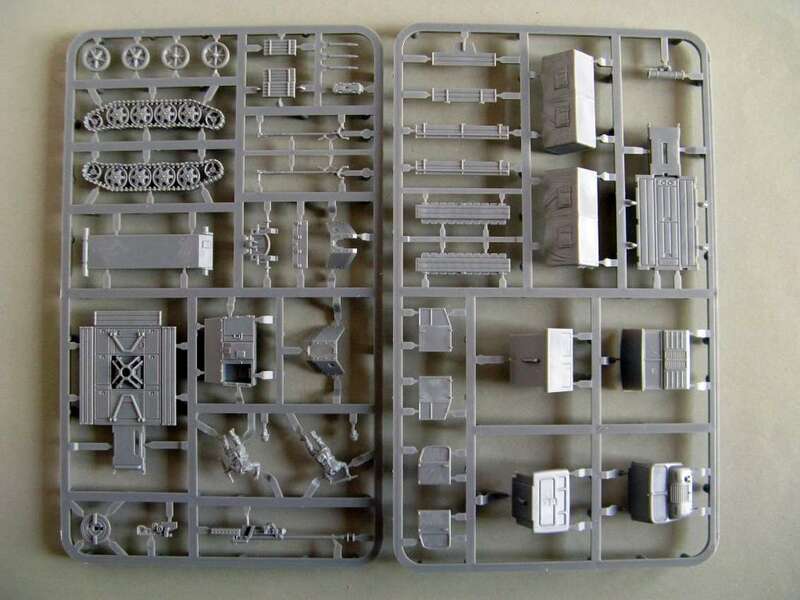 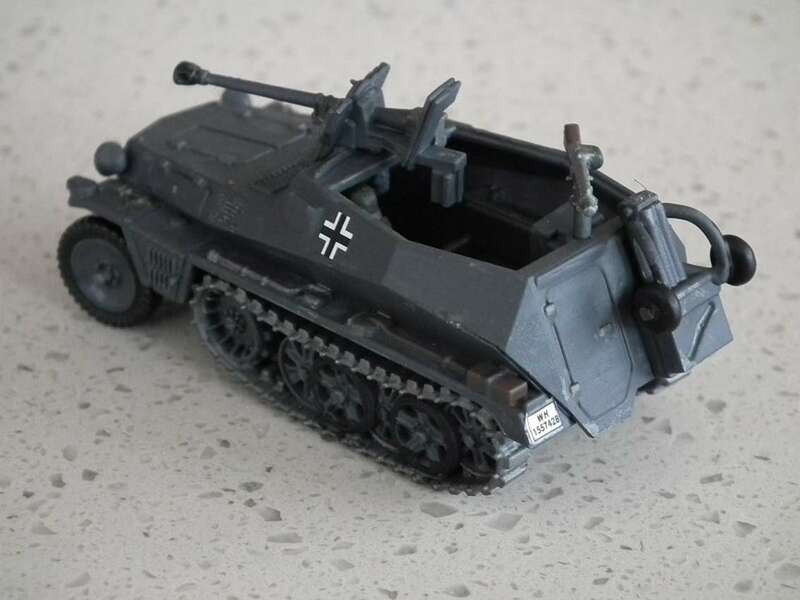 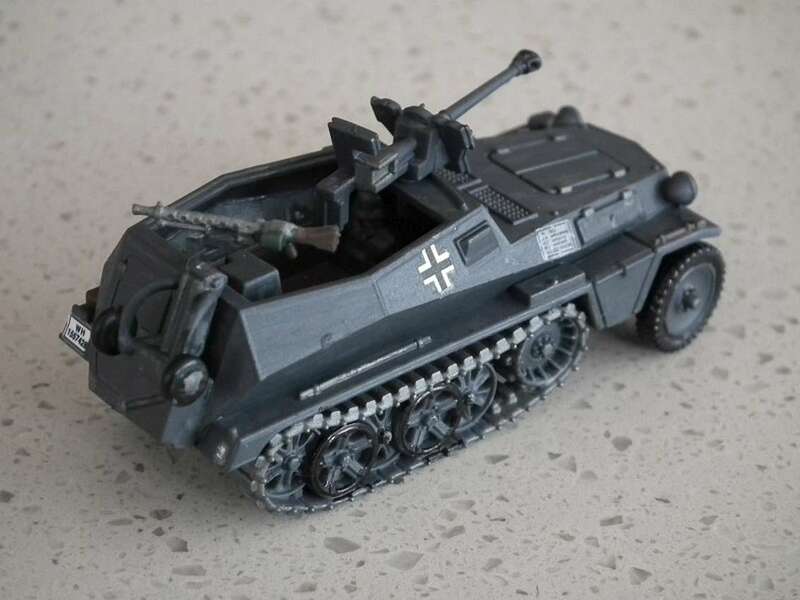 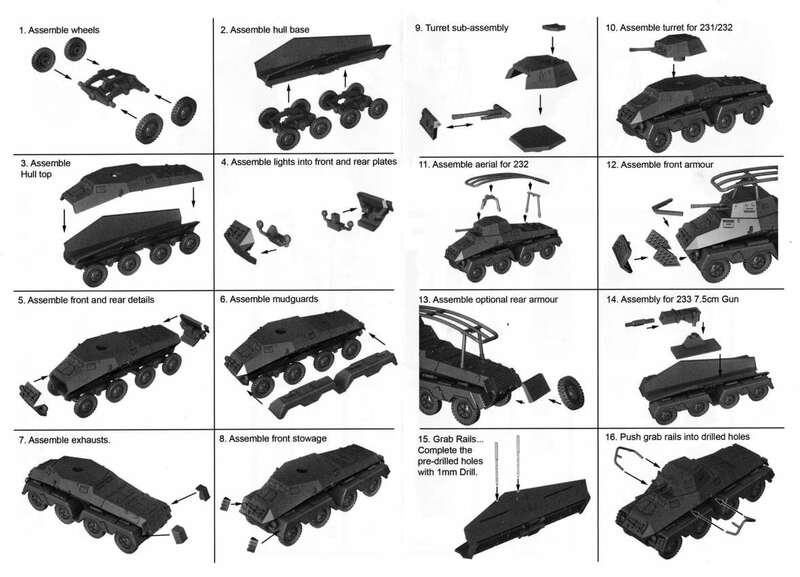 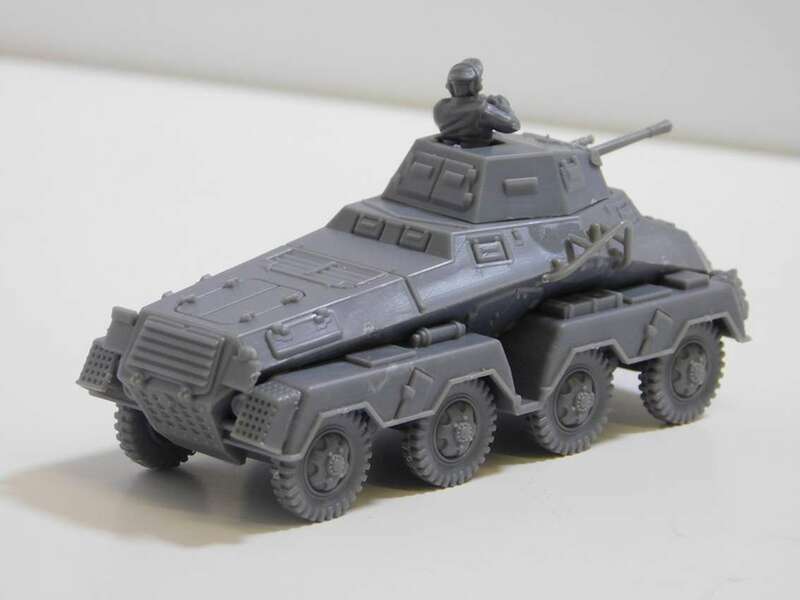 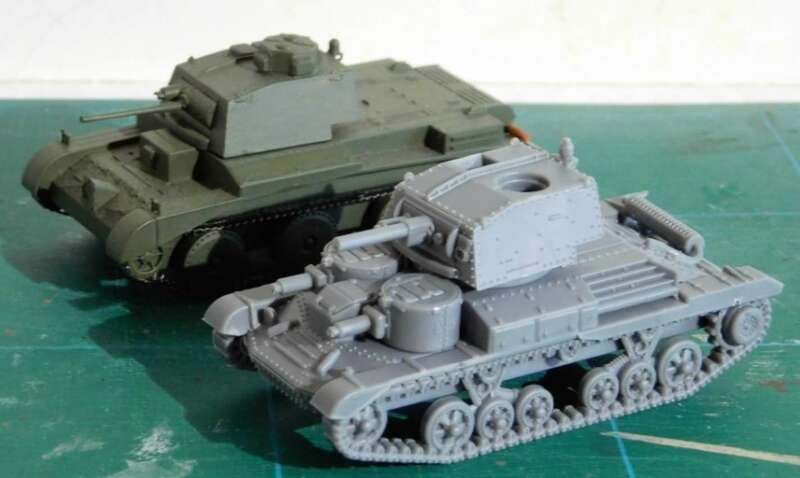 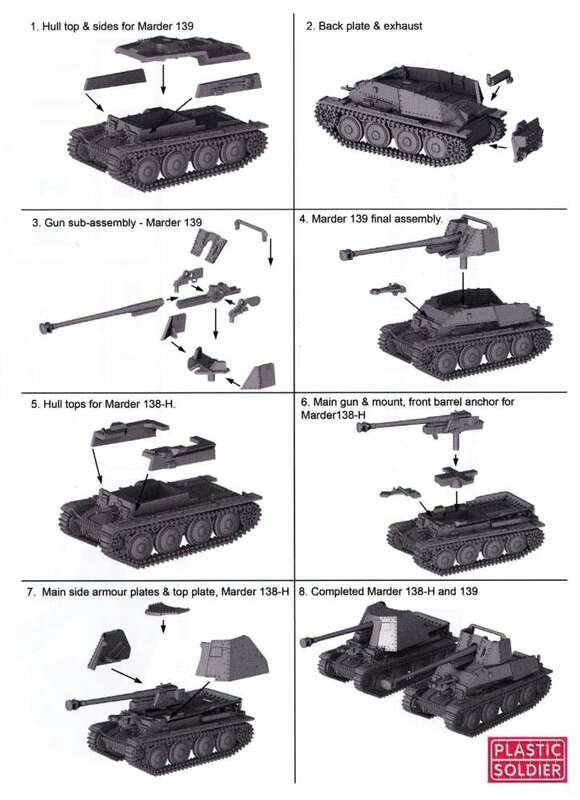 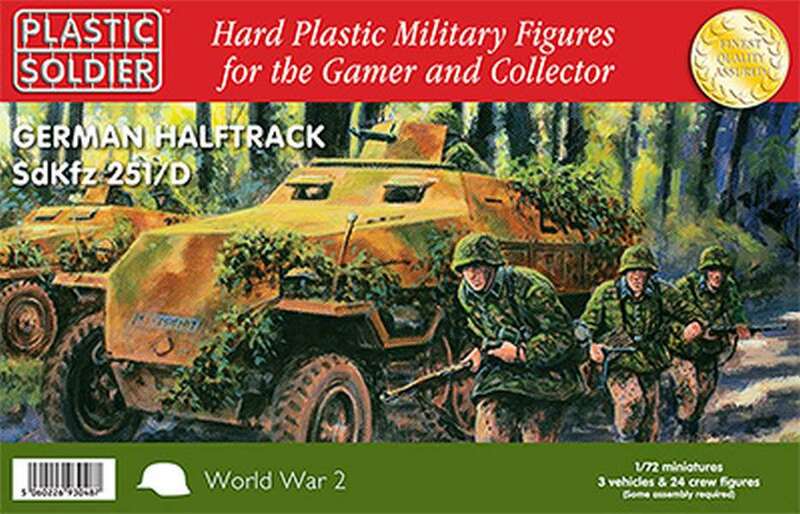 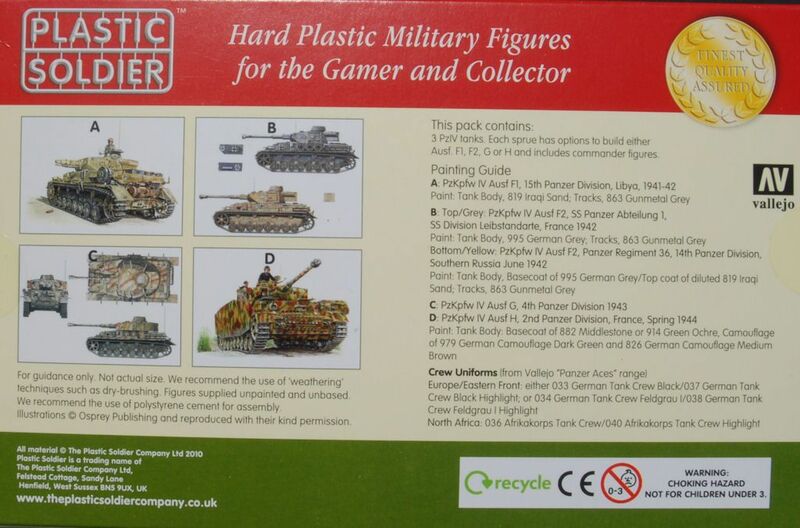 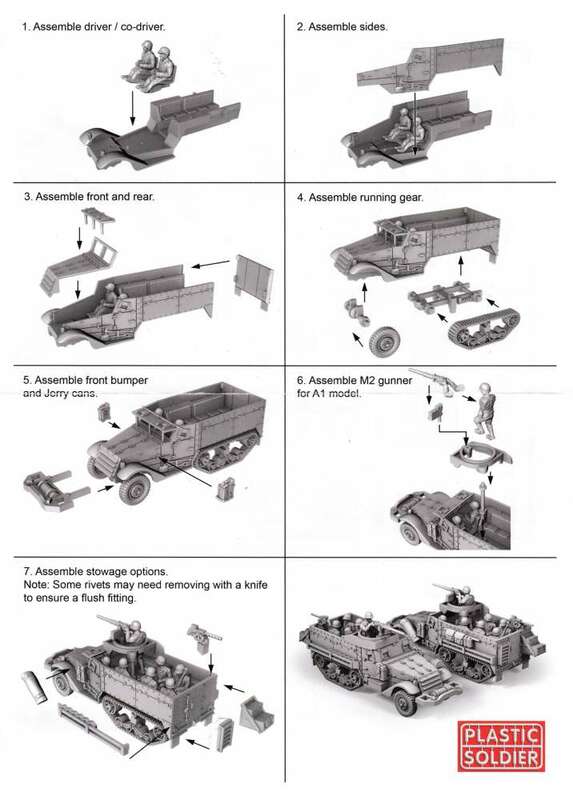 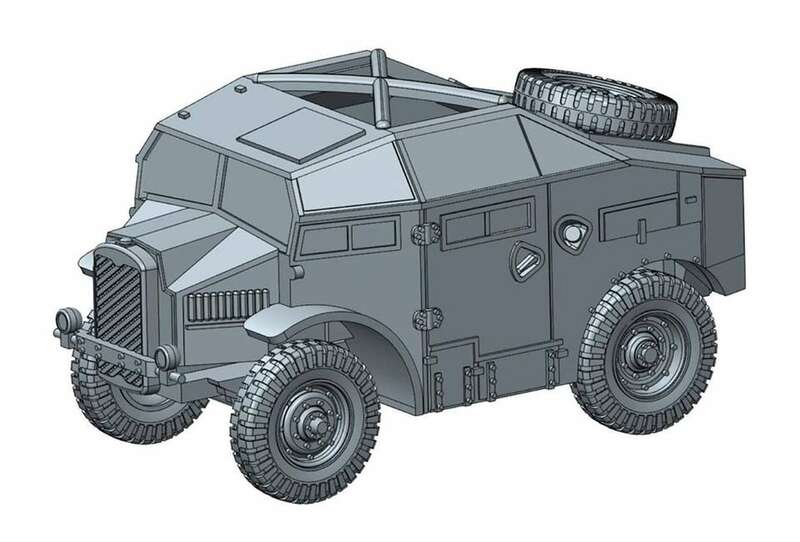 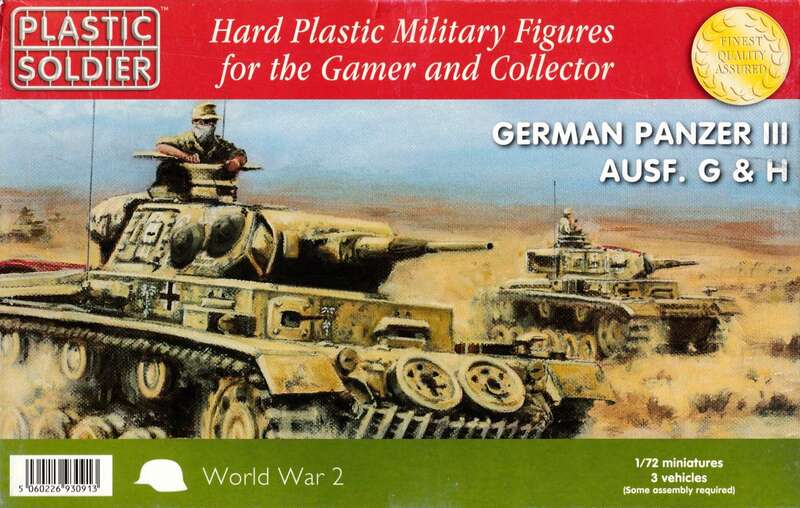 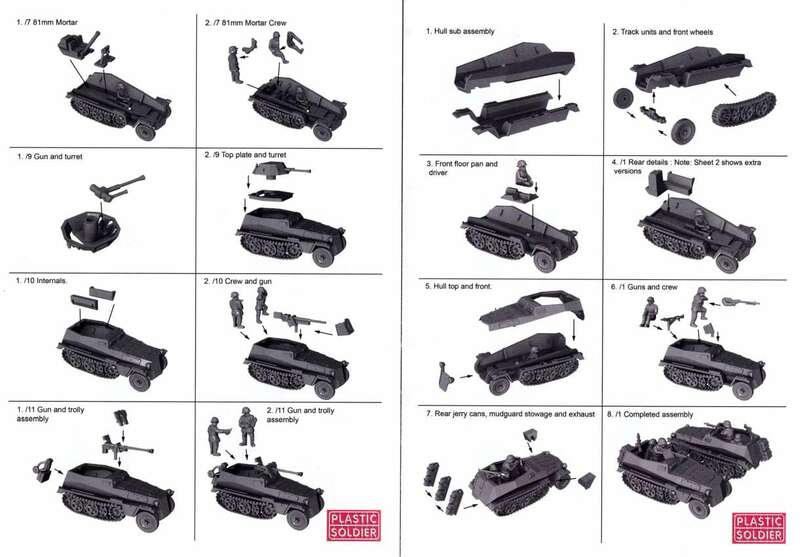 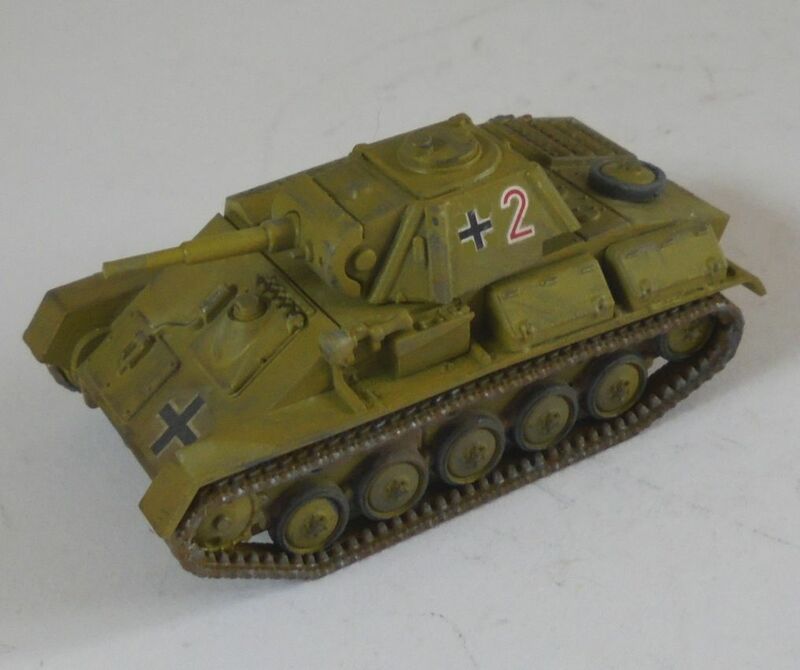 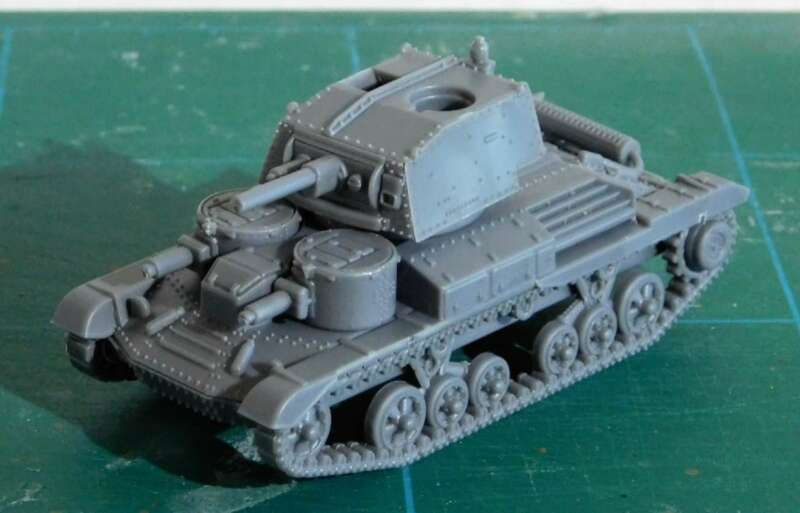 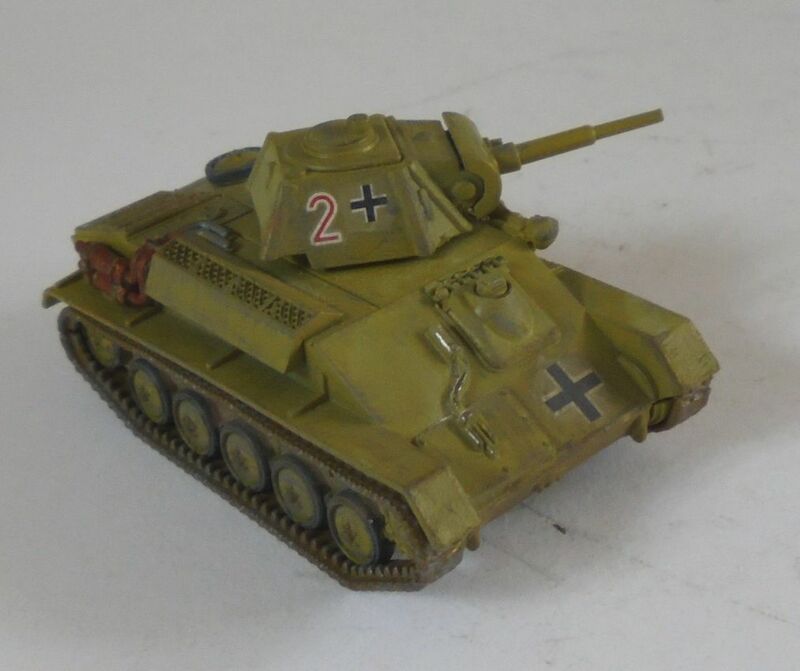 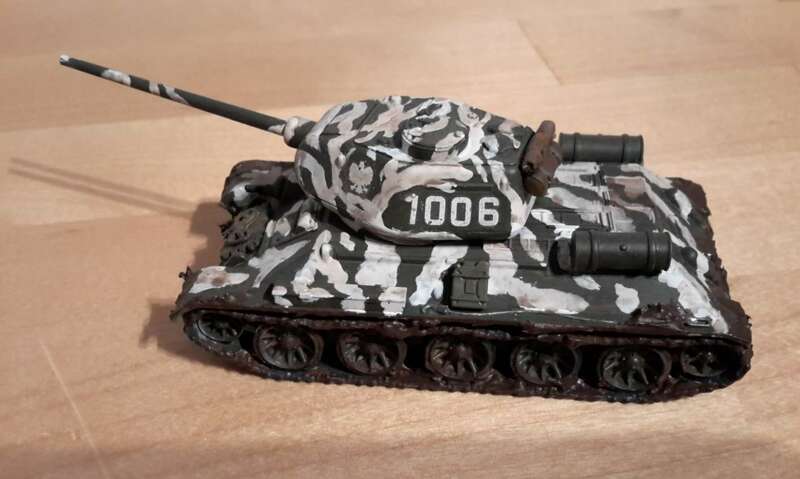 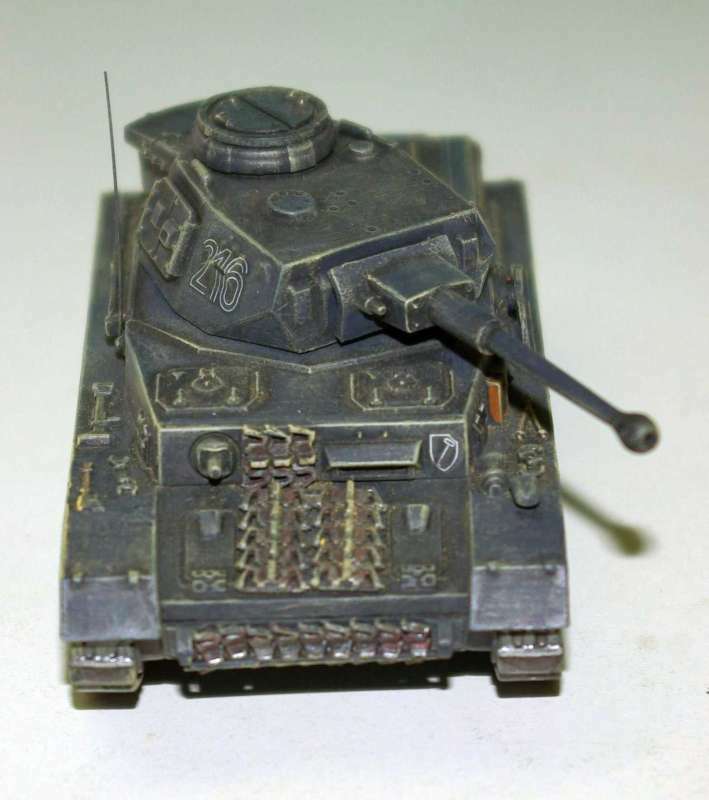 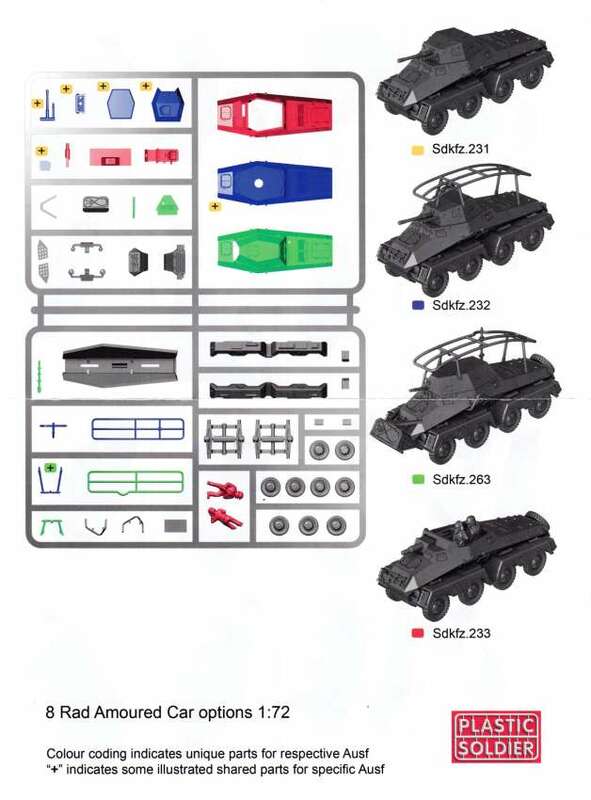 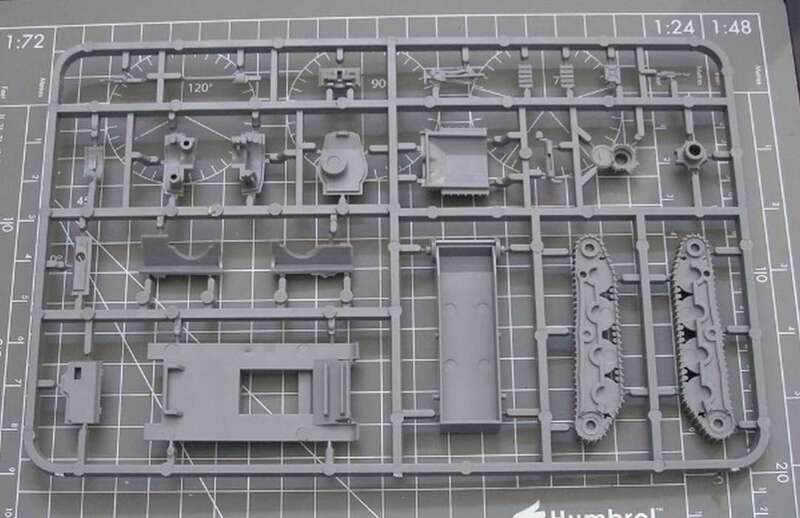 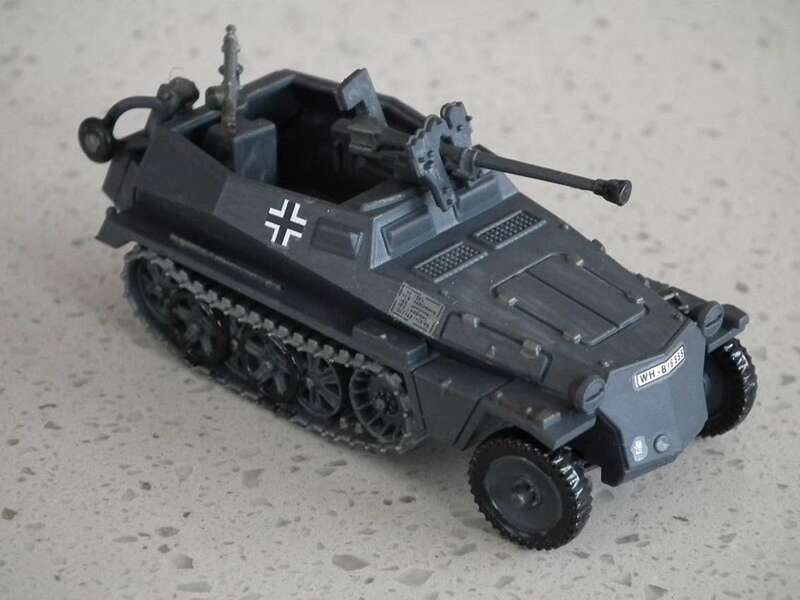 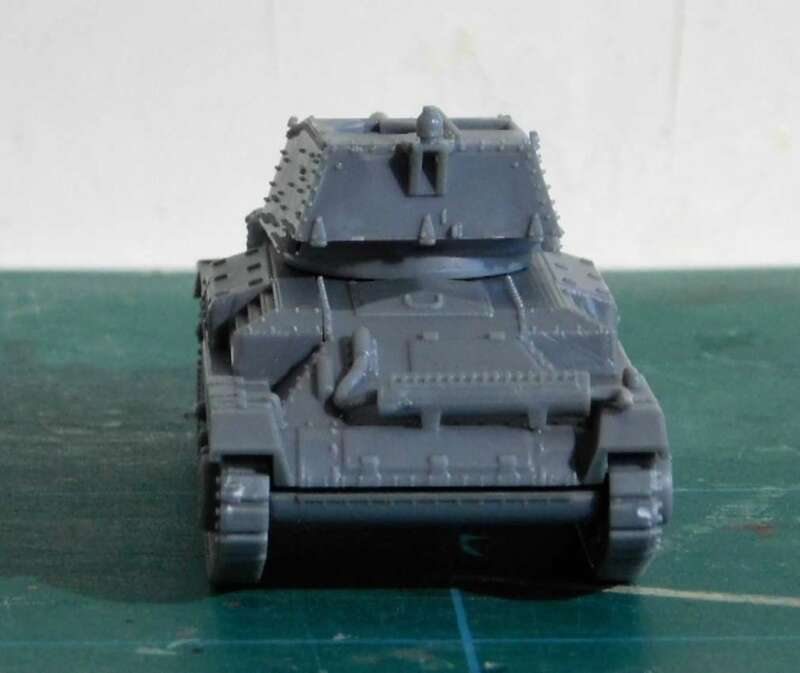 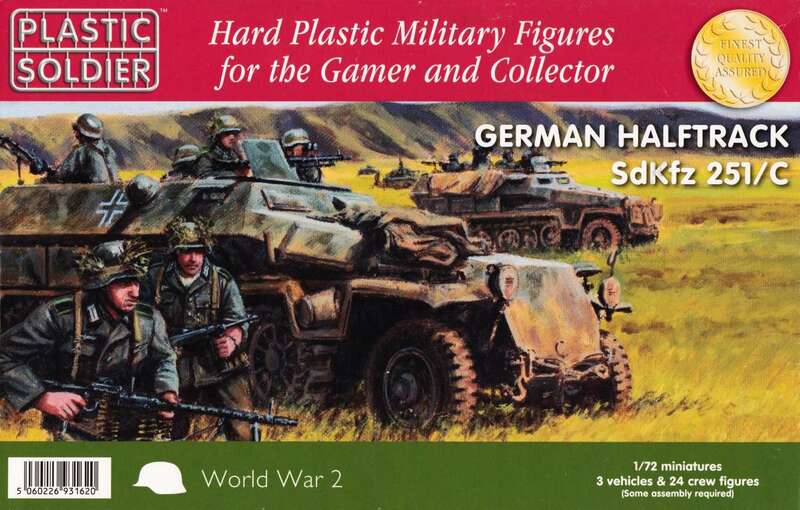 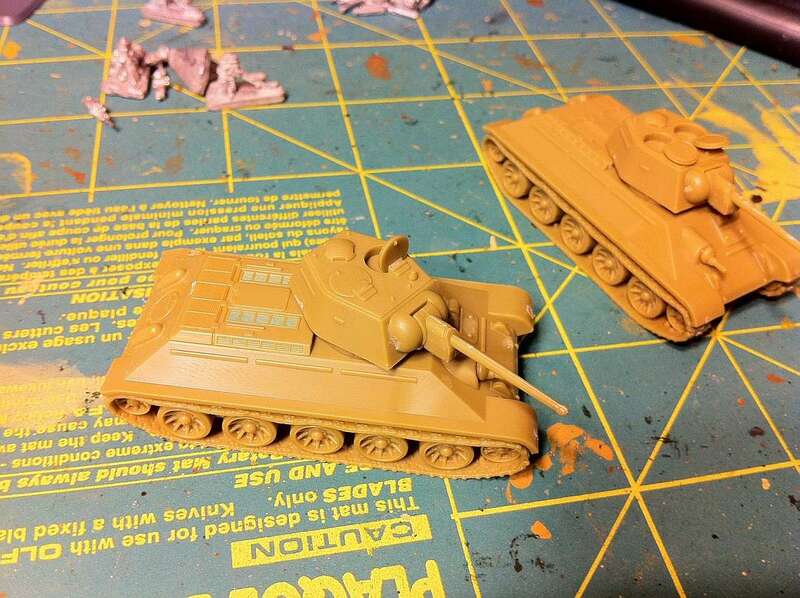 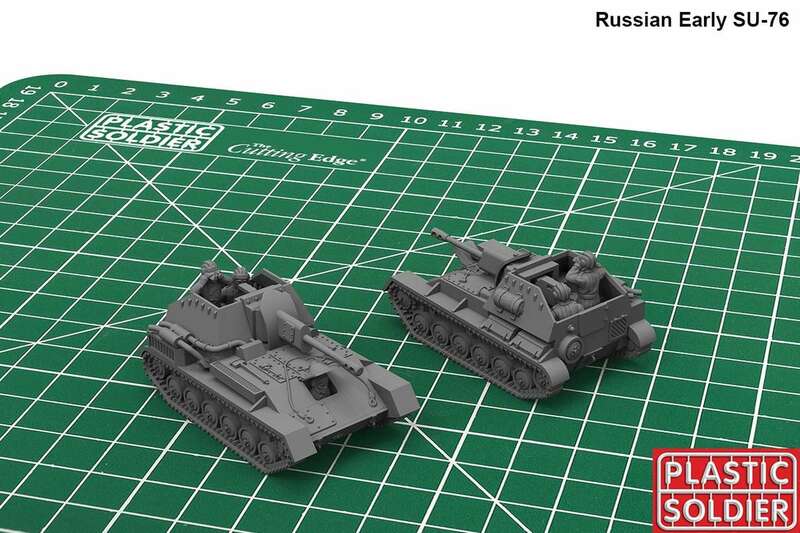 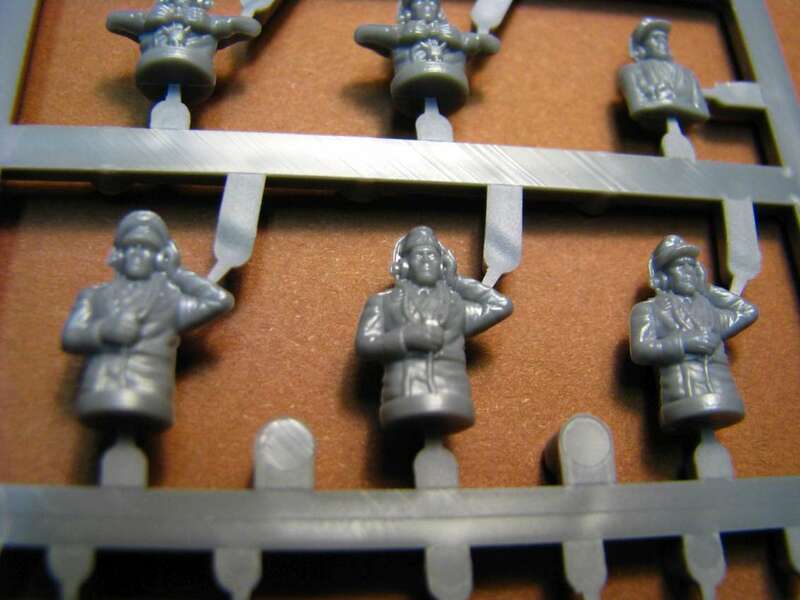 Each sprue has options to also build a Marder SdKfz 139 or Marder SdKfz 138 Ausf H self propelled tank destroyer and there are 3 separate crew sprues each comprising 10 various crew figures. 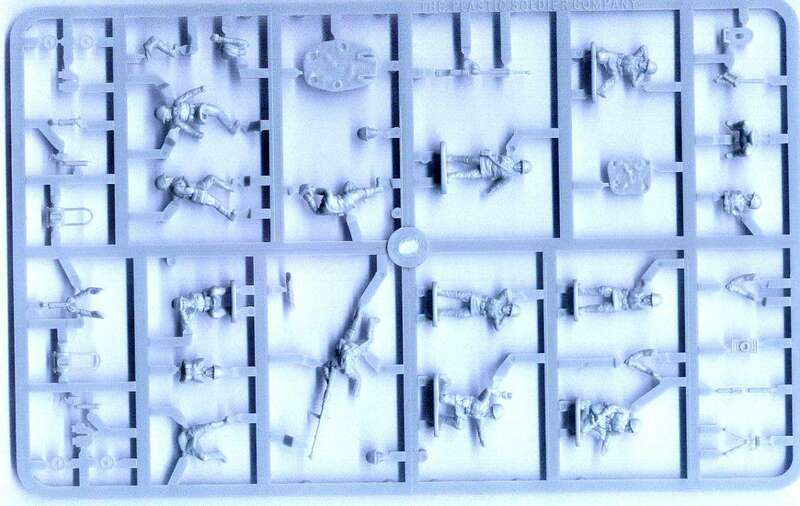 3 models in a box and 30 crew figures. 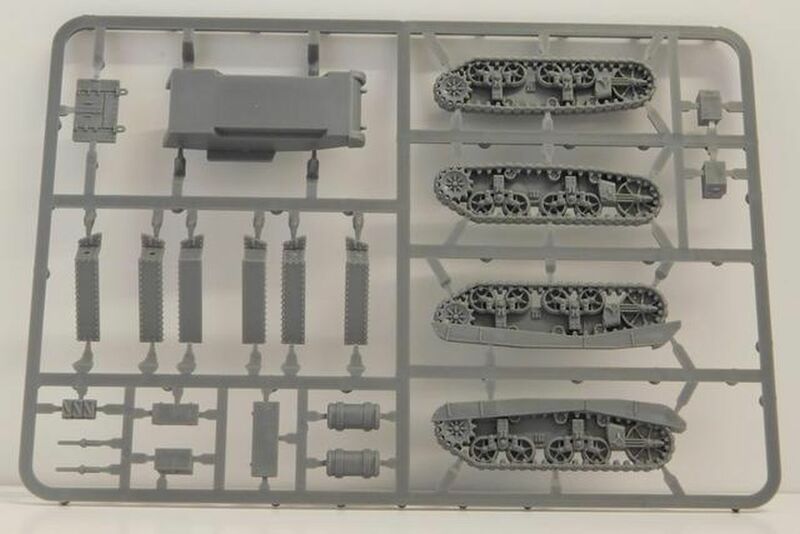 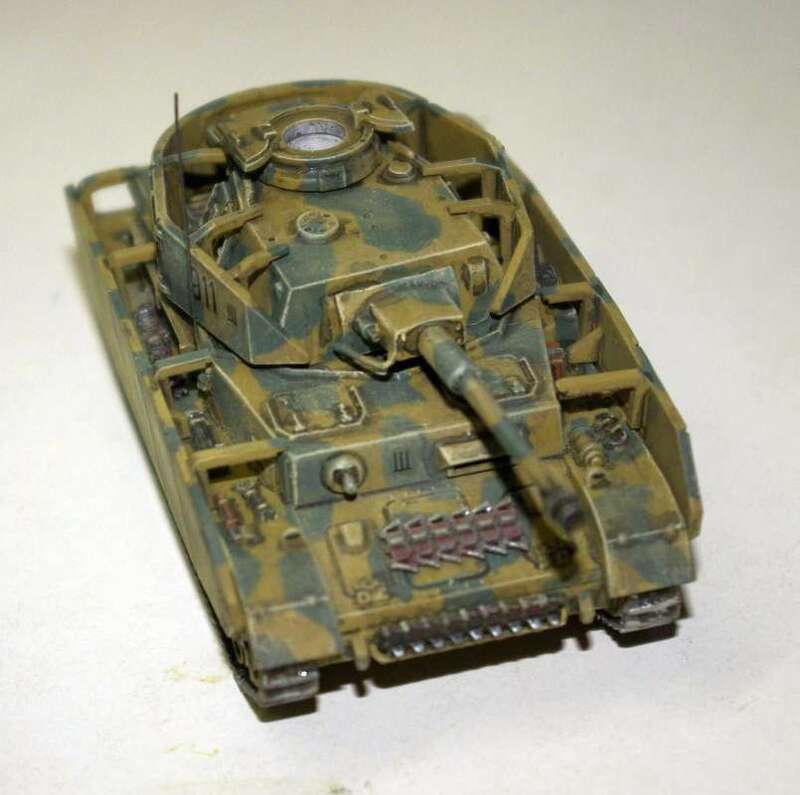 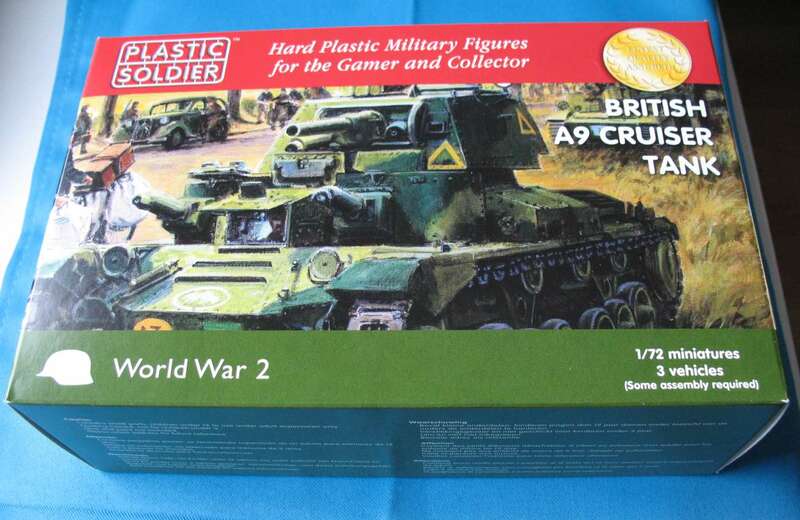 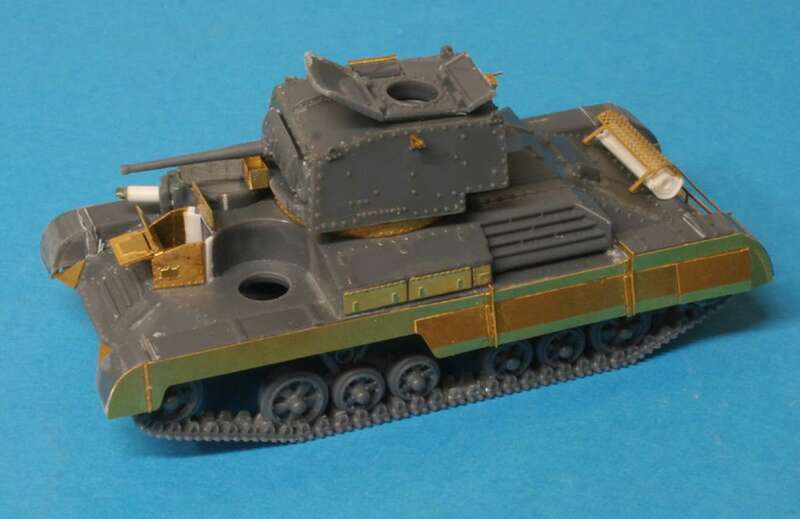 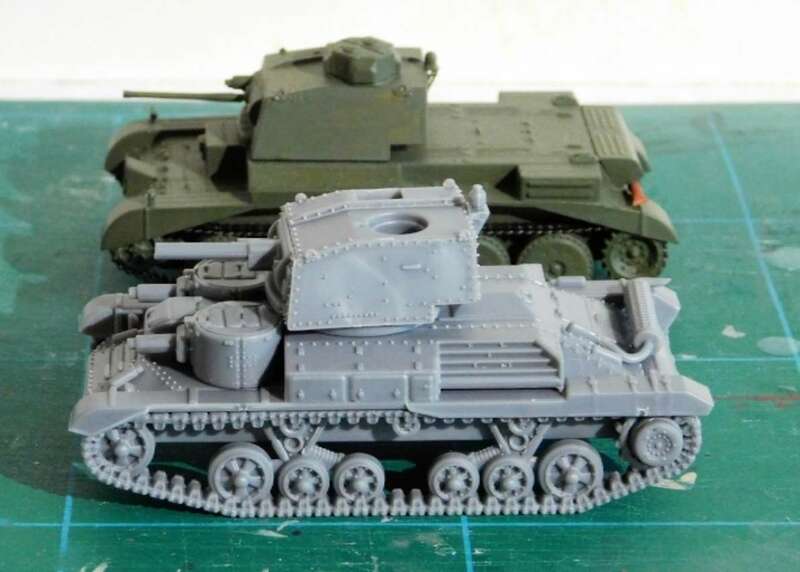 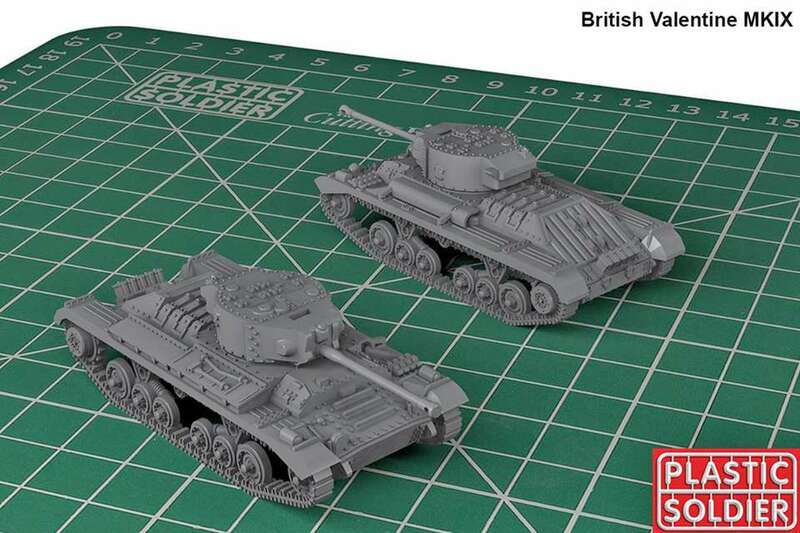 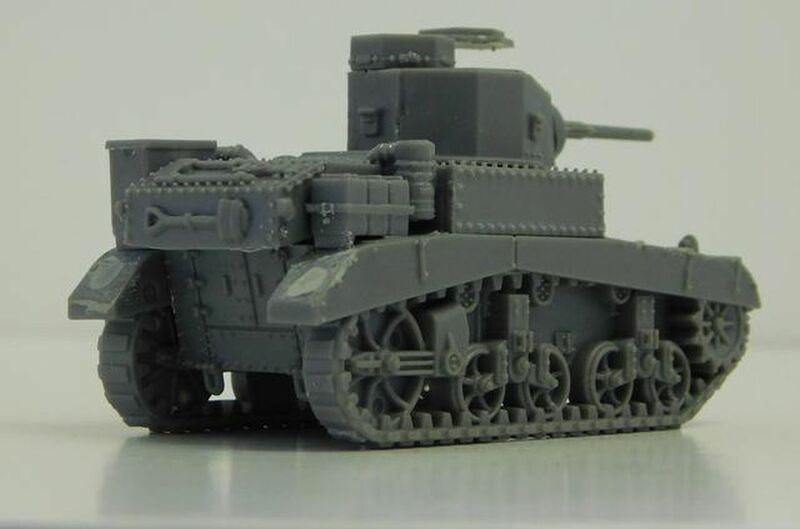 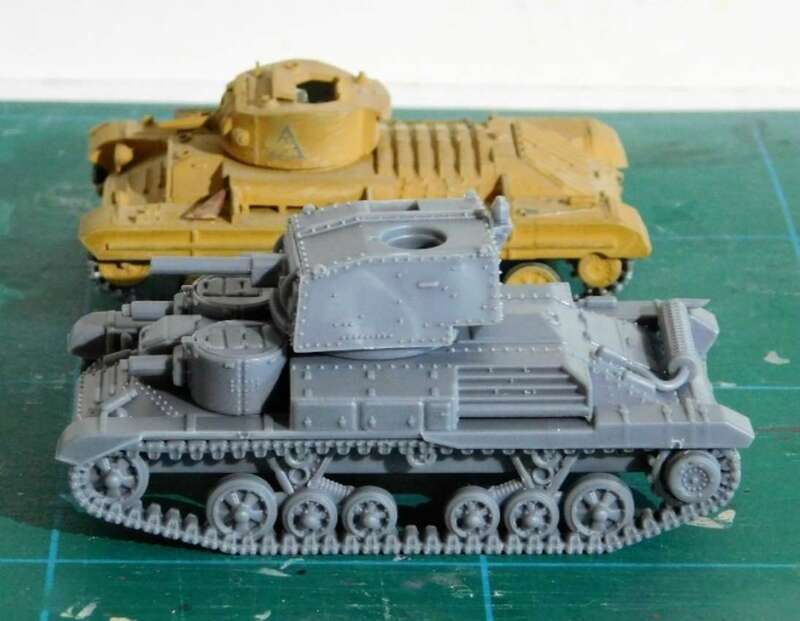 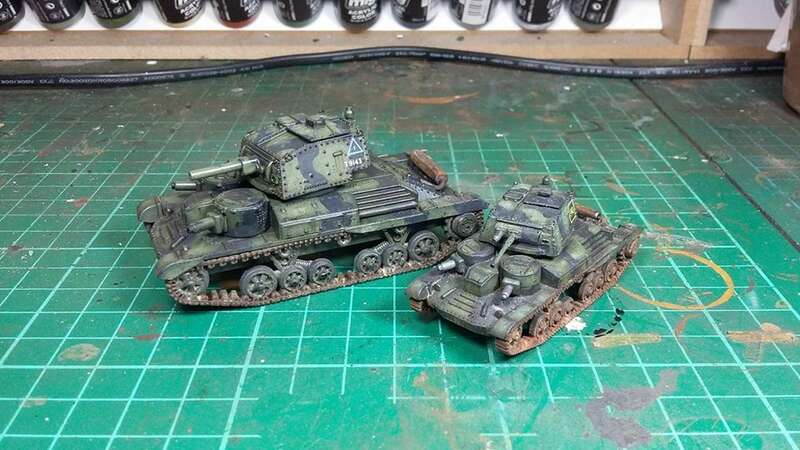 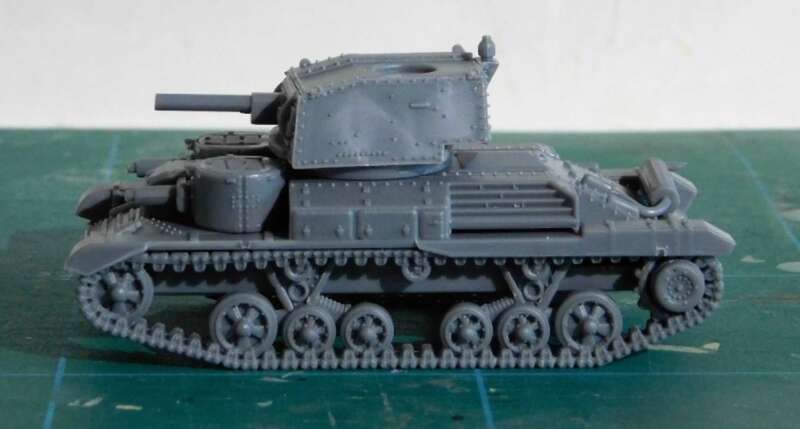 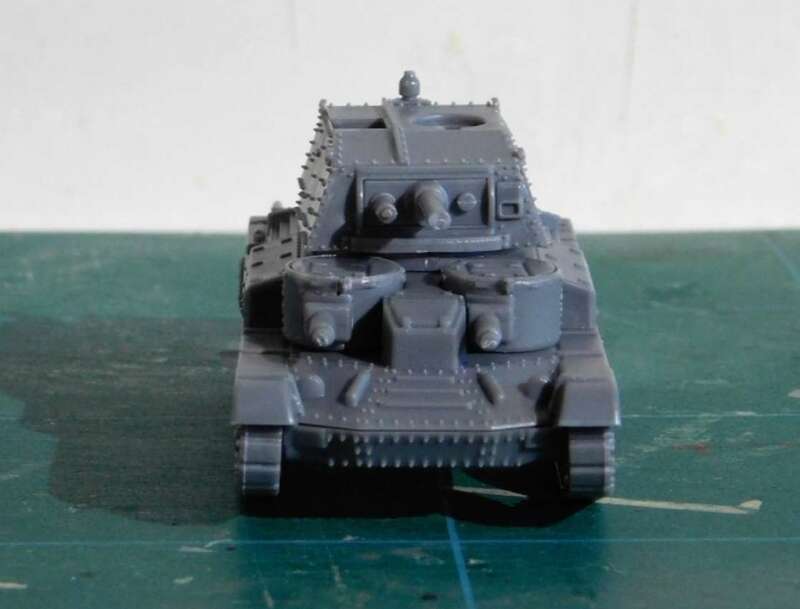 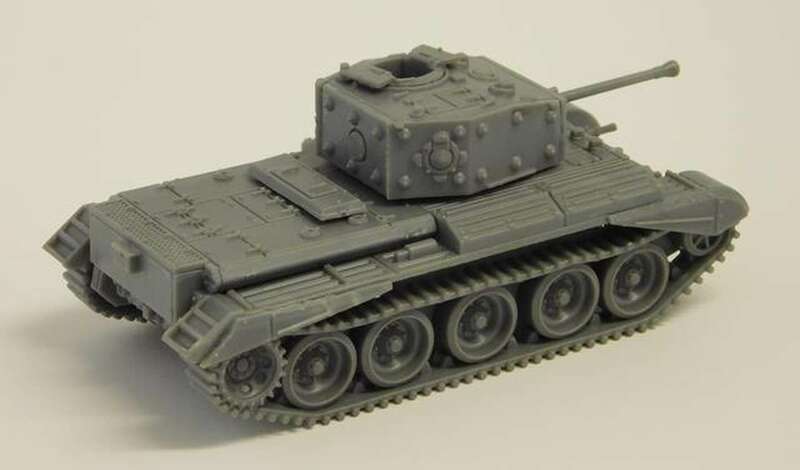 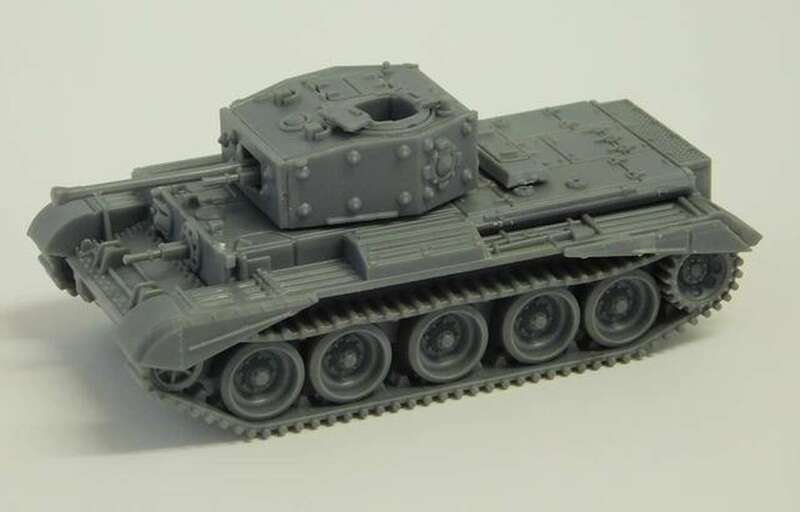 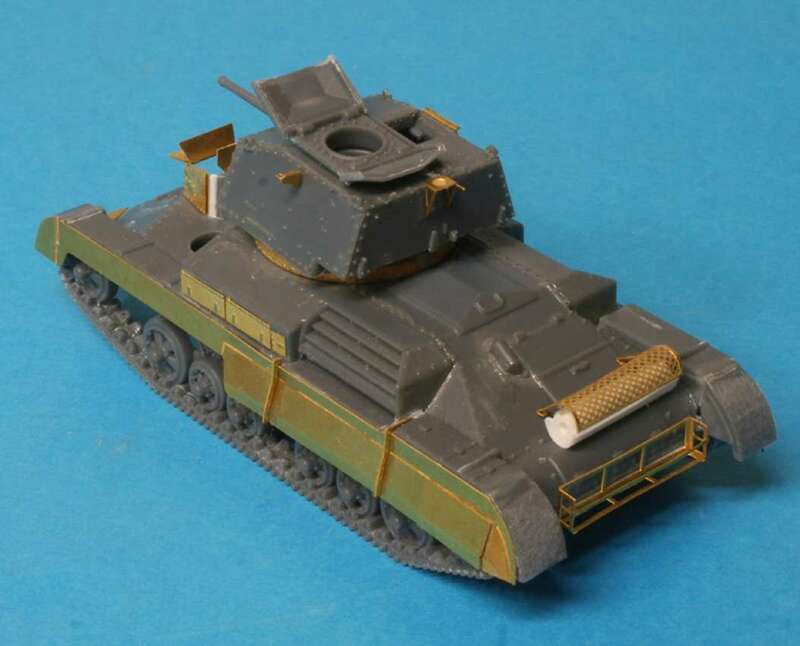 This box contains 3x 1/72 British A9 Cruiser tanks suitable for the early campaigns in France 1940 through to the desert campaigns in North Africa. 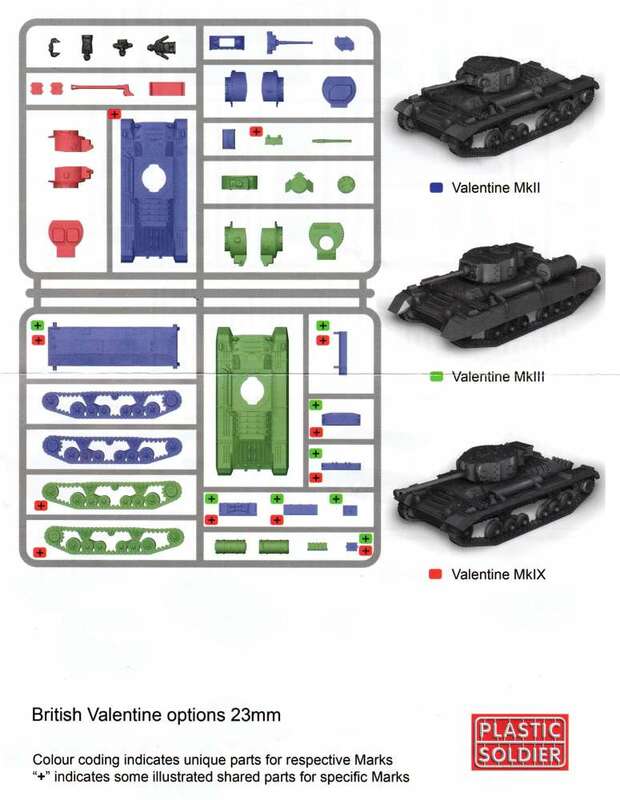 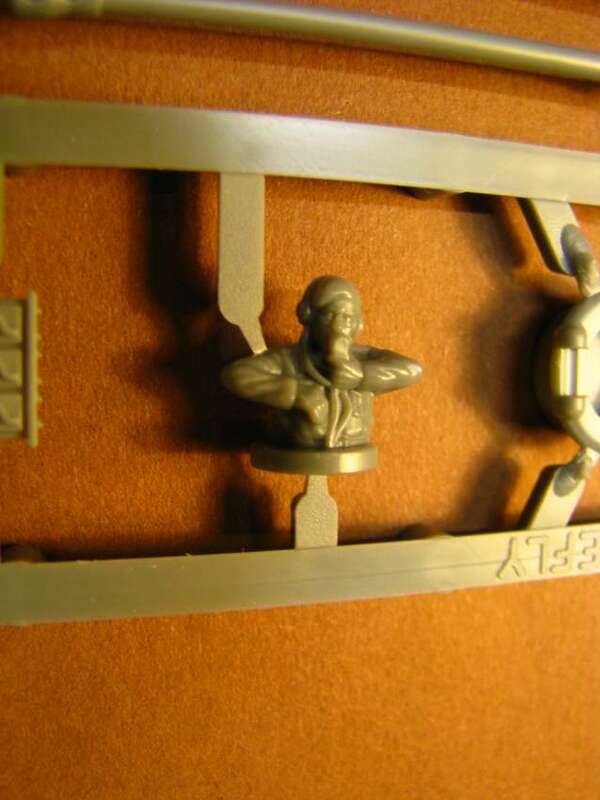 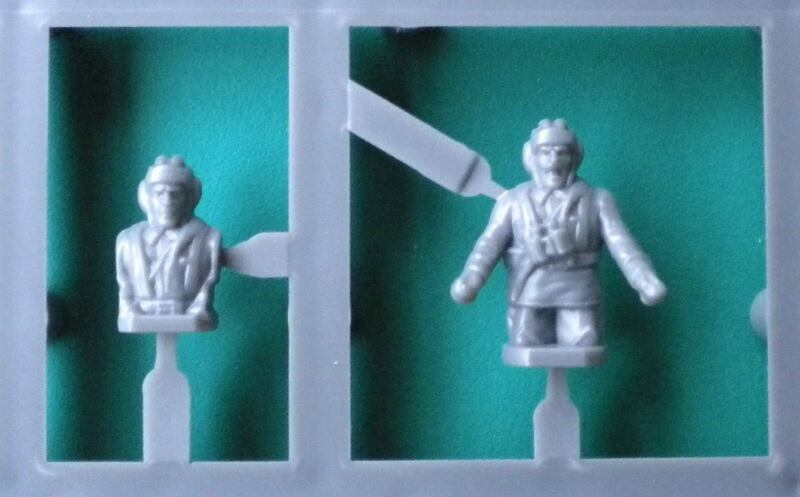 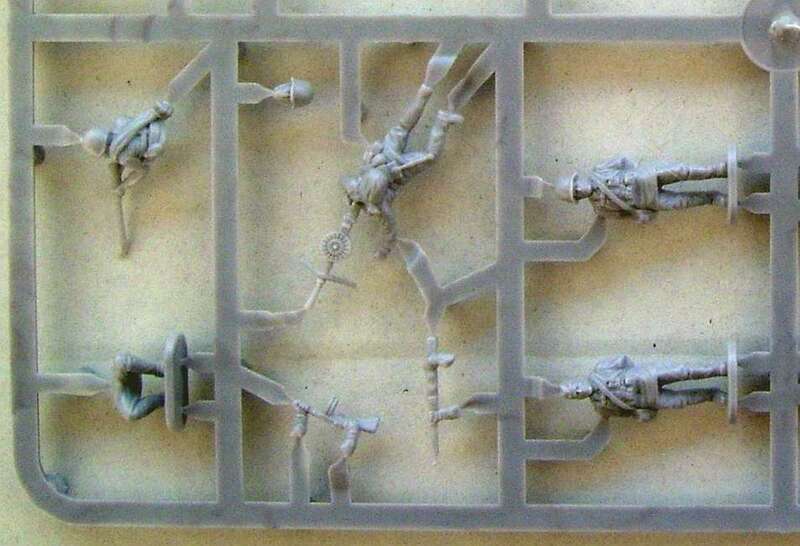 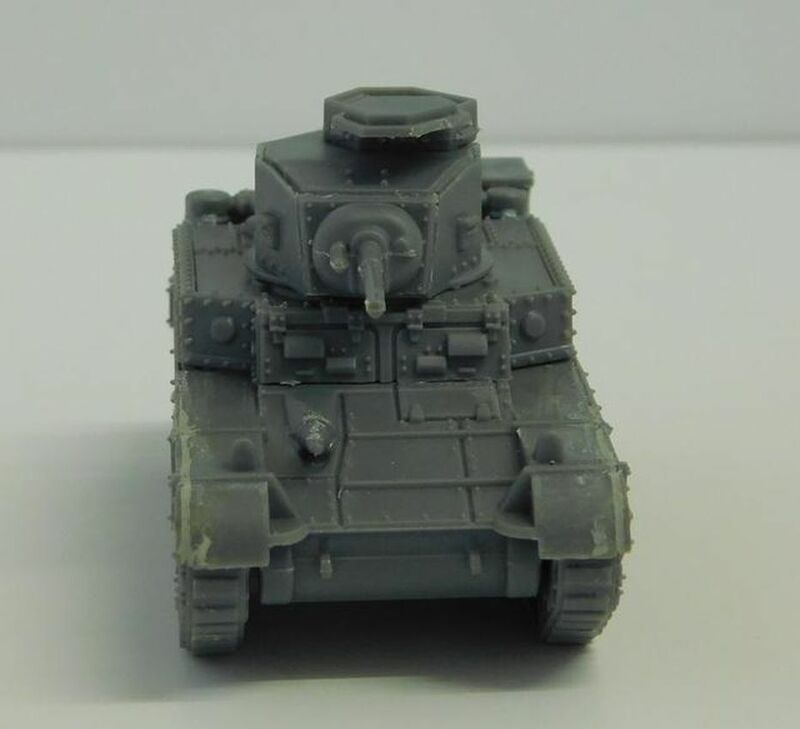 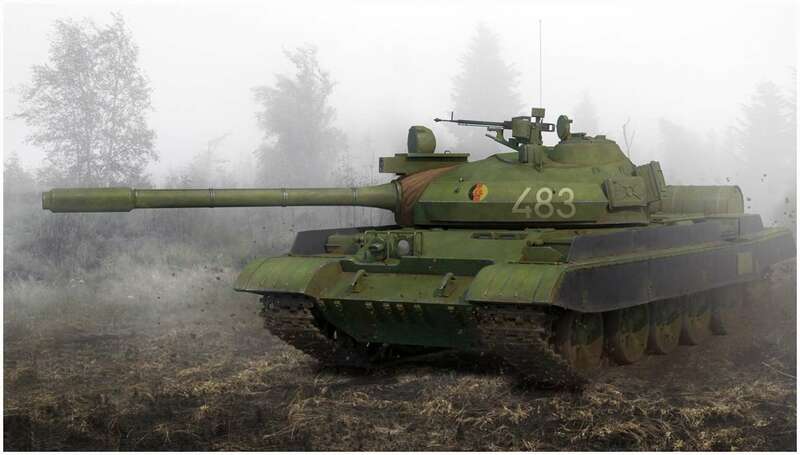 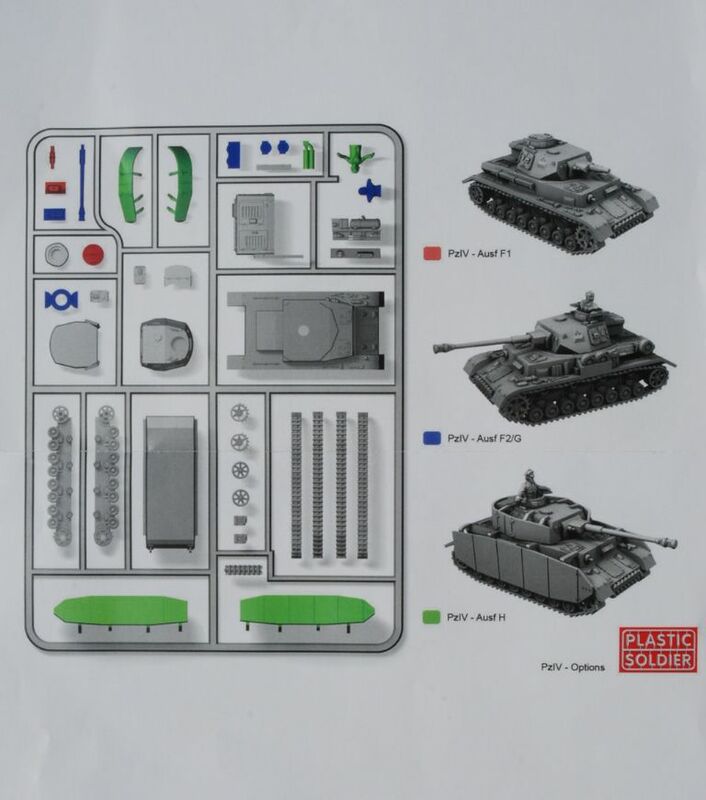 Inside the box are tank commanders suitable for both campaigns. 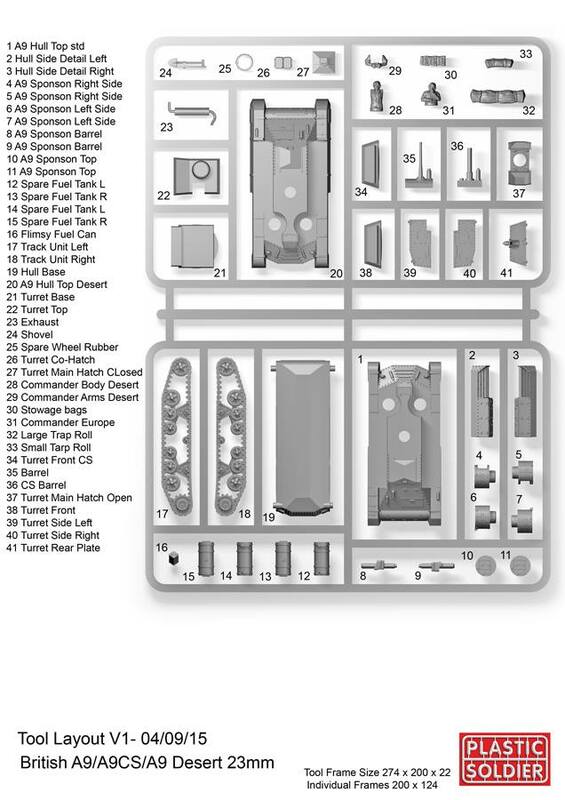 A9 dimensions found on Wikipedia, lenght 19ft = 5,80m, width 8ft 4 in = 2,50m. 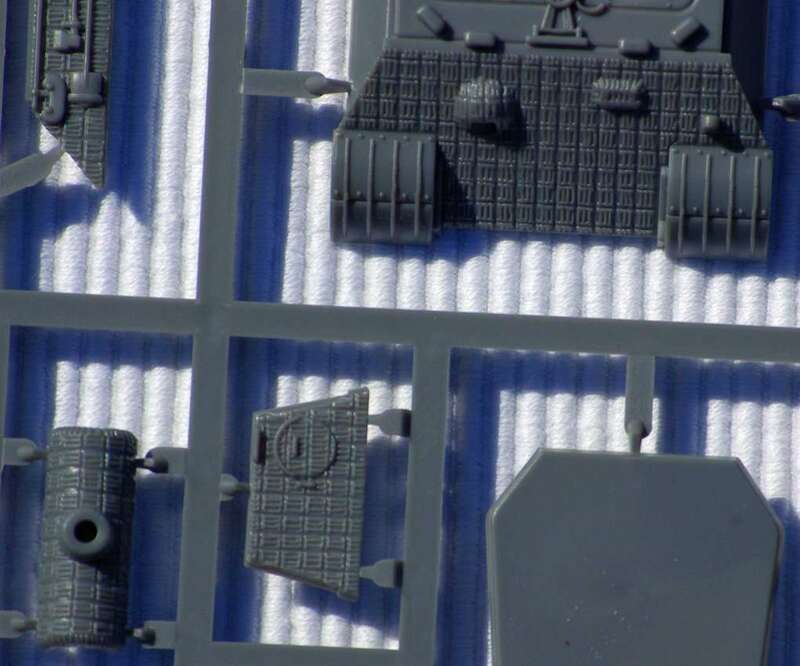 So the model is in scale! 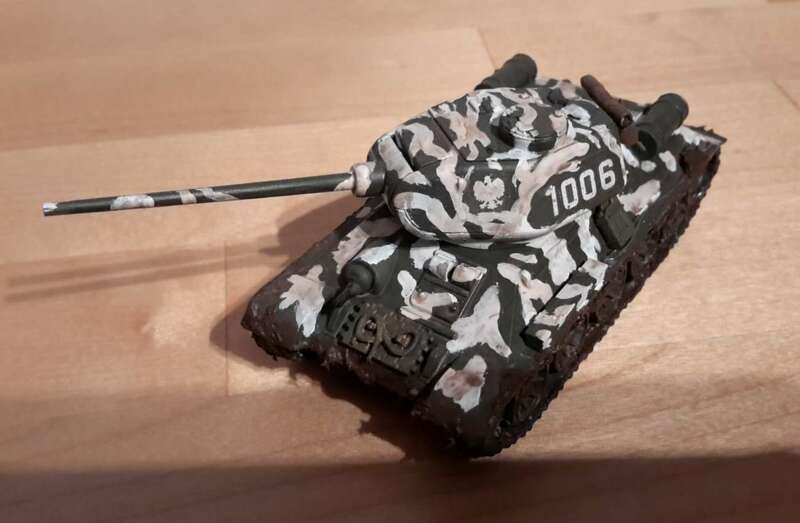 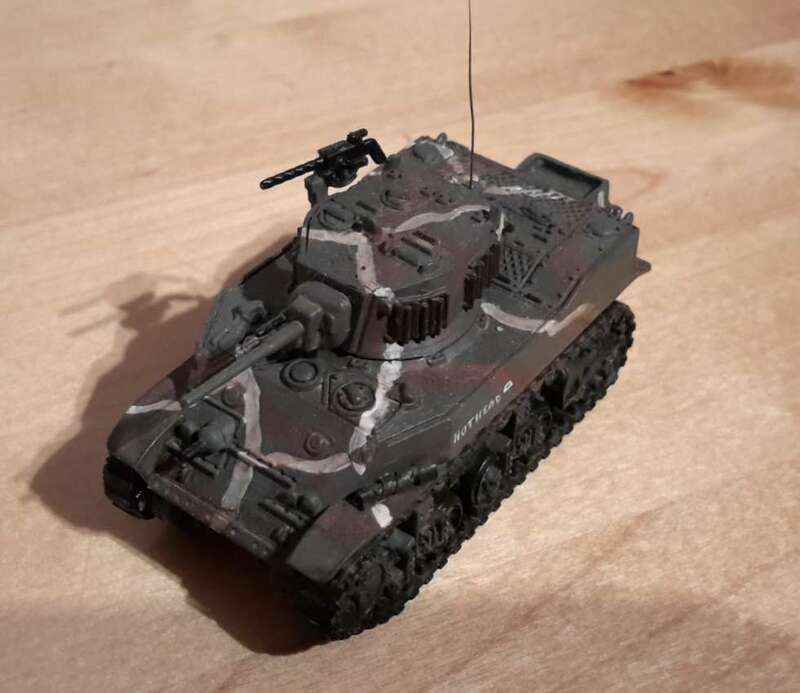 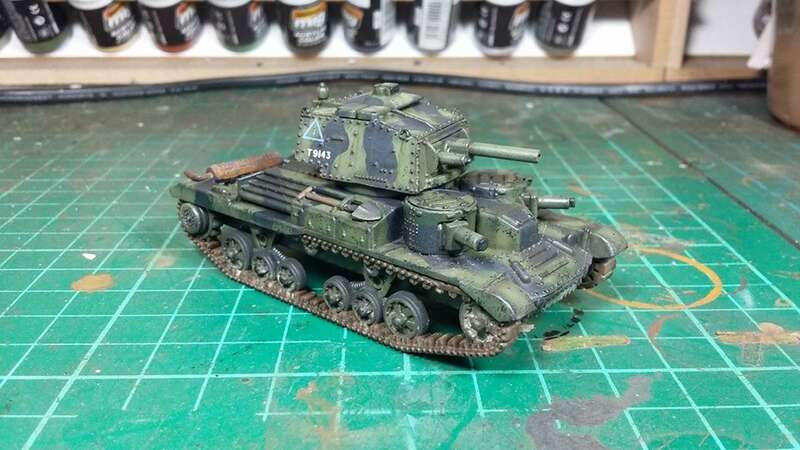 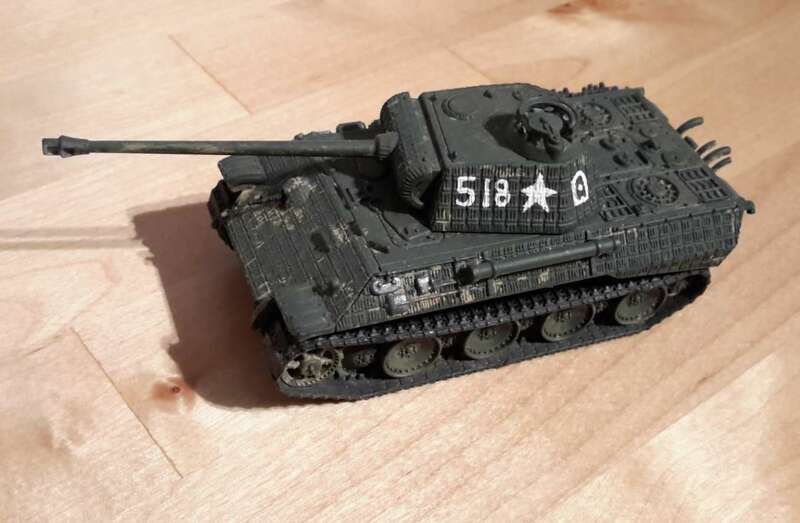 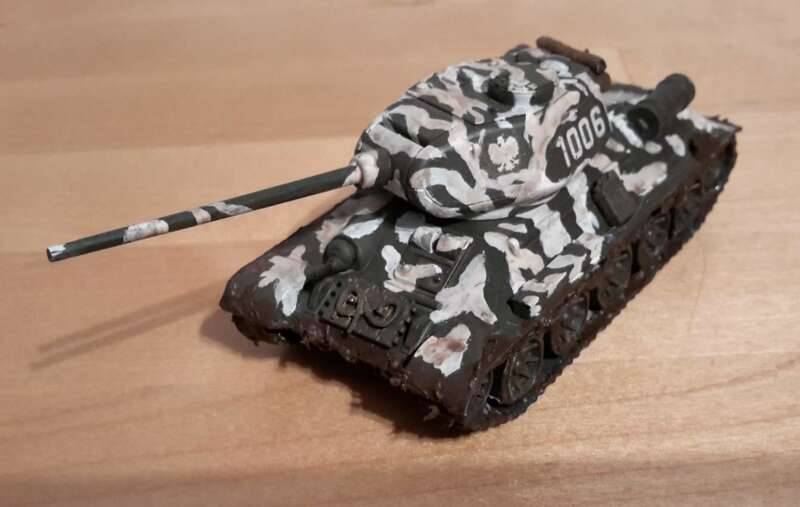 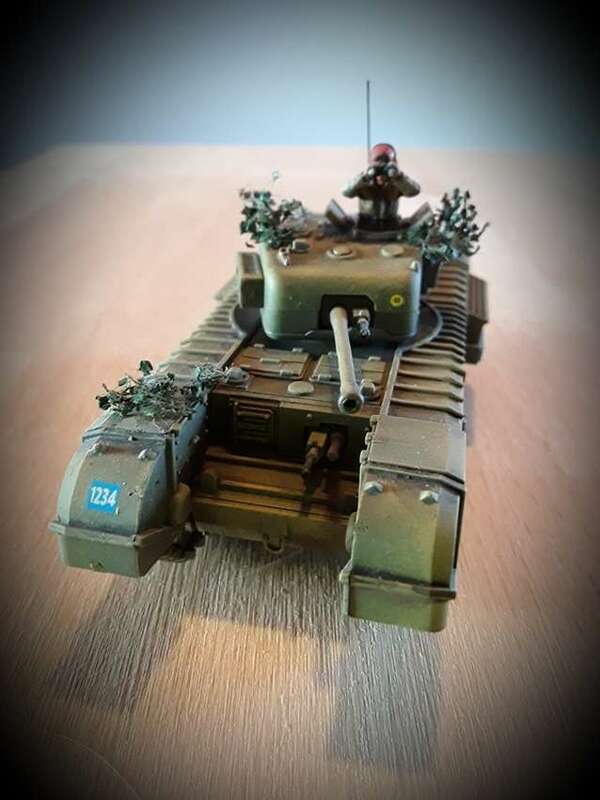 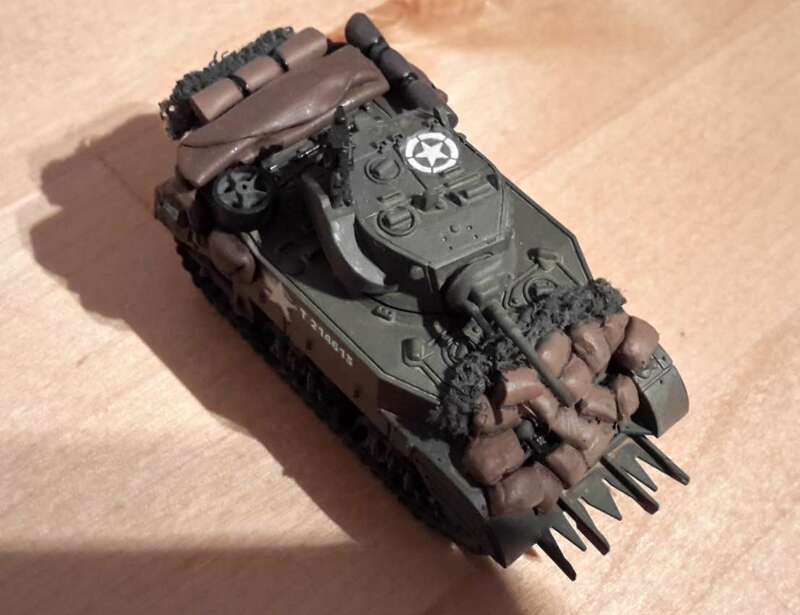 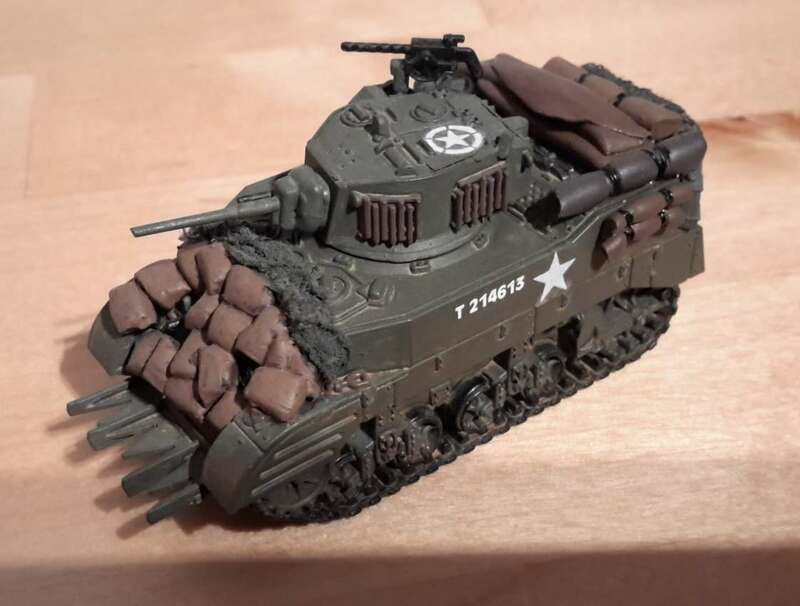 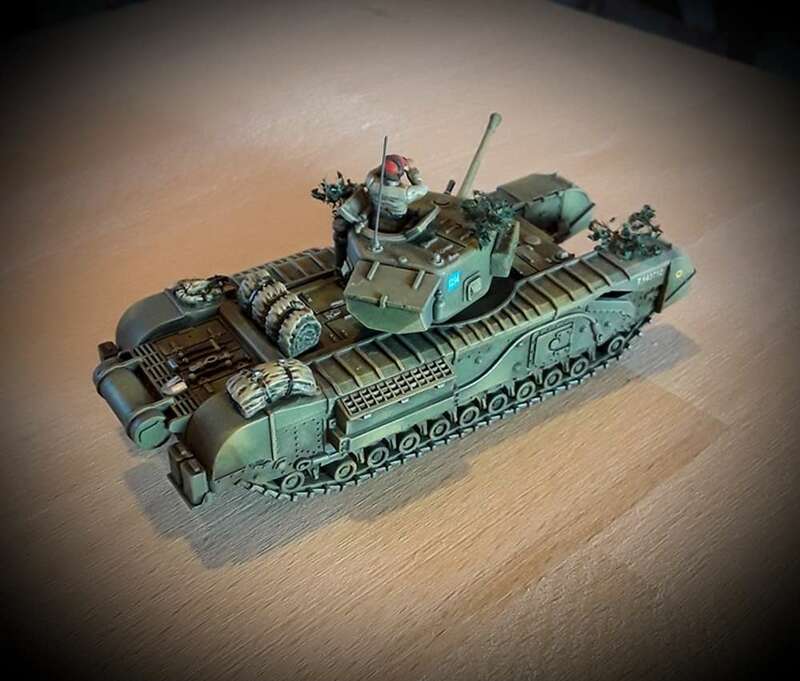 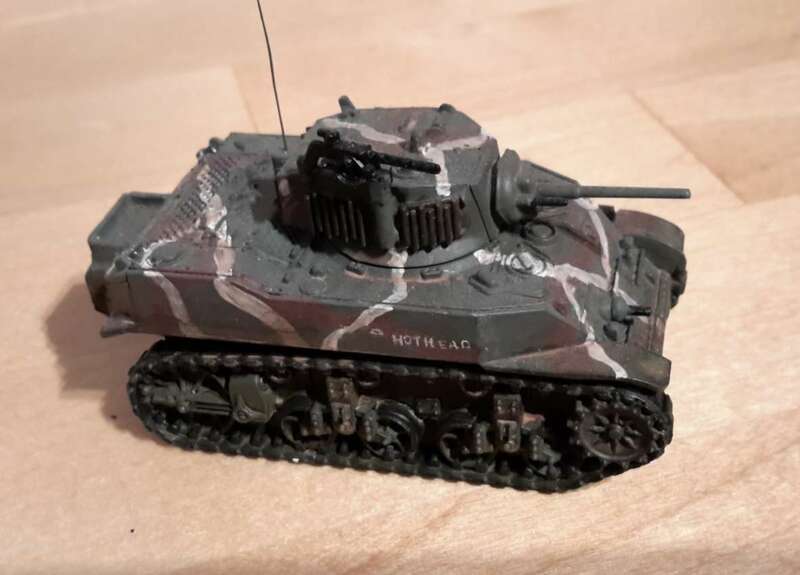 I've just received this kit and done a quick build-up of one of them. 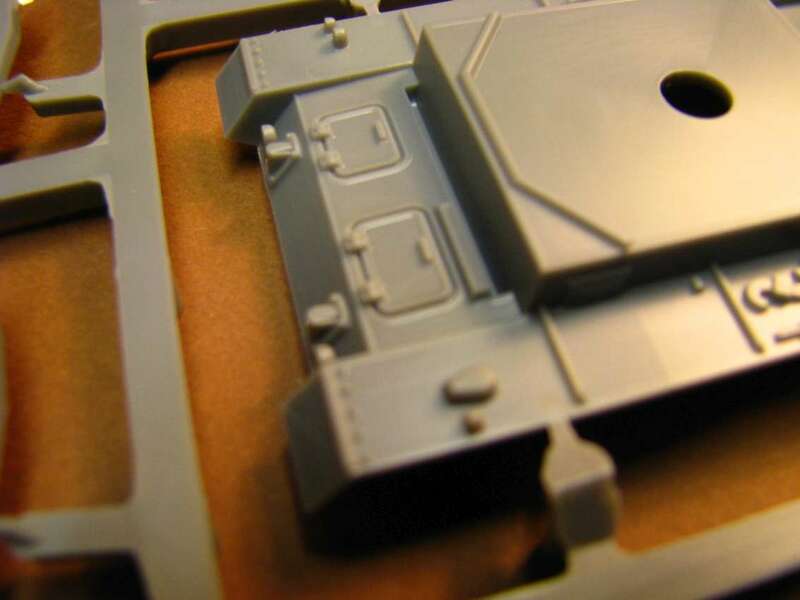 Upper hull and tracks are not glued yet, and some details (hatches, tools) still to be fitted. 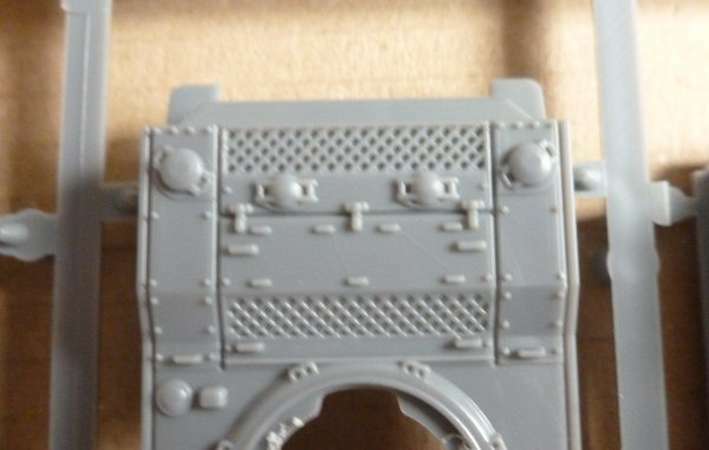 Multi part turret fitted together very well. 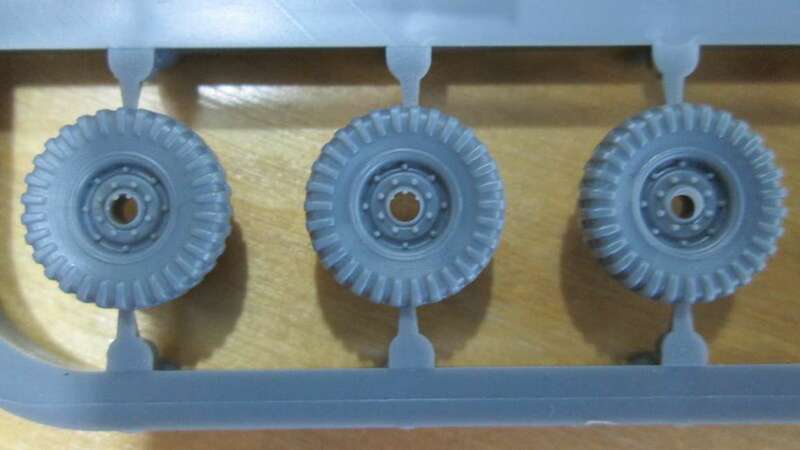 One issue for those building the European version, the division between upper and lower hull is very visible between the sprocket and rear suspension. 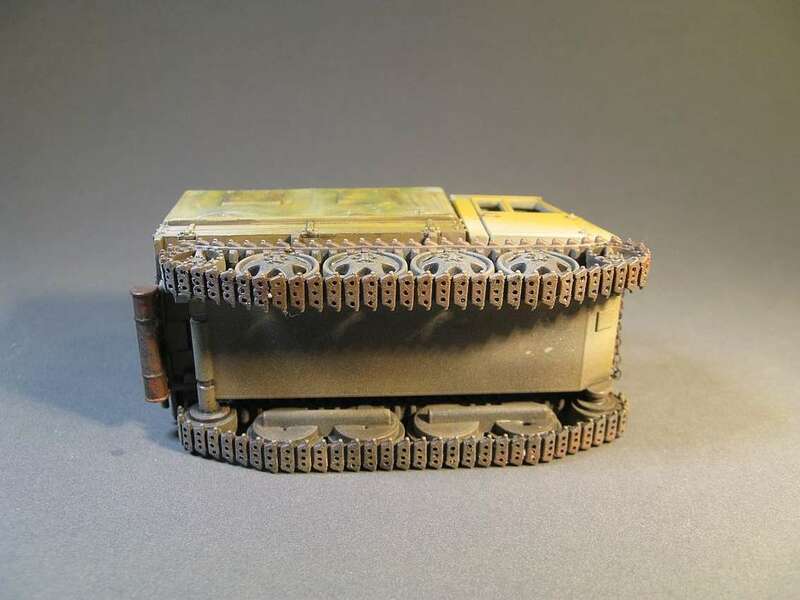 This will be largely covered up by the desert sand skirts.